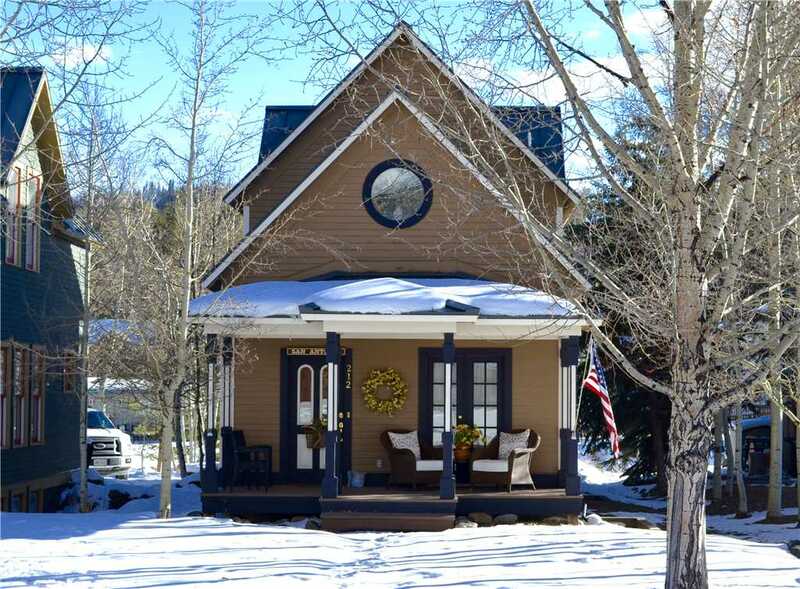 Terrill House is a historically significant three-bedroom home dating back to its construction in the early 1880’s during the gold mining days. 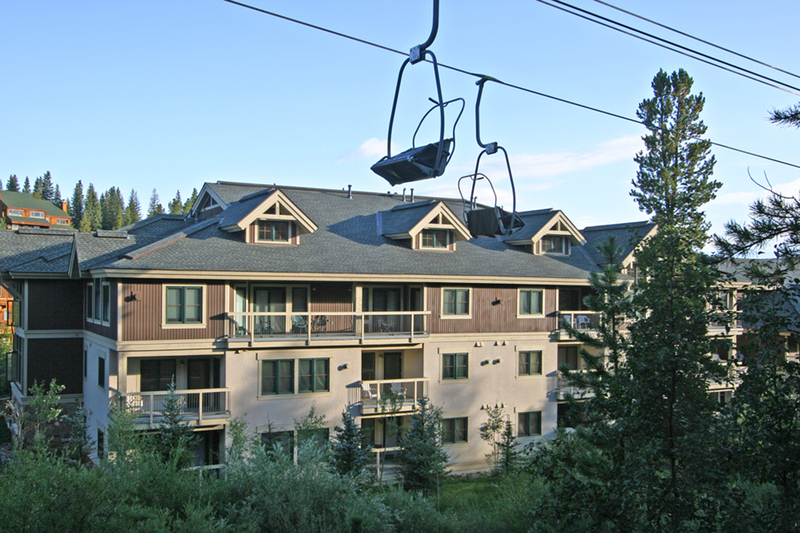 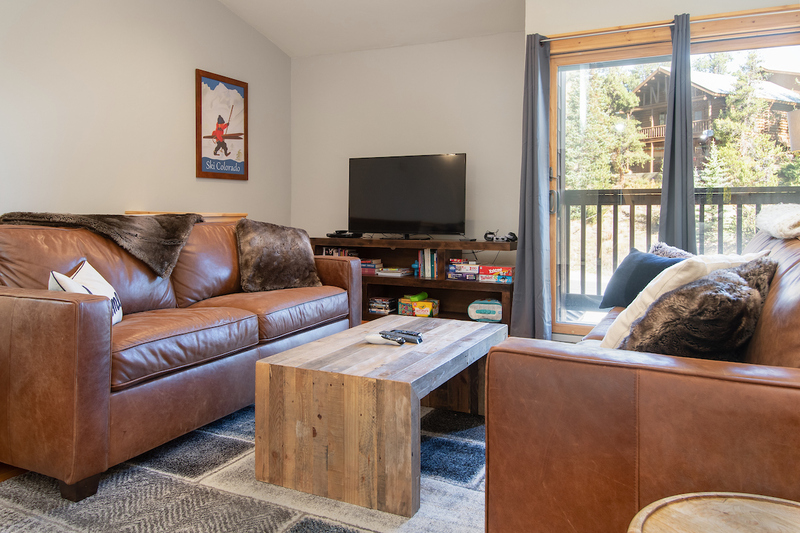 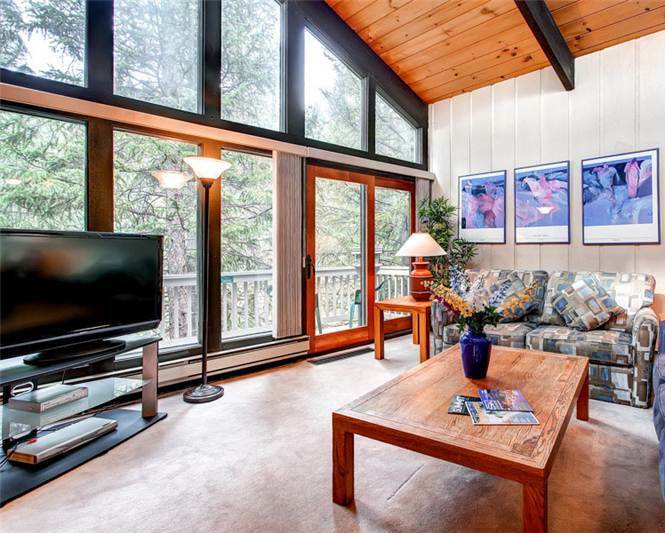 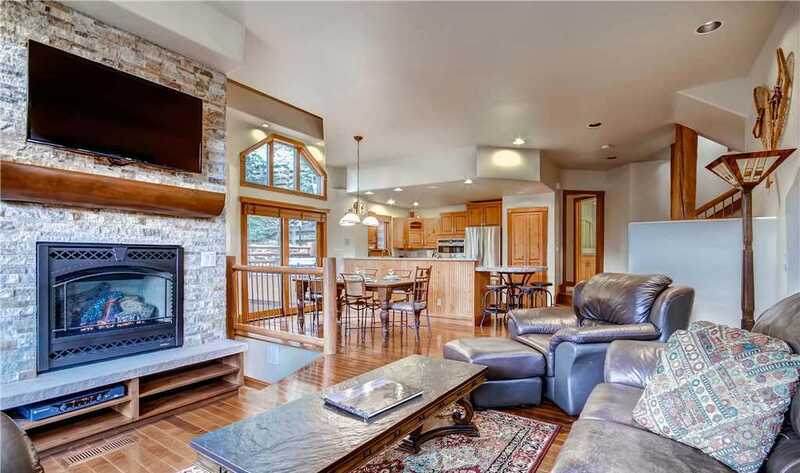 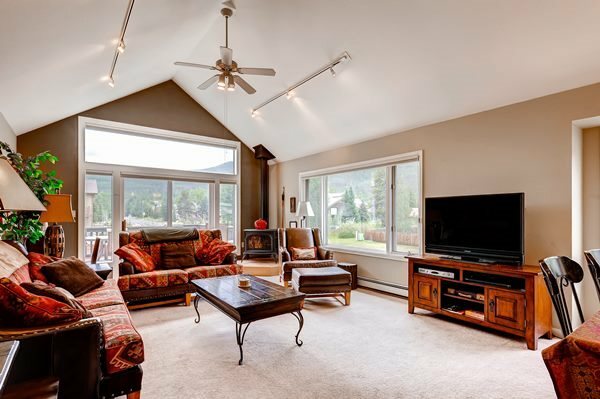 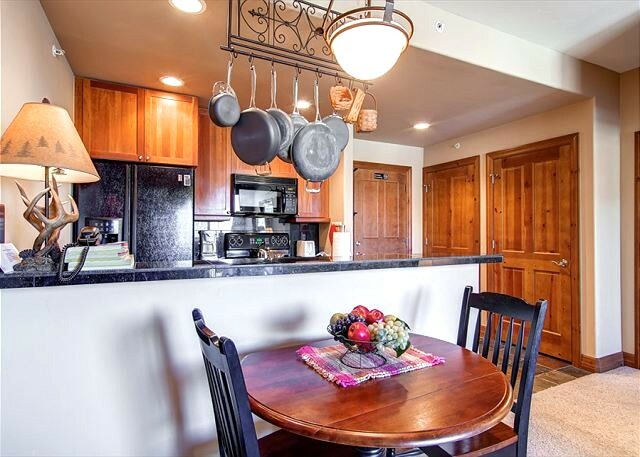 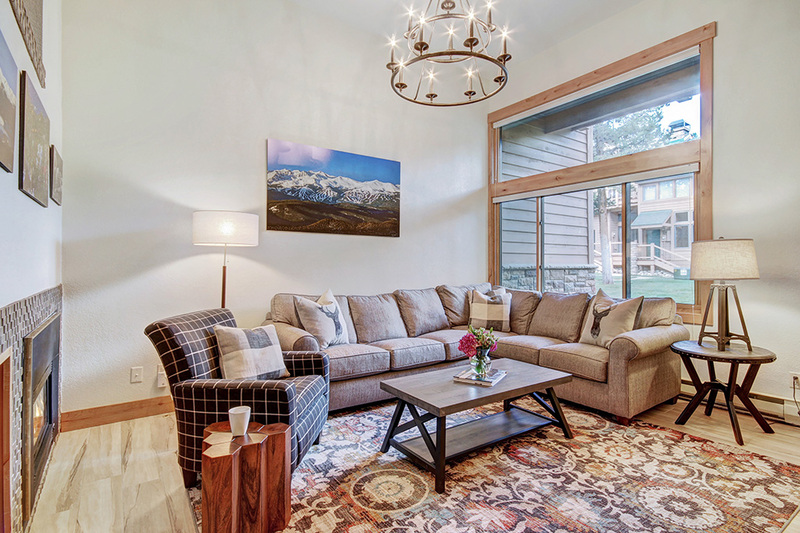 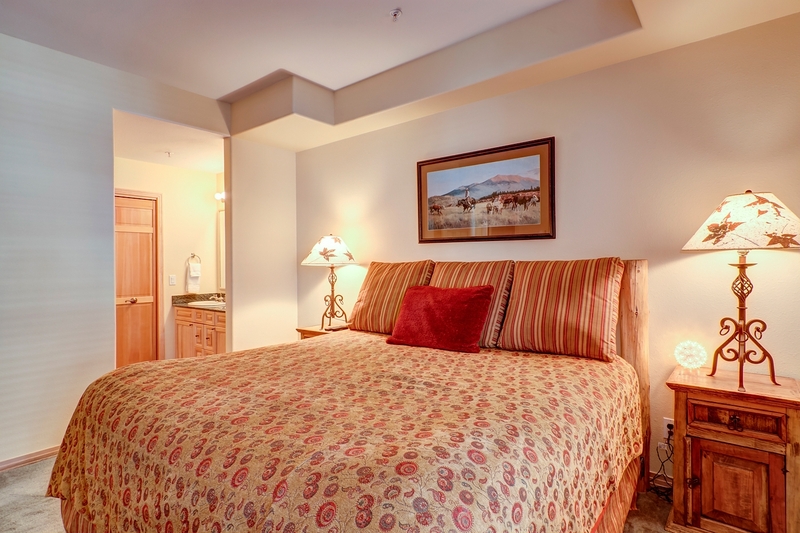 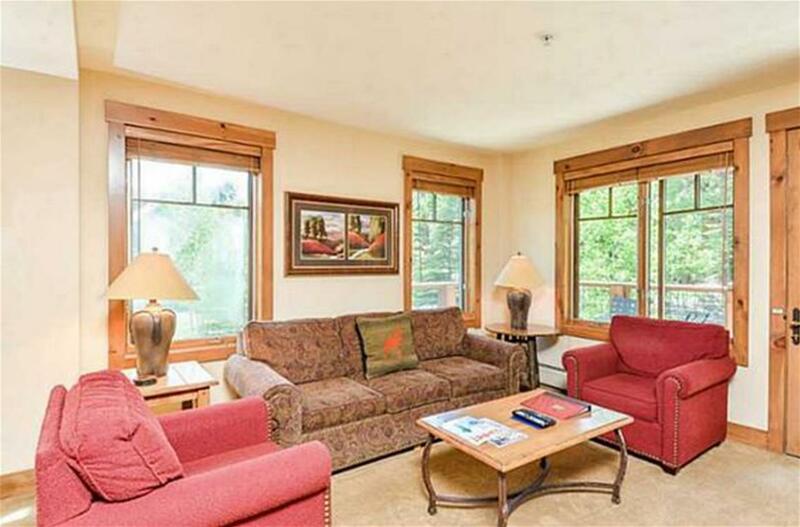 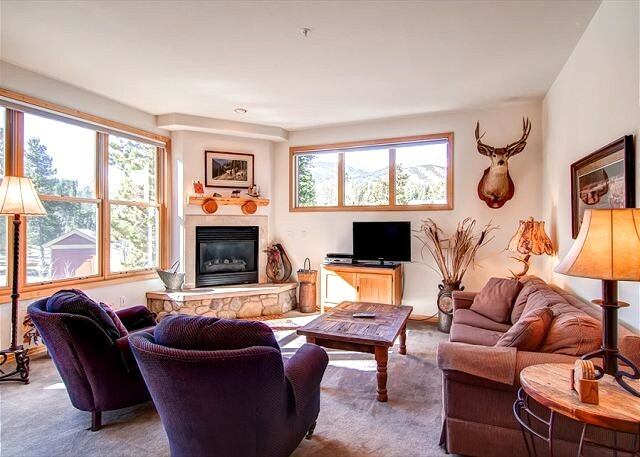 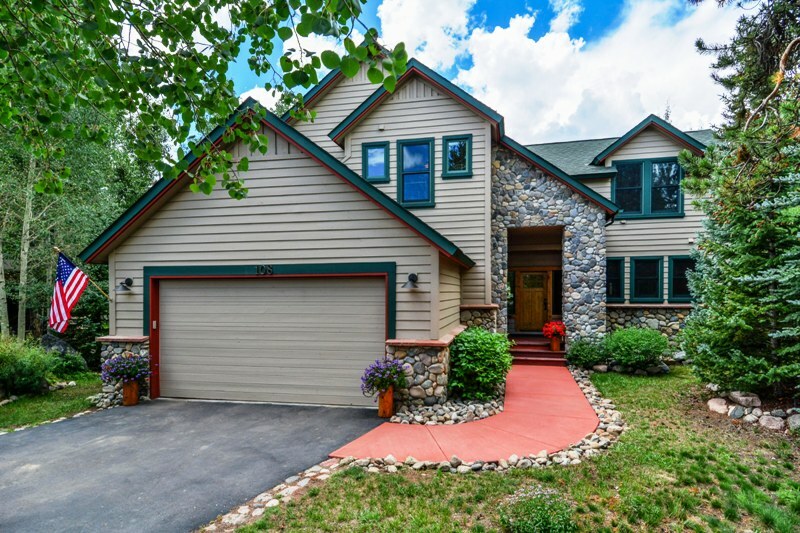 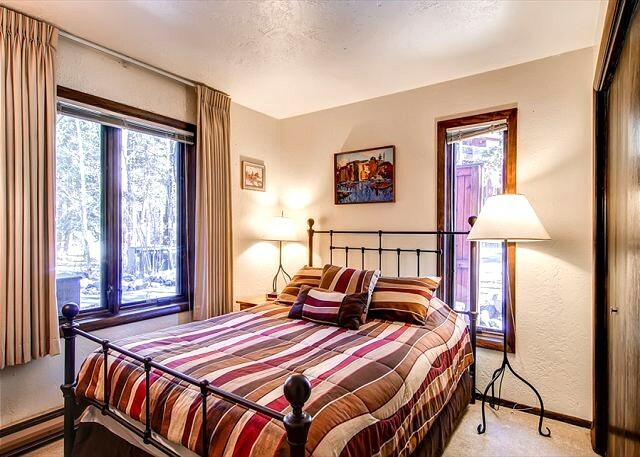 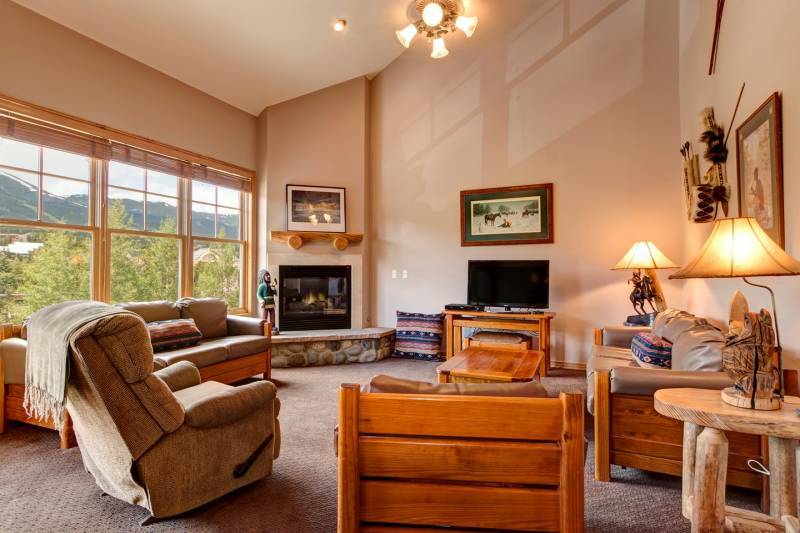 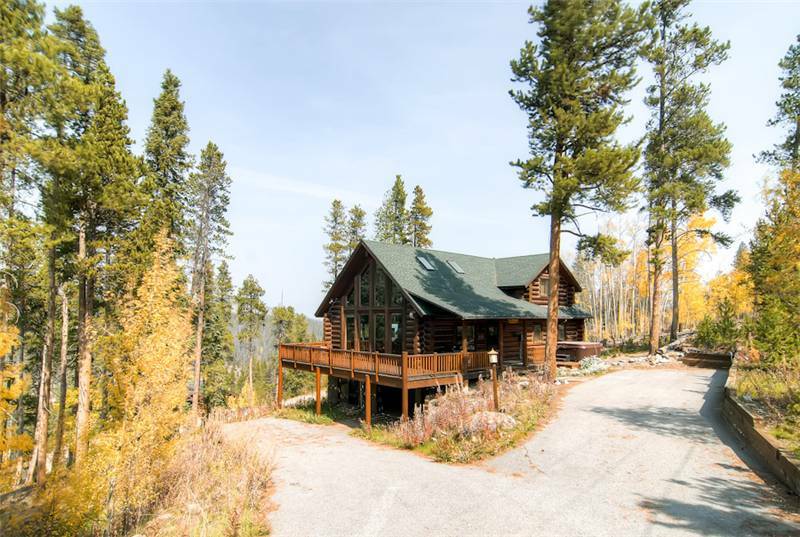 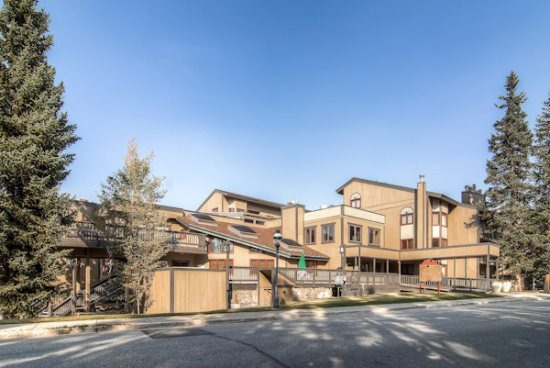 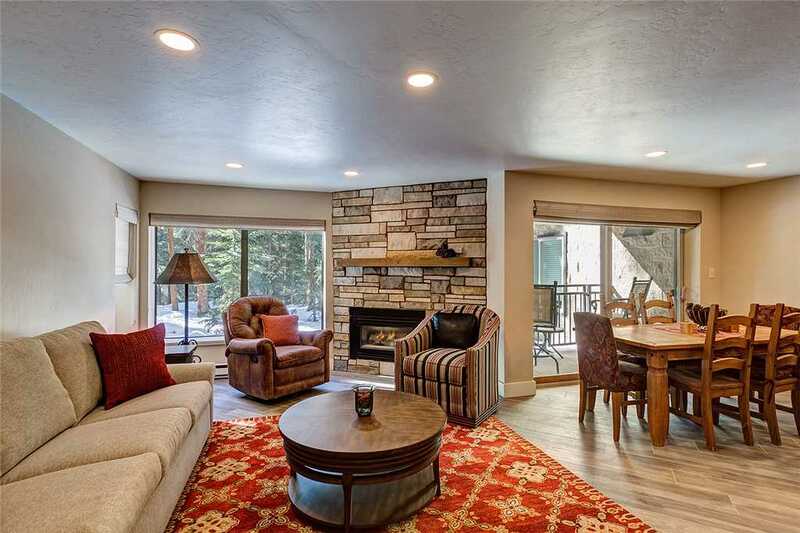 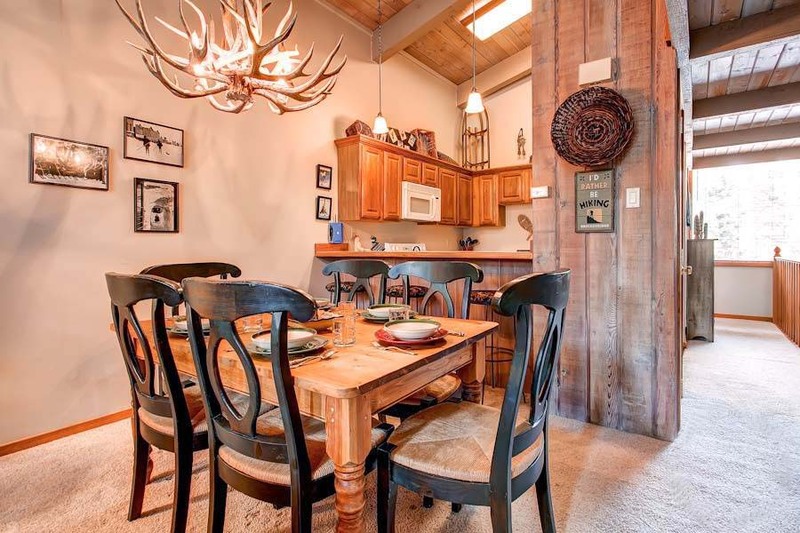 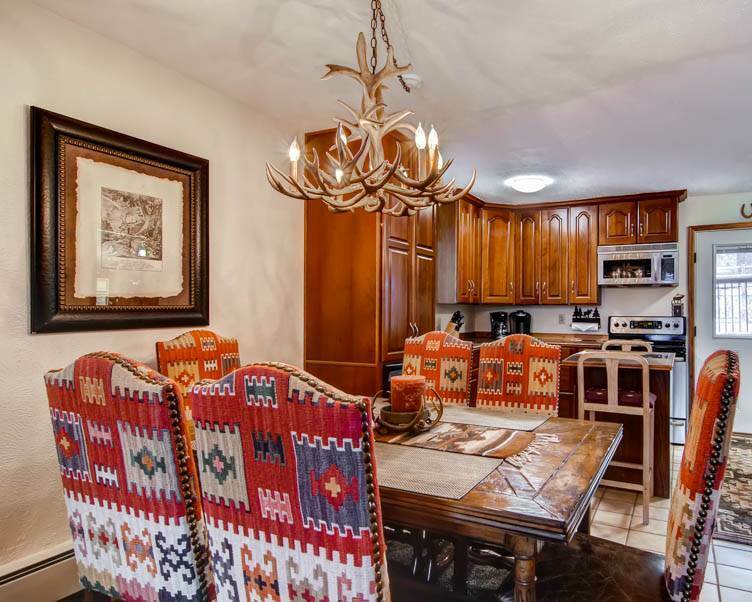 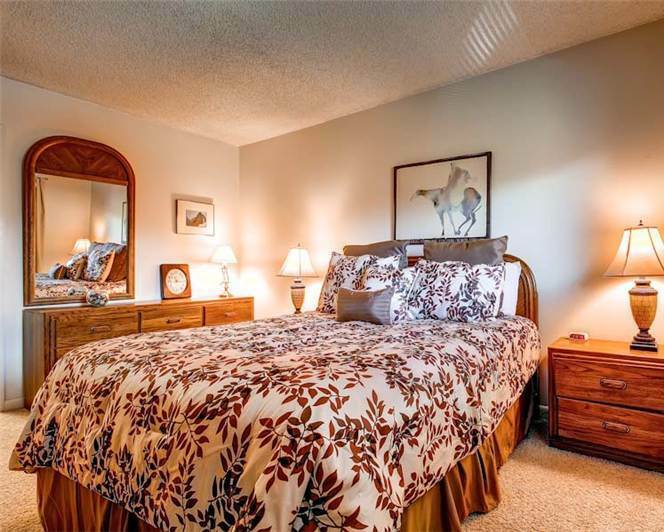 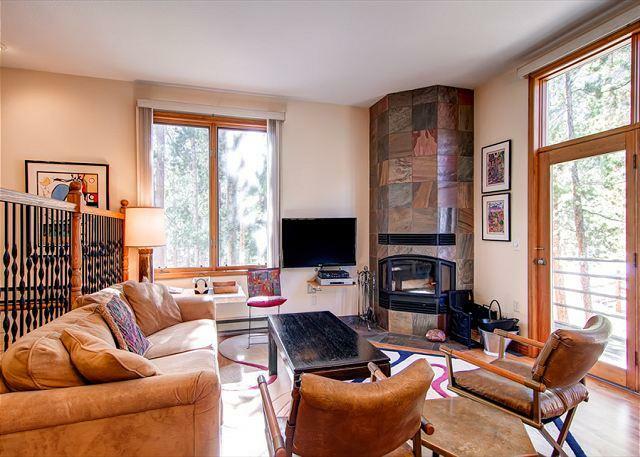 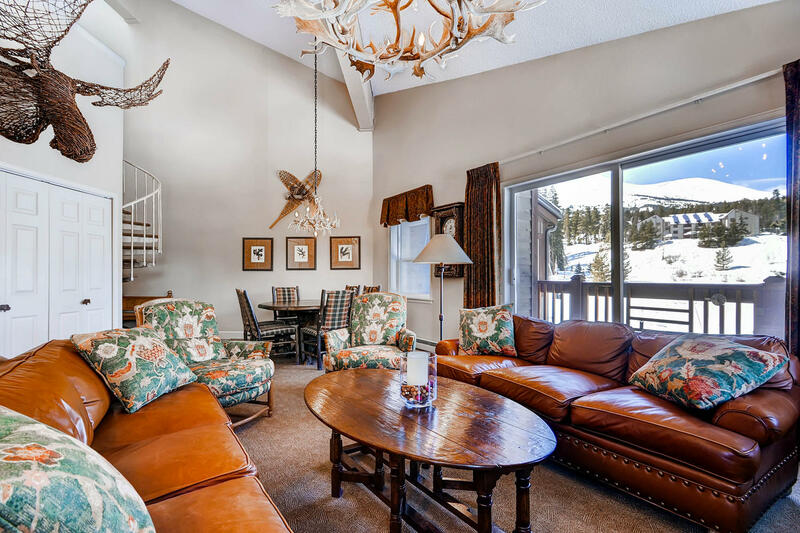 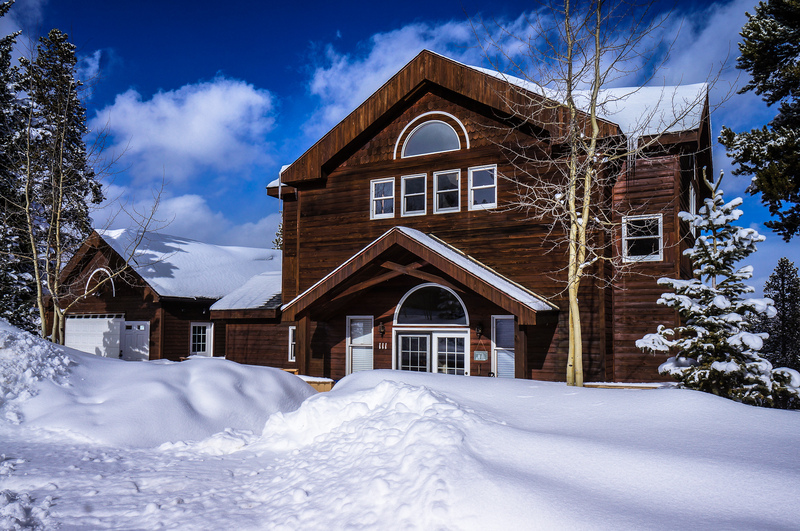 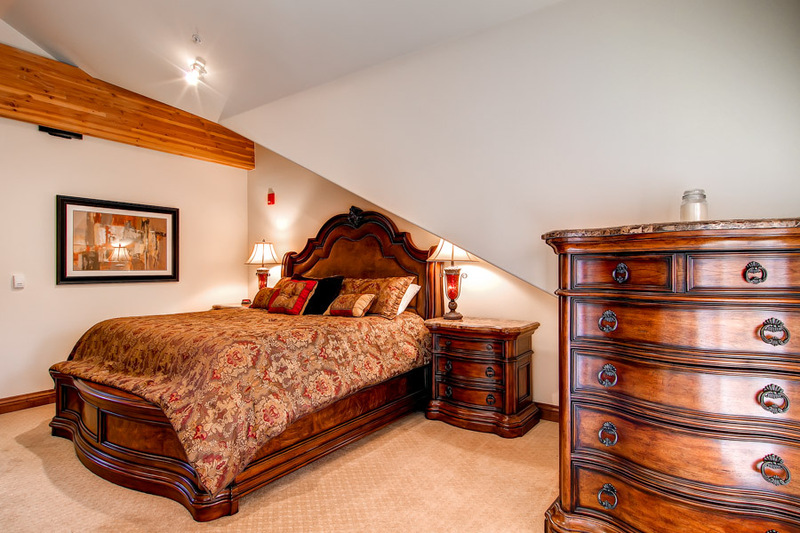 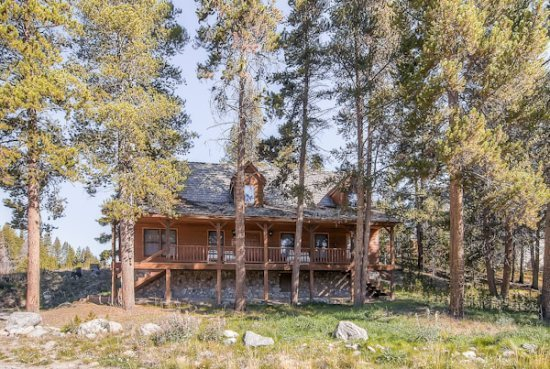 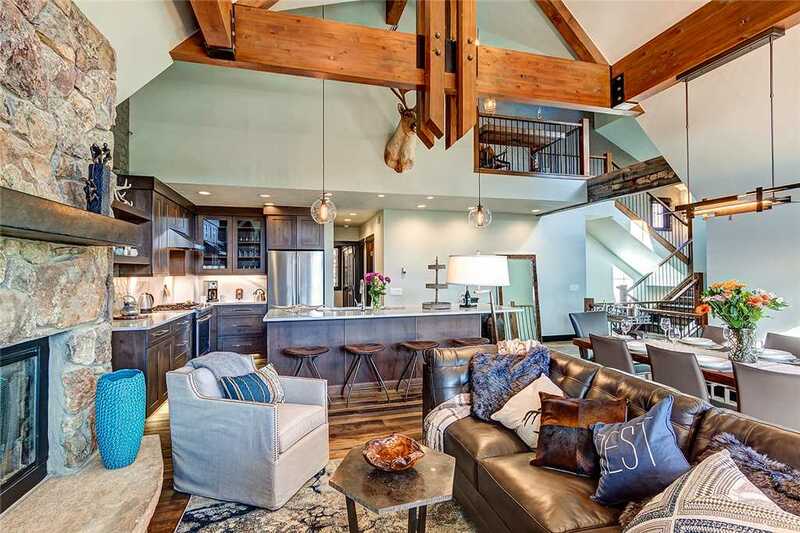 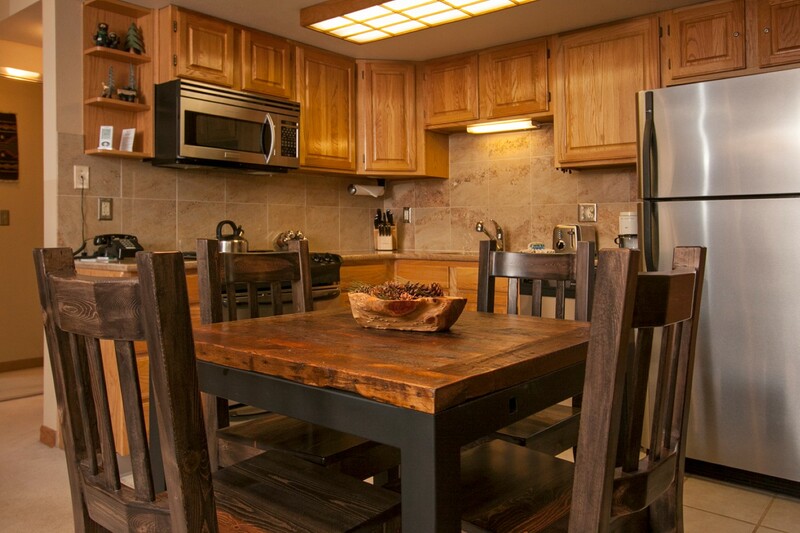 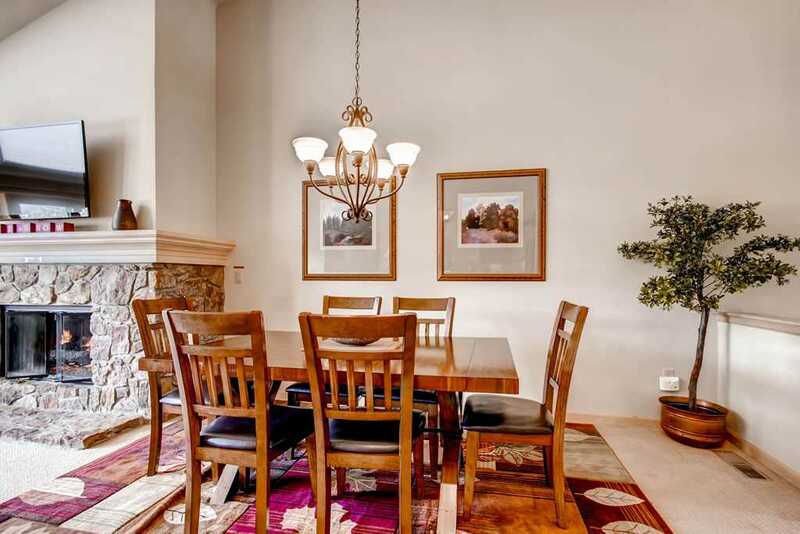 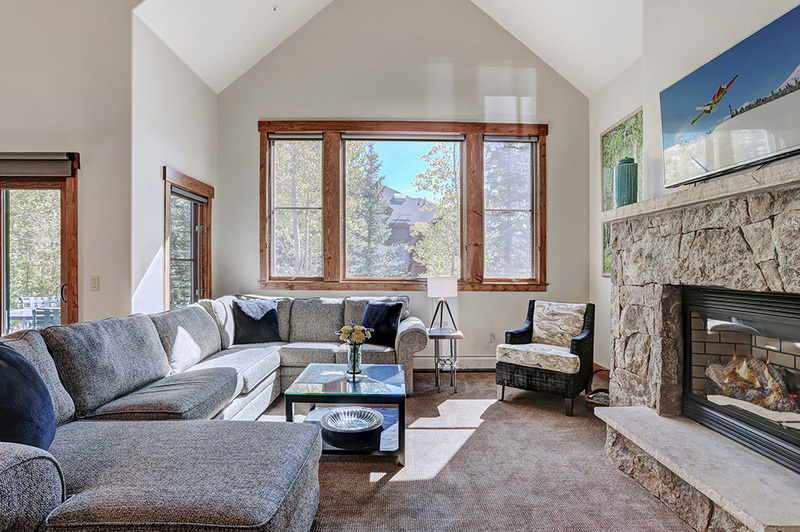 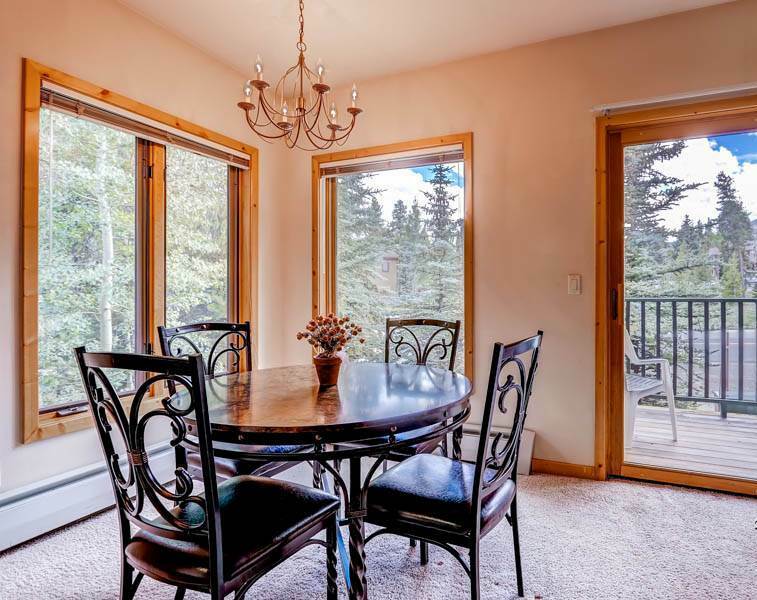 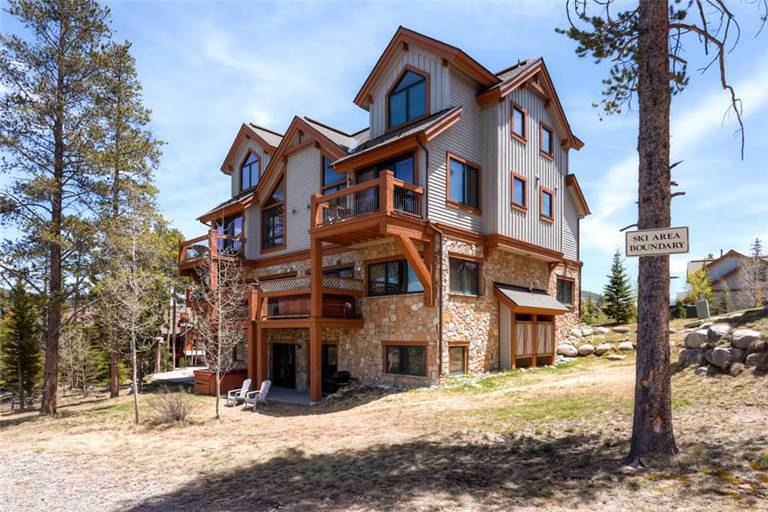 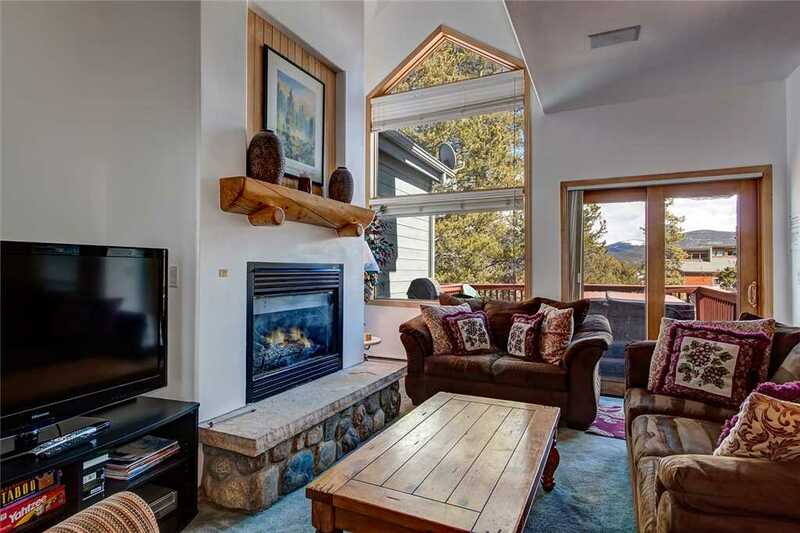 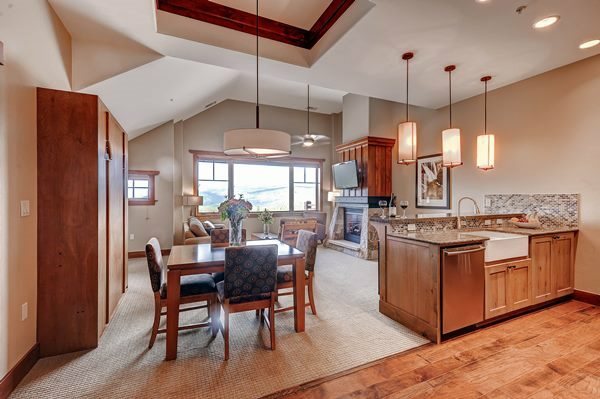 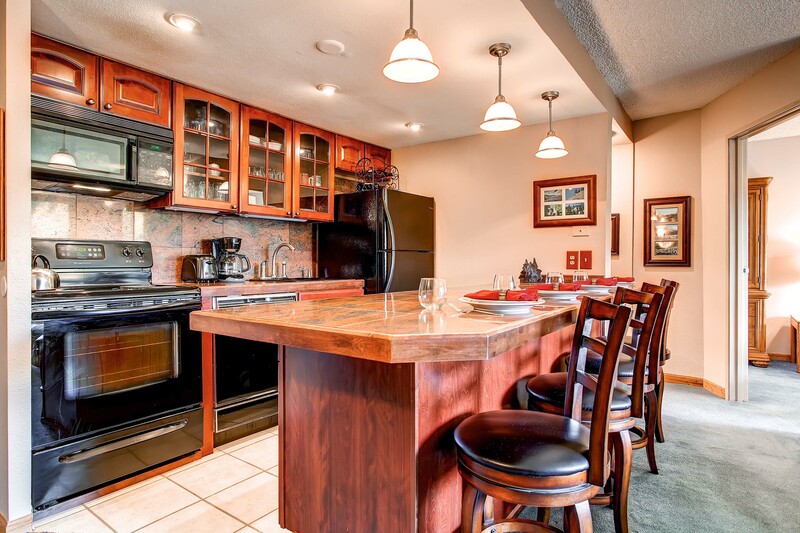 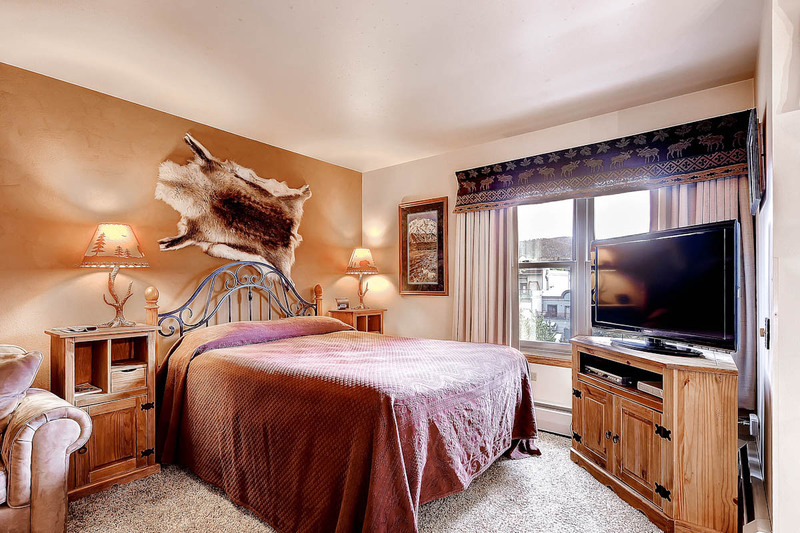 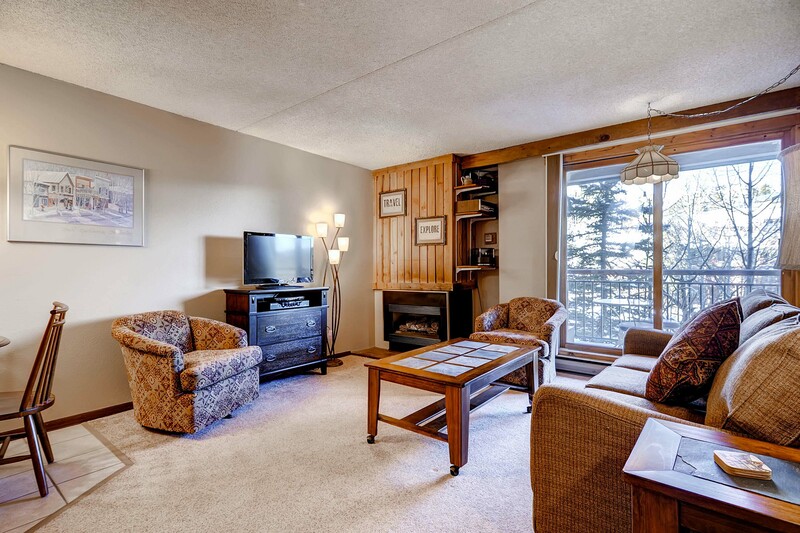 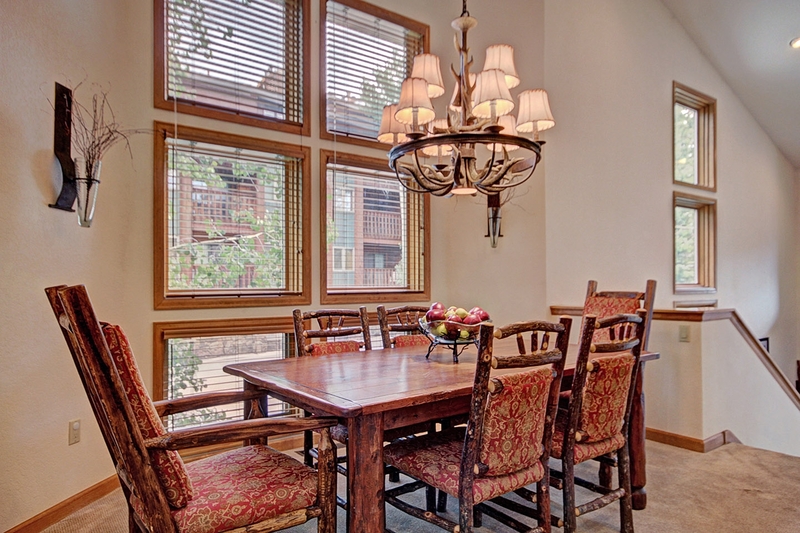 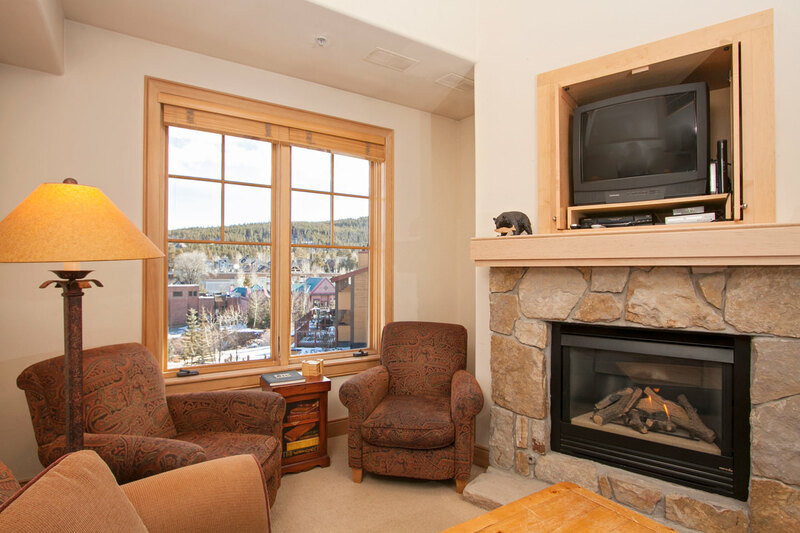 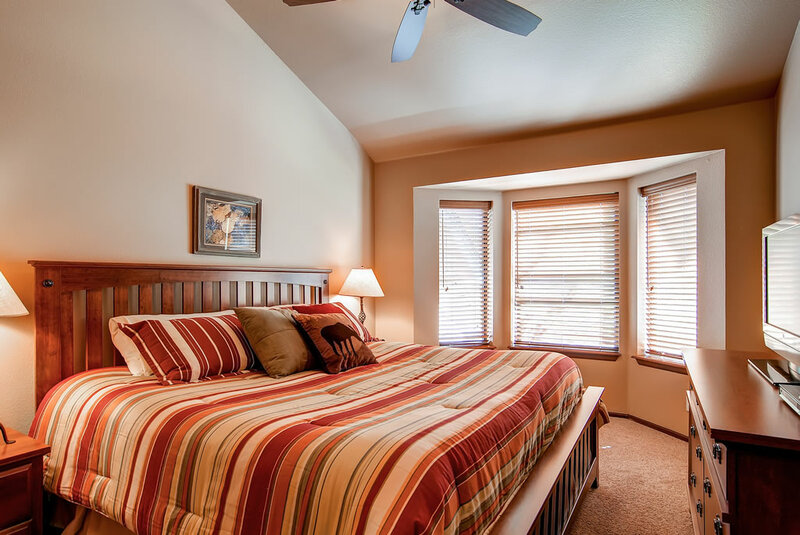 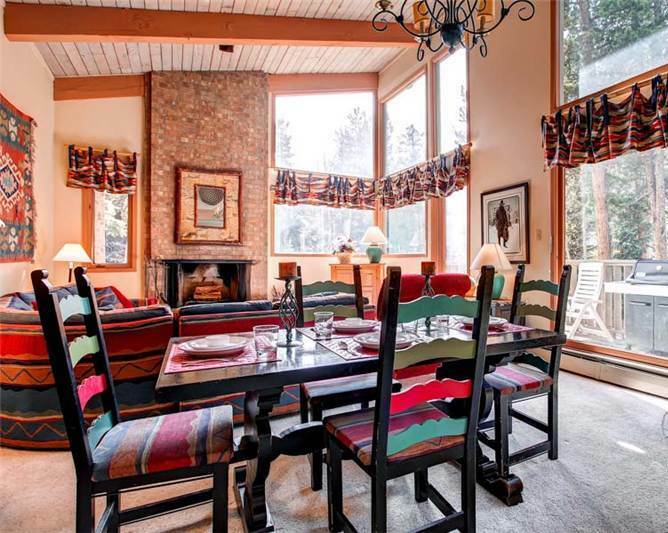 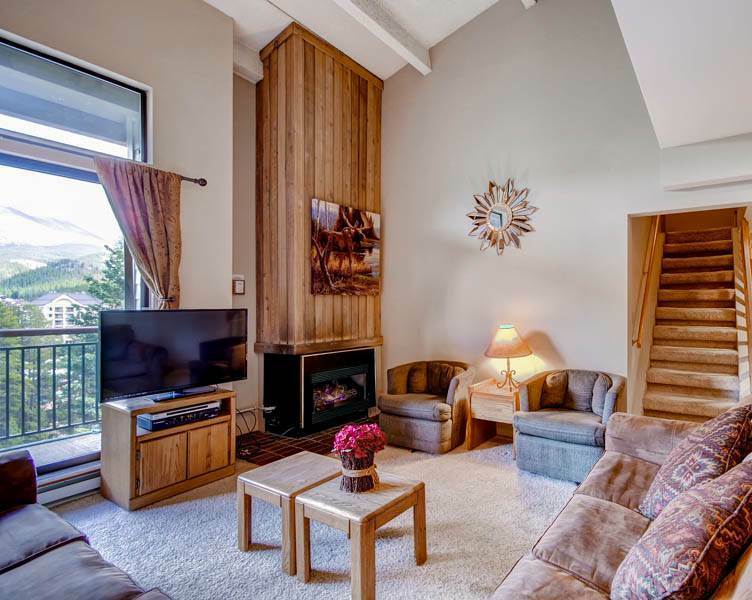 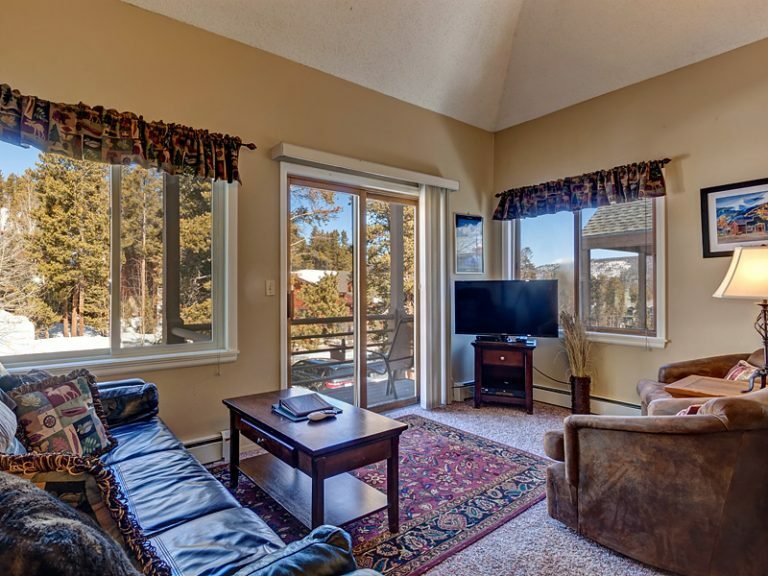 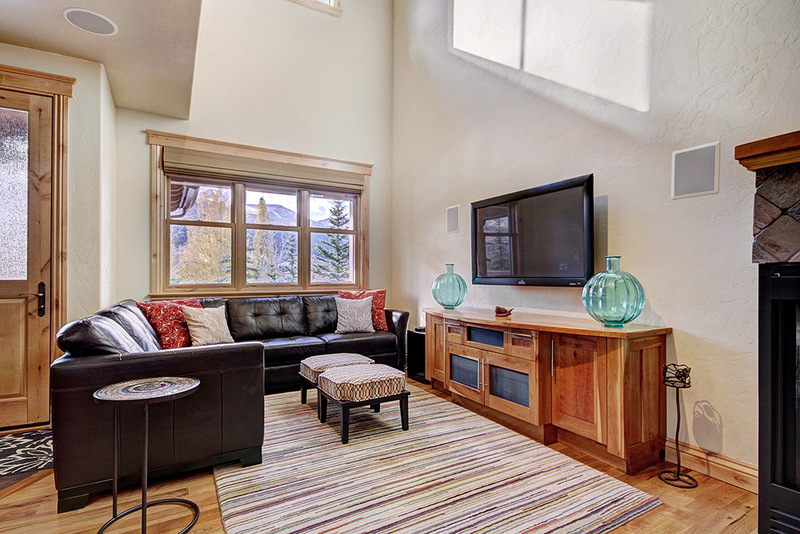 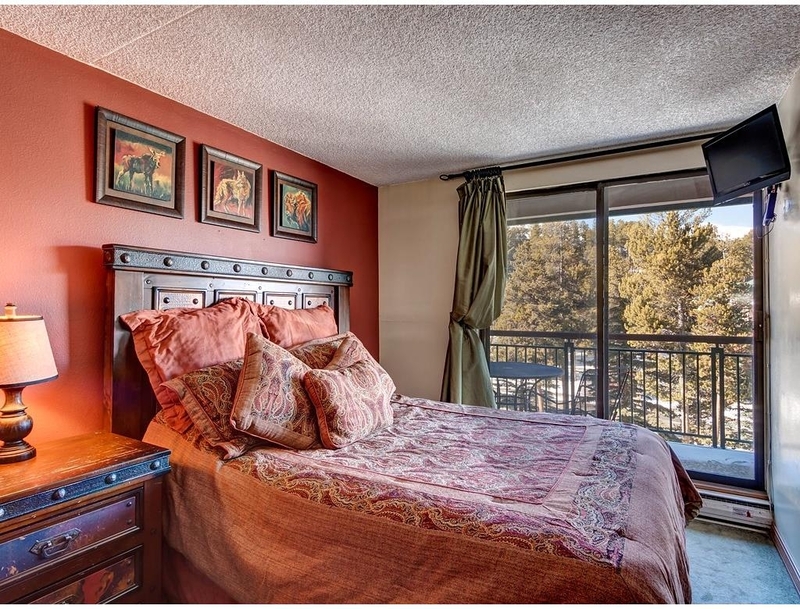 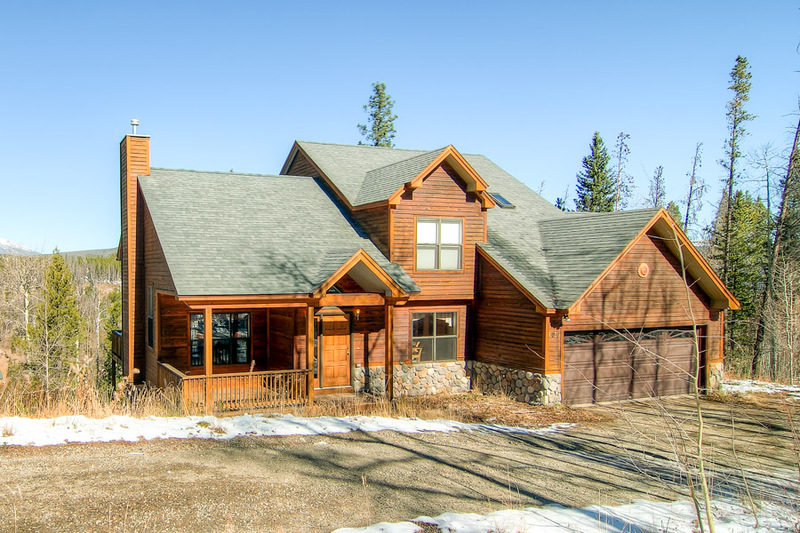 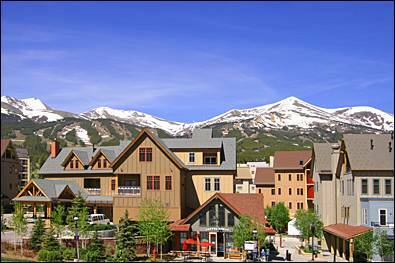 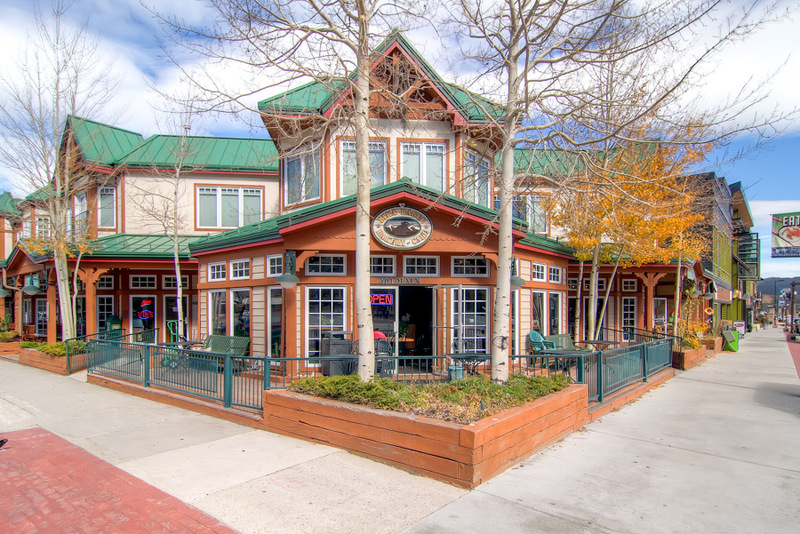 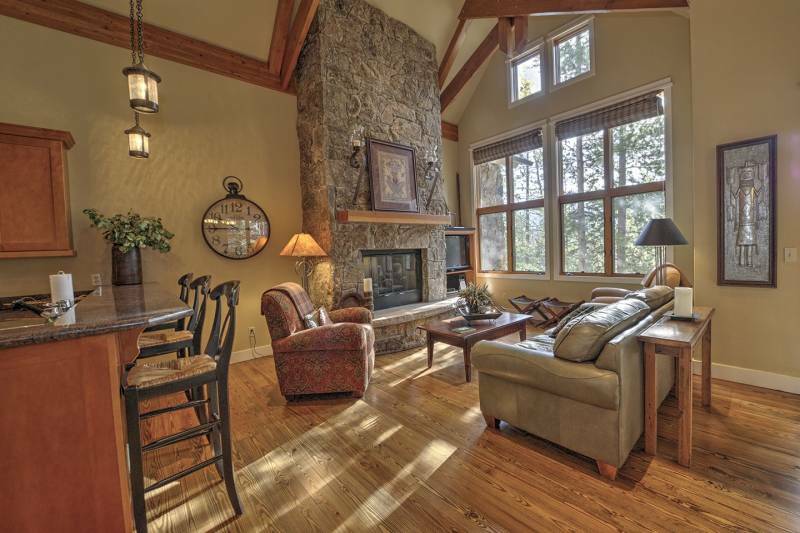 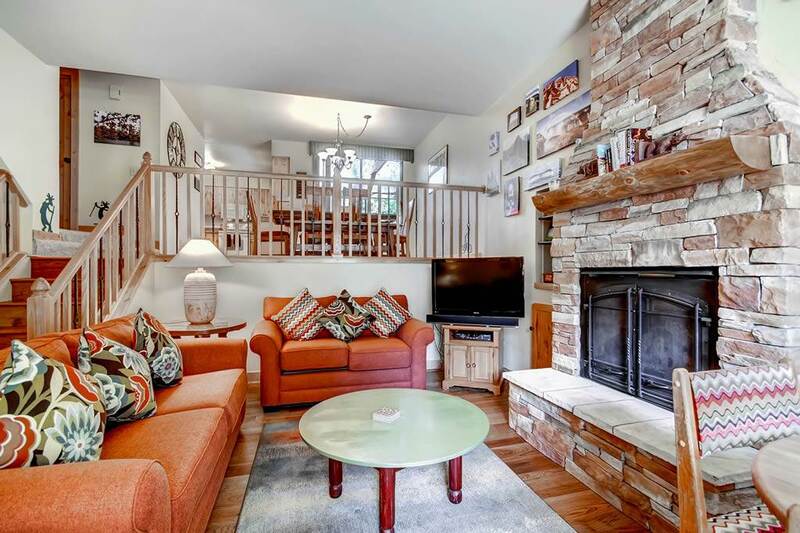 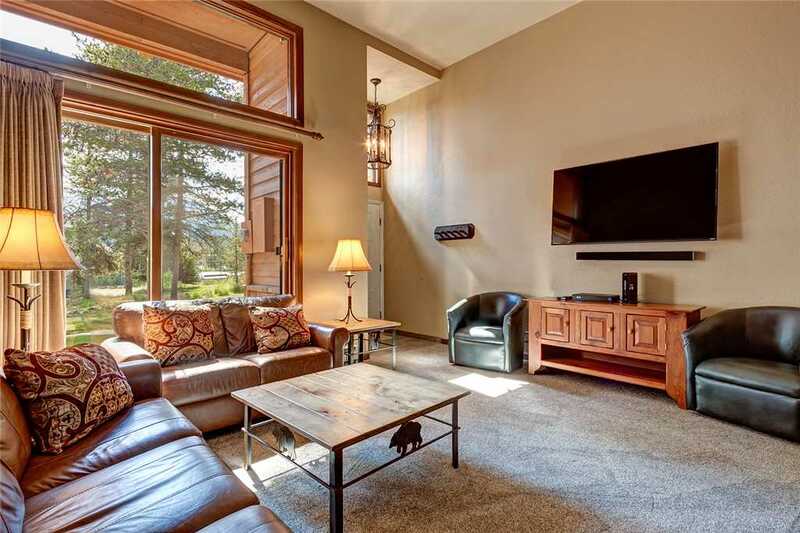 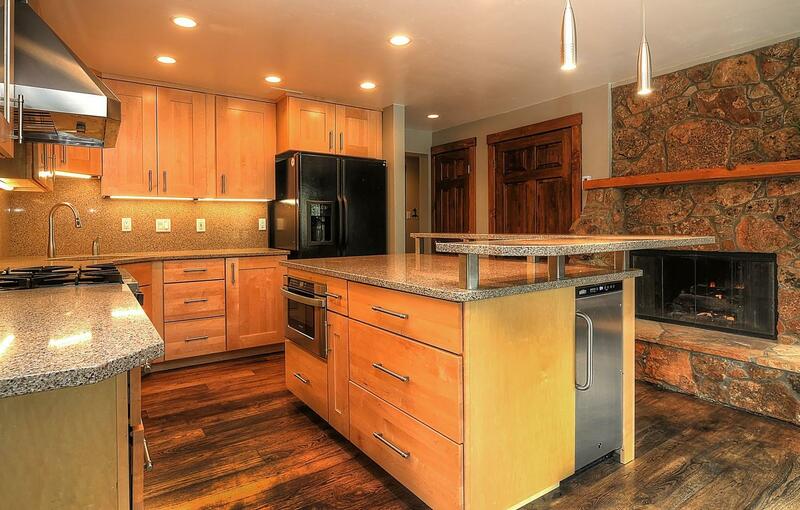 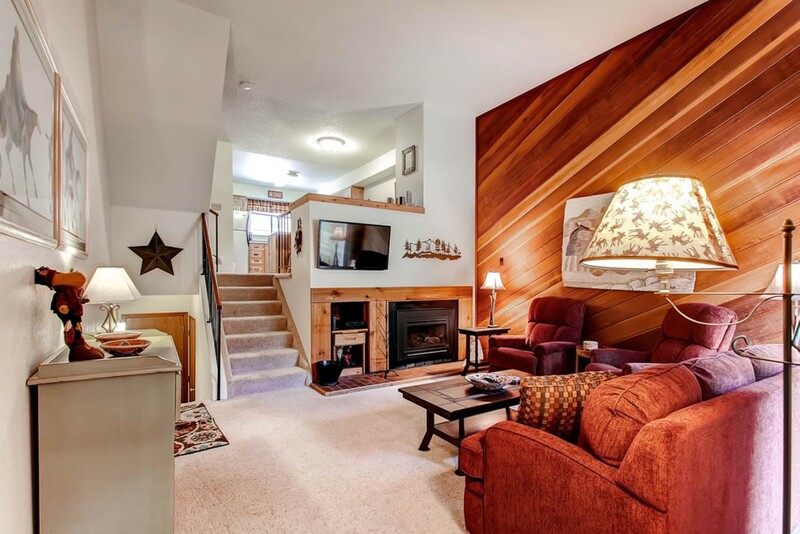 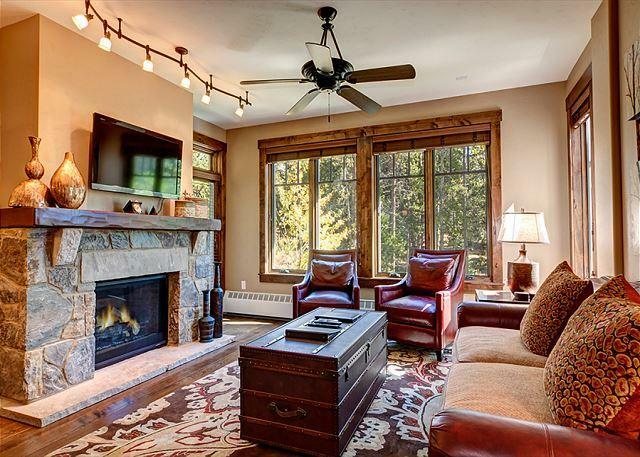 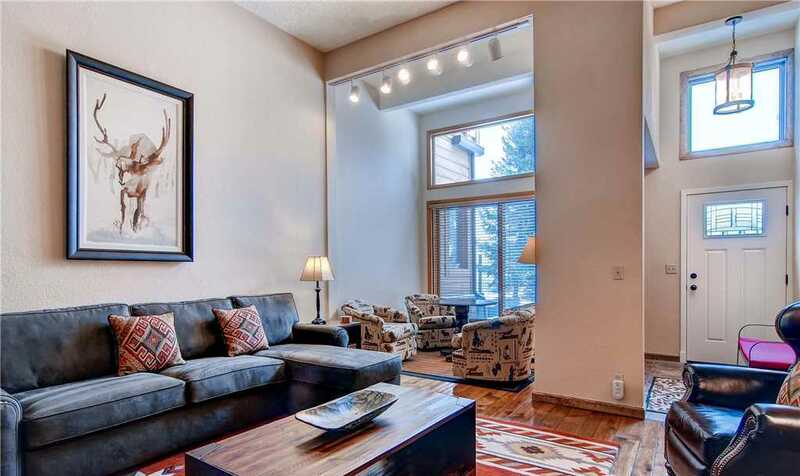 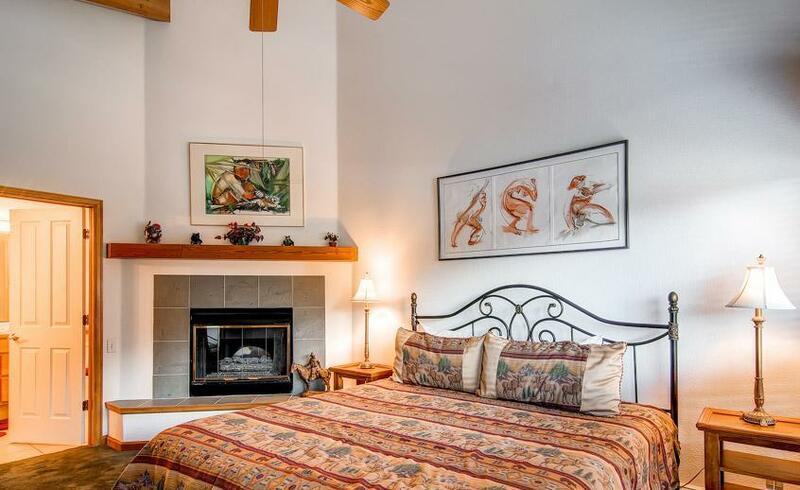 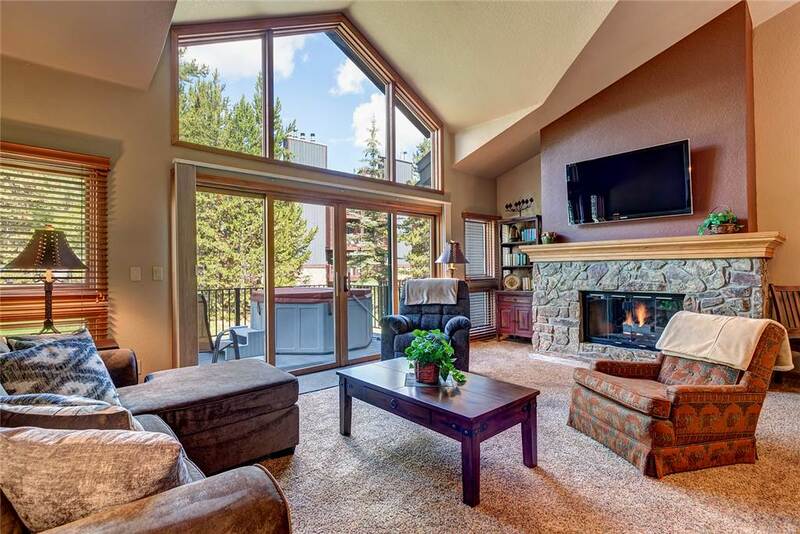 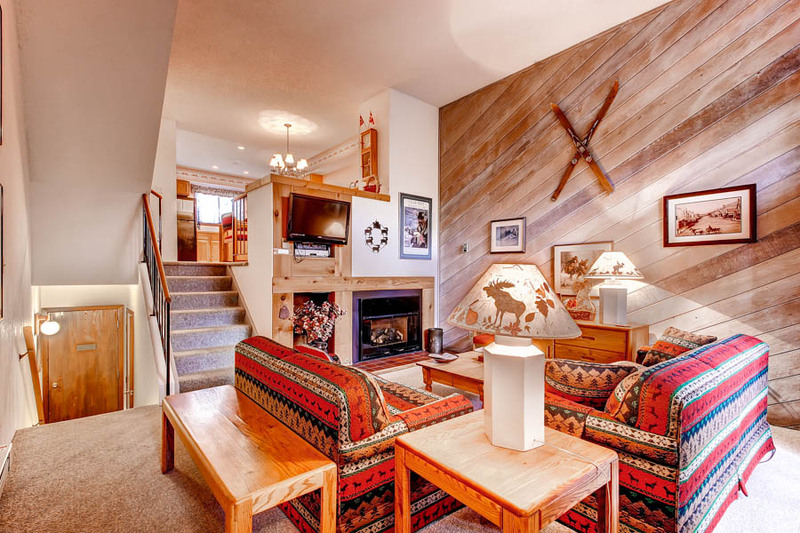 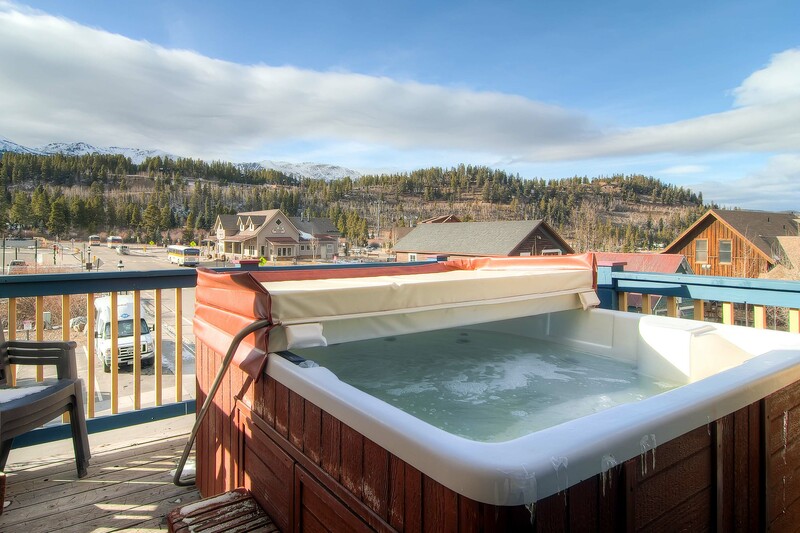 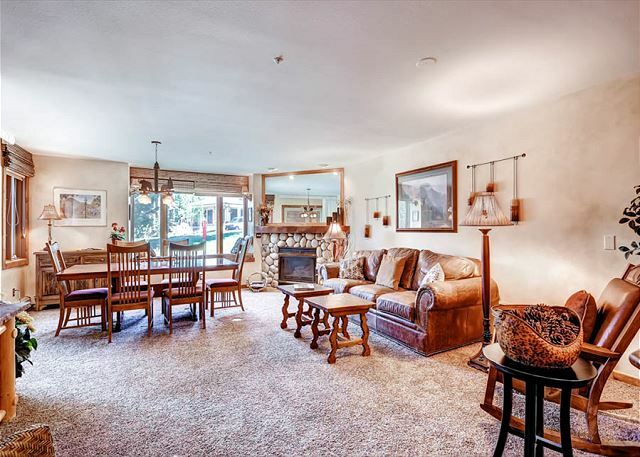 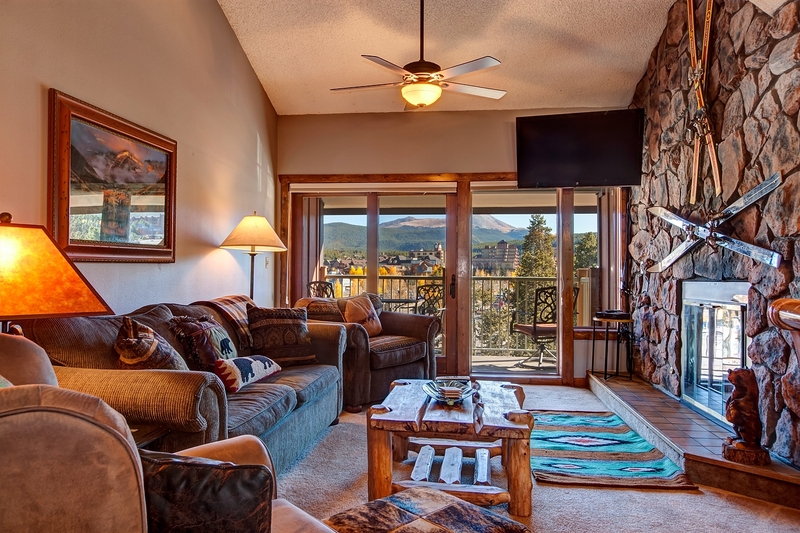 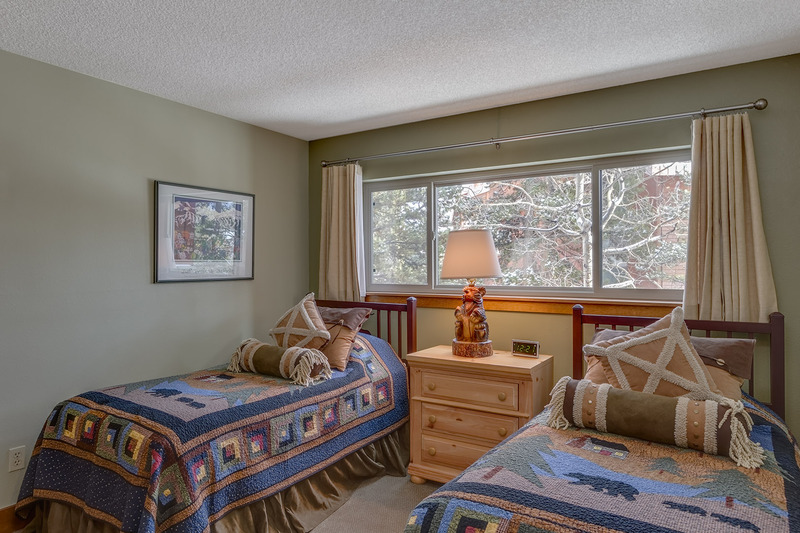 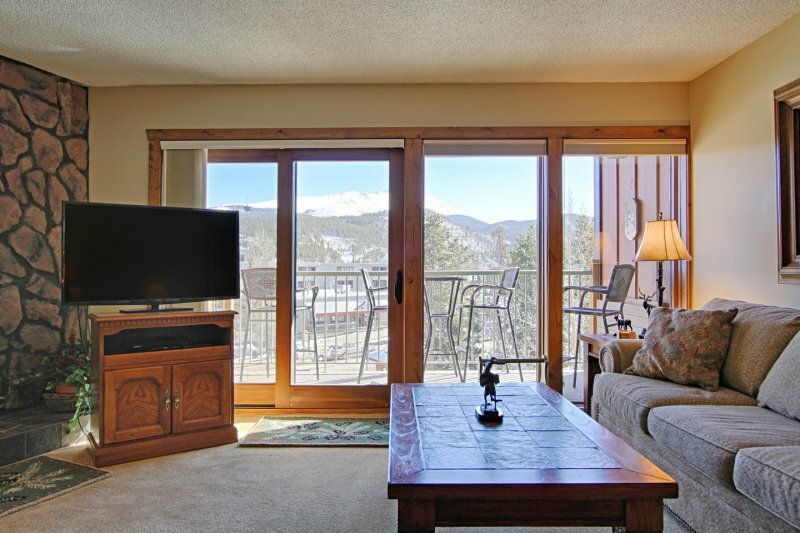 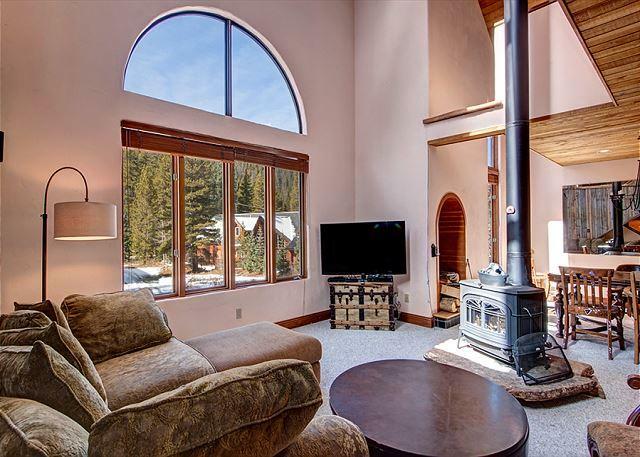 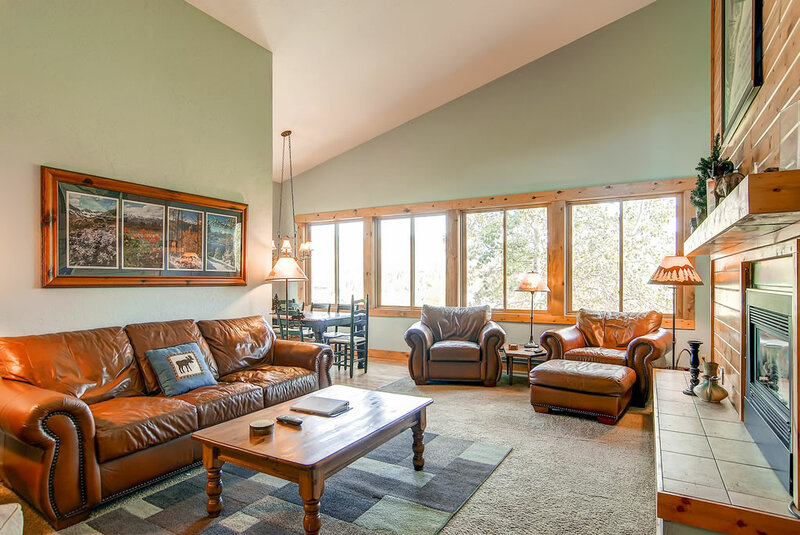 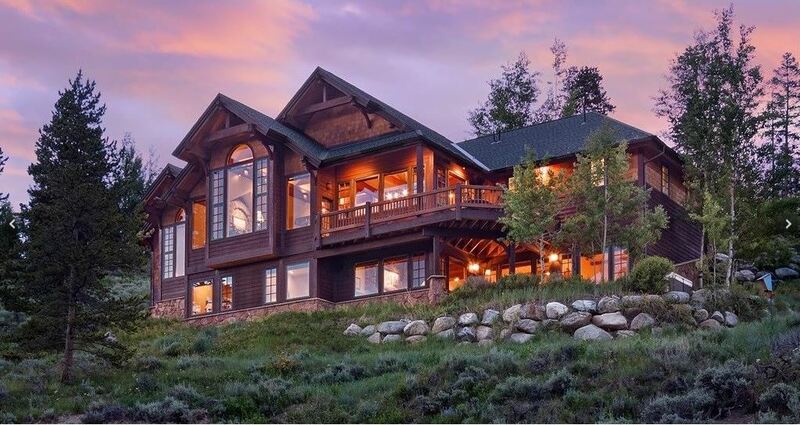 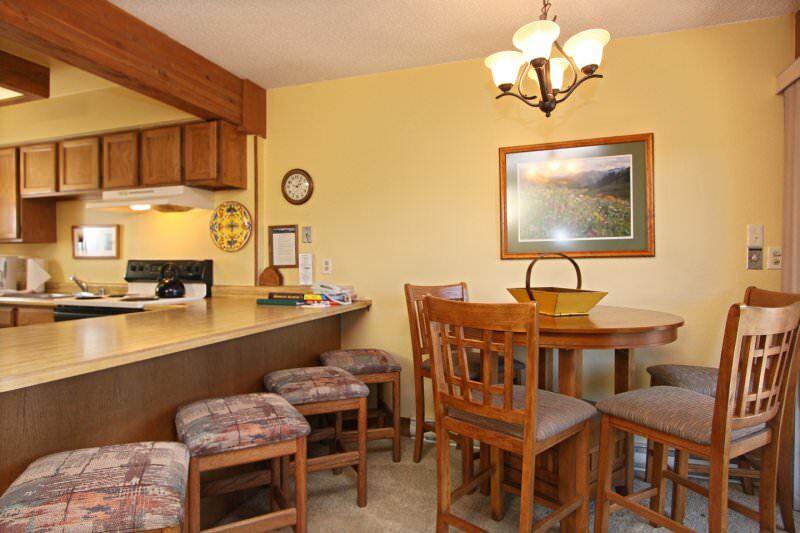 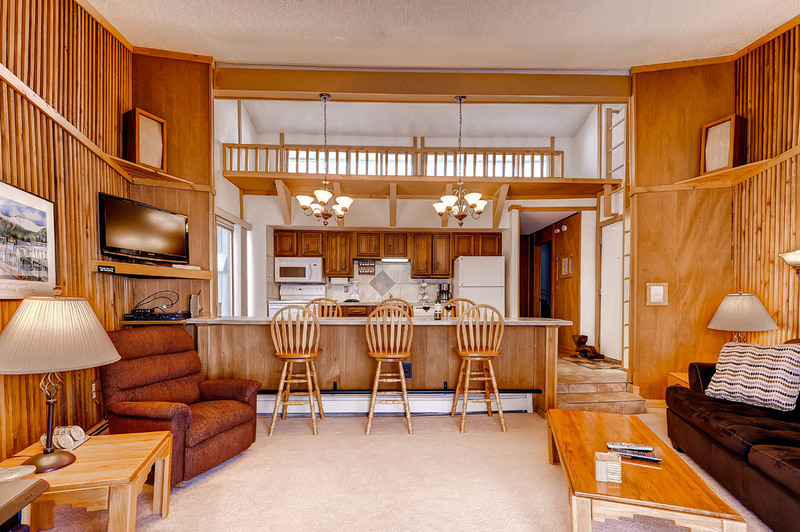 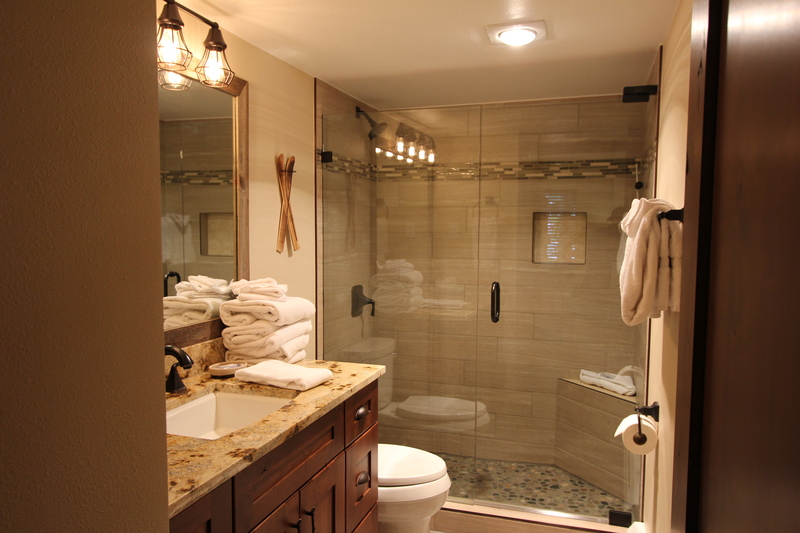 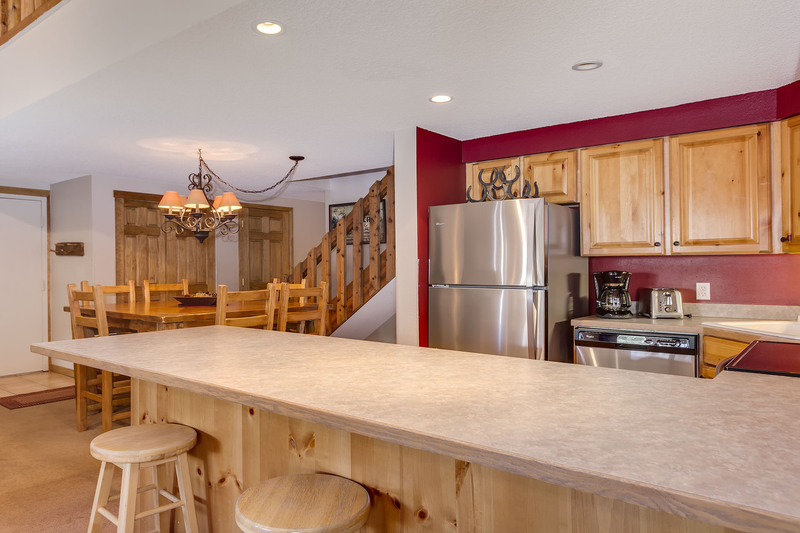 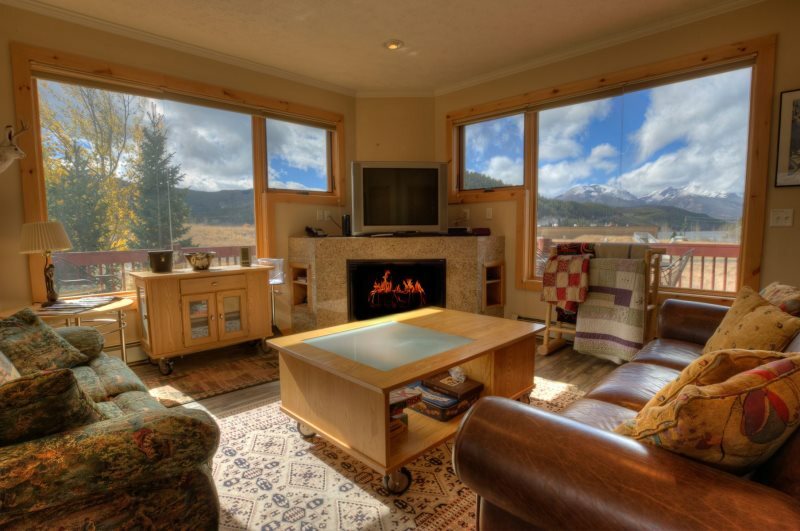 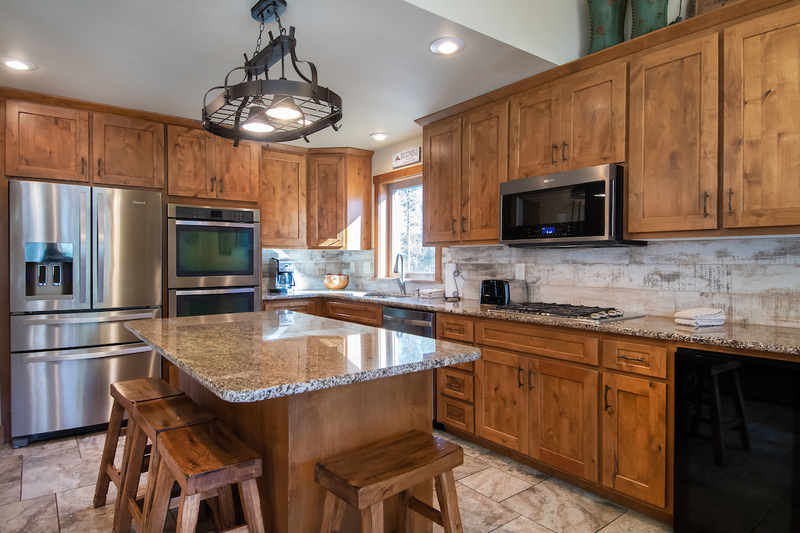 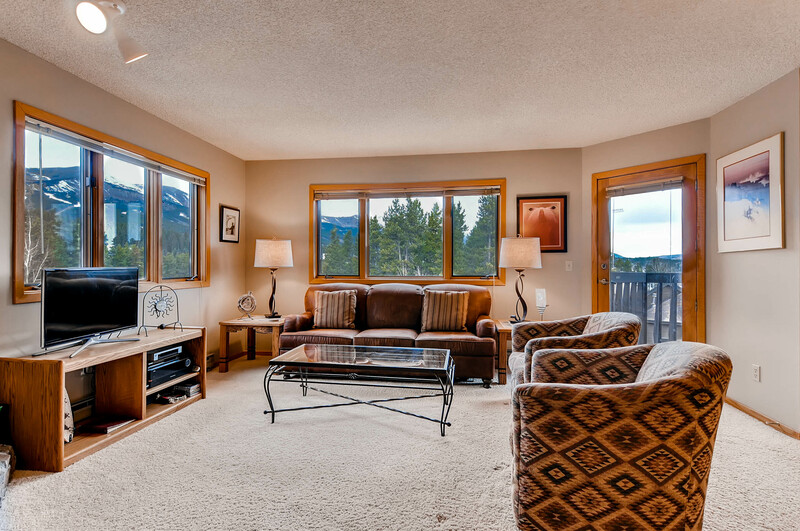 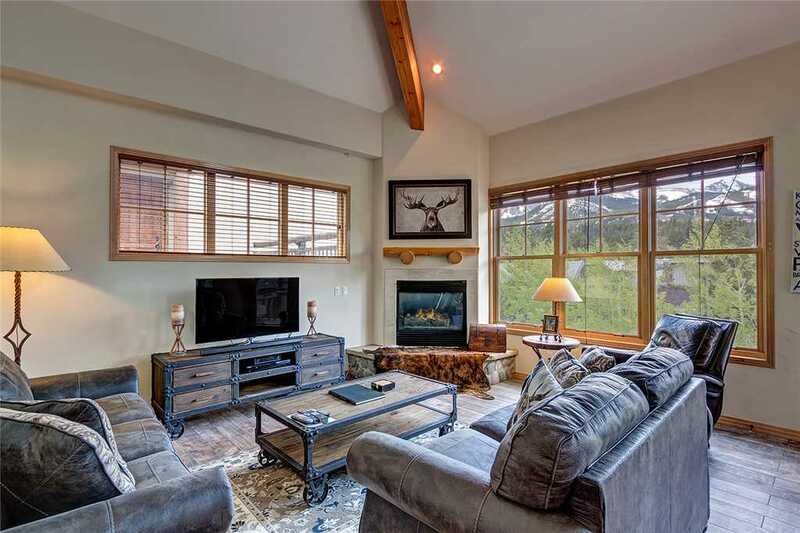 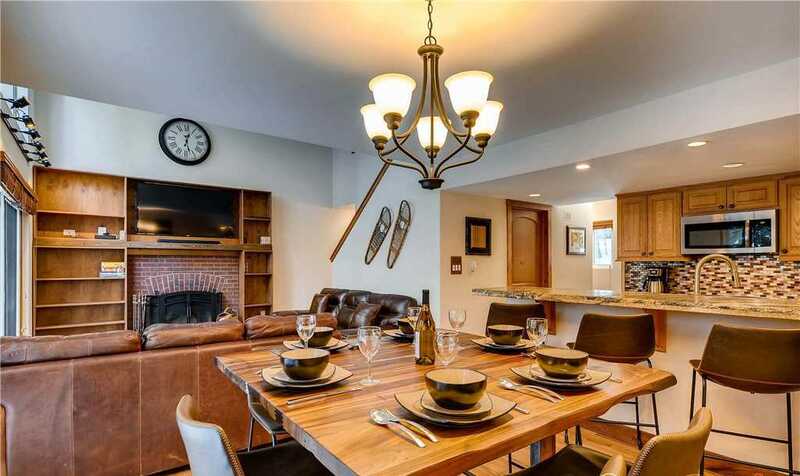 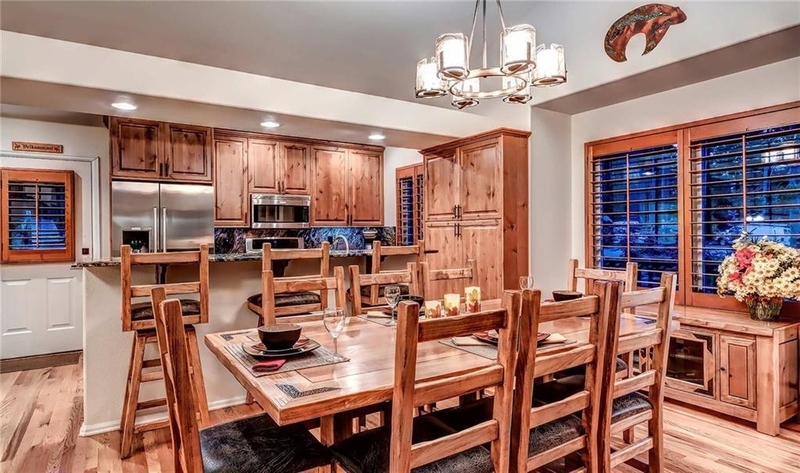 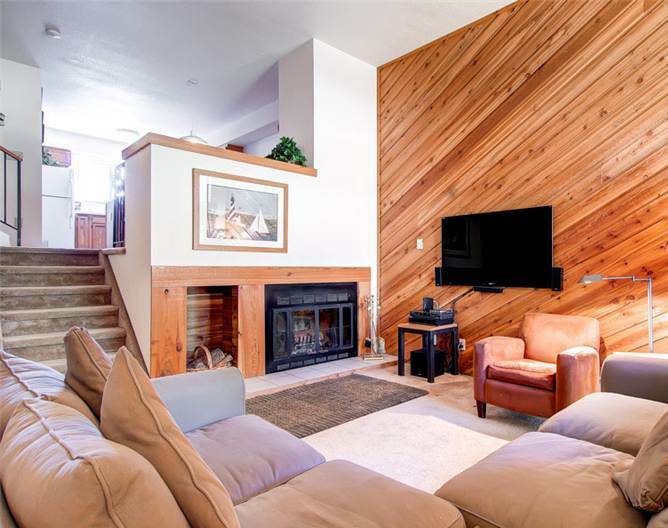 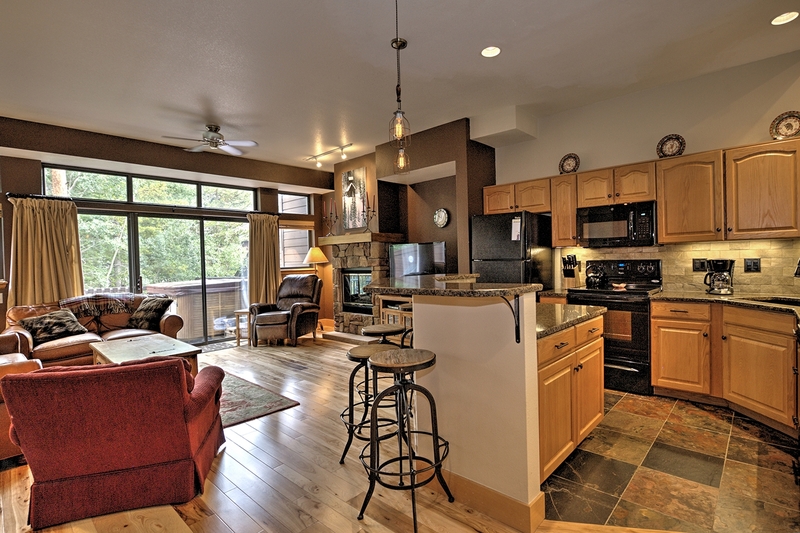 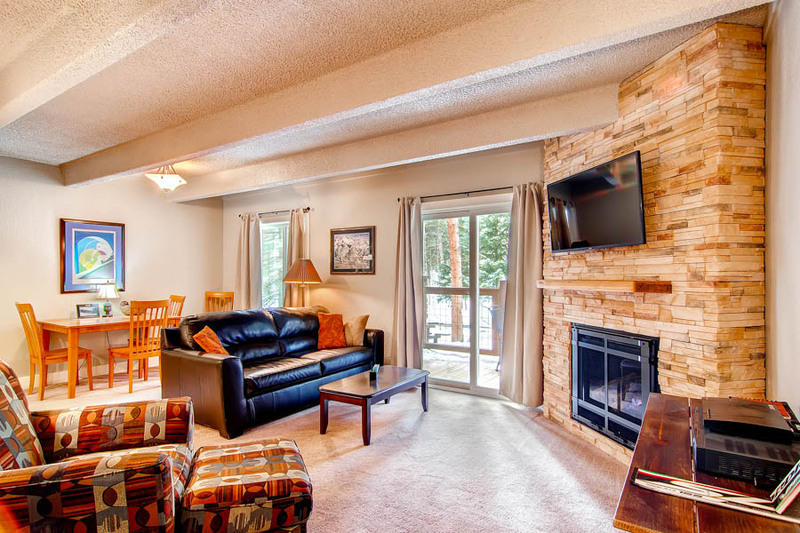 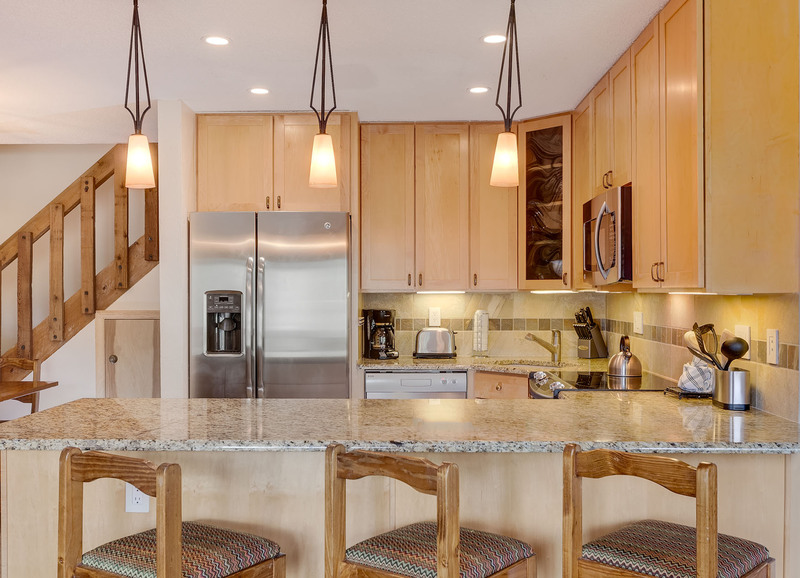 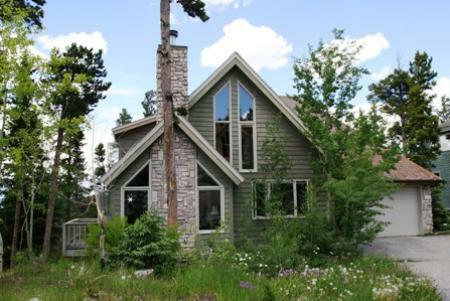 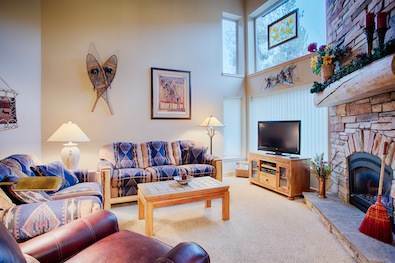 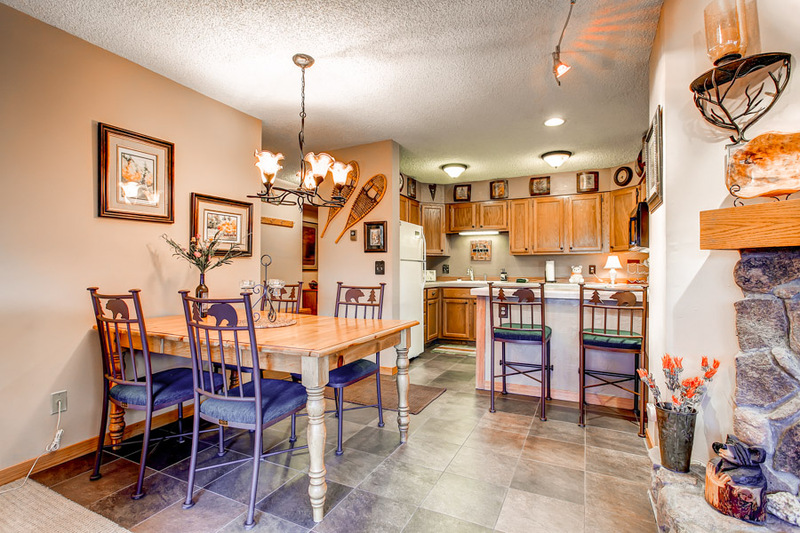 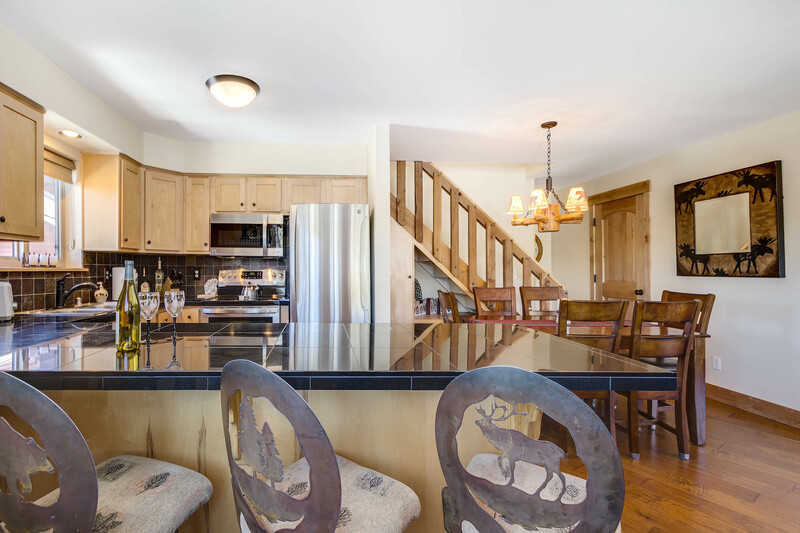 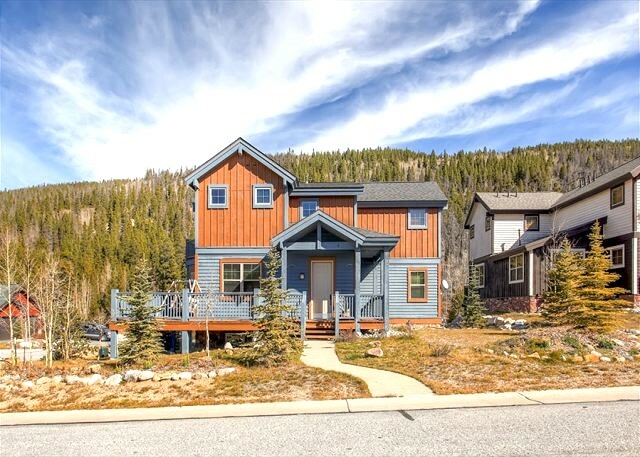 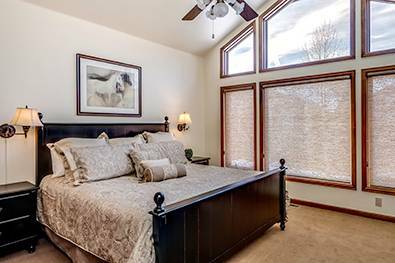 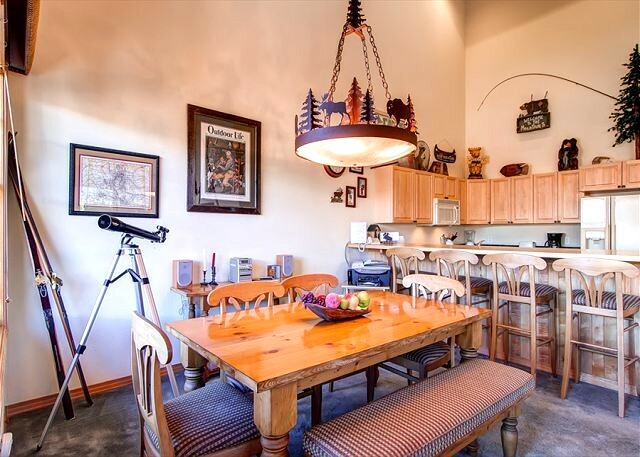 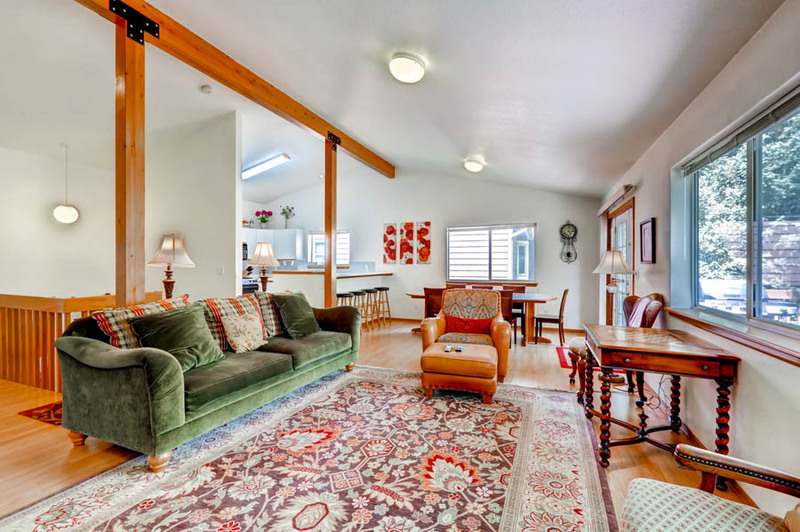 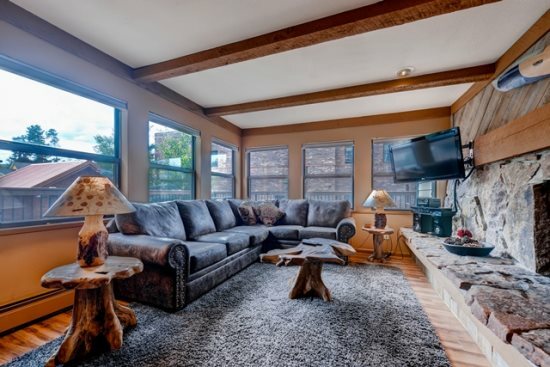 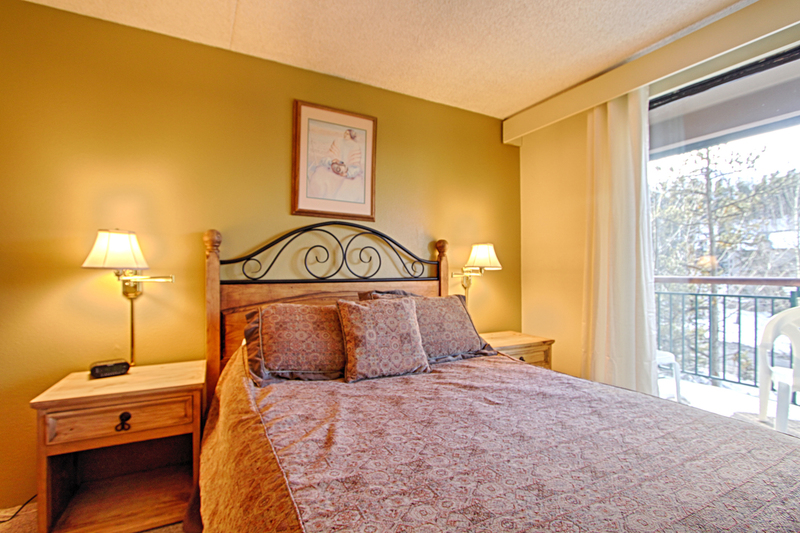 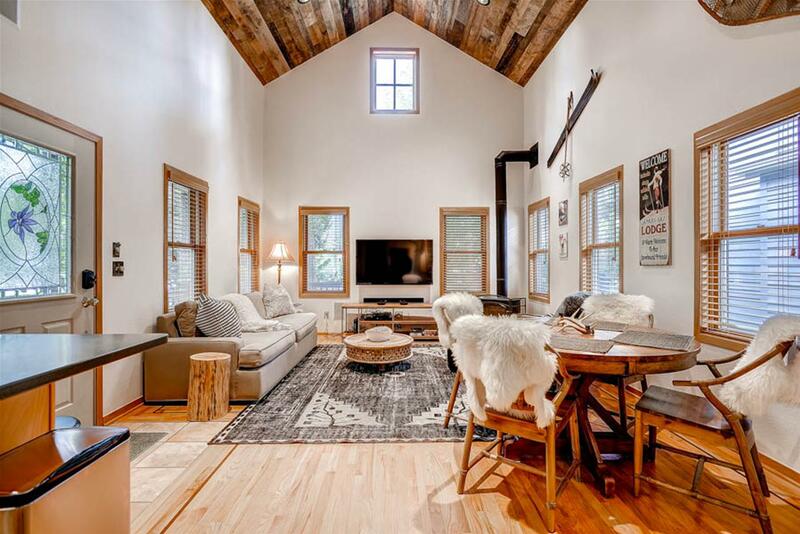 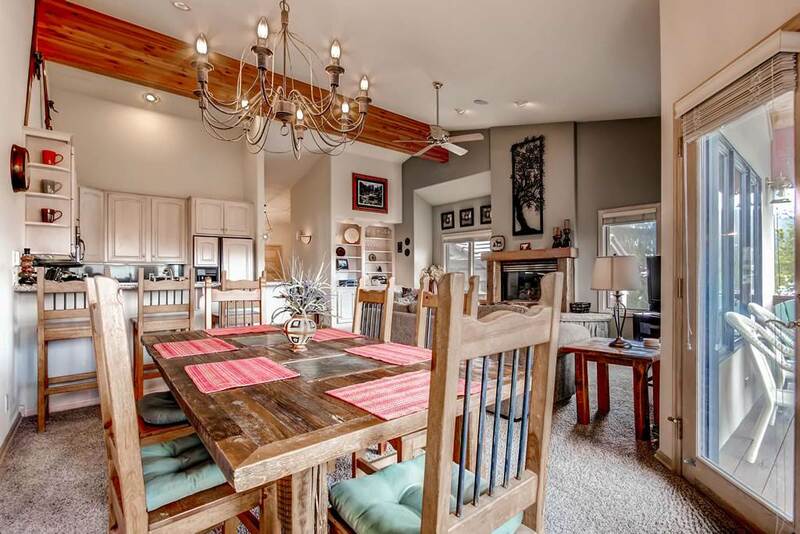 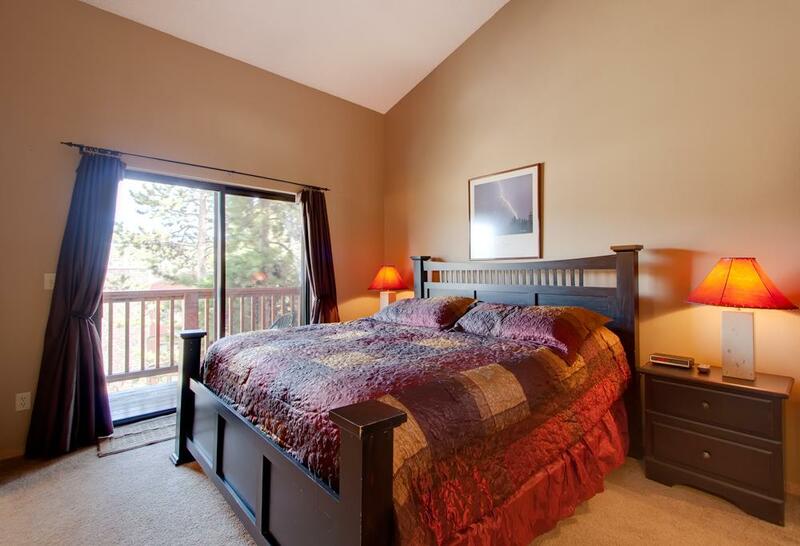 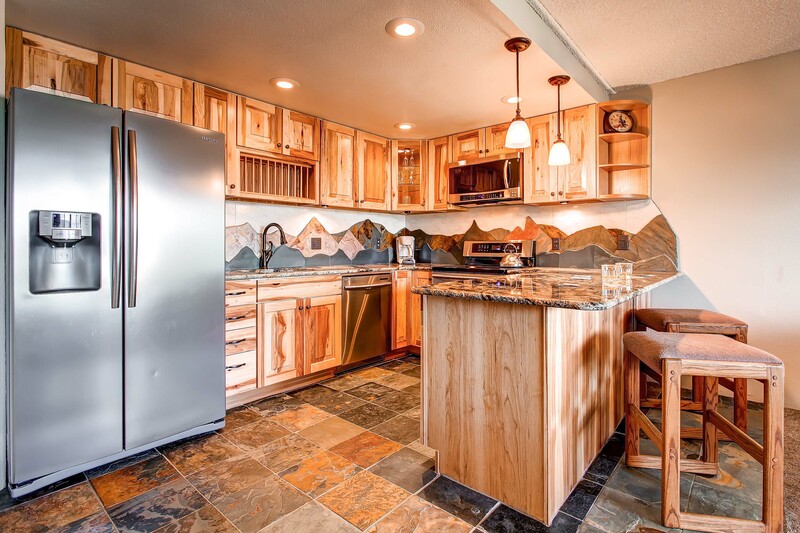 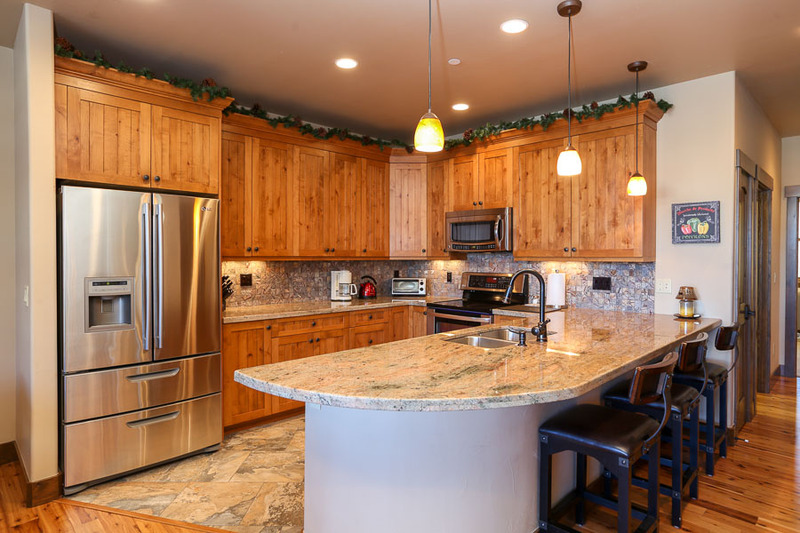 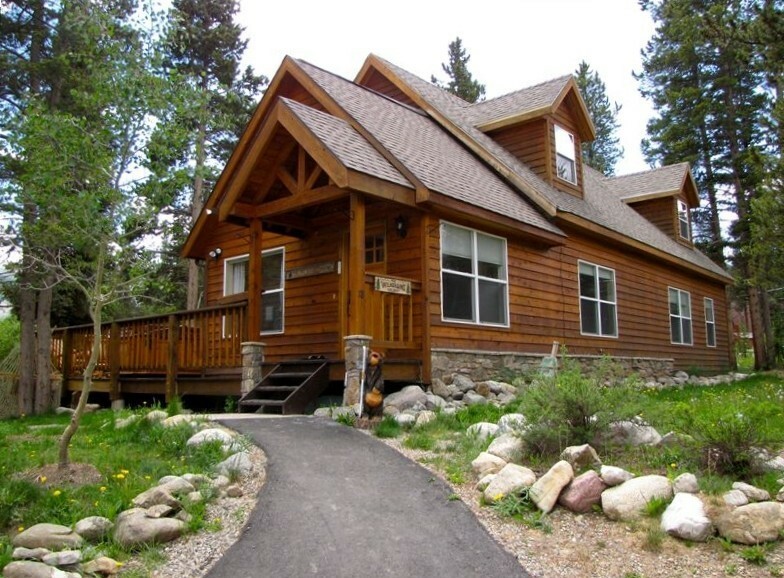 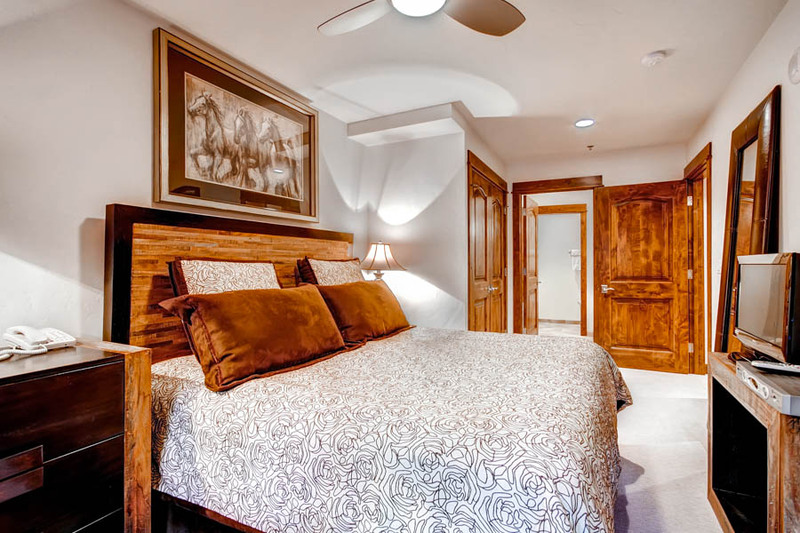 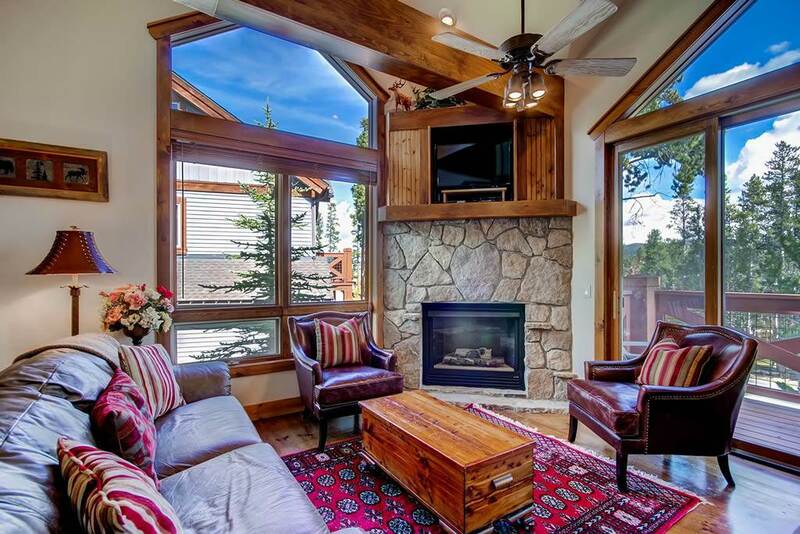 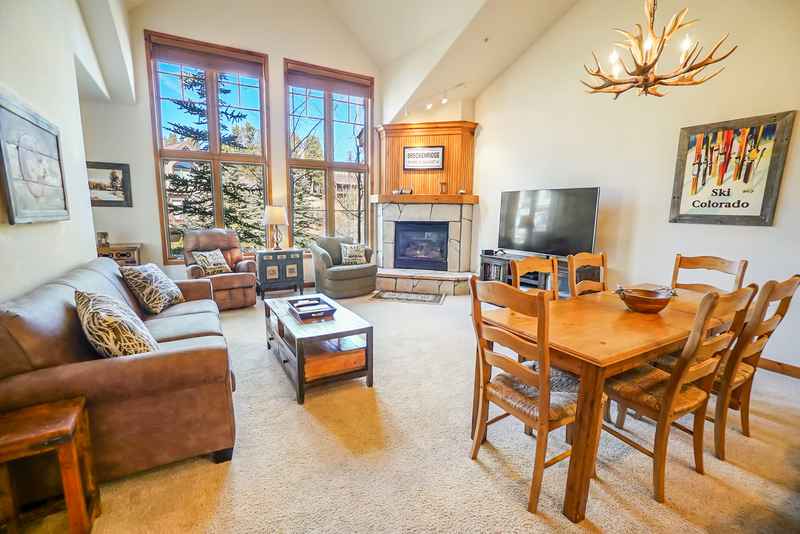 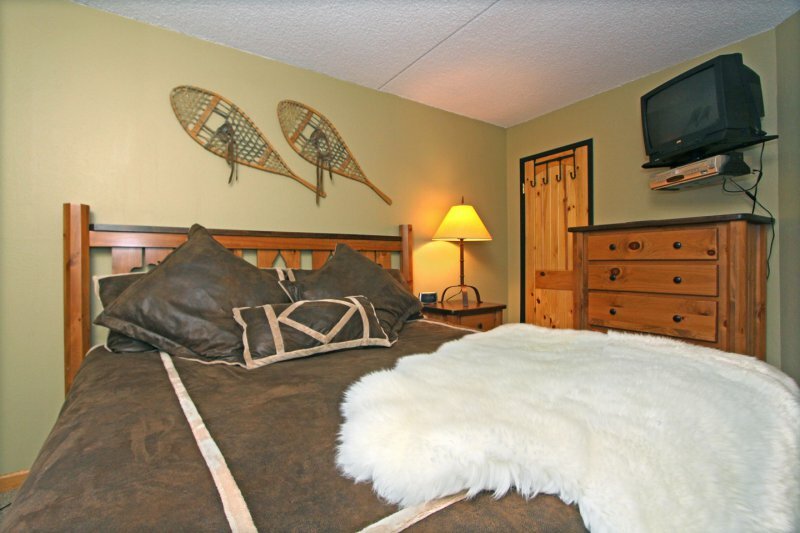 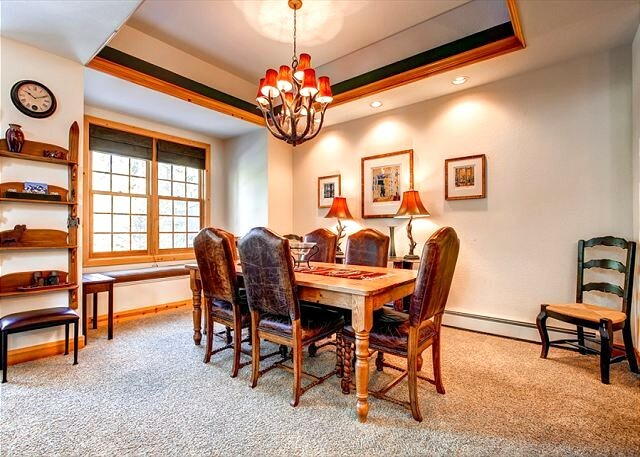 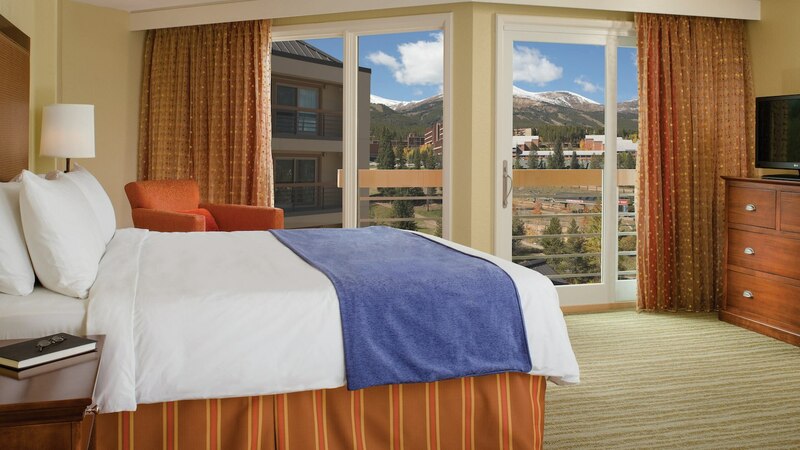 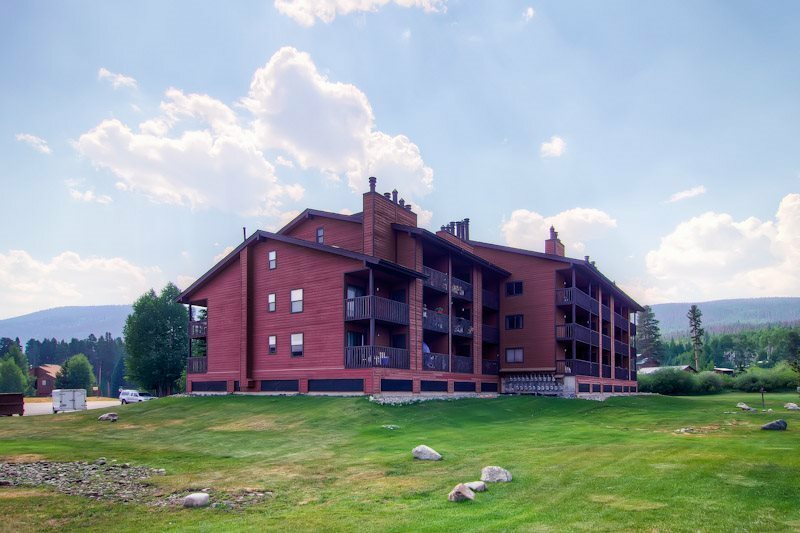 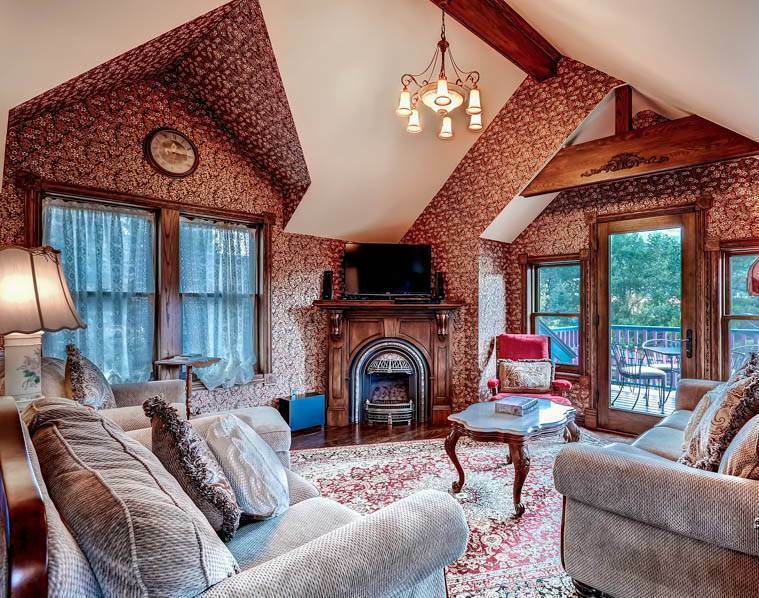 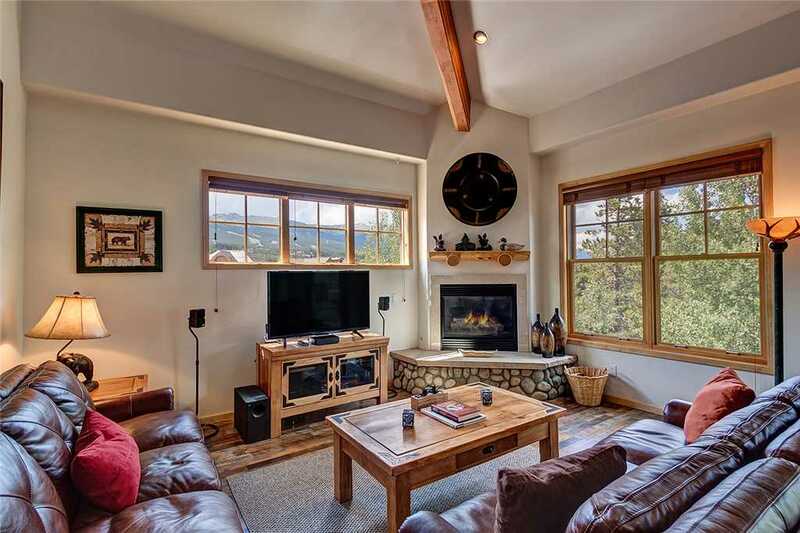 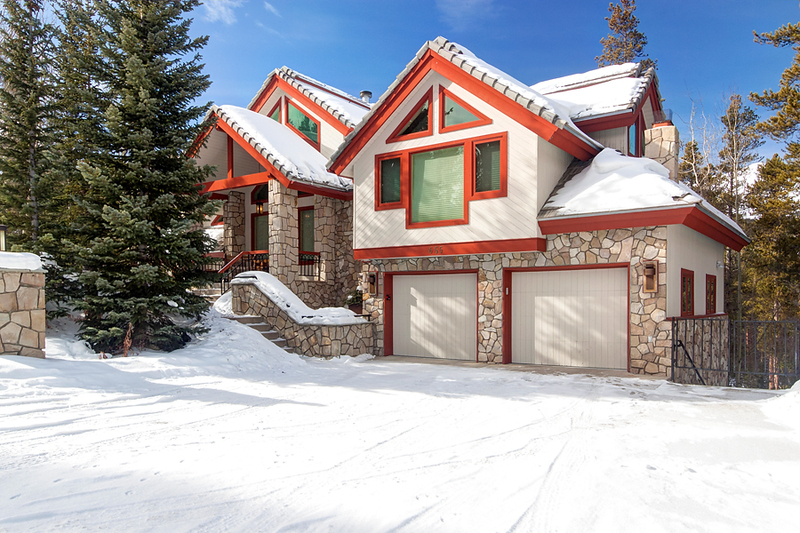 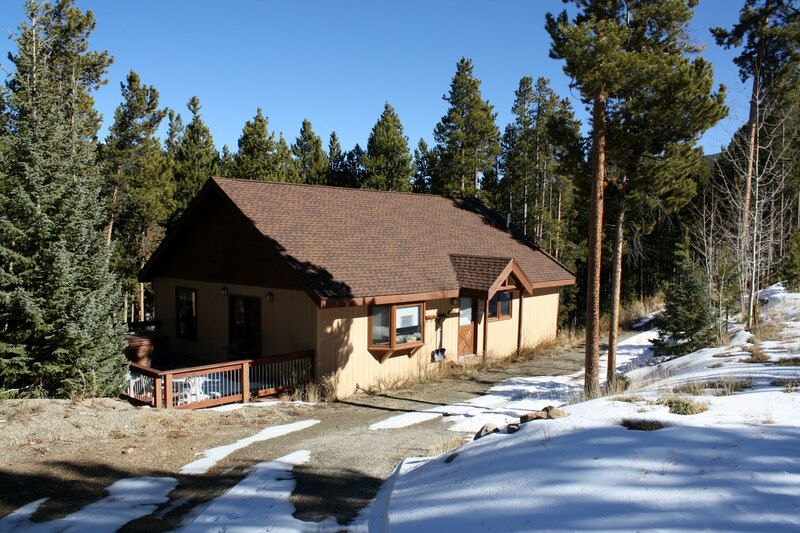 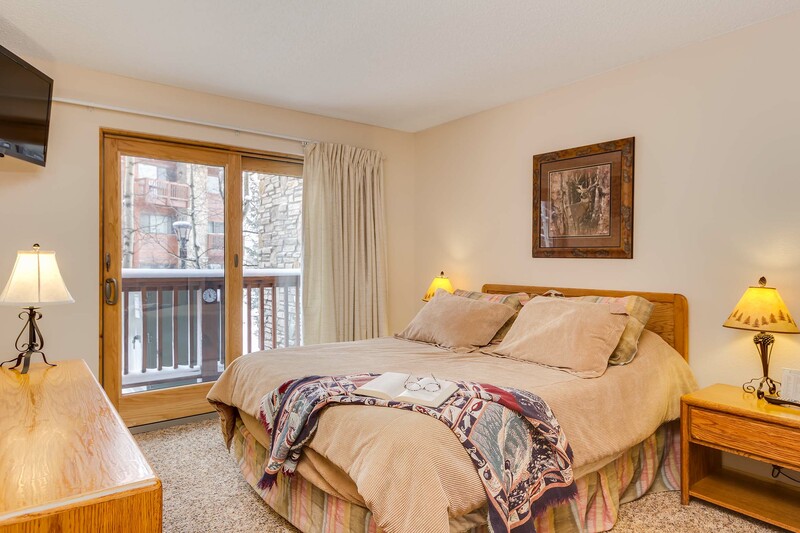 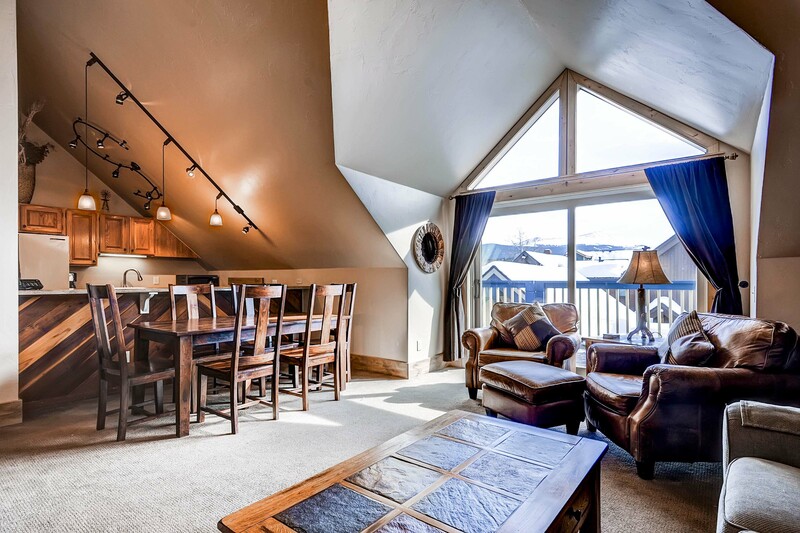 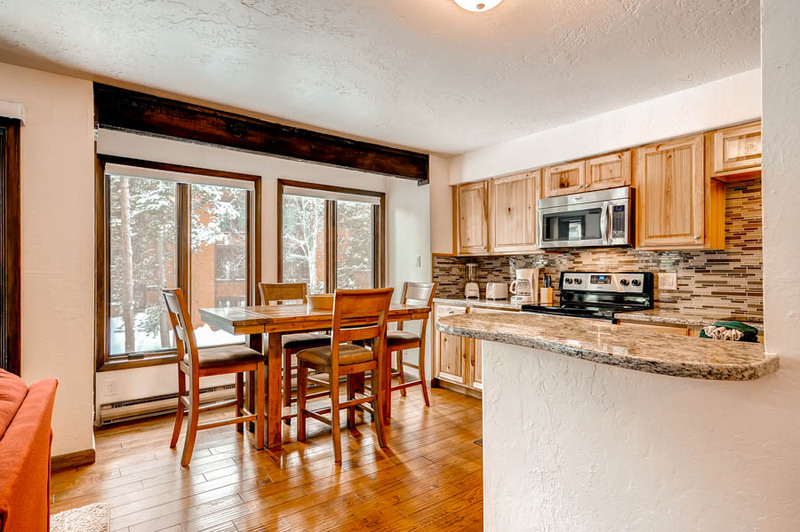 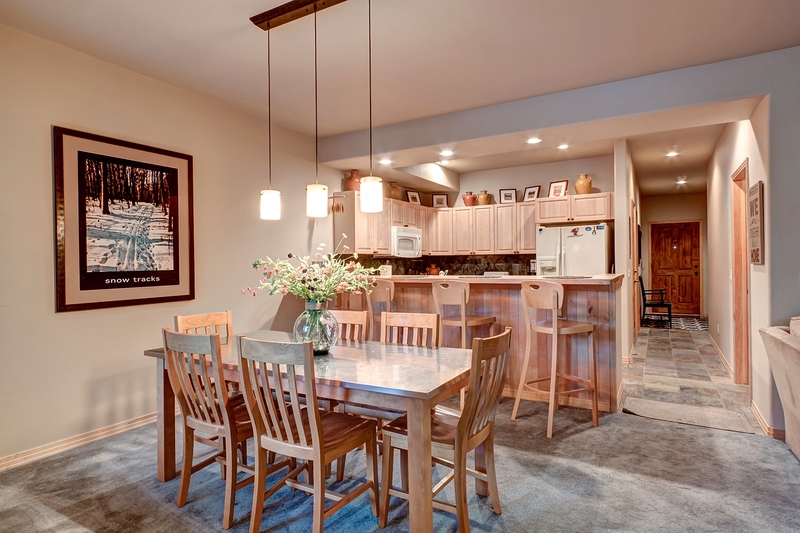 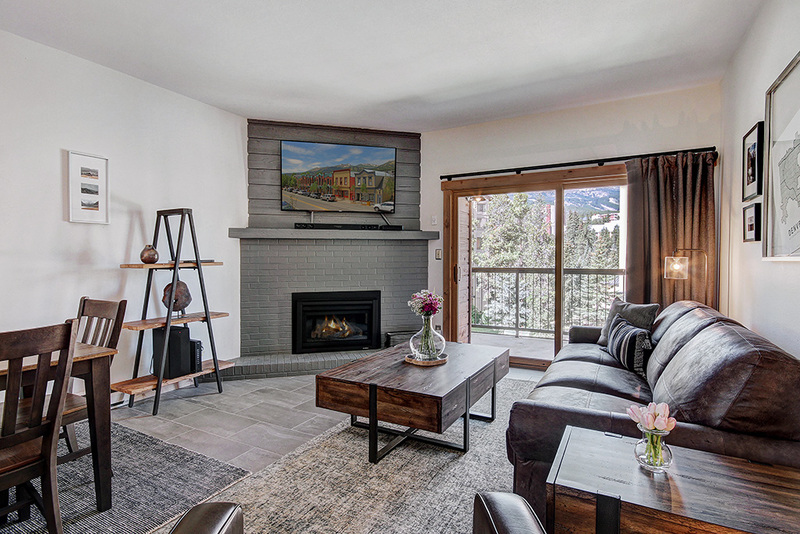 It is ideal for the history buff who desires living like a true local in a vintage home while enjoying everything there is to offer in Breckenridge including world-class skiing, endless hiking and biking trails, and plenty of Main St. activities. 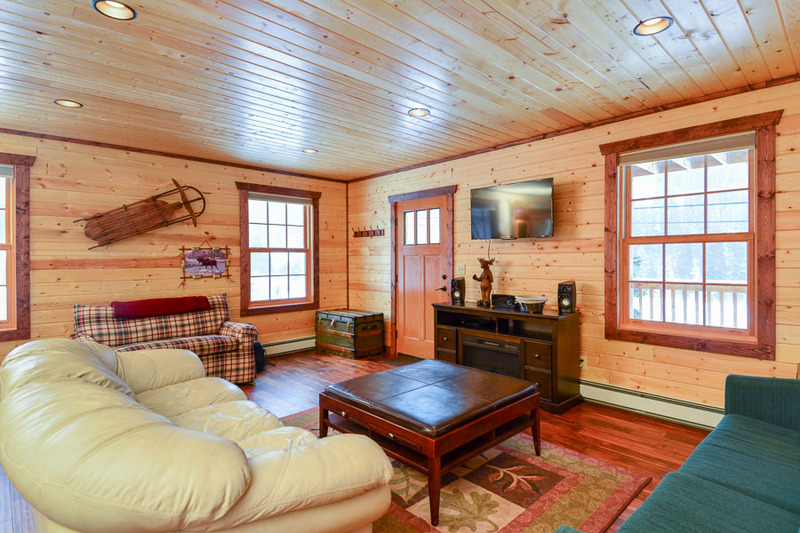 This side-gable saltbox style home offers quaintness and charm, perfectly suited for small groups or couples on a romantic getaway! 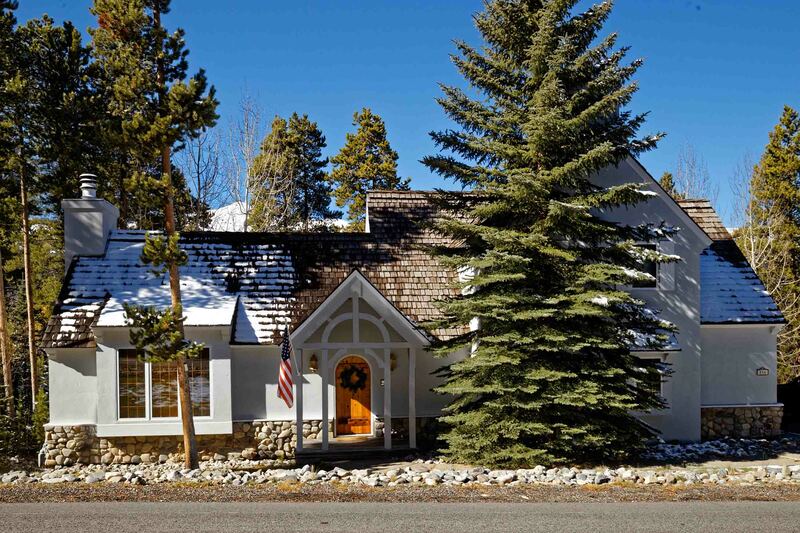 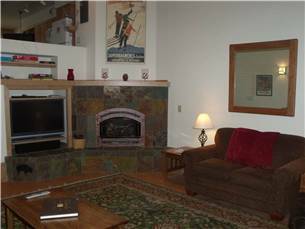 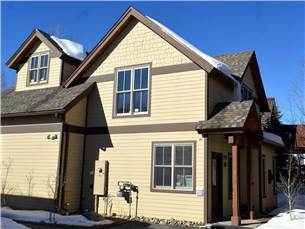 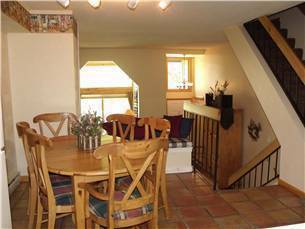 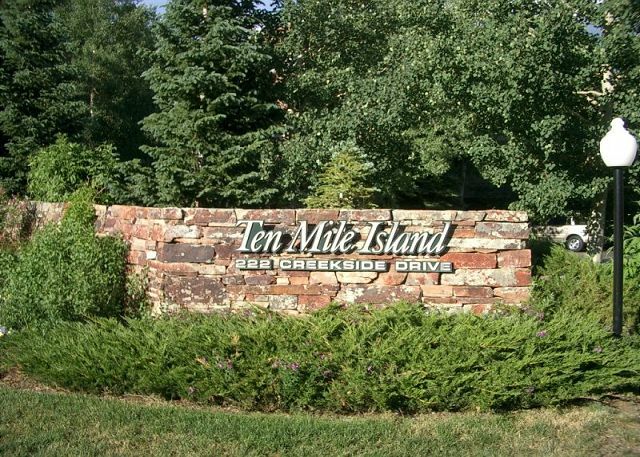 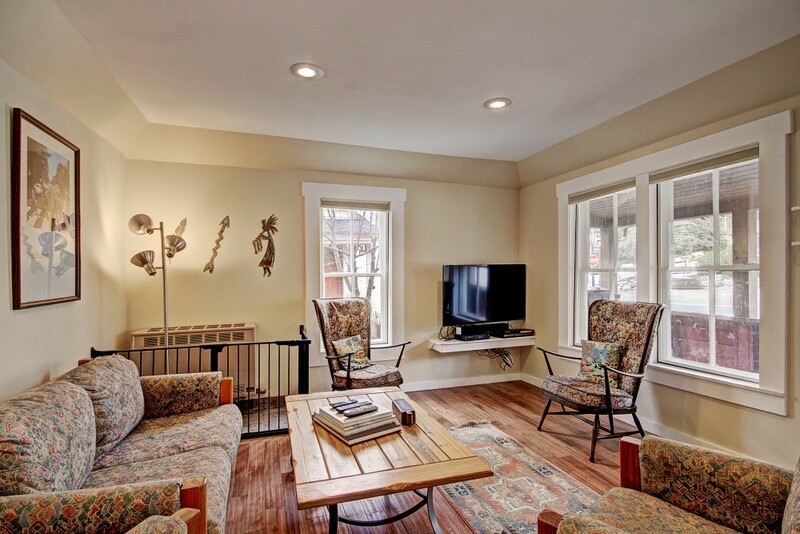 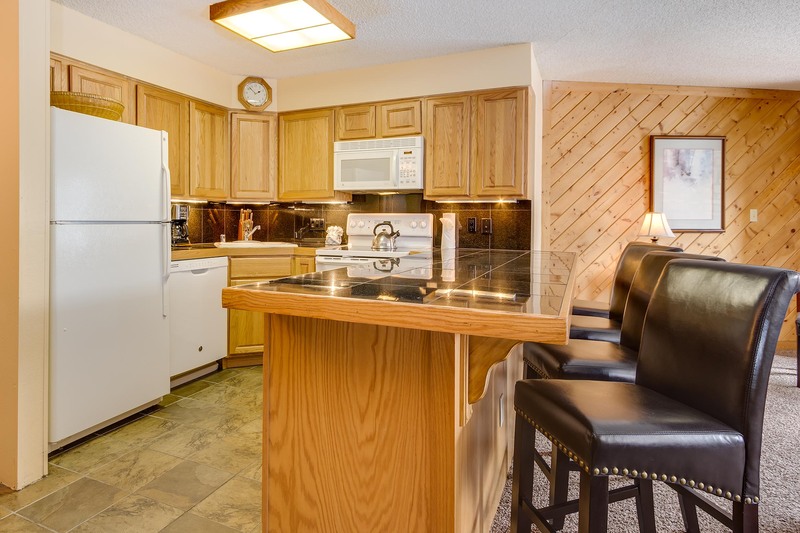 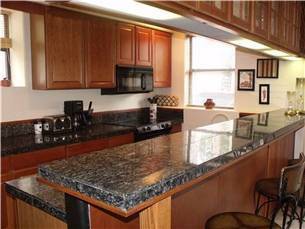 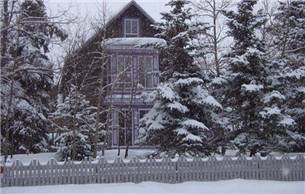 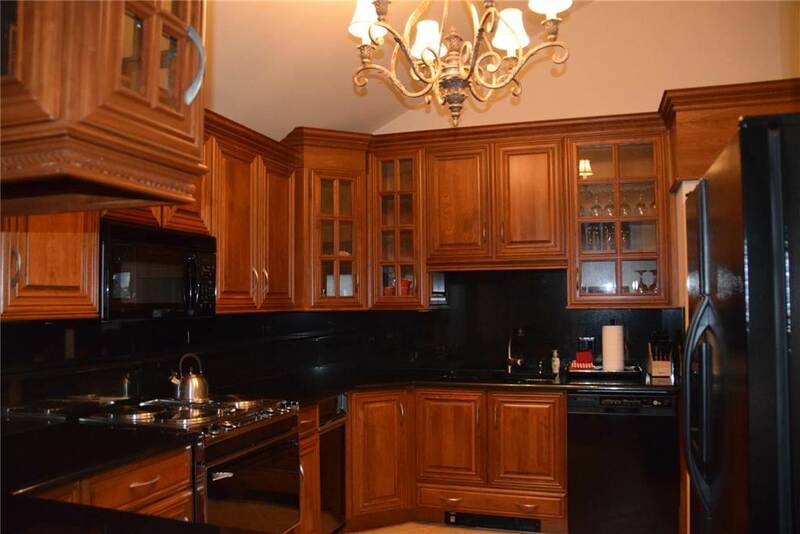 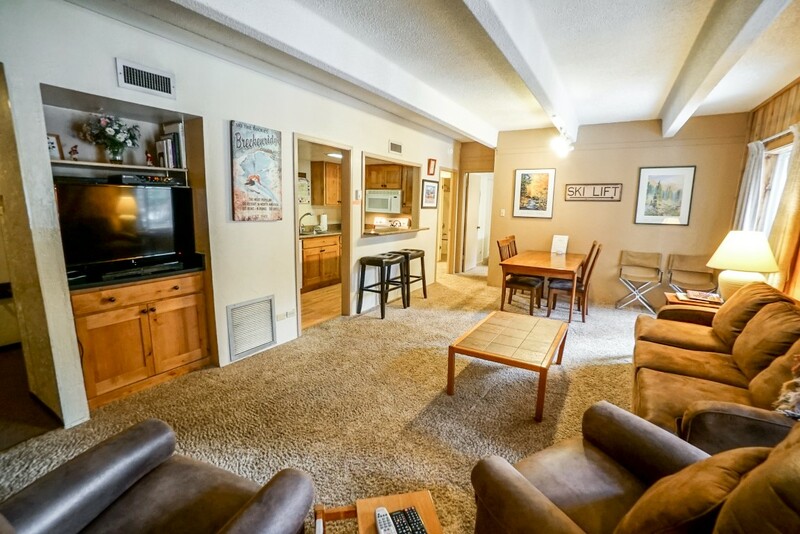 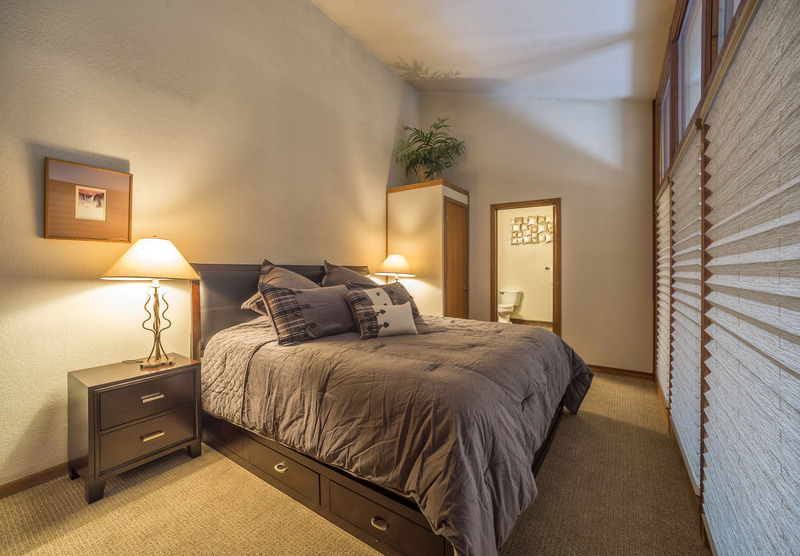 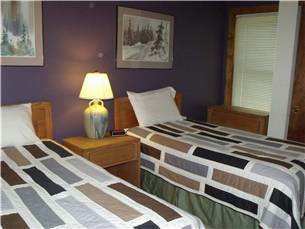 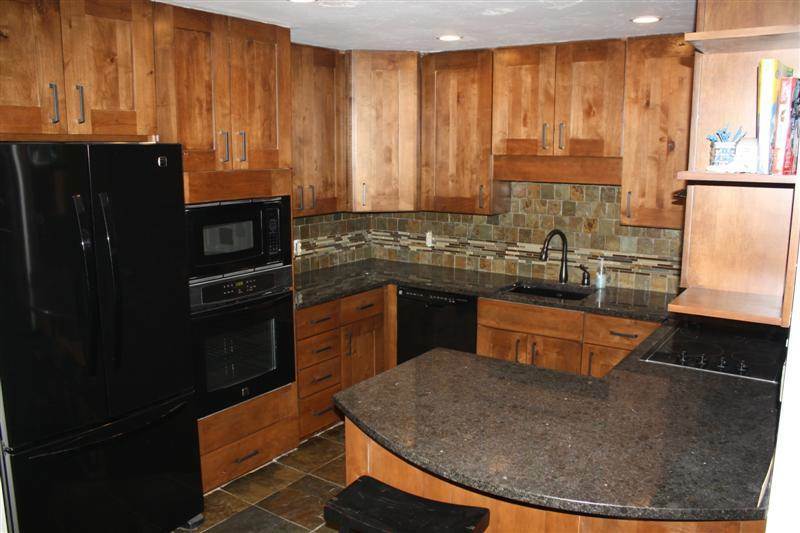 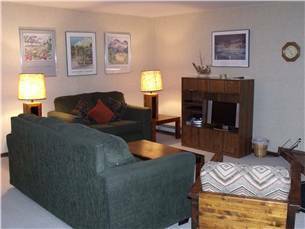 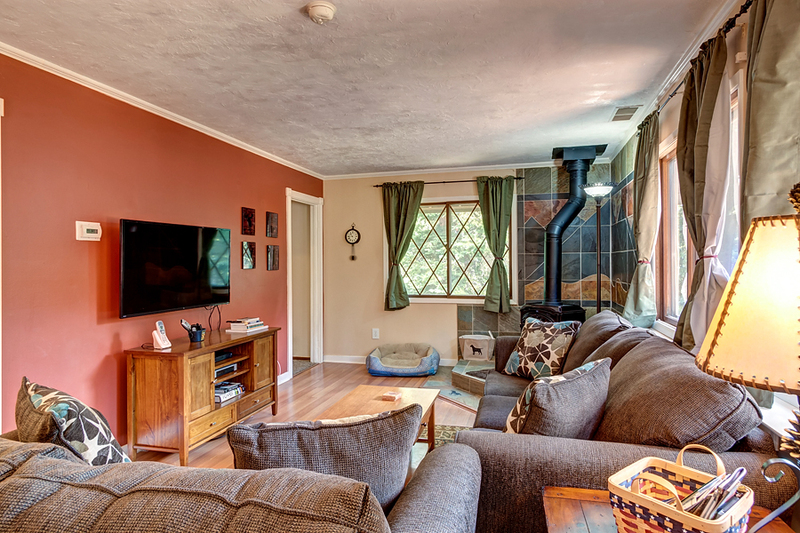 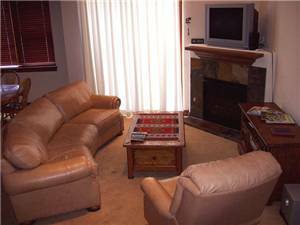 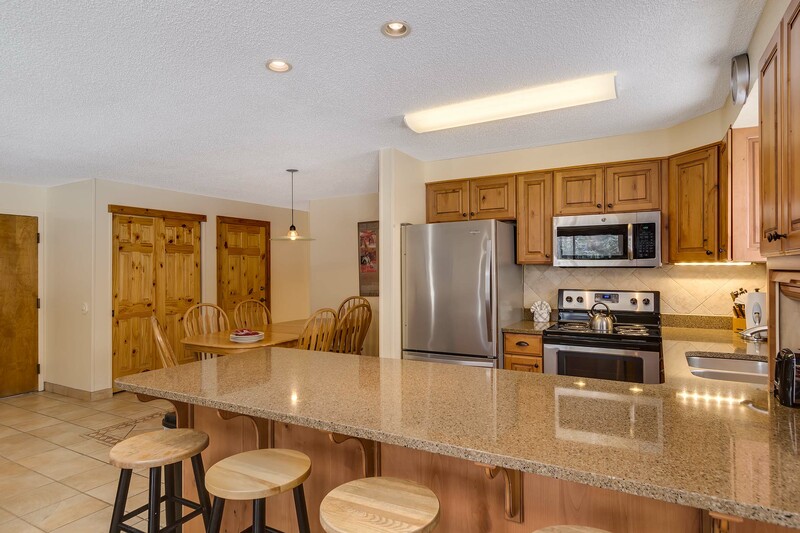 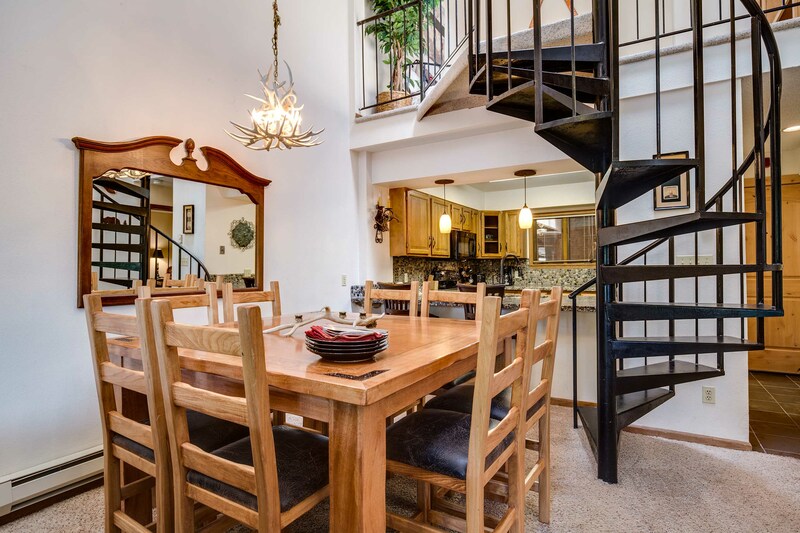 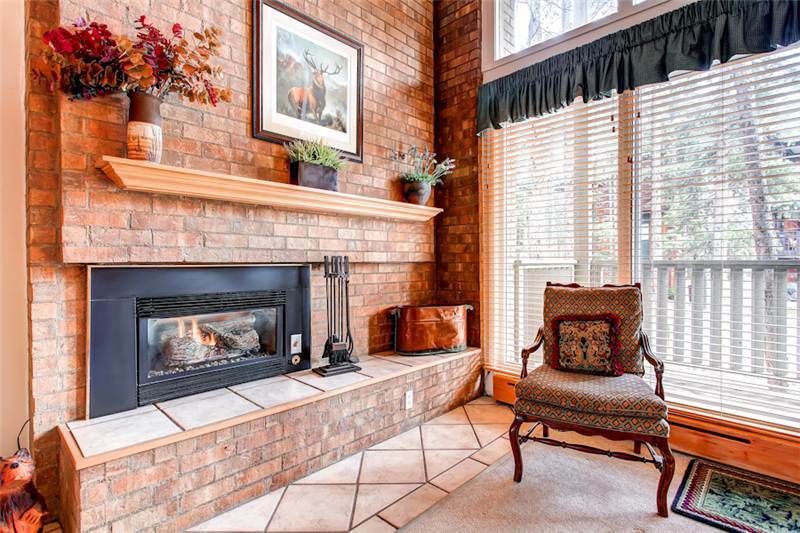 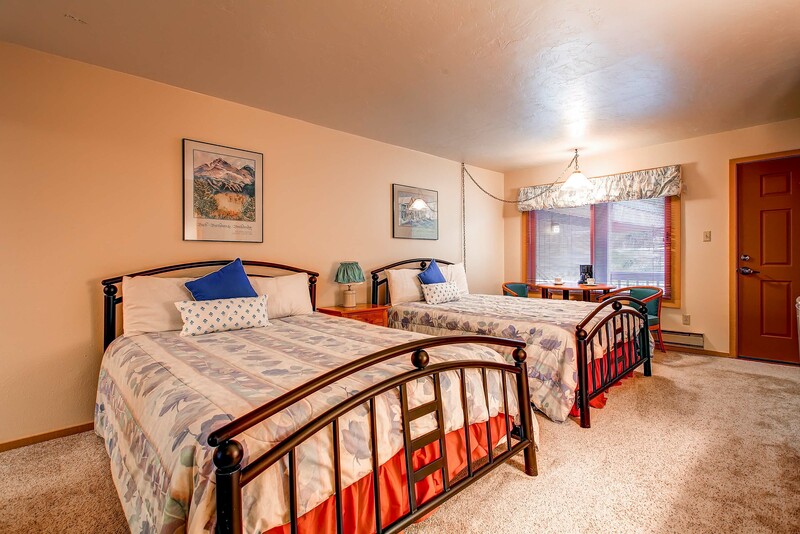 The house is located in the heart of Breckenridge in the quiet residential Historic District, Terrill House is conveniently located to the shuttle stop (only 1 block away on Harris St), Main St., Carter Park and the ice rink. 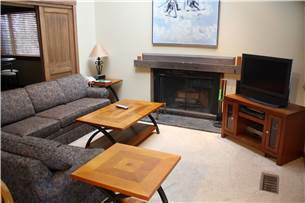 Local history surrounds this property with historical museums, sites and walking tours to enjoy right outside your door. 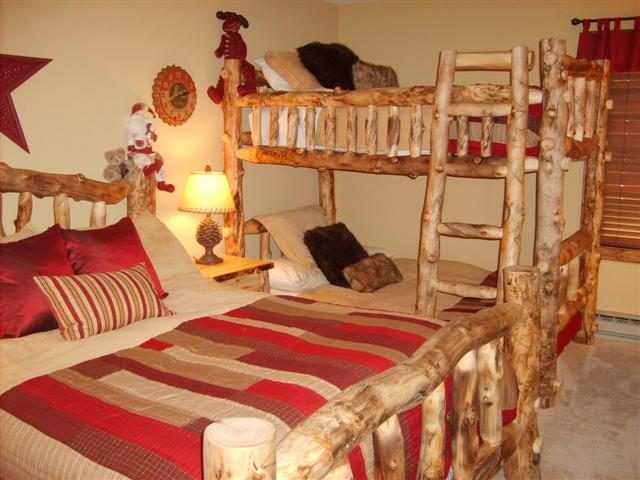 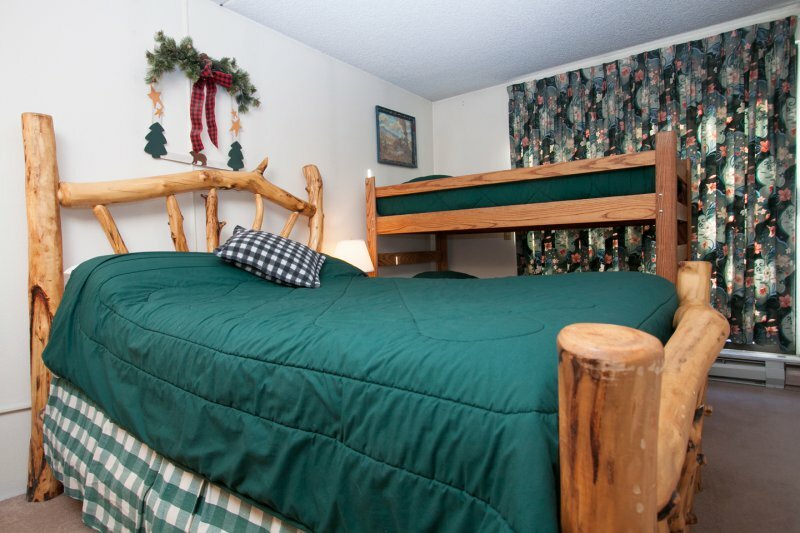 There are three bedrooms including two queen bedrooms and a bunk bedroom that will accommodate up to six guests comfortably. 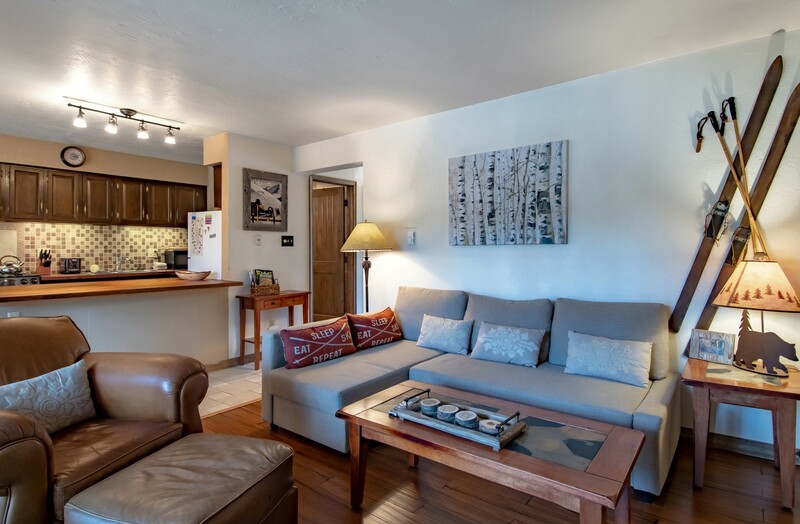 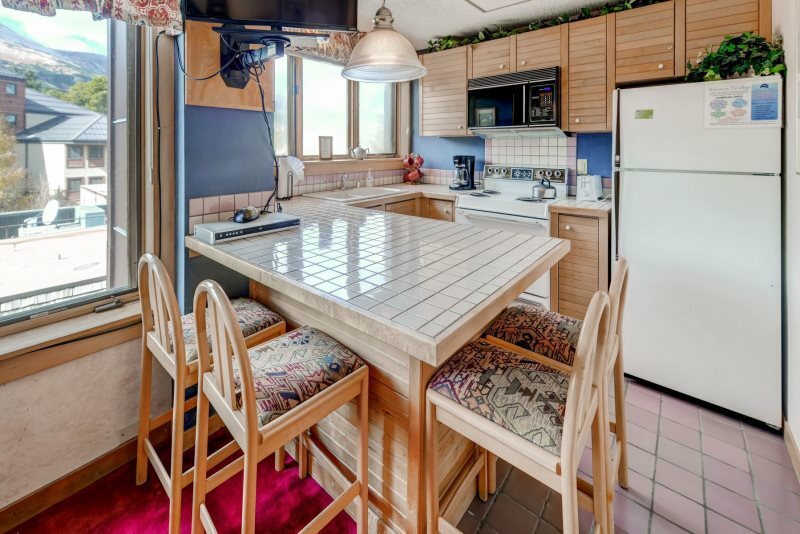 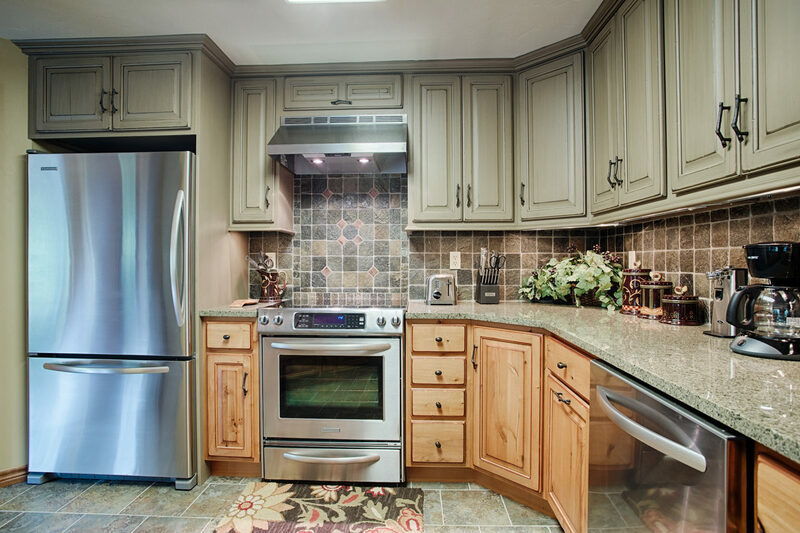 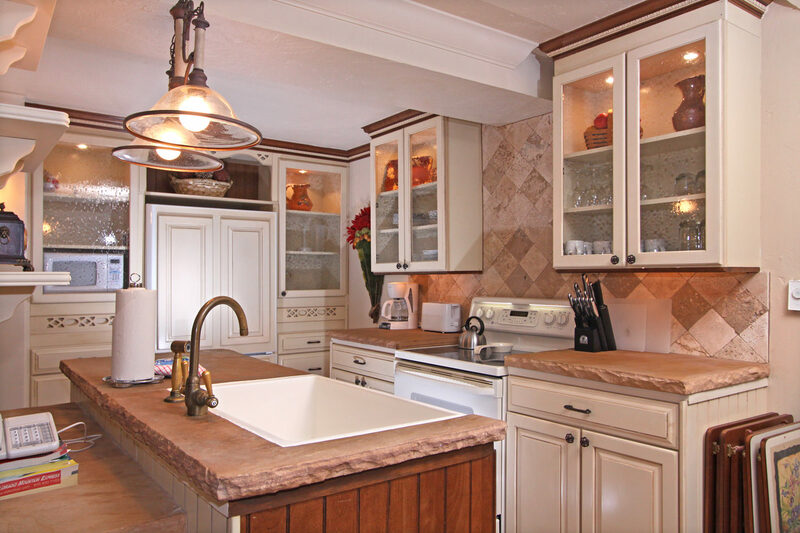 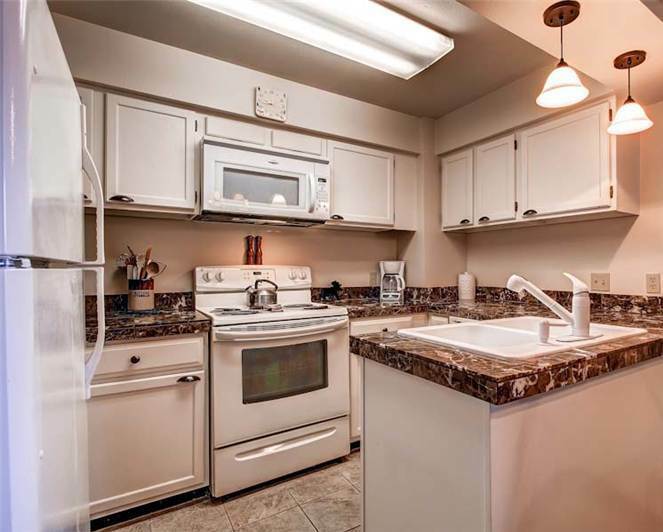 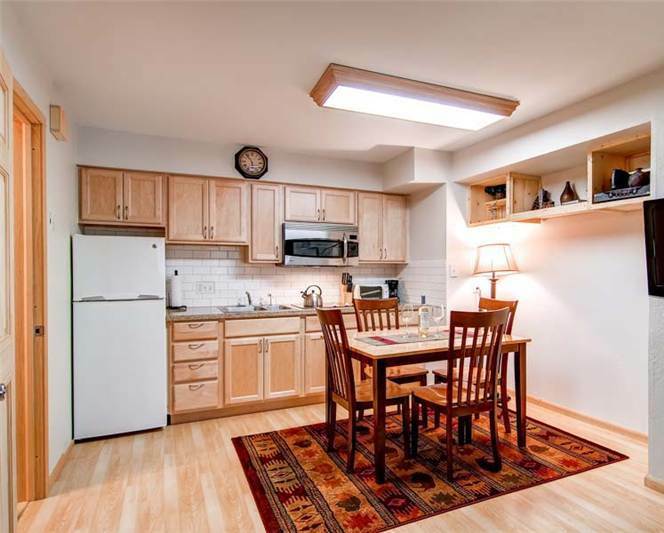 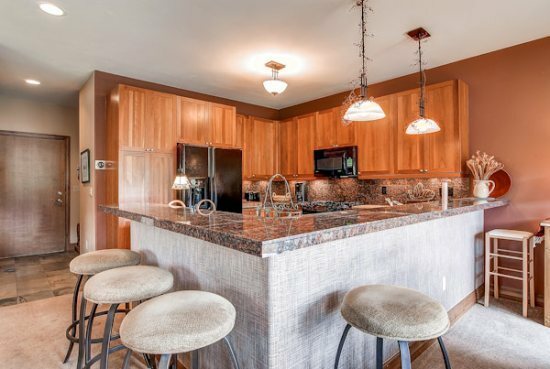 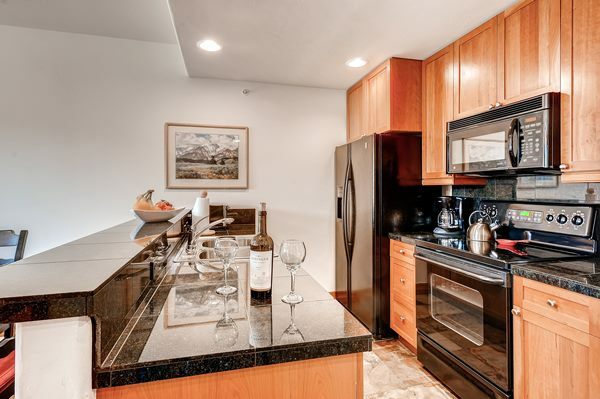 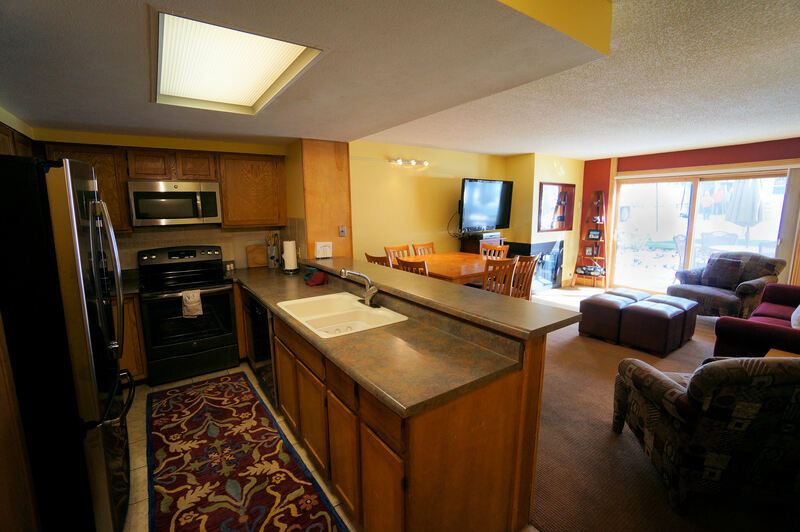 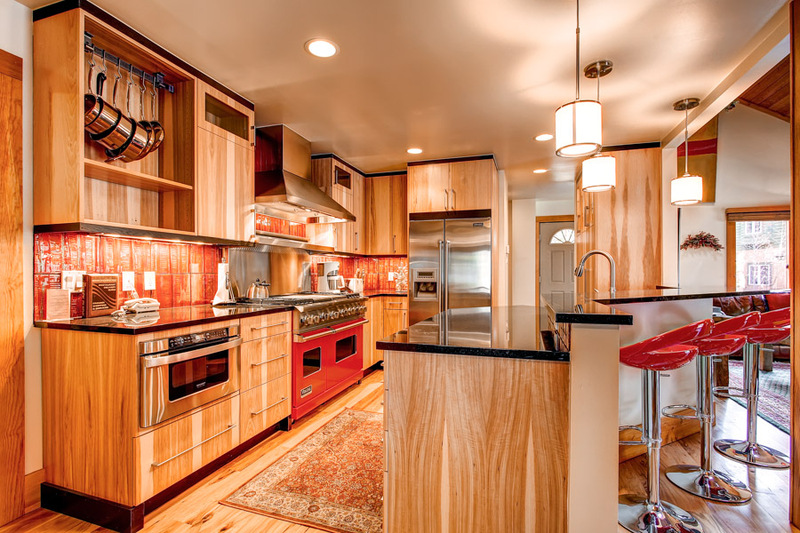 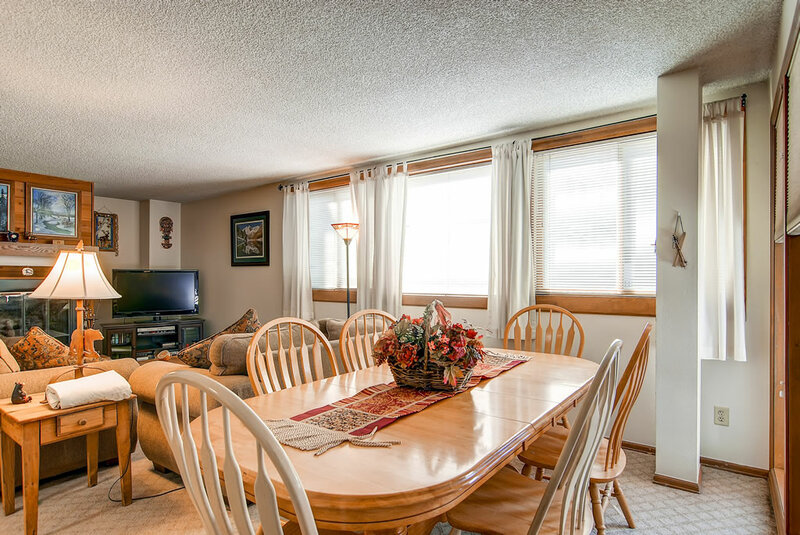 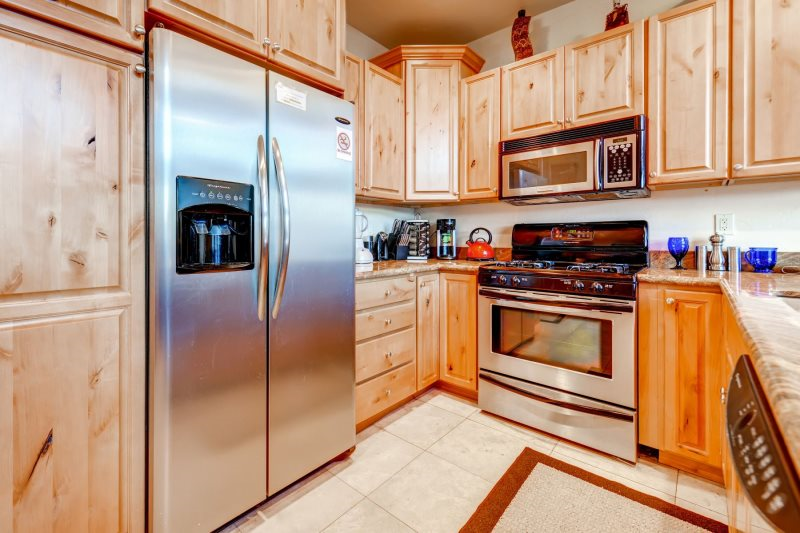 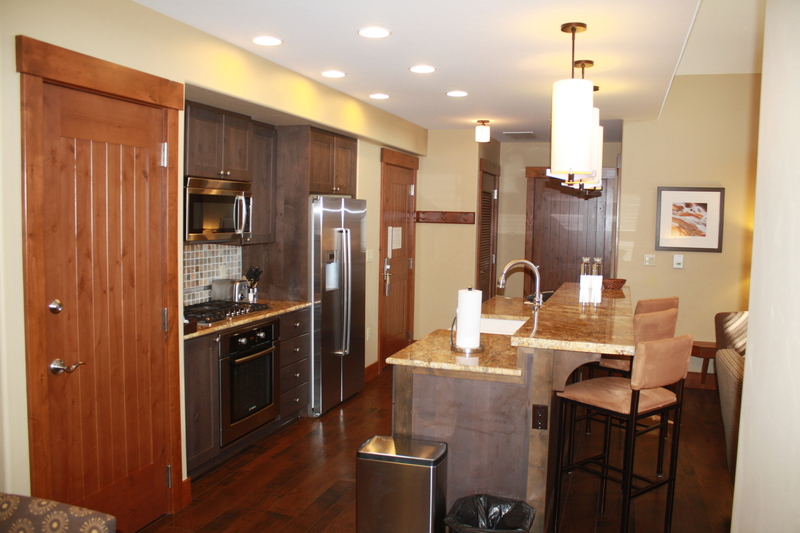 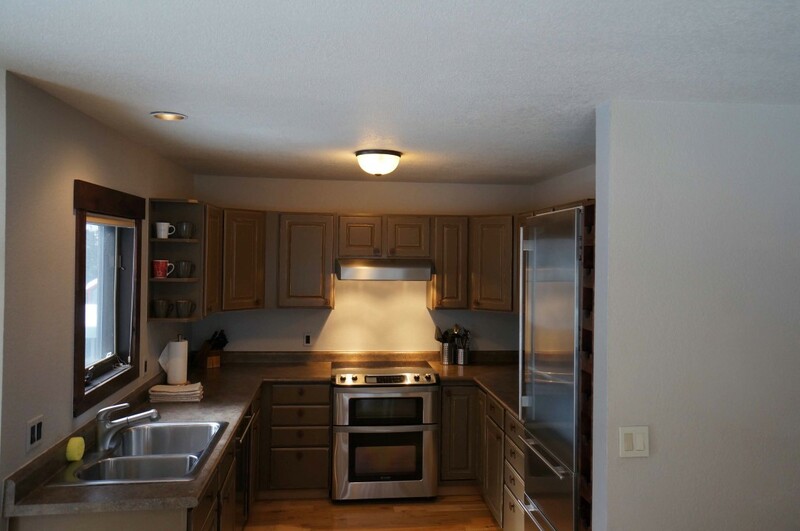 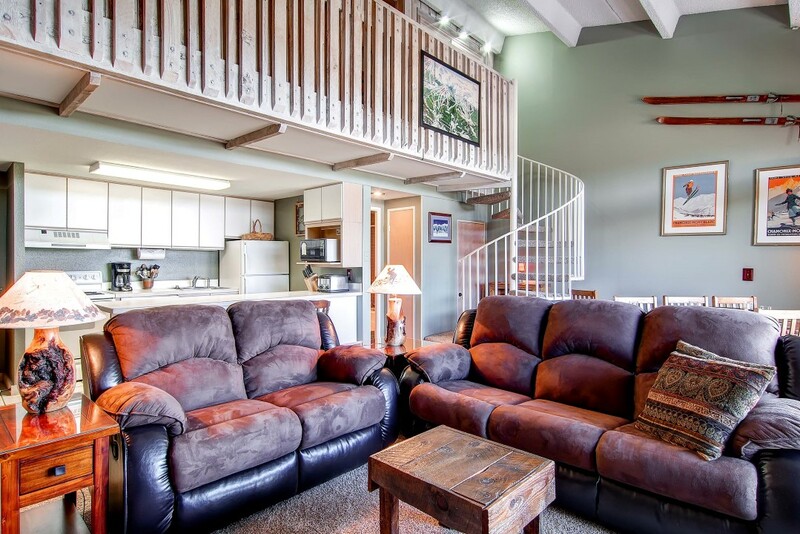 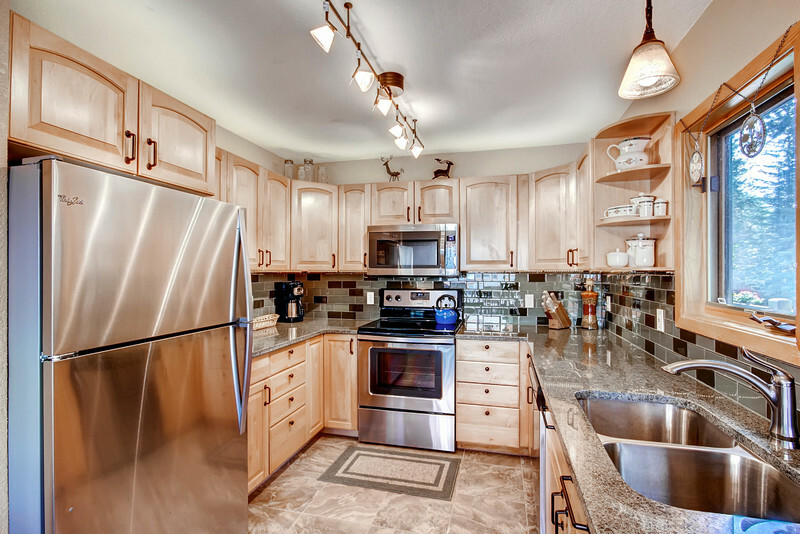 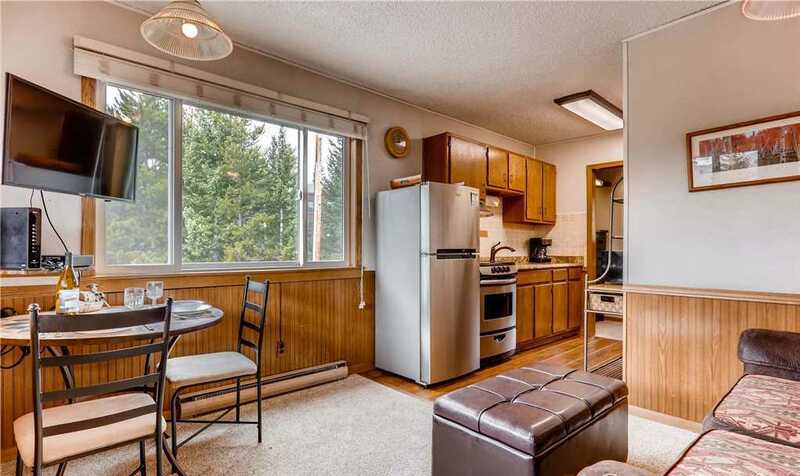 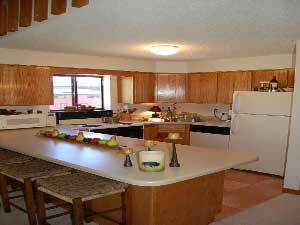 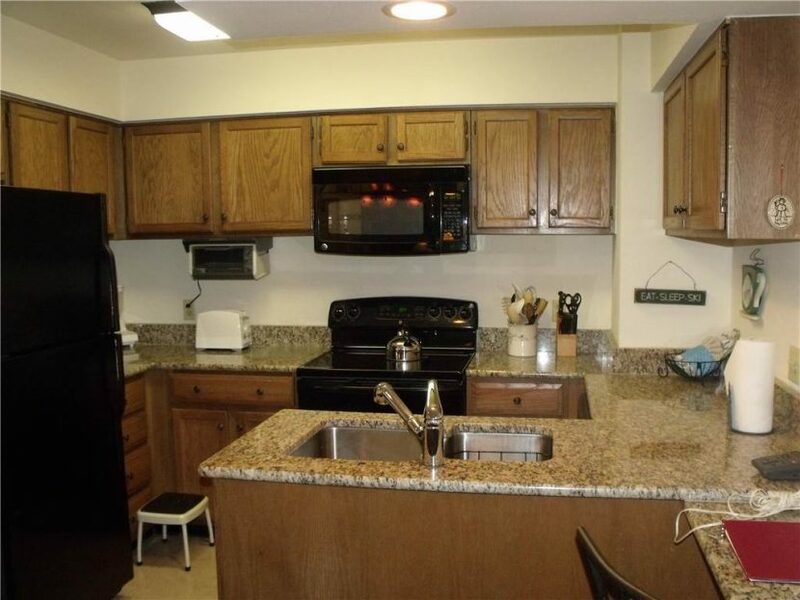 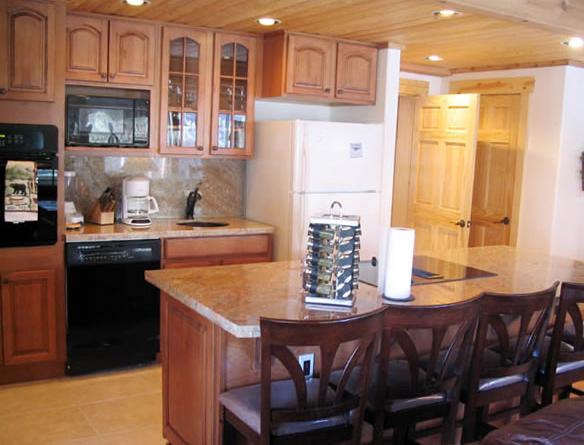 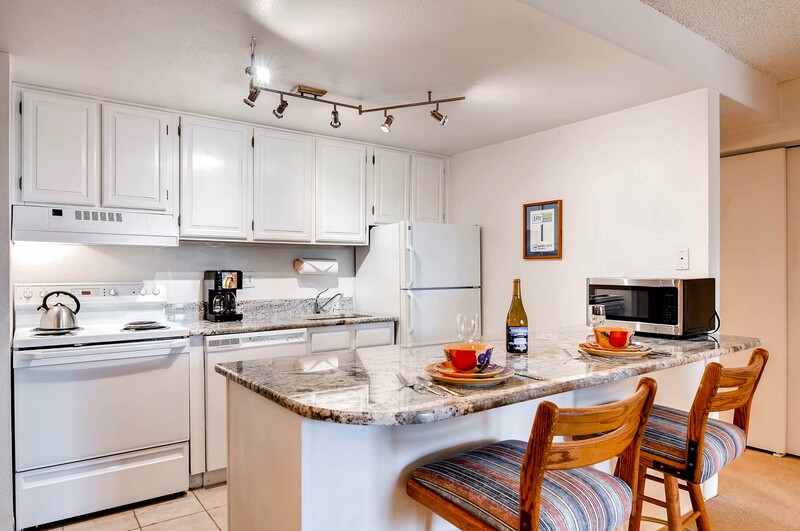 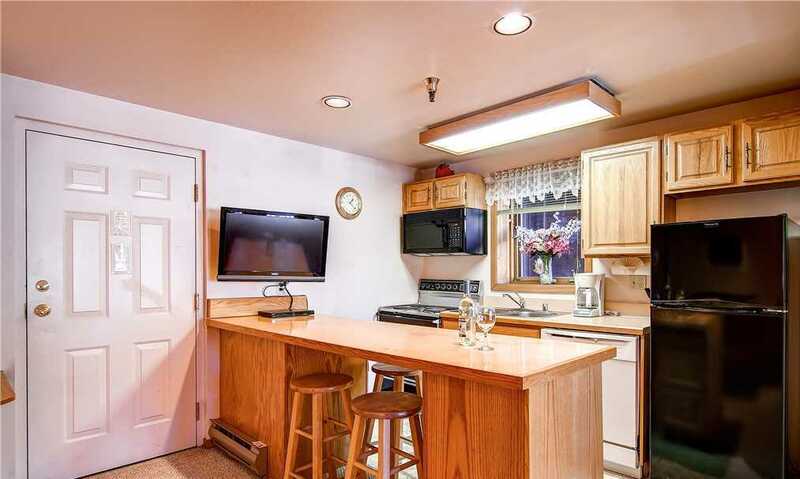 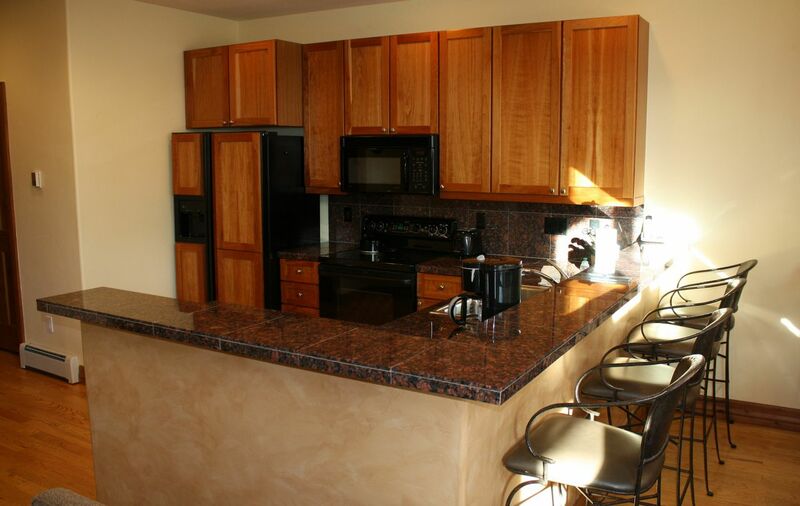 The open, one-level floor plan includes a living area, dining area and a fully-equipped kitchen for meals in the evening or a quick breakfast in the morning before heading out for the day. 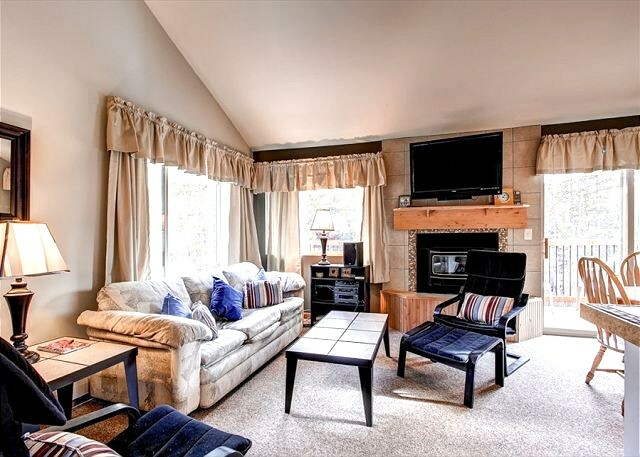 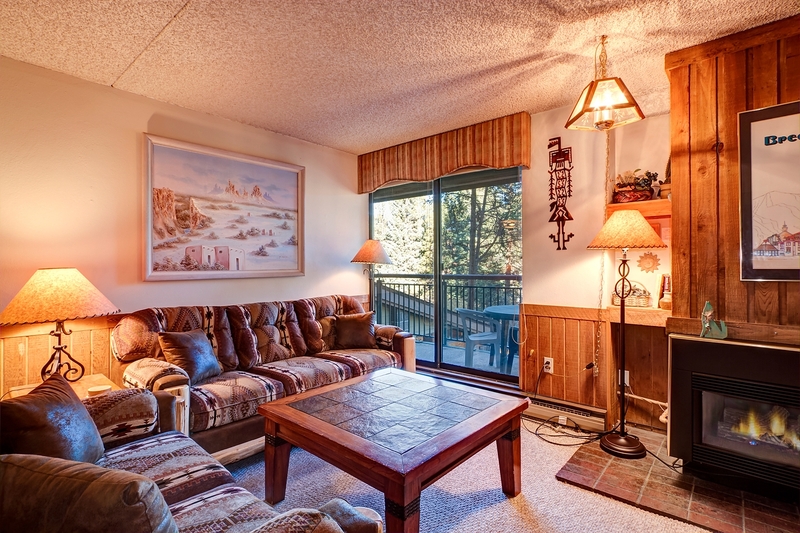 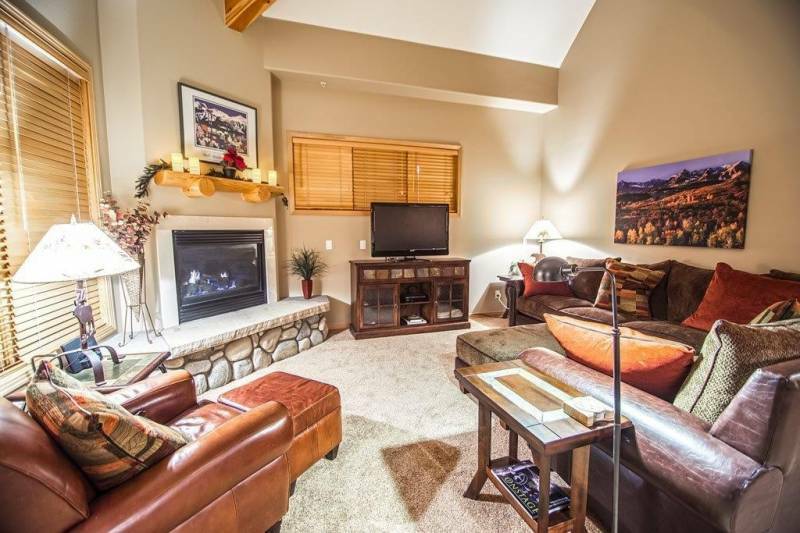 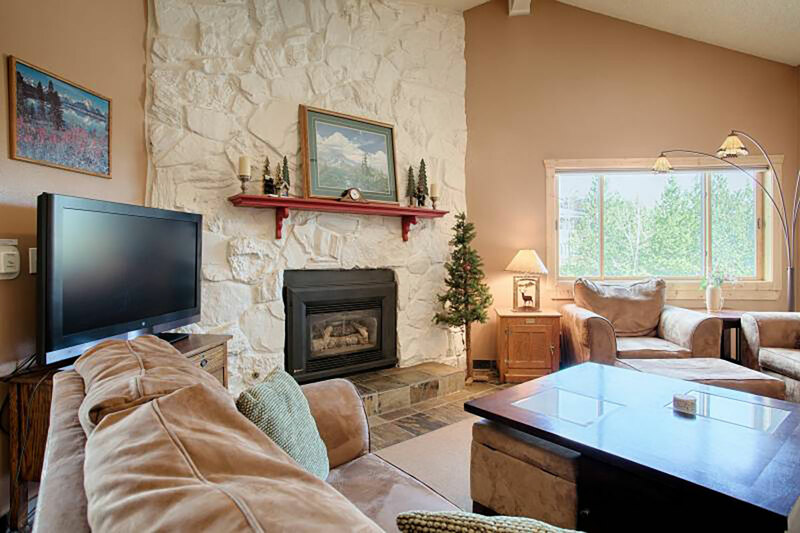 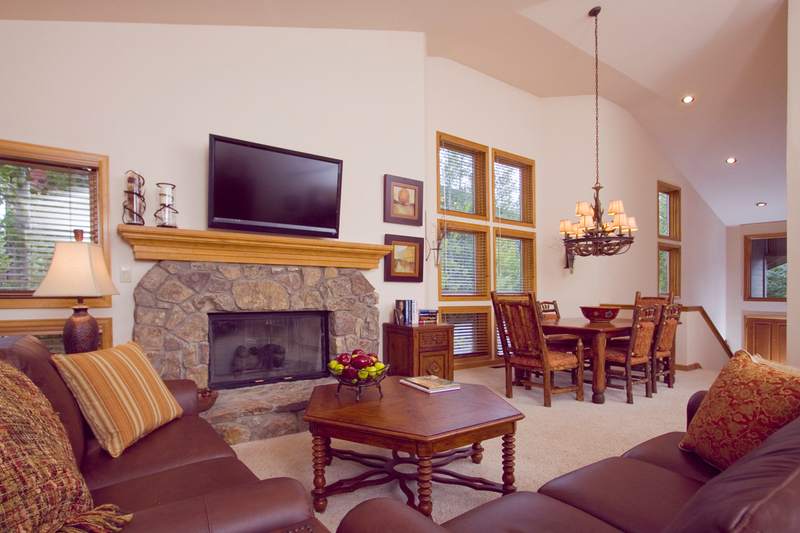 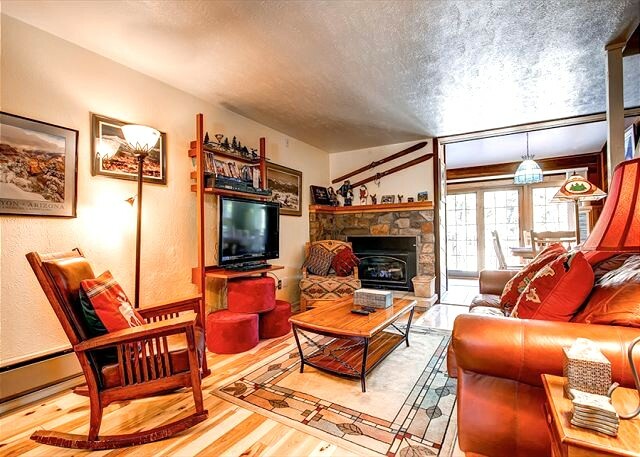 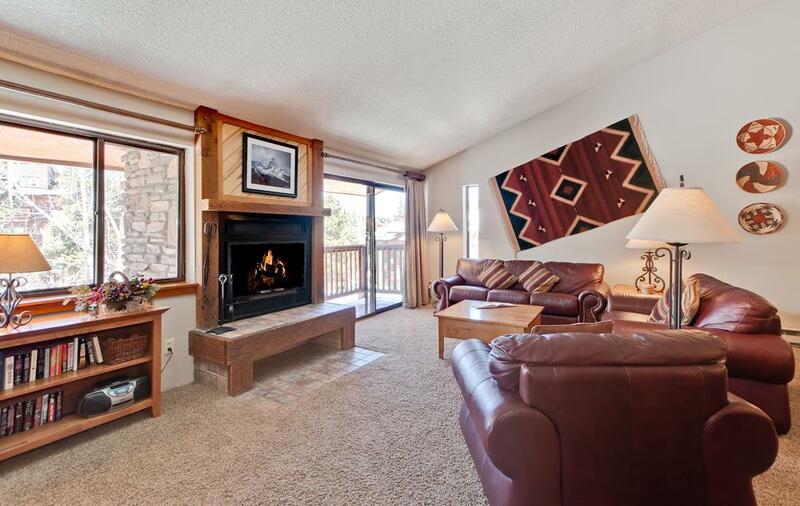 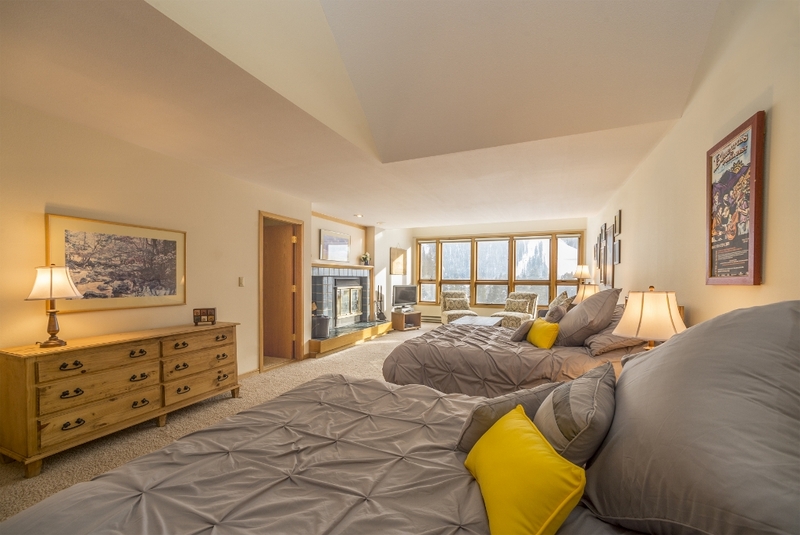 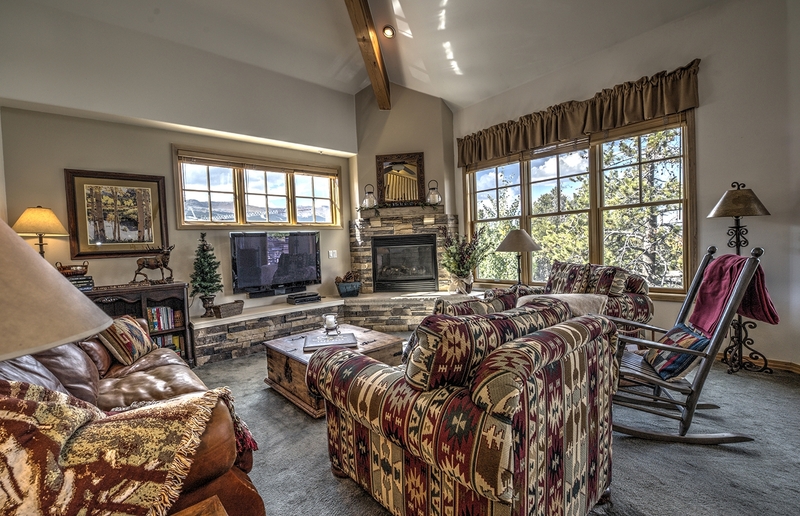 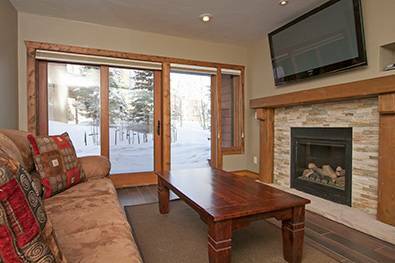 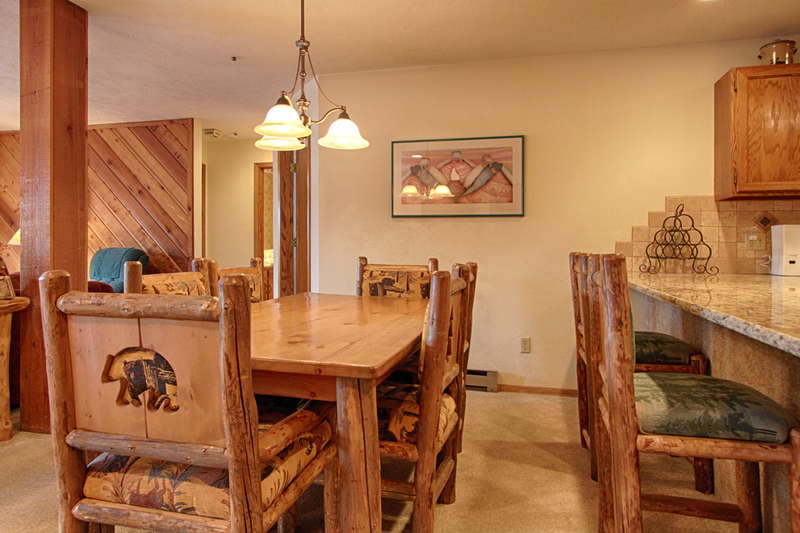 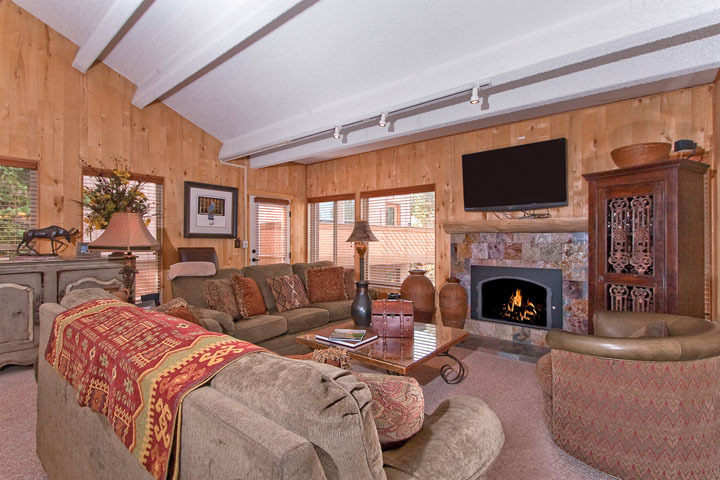 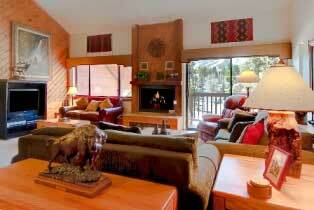 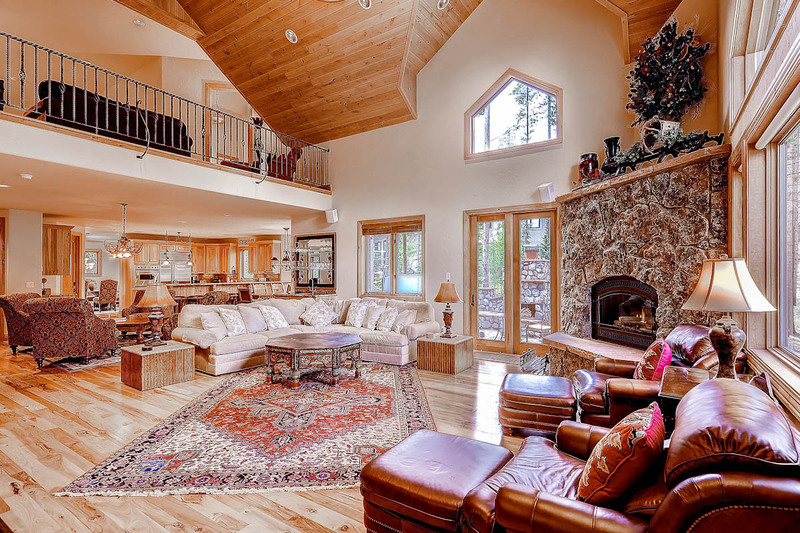 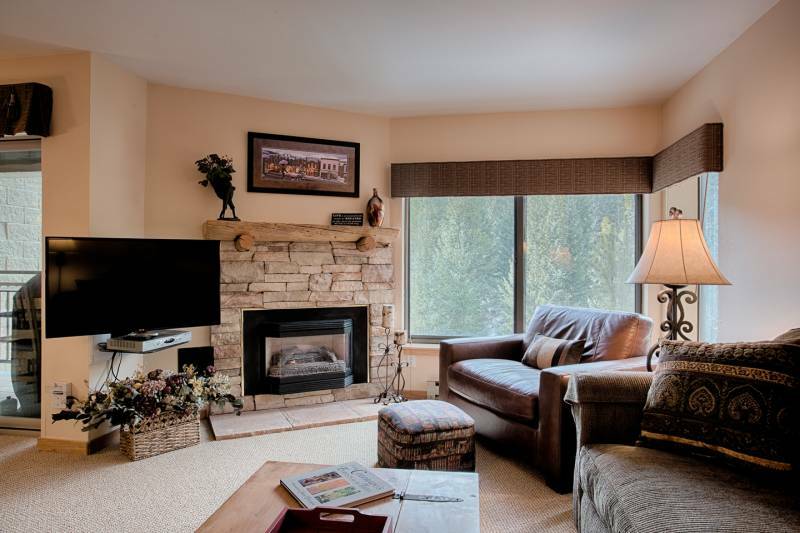 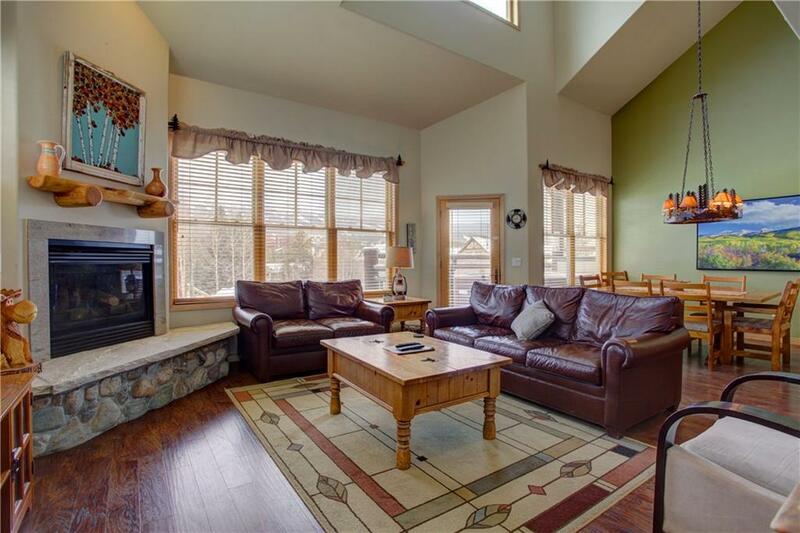 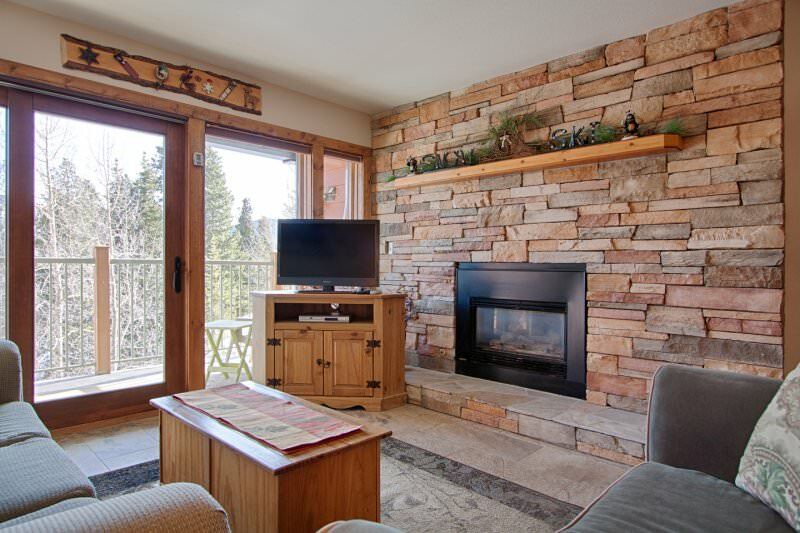 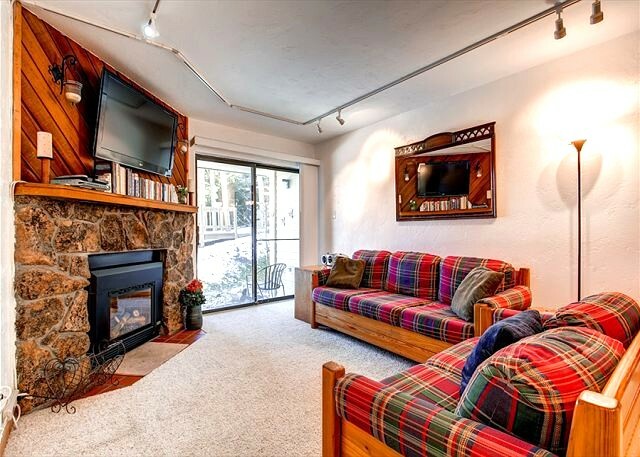 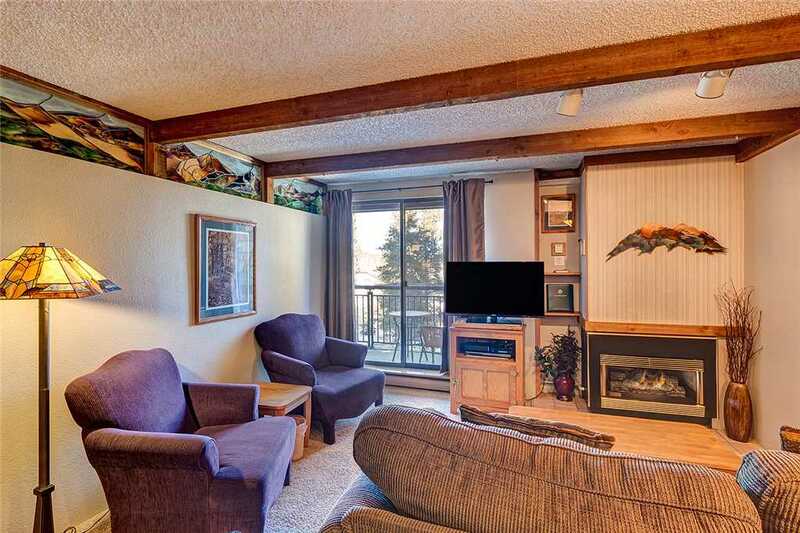 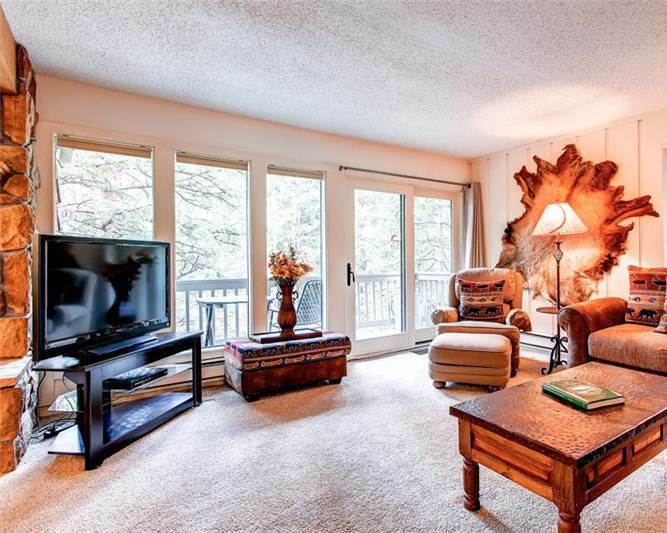 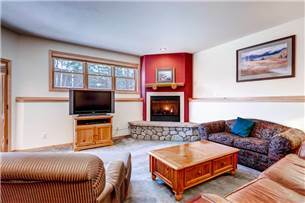 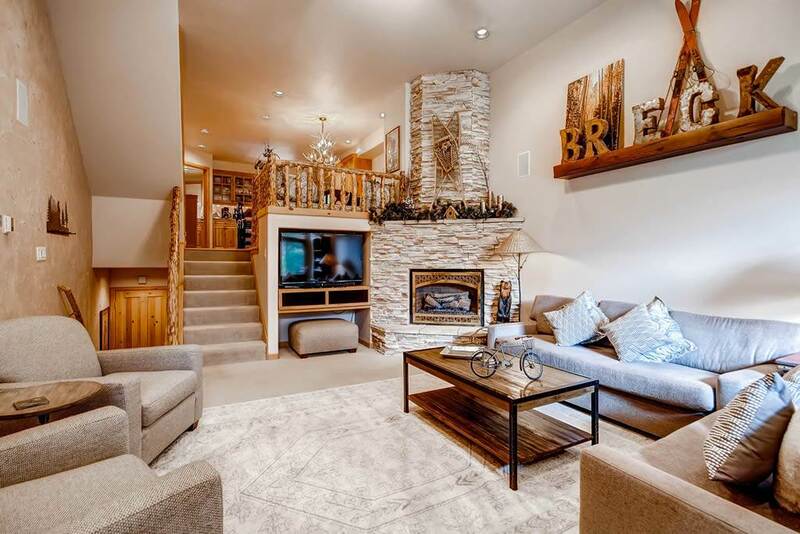 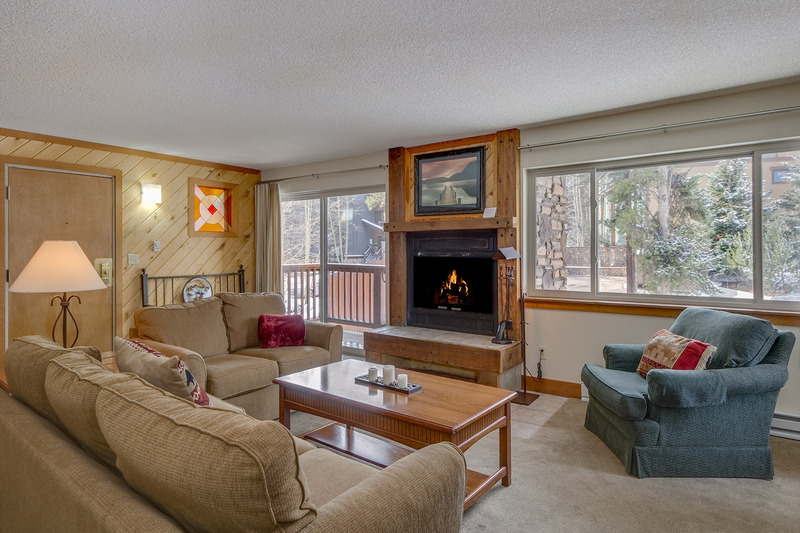 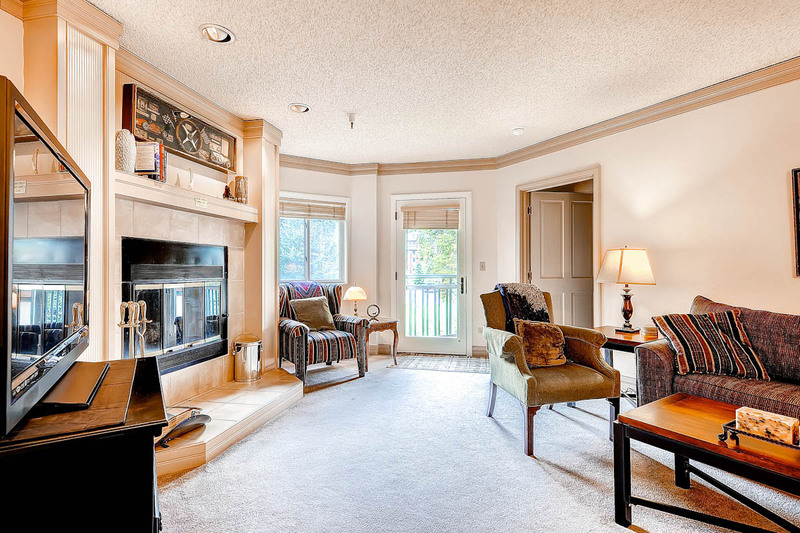 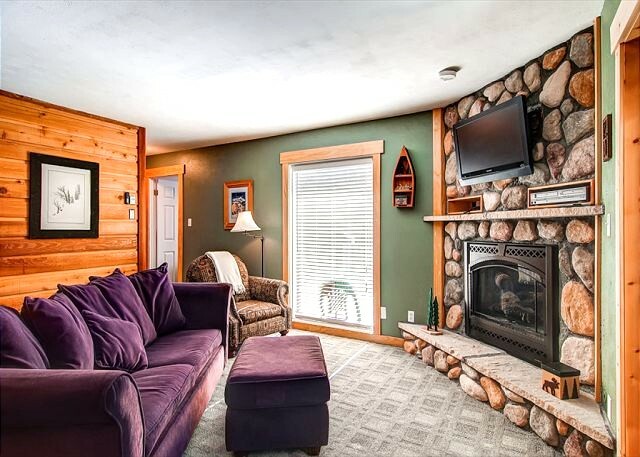 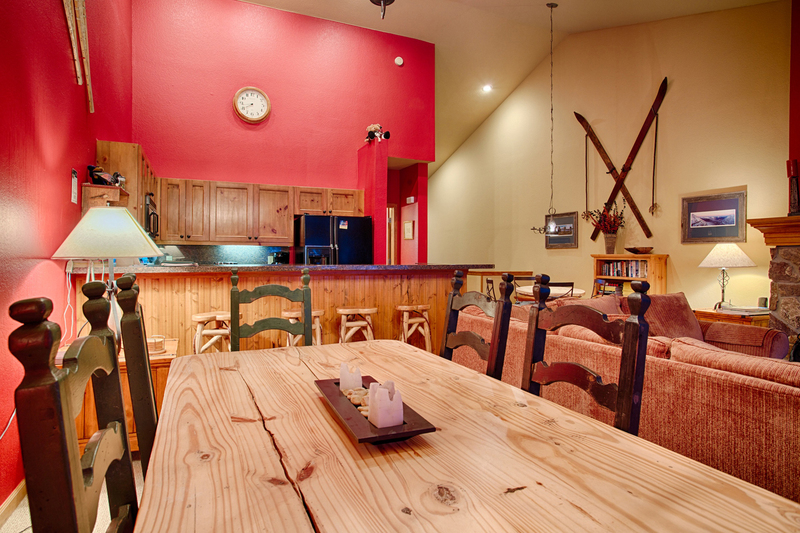 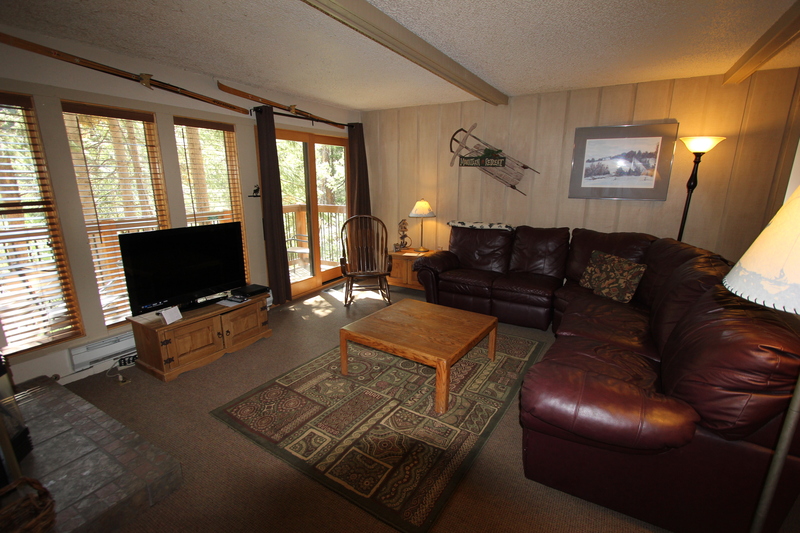 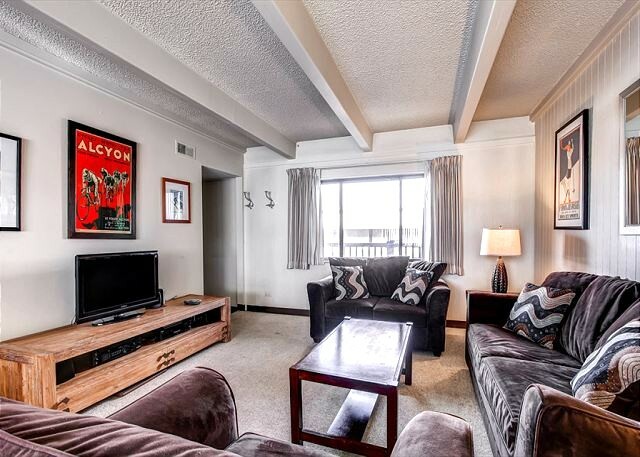 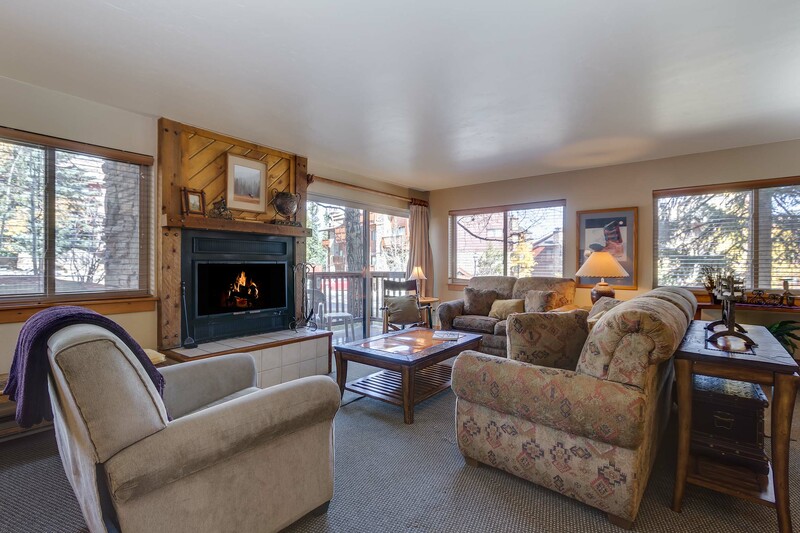 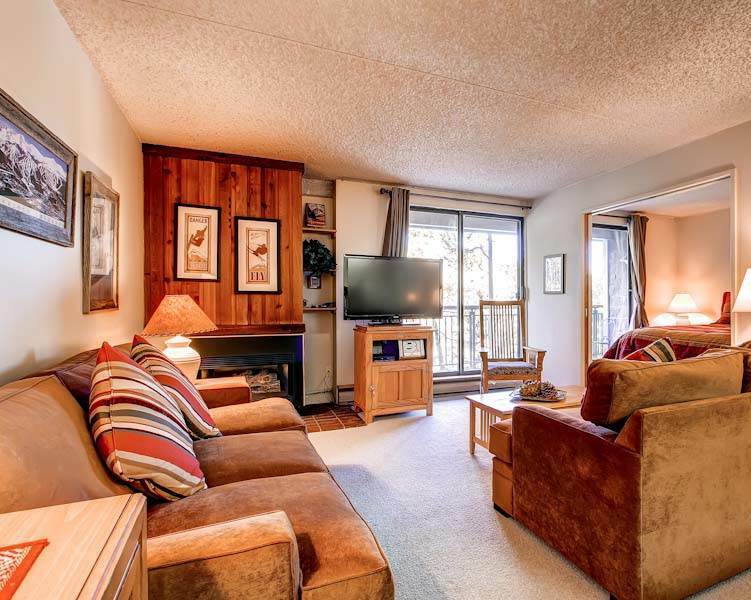 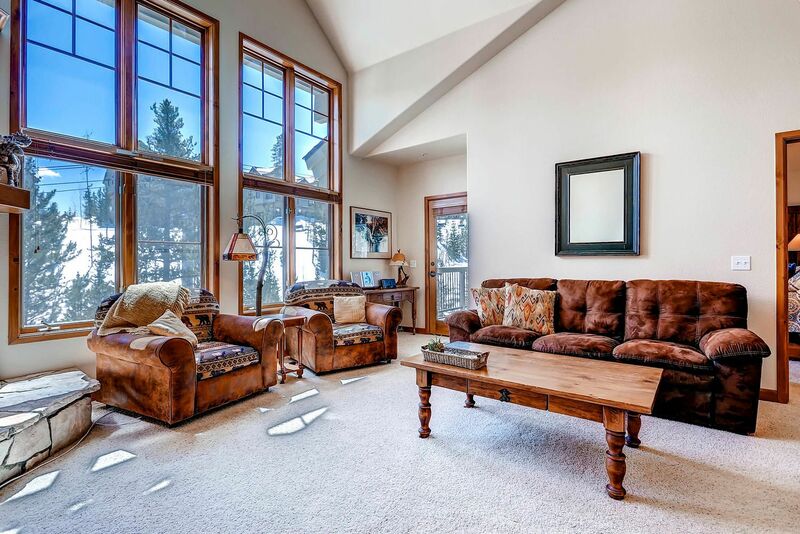 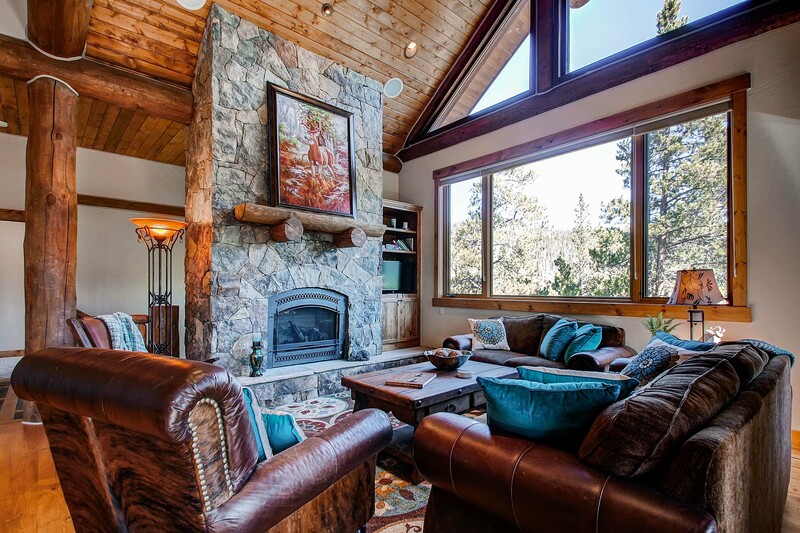 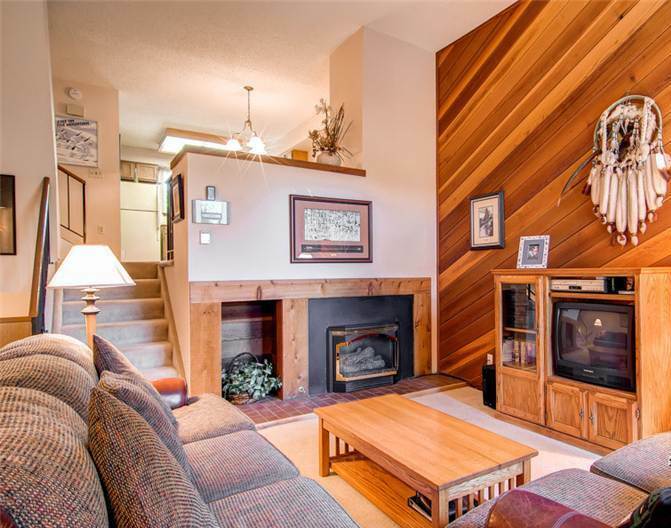 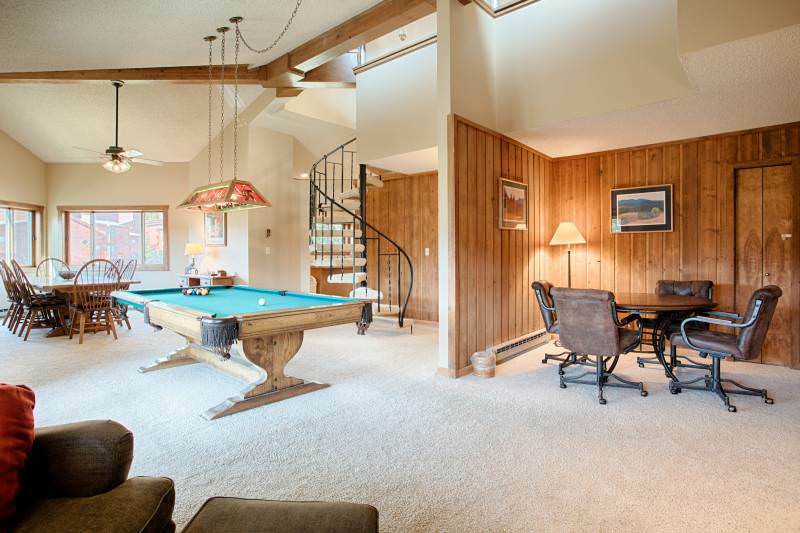 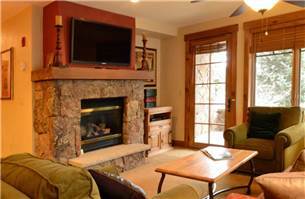 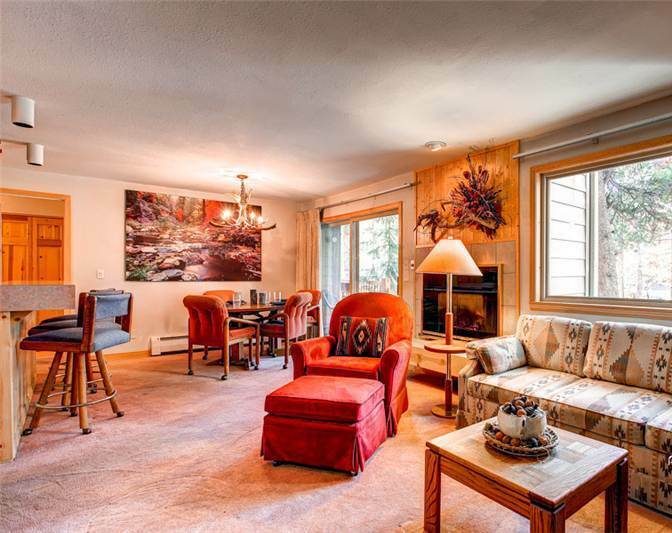 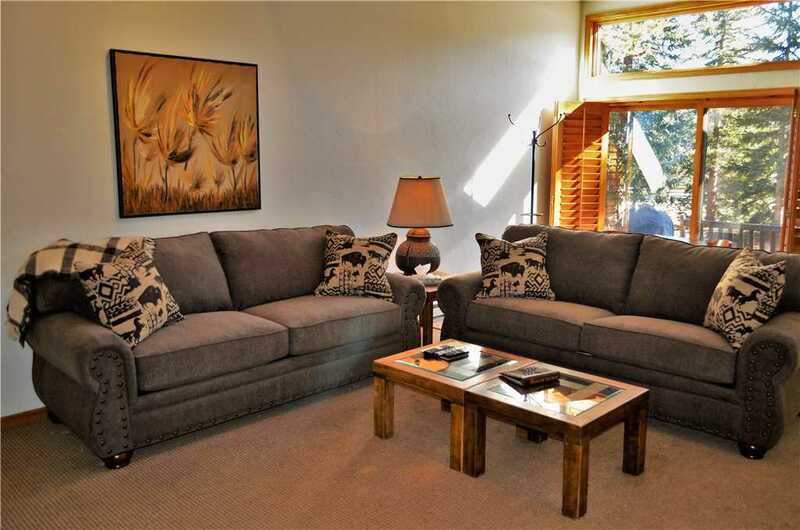 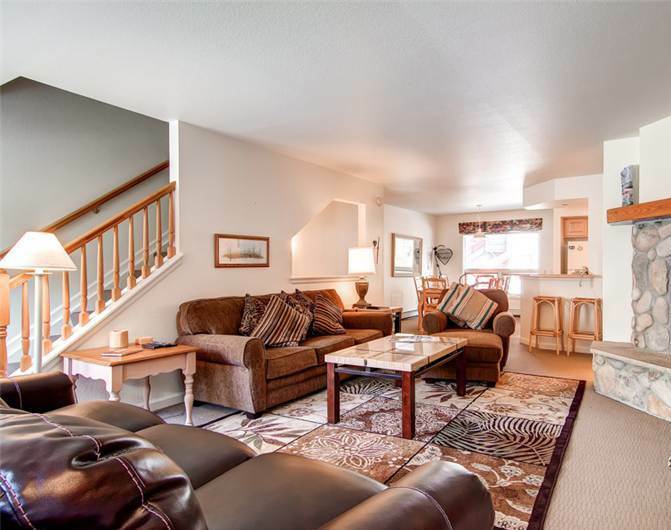 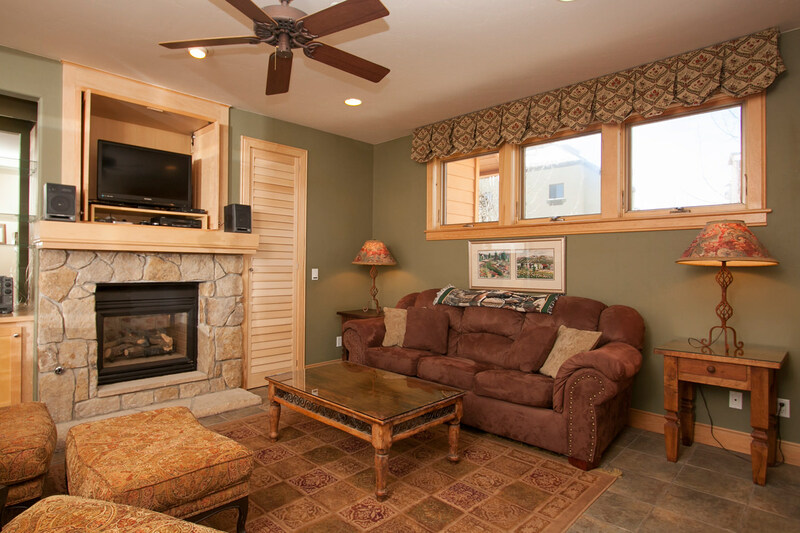 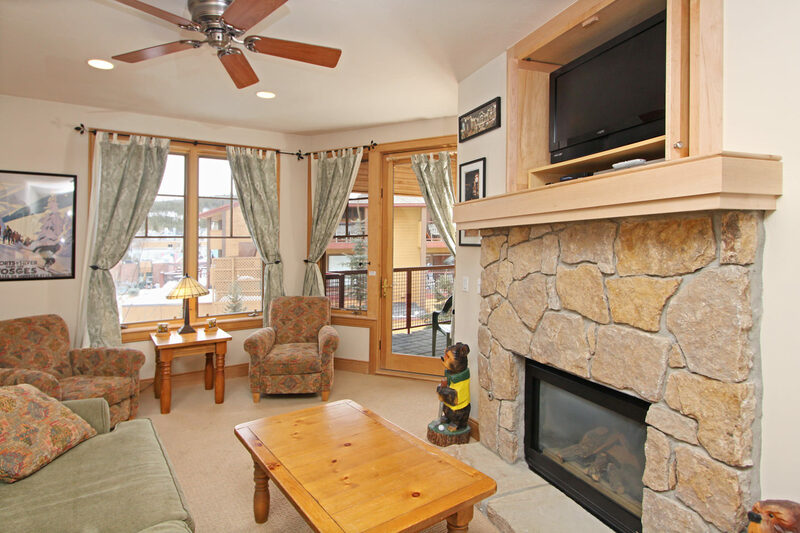 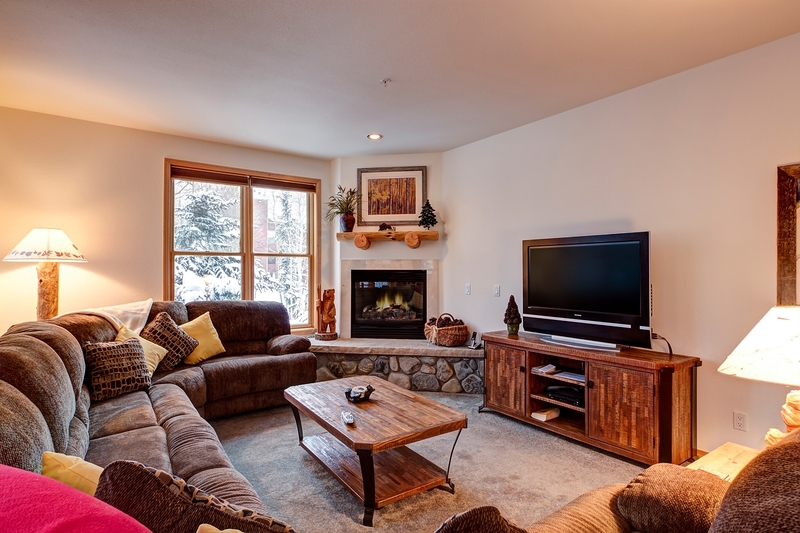 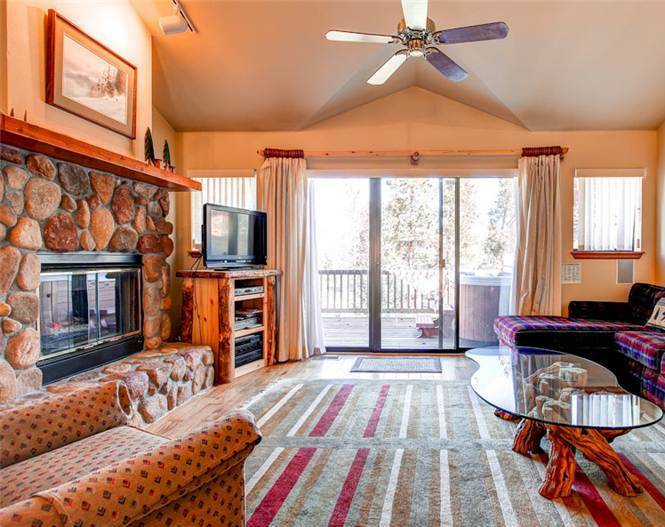 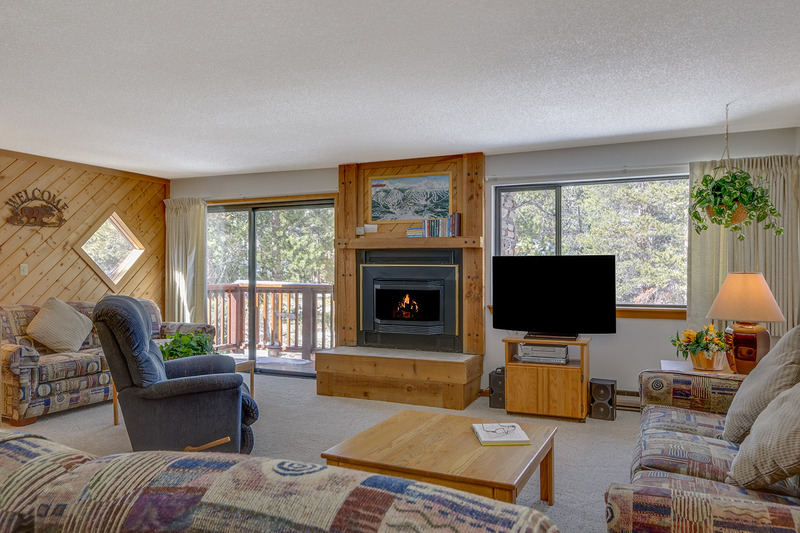 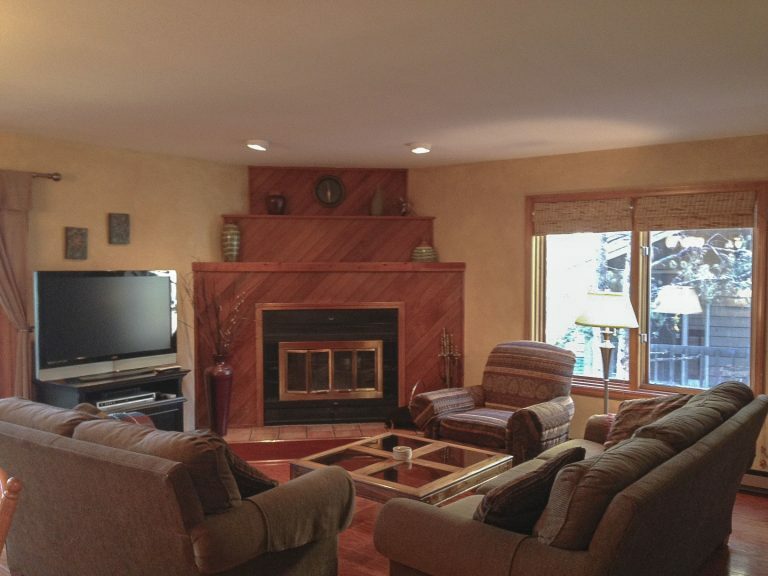 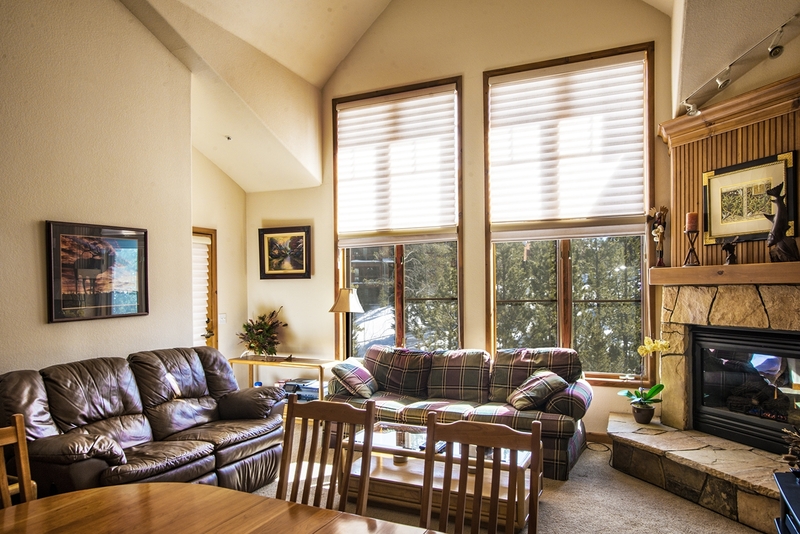 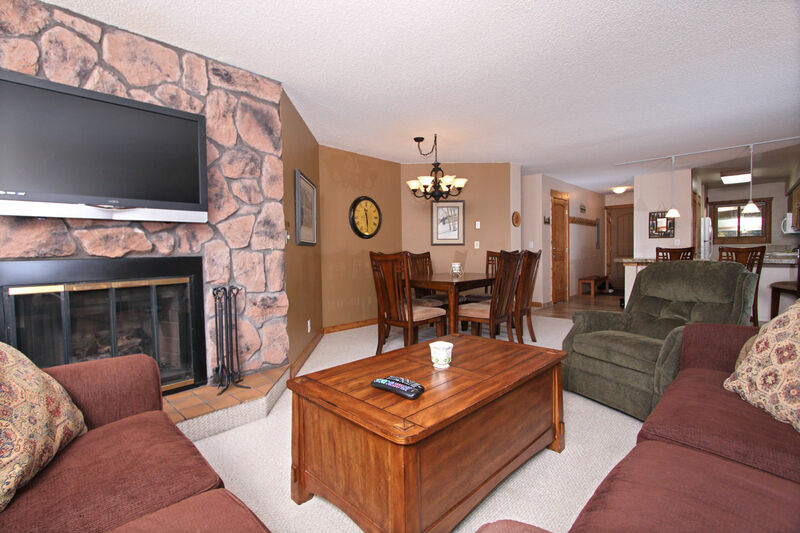 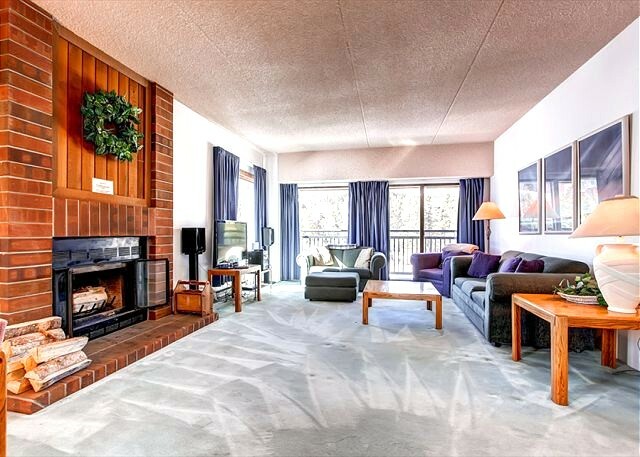 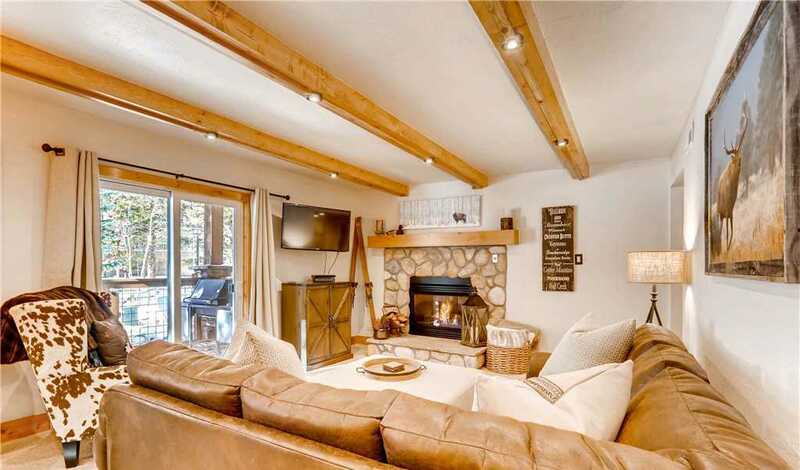 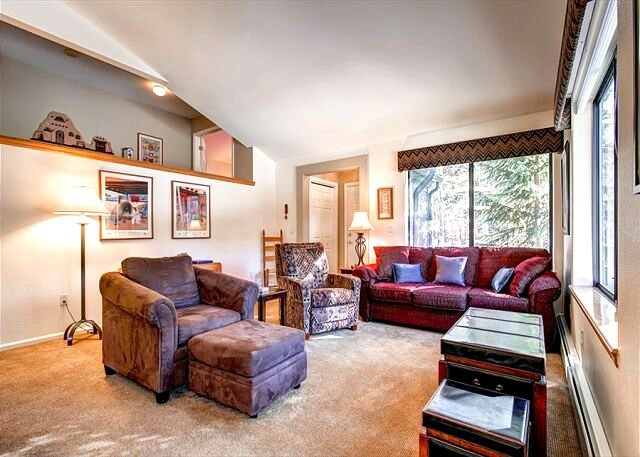 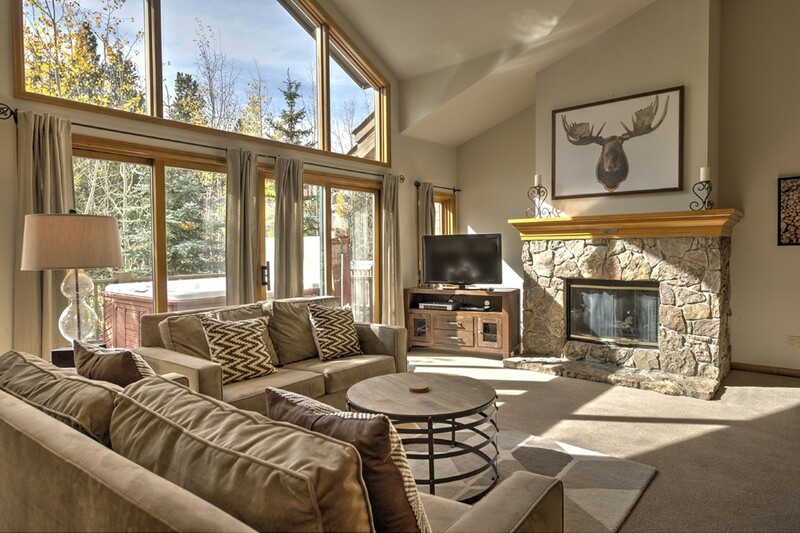 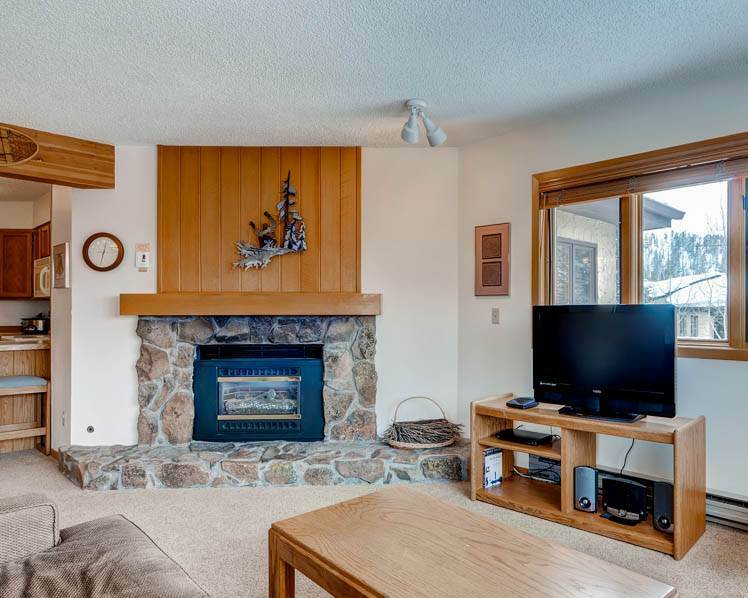 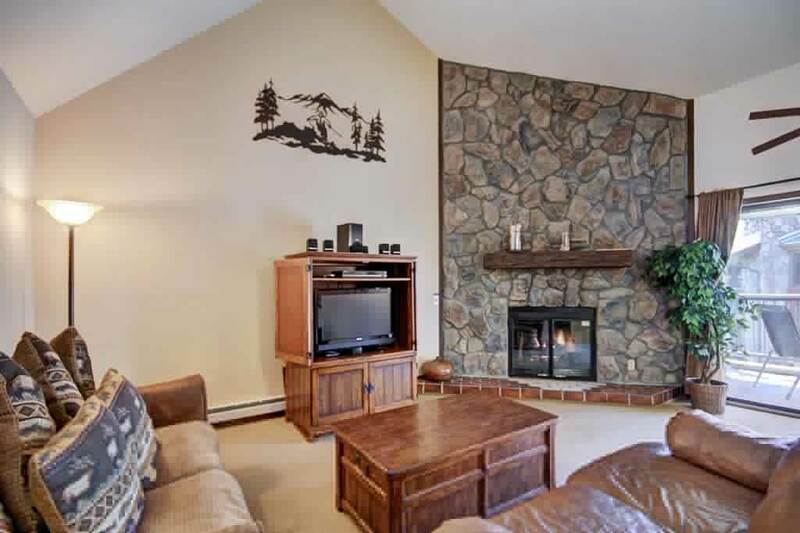 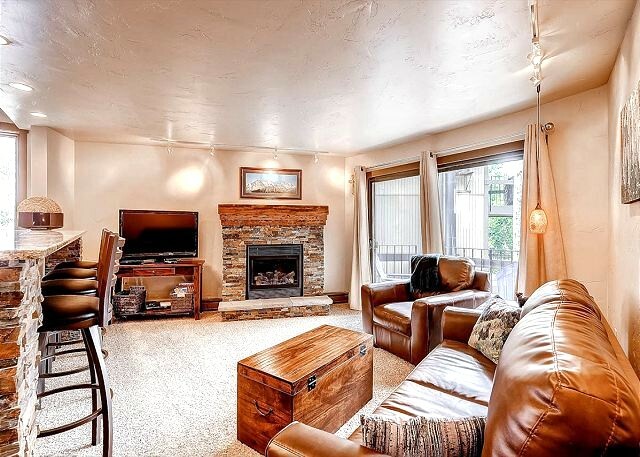 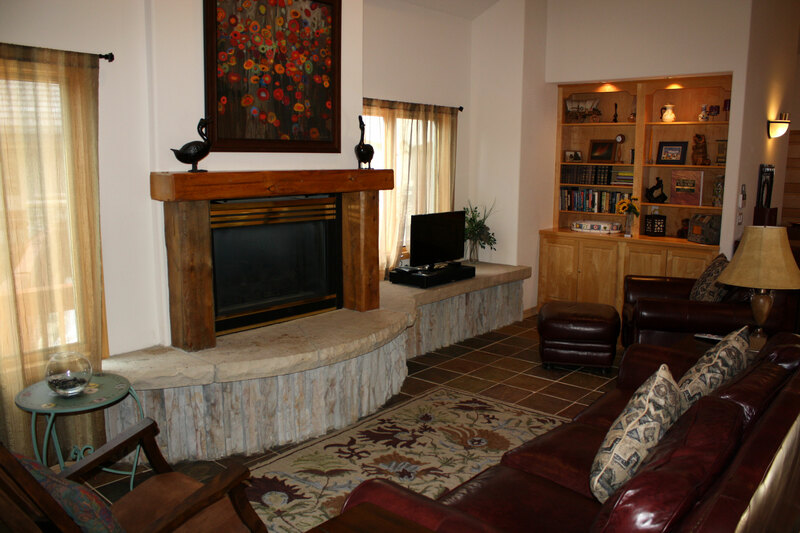 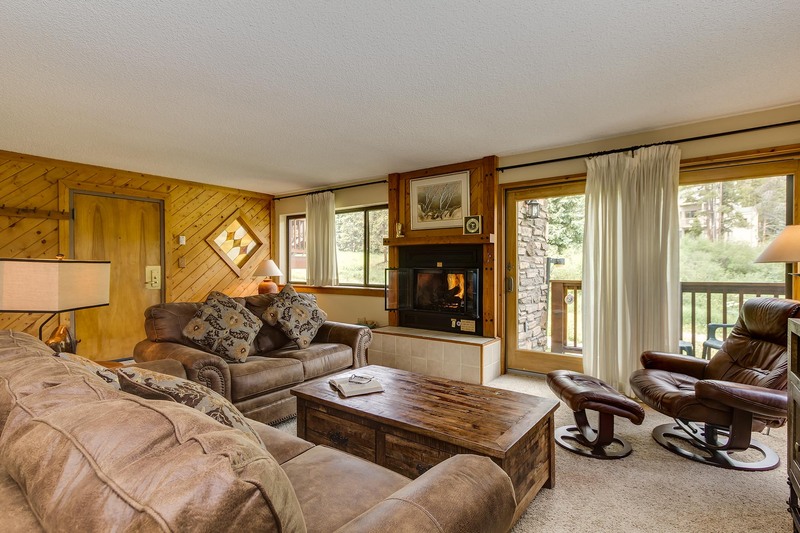 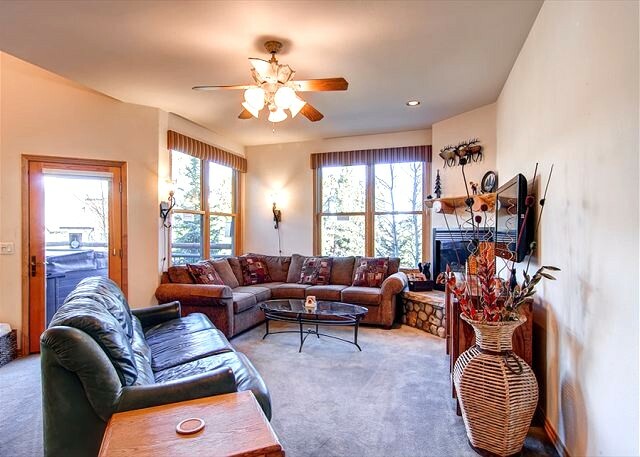 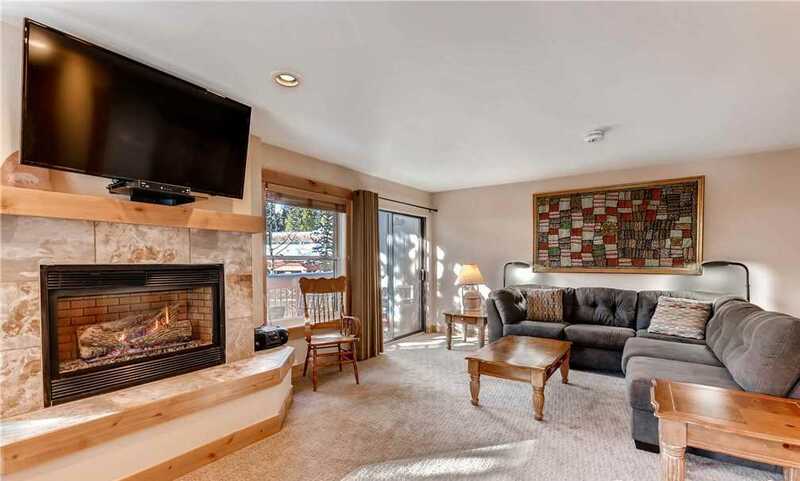 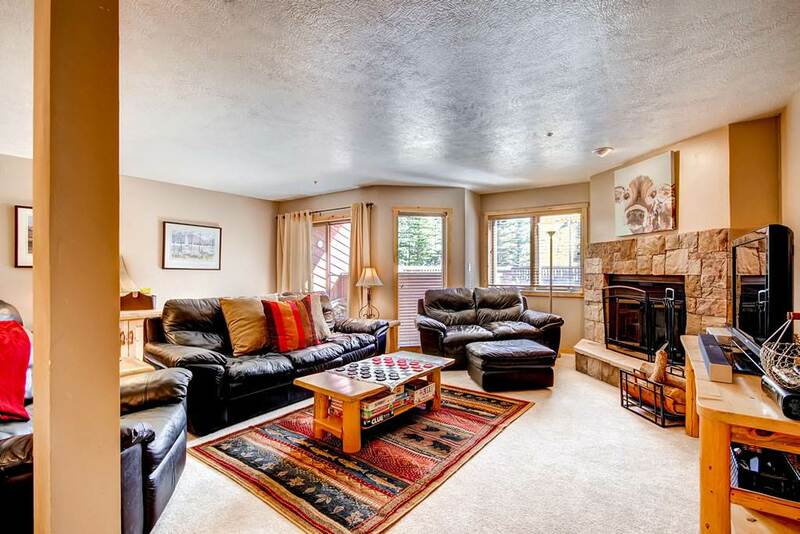 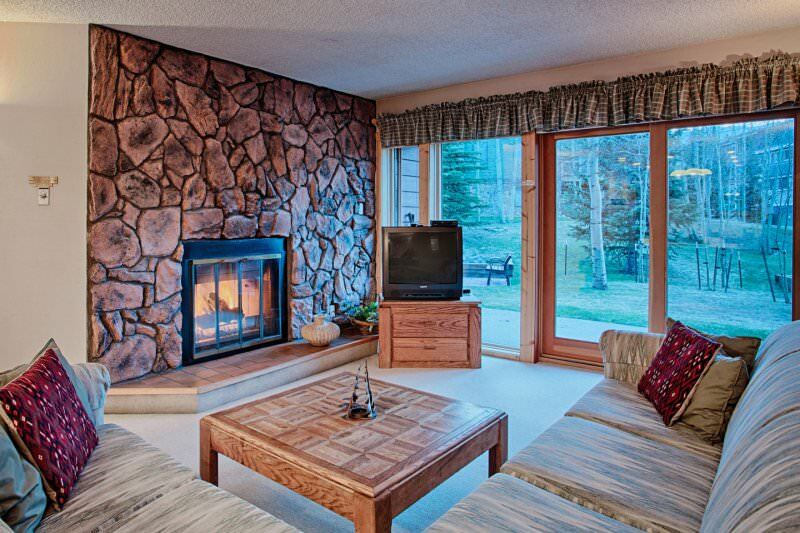 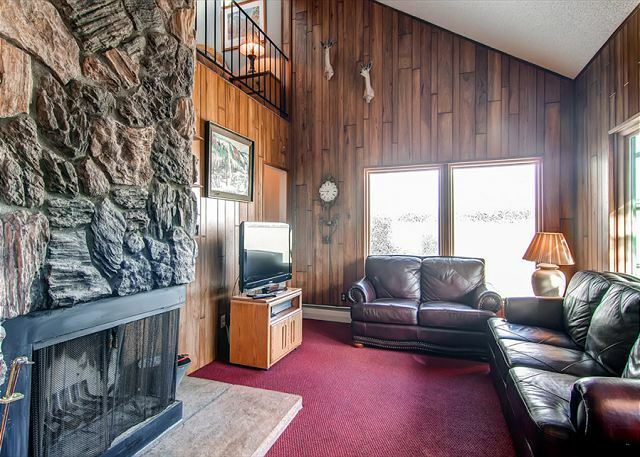 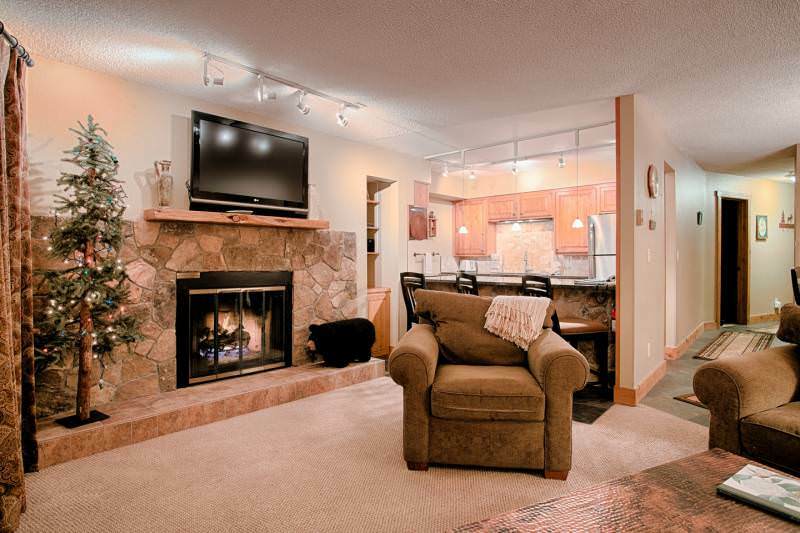 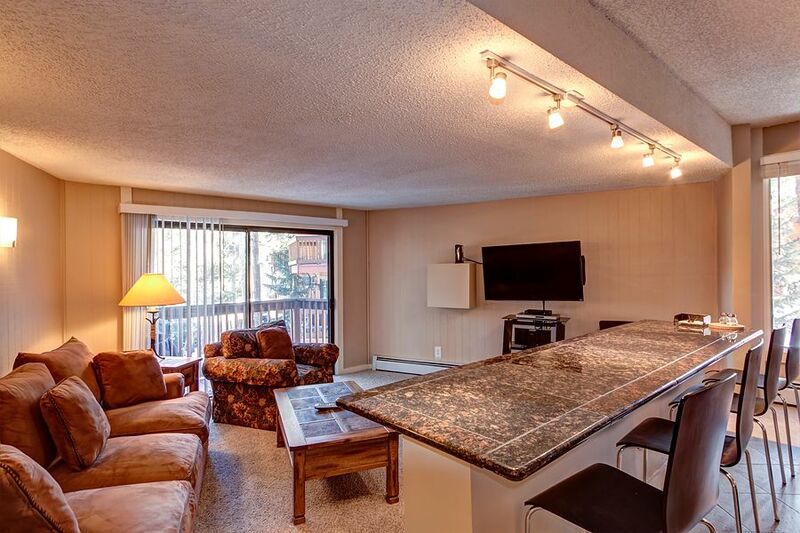 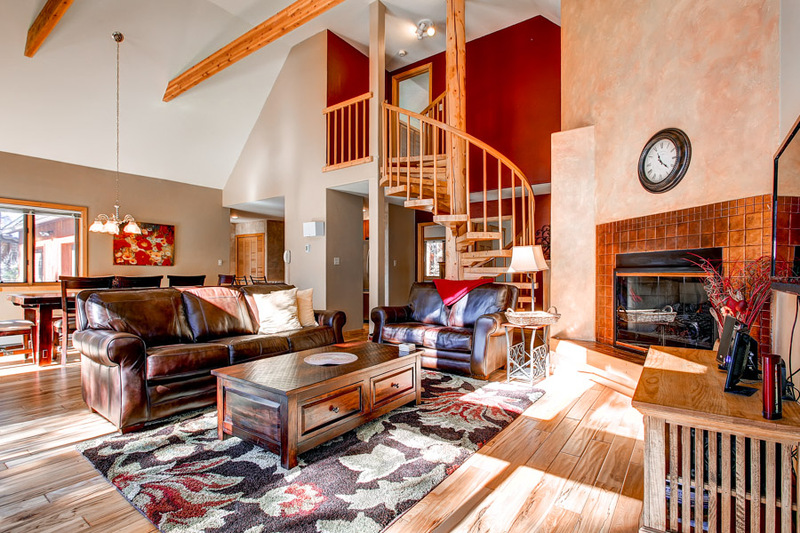 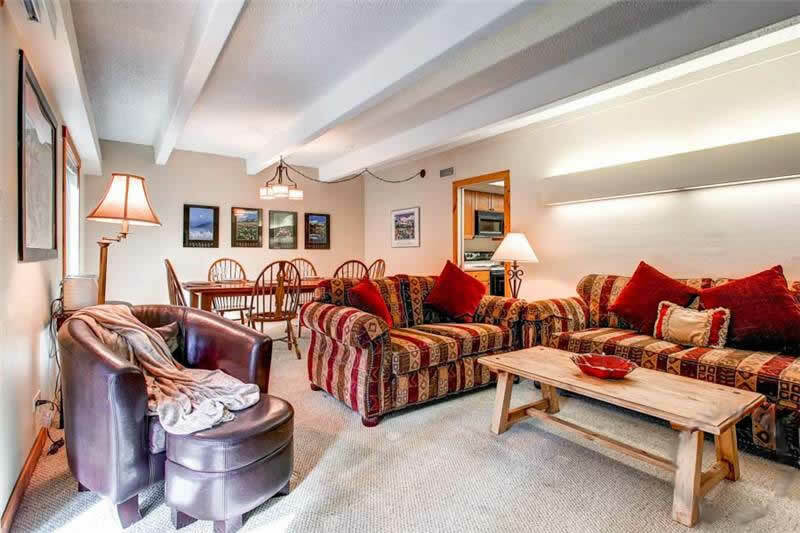 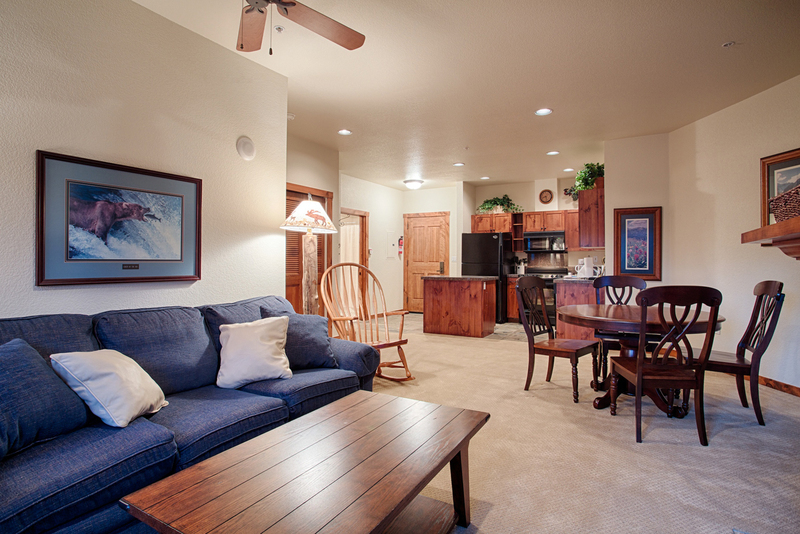 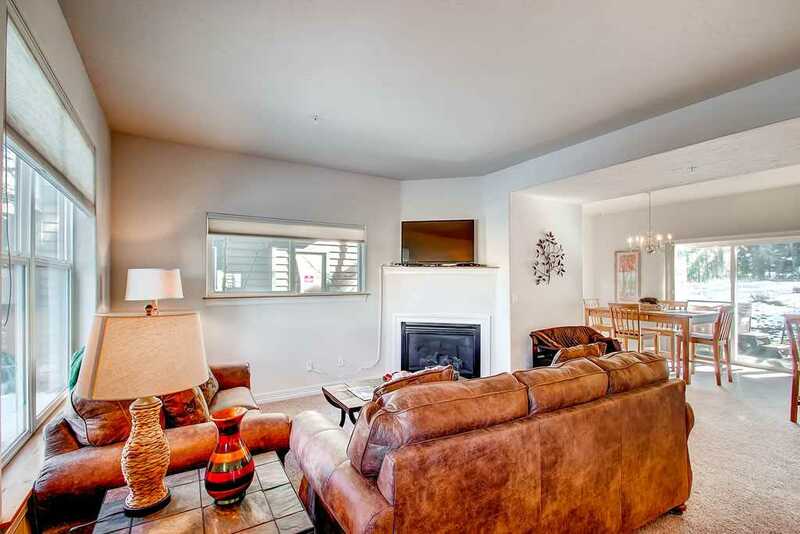 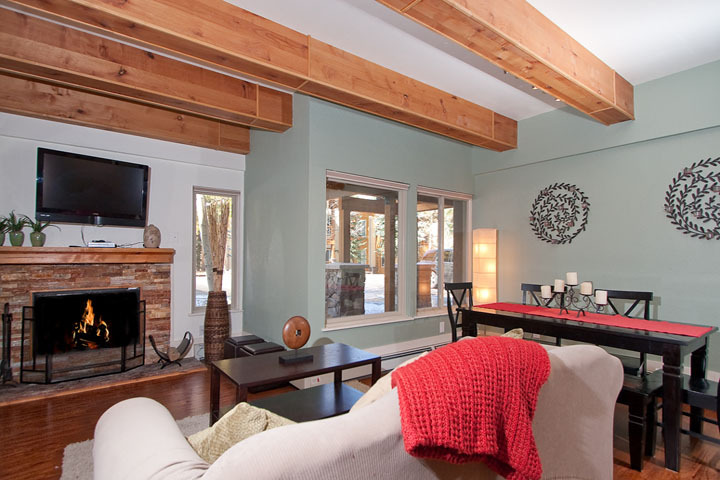 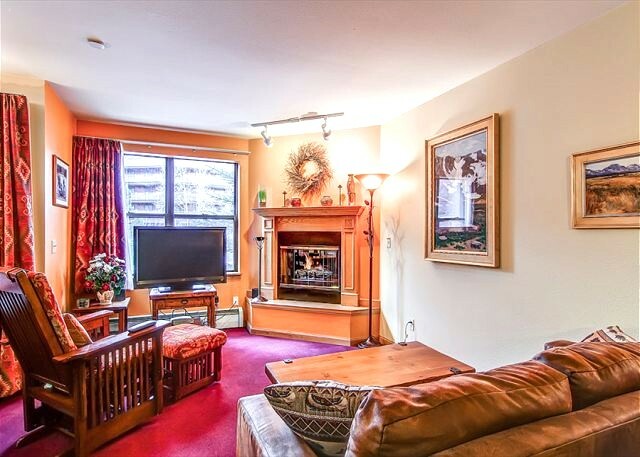 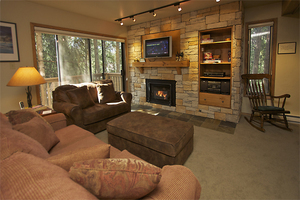 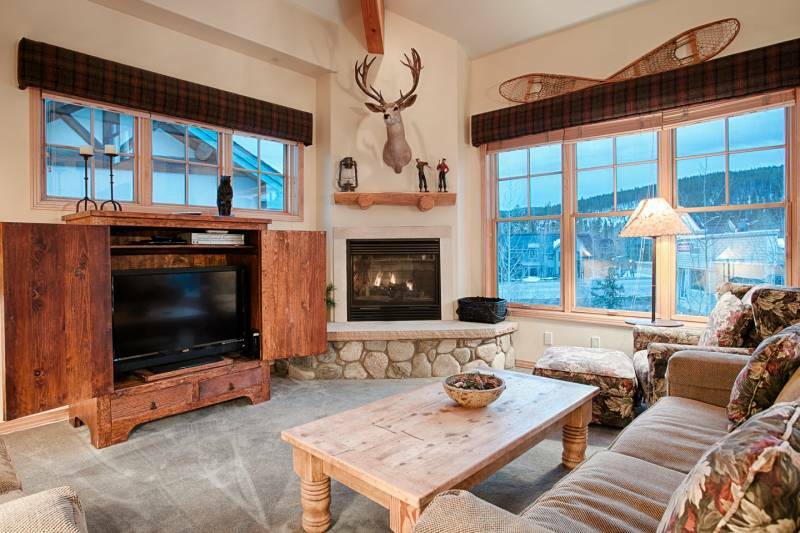 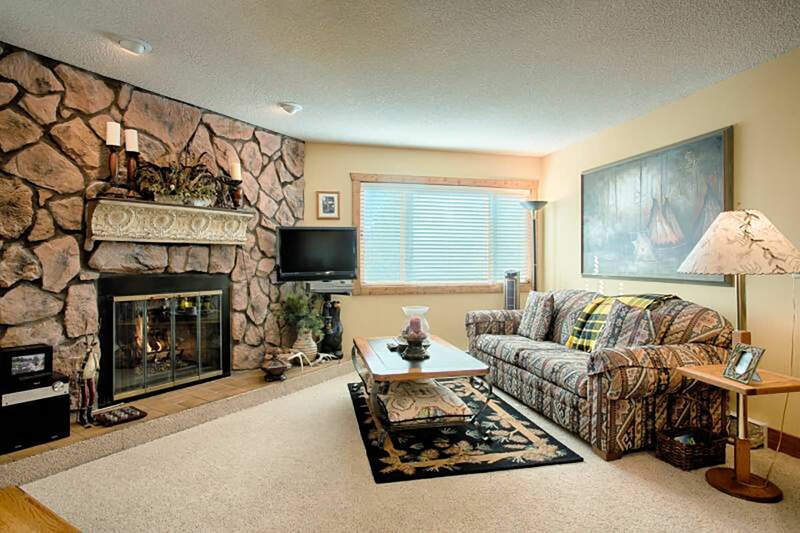 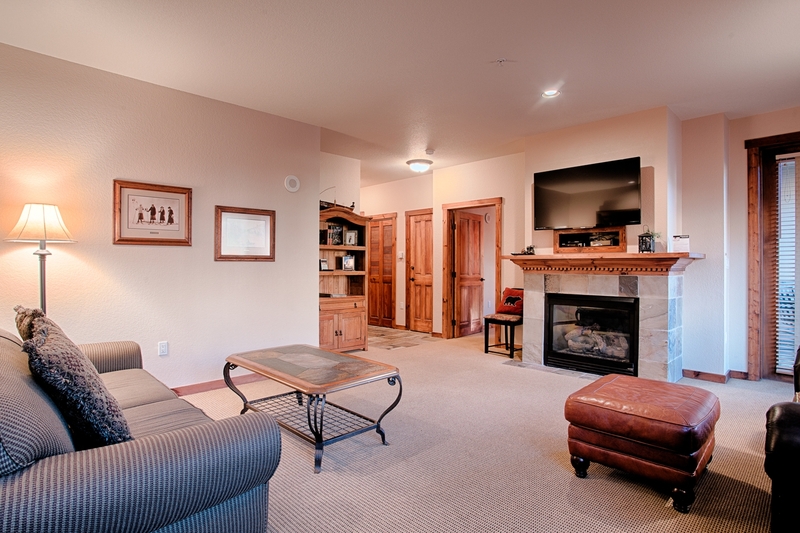 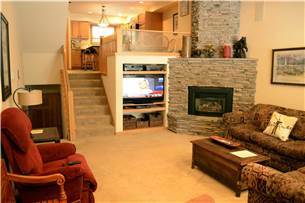 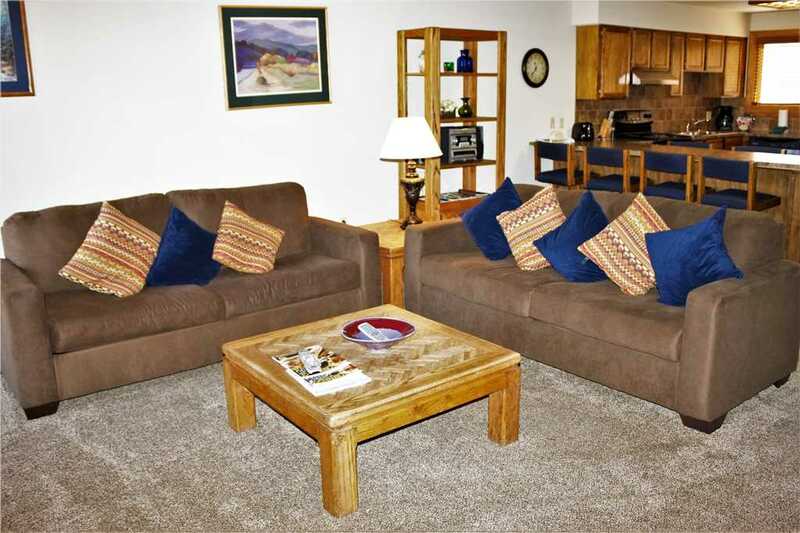 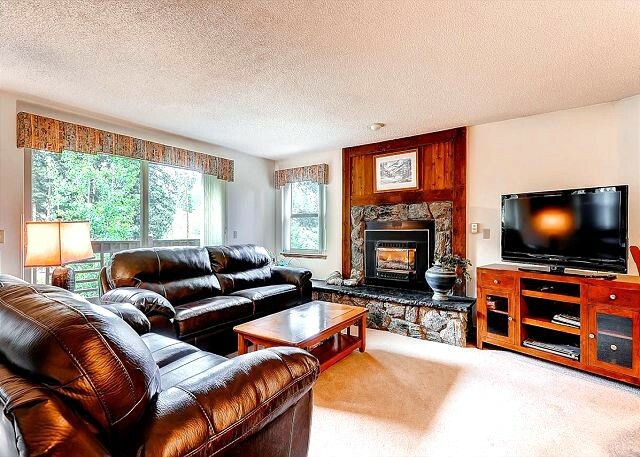 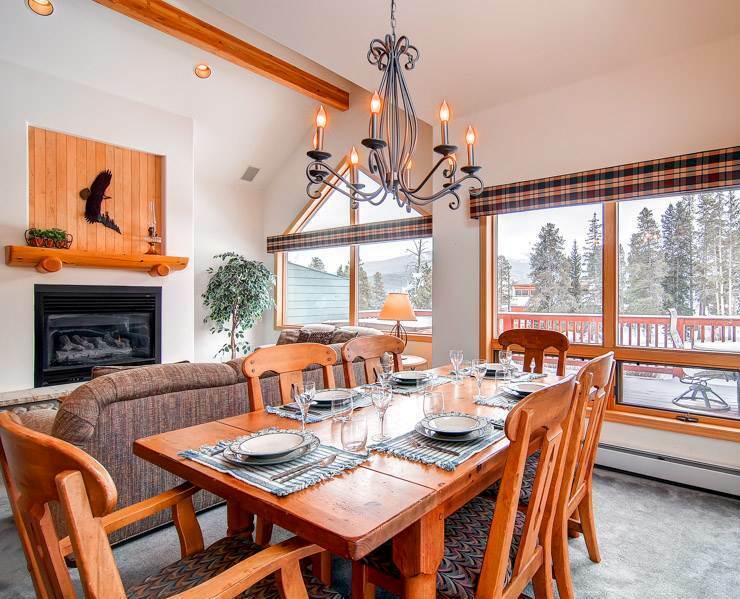 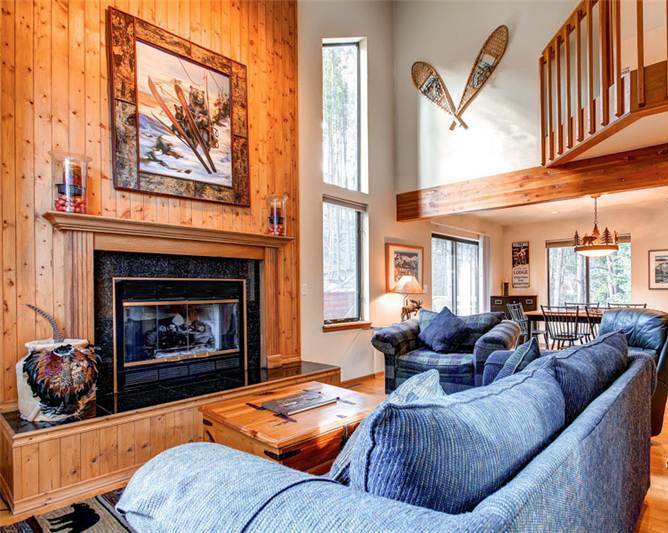 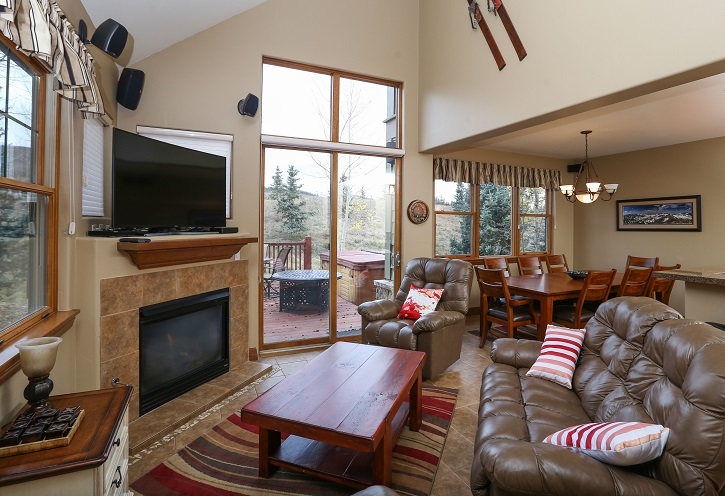 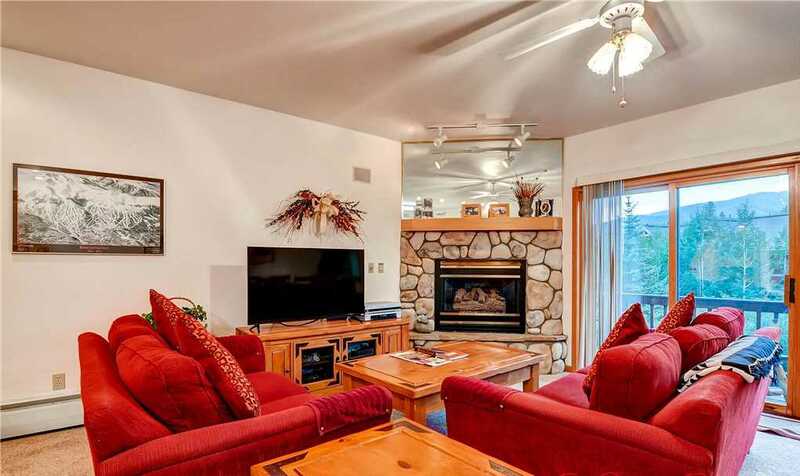 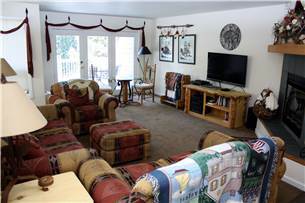 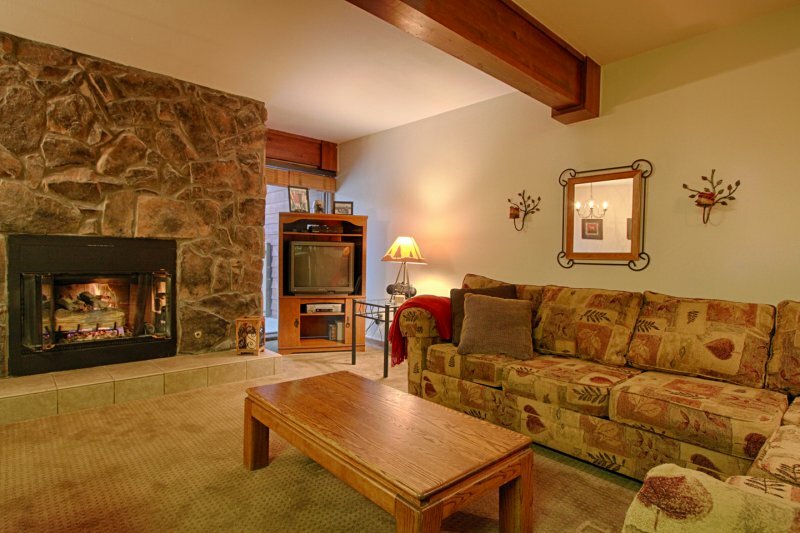 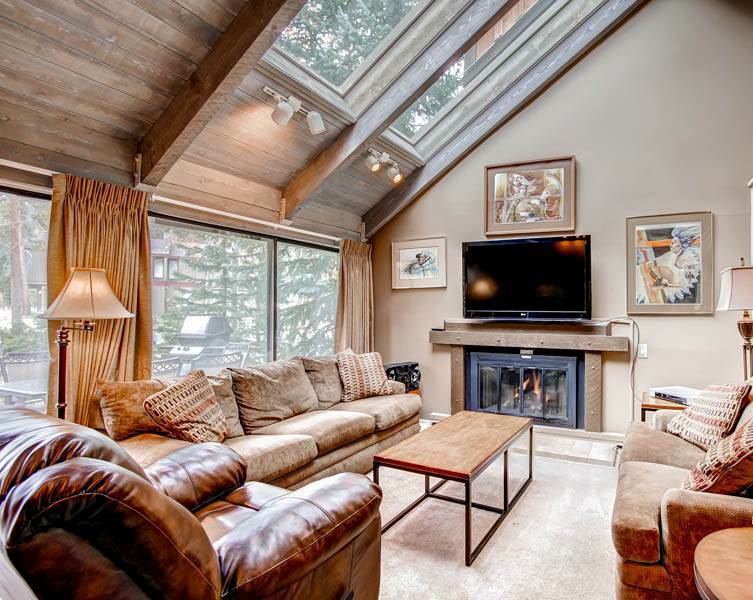 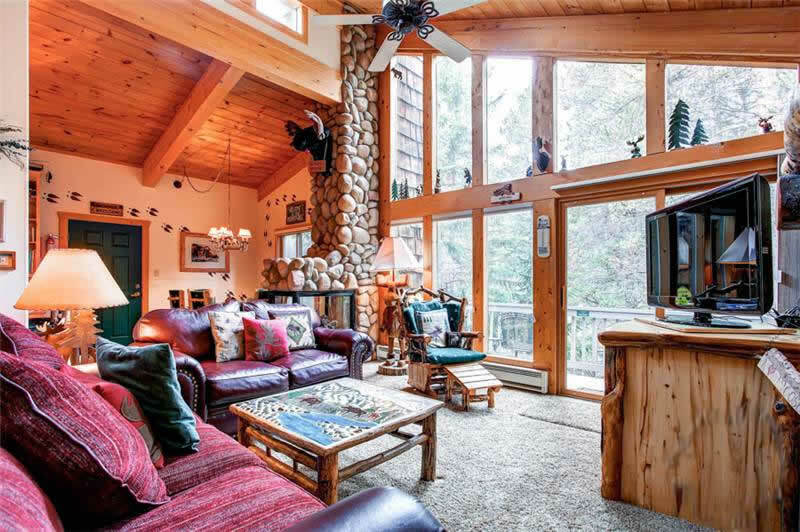 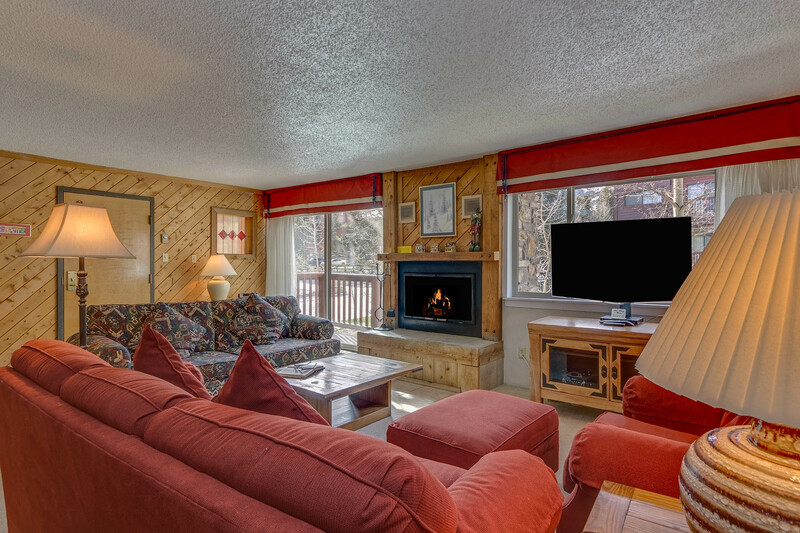 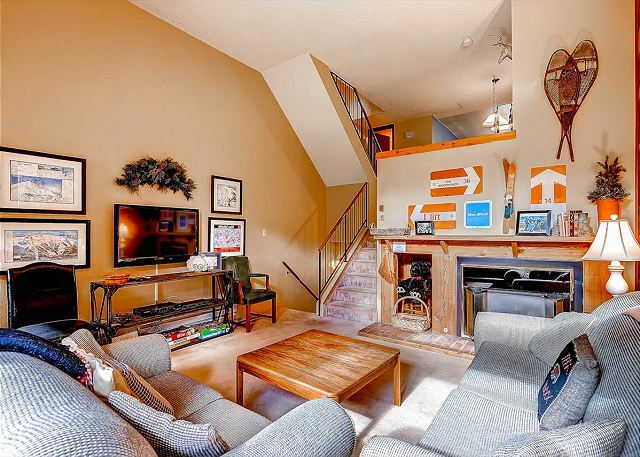 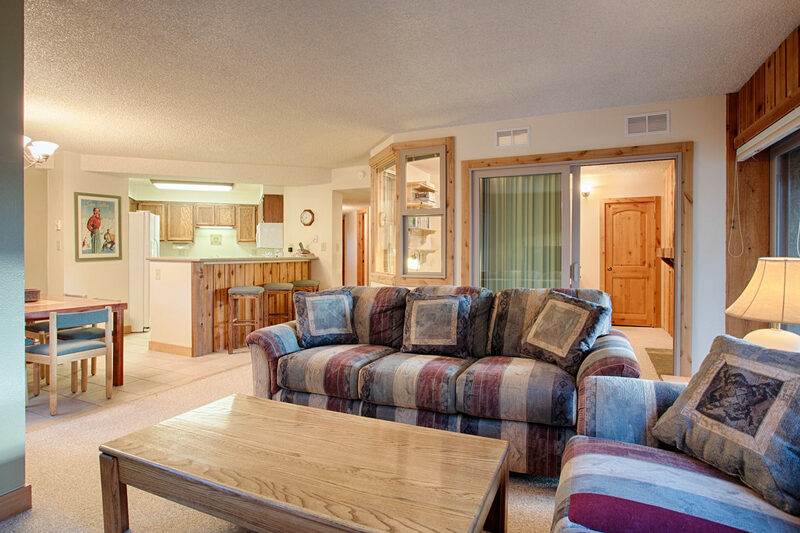 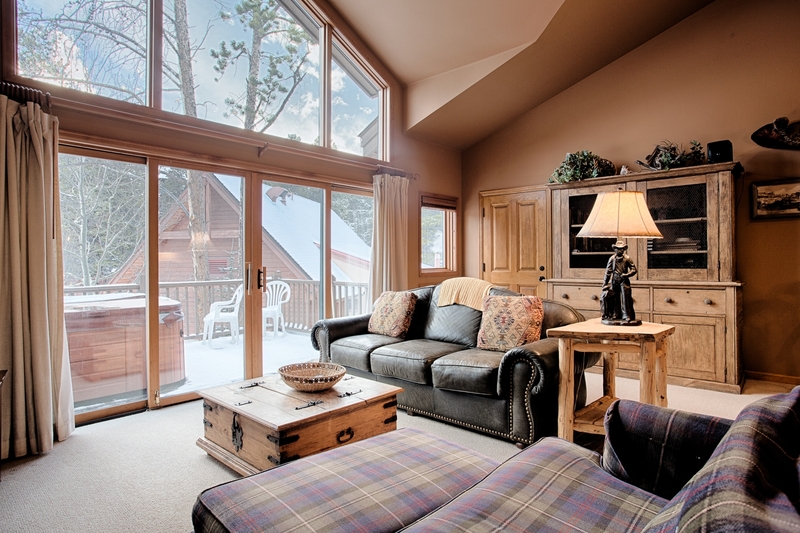 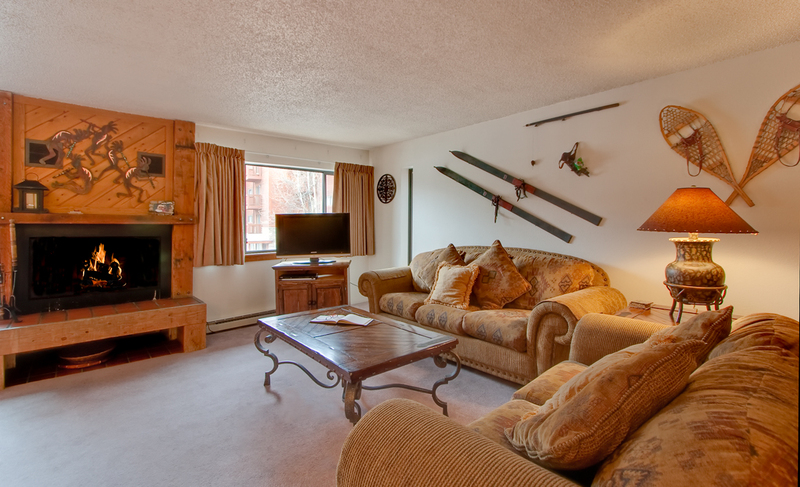 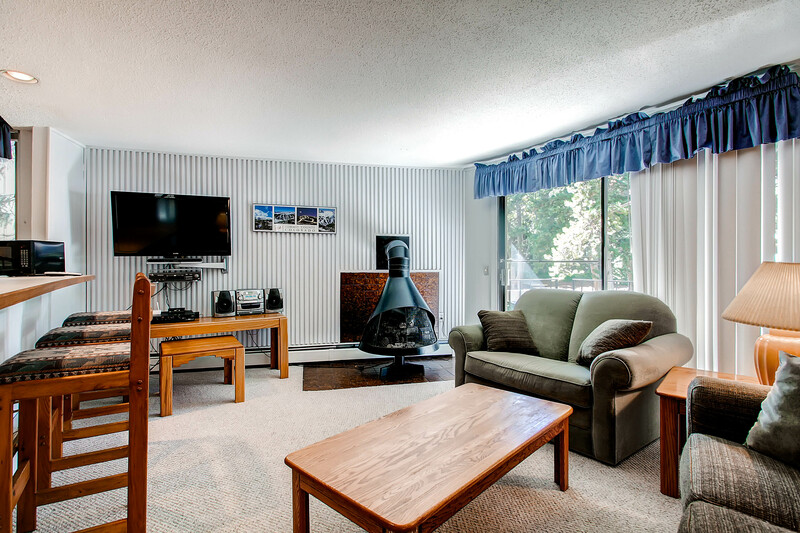 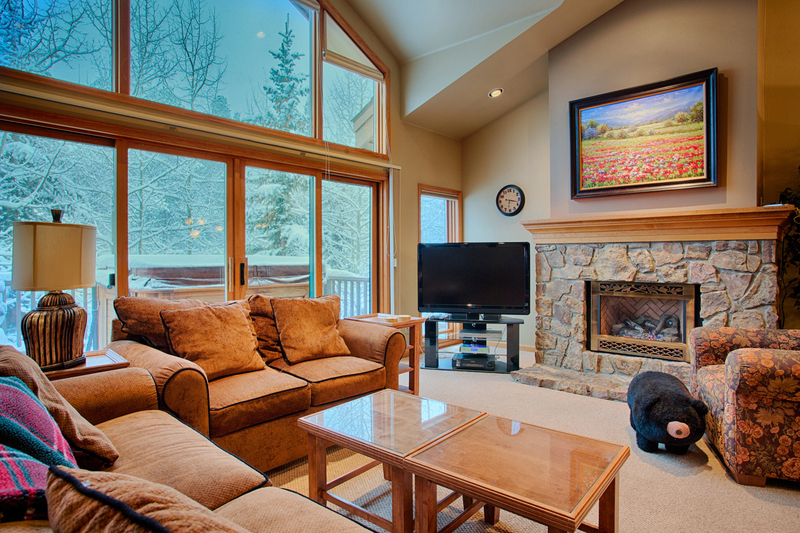 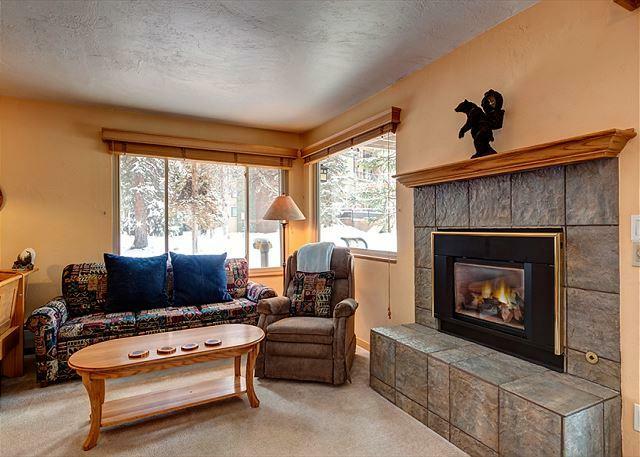 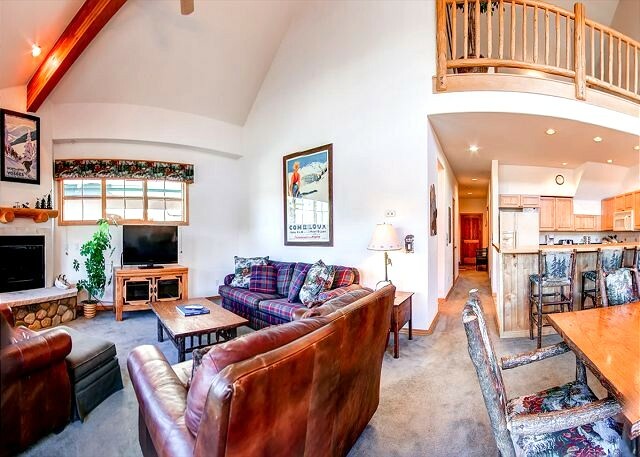 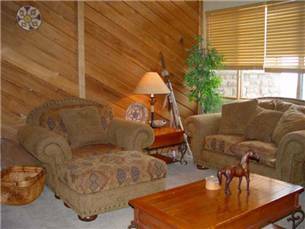 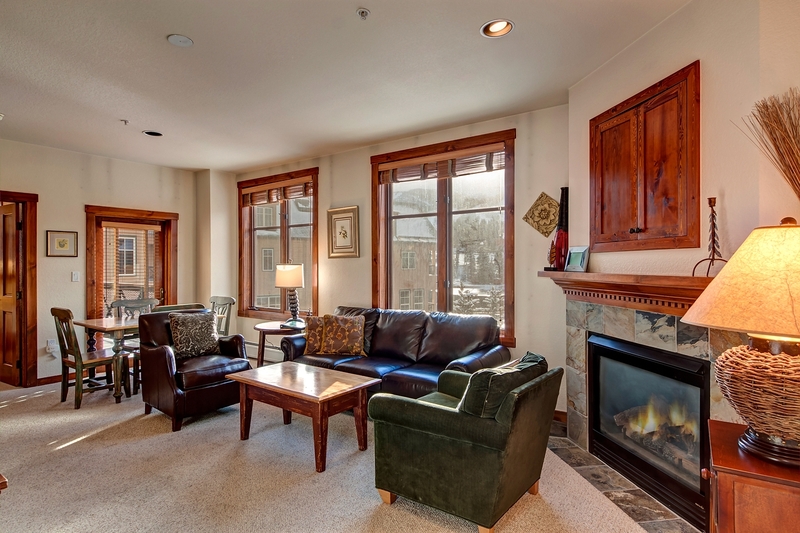 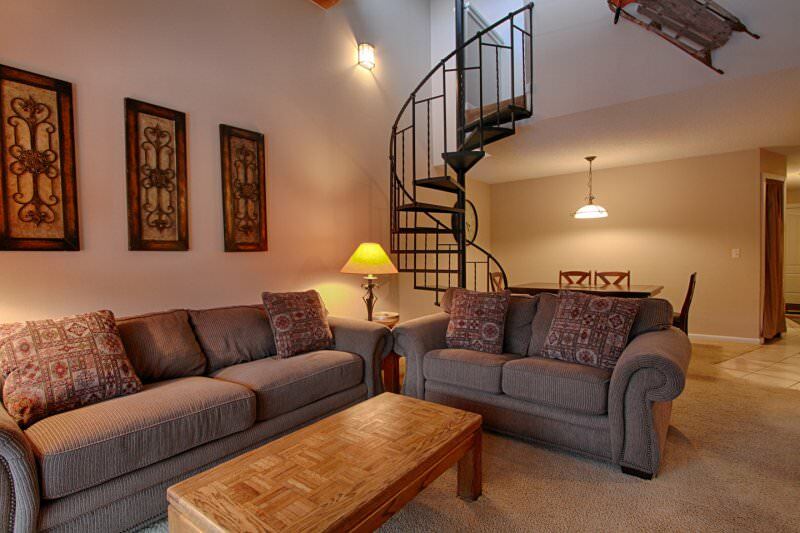 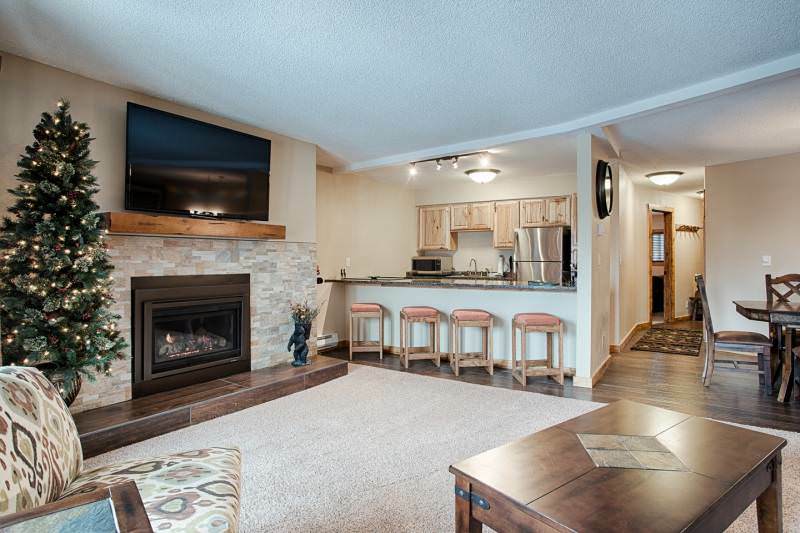 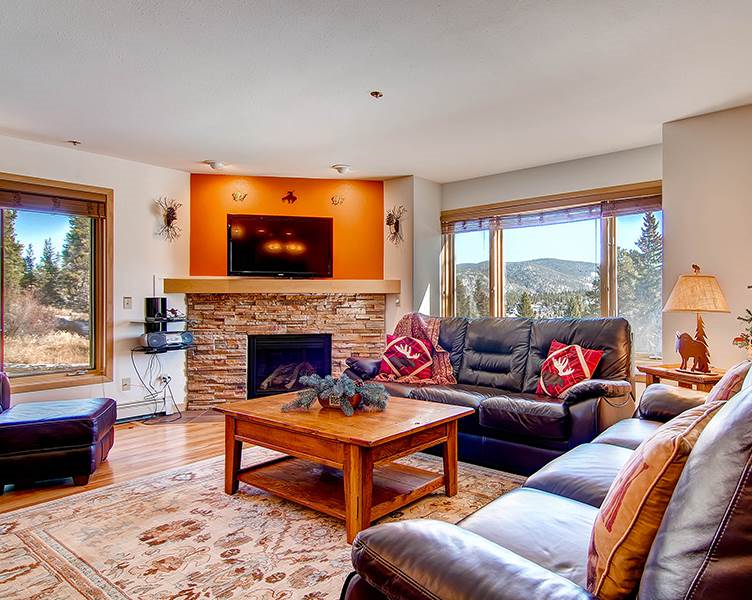 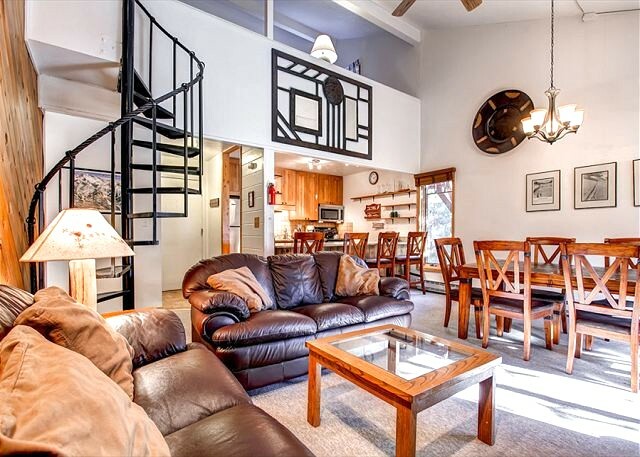 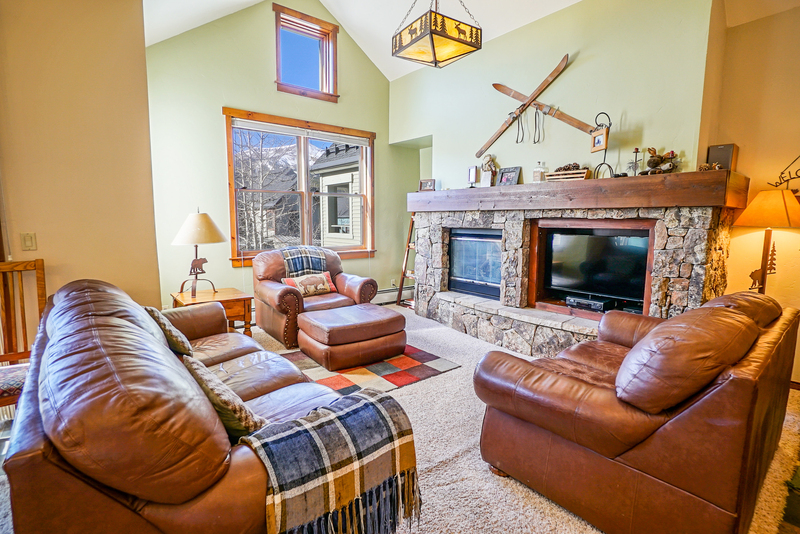 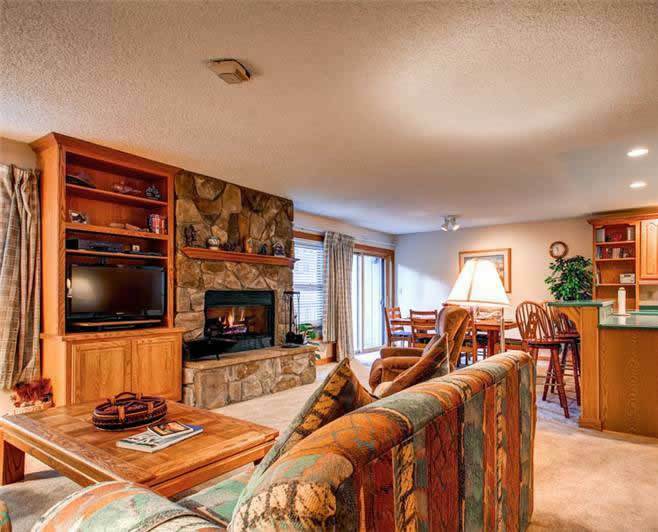 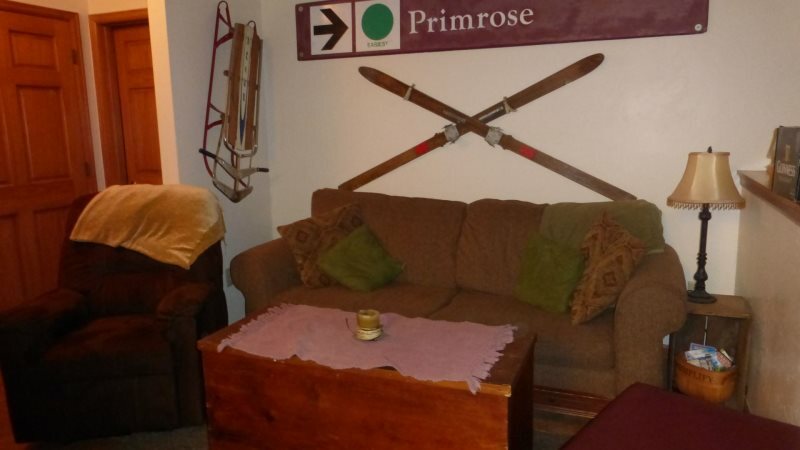 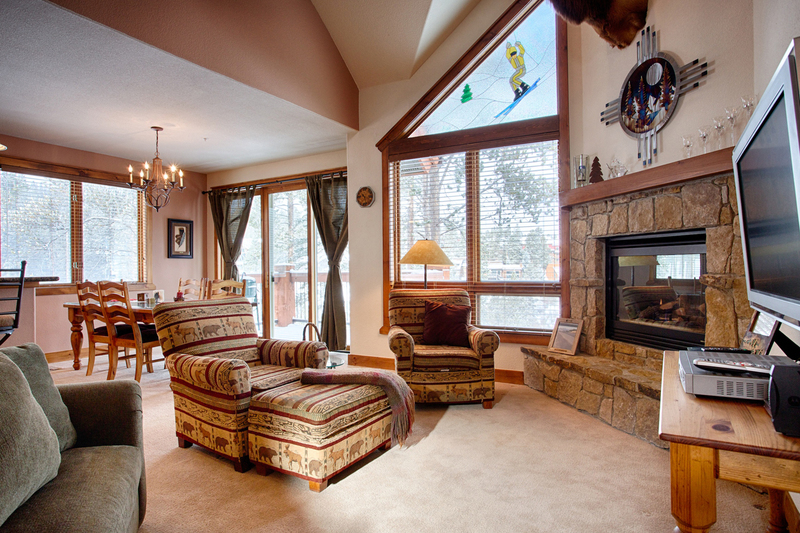 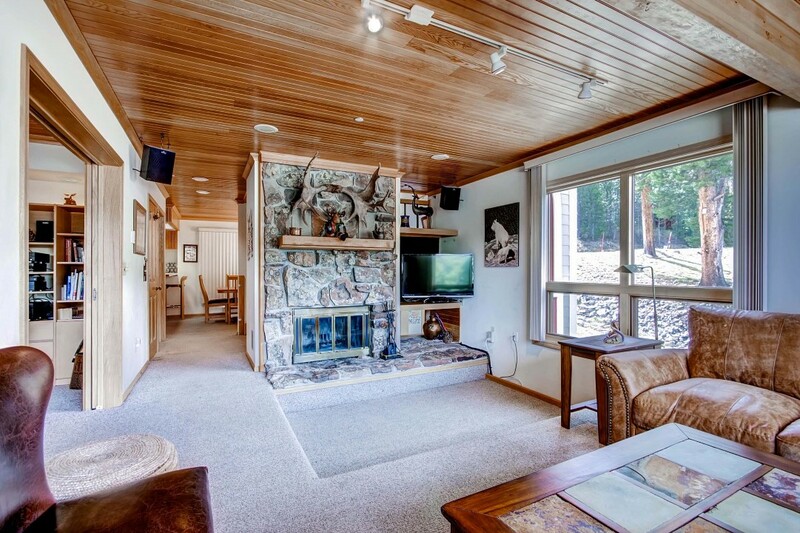 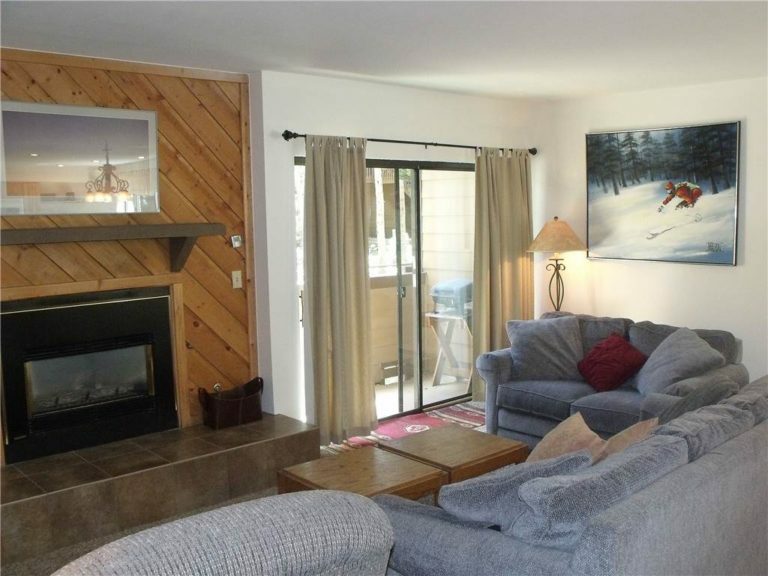 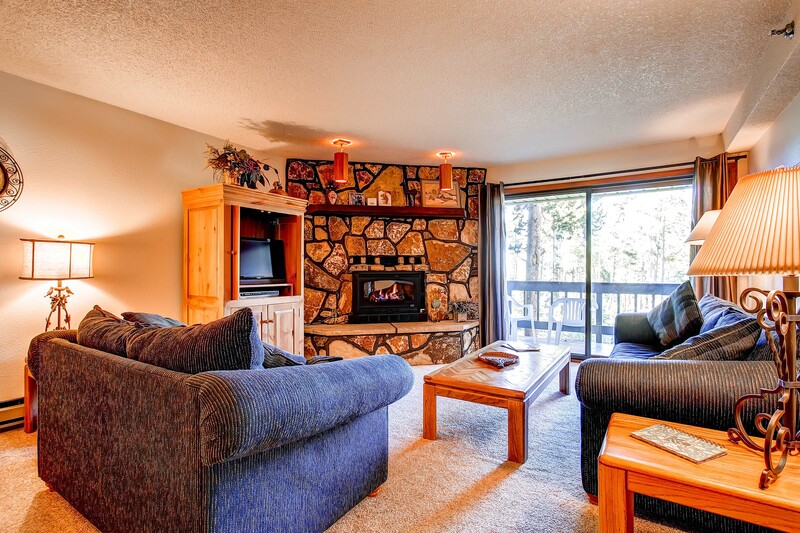 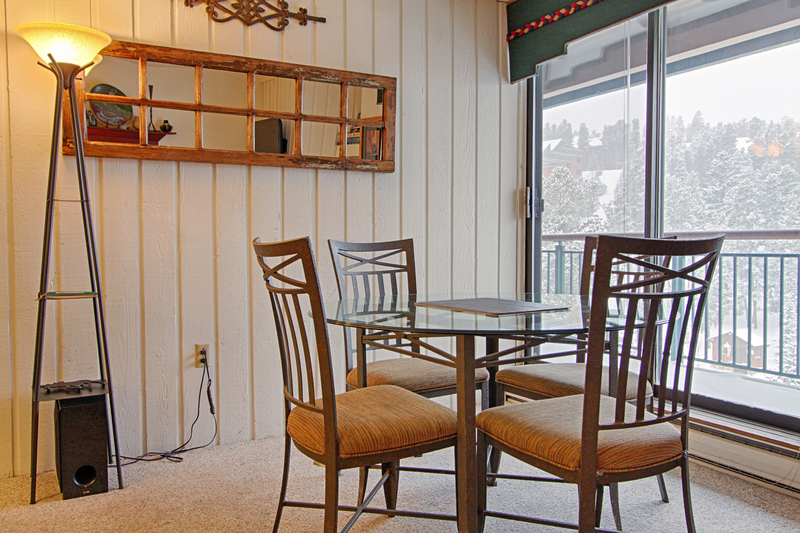 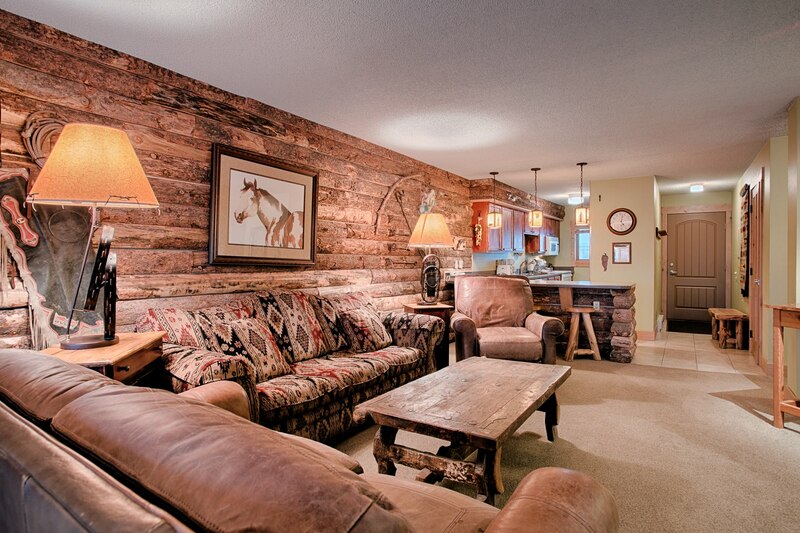 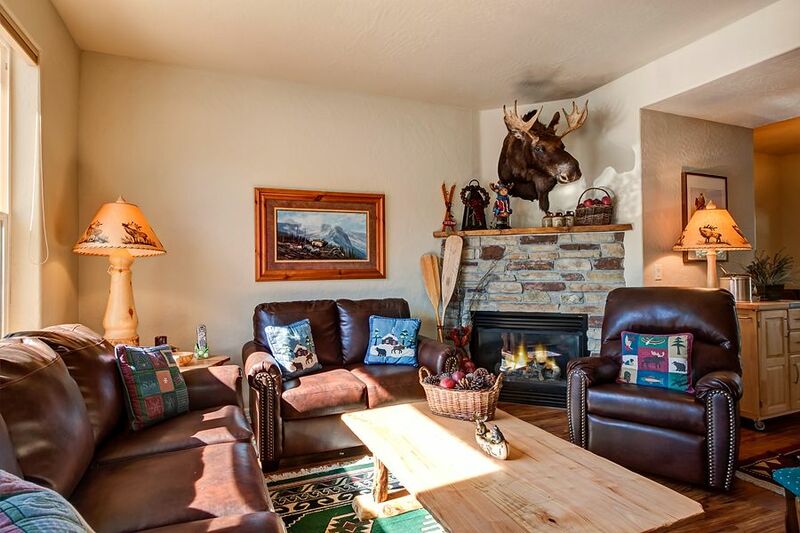 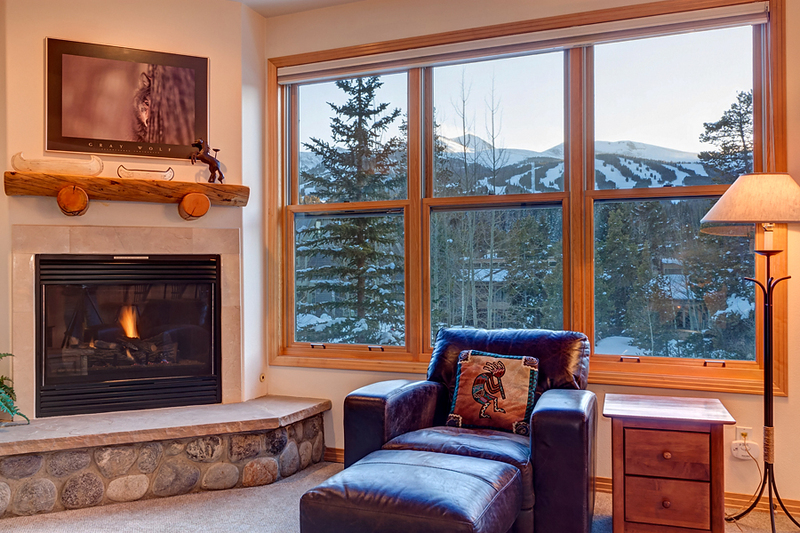 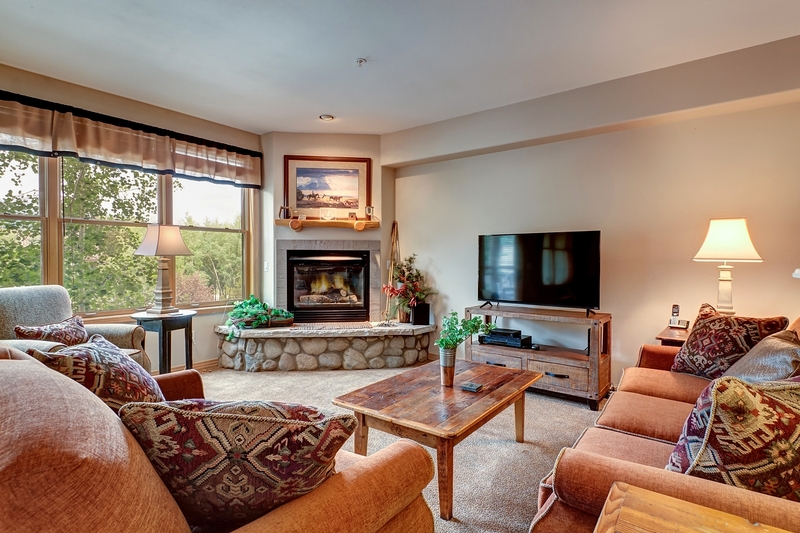 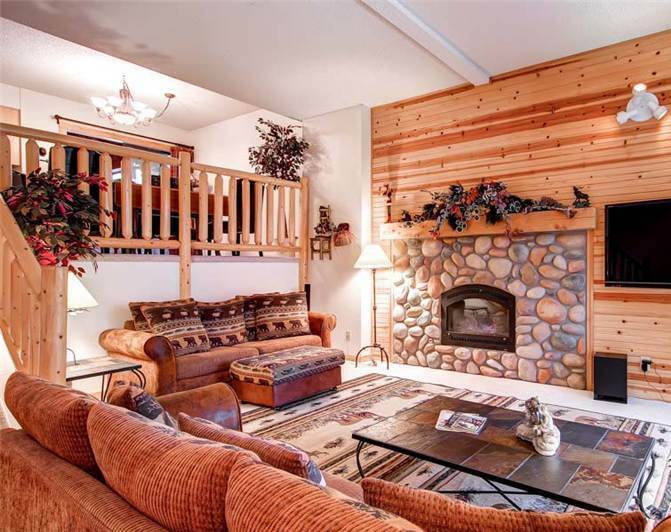 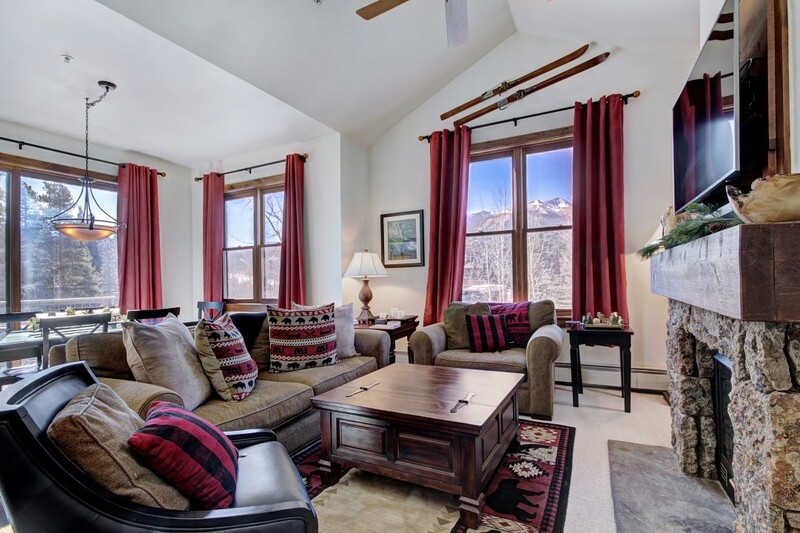 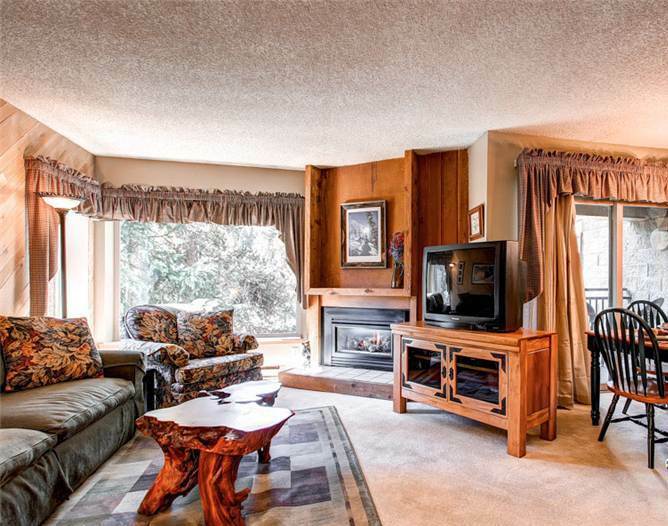 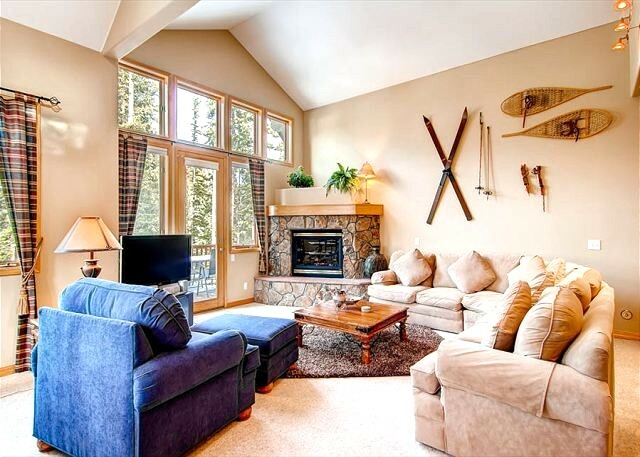 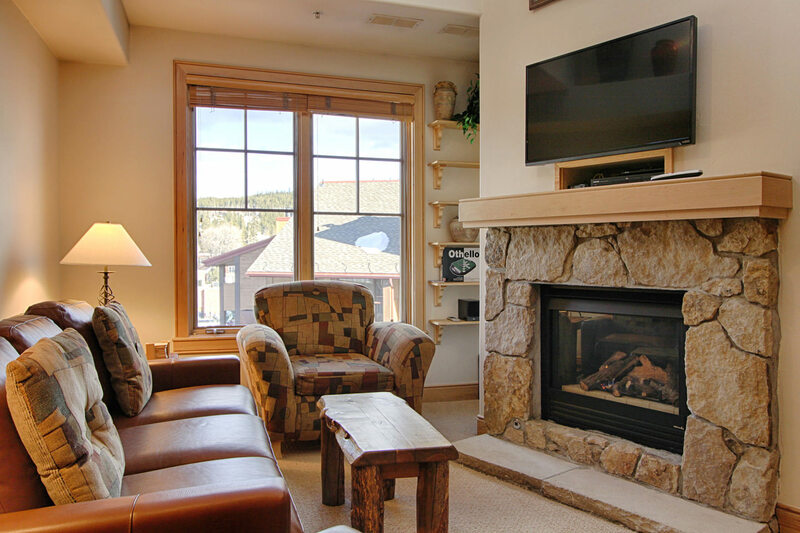 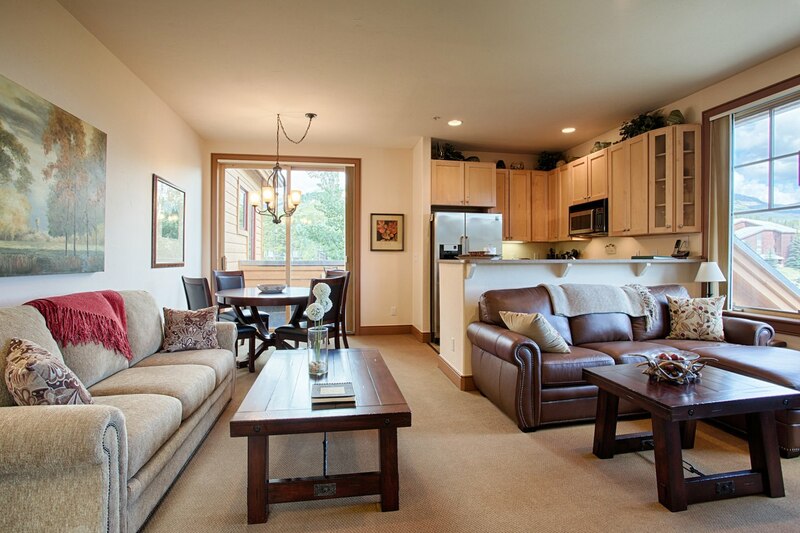 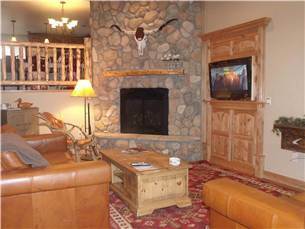 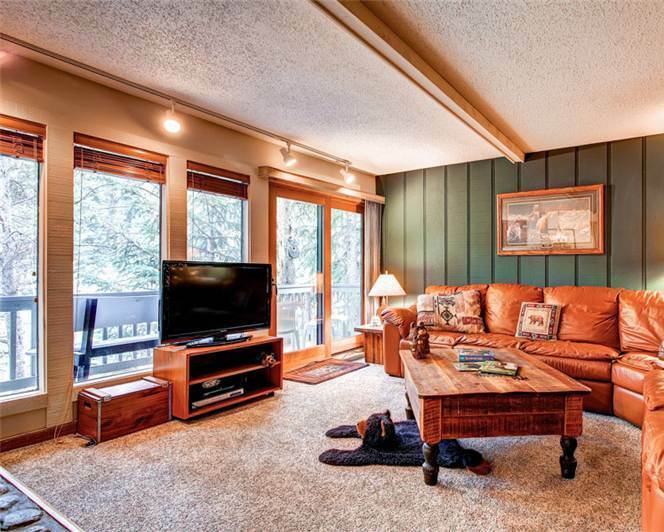 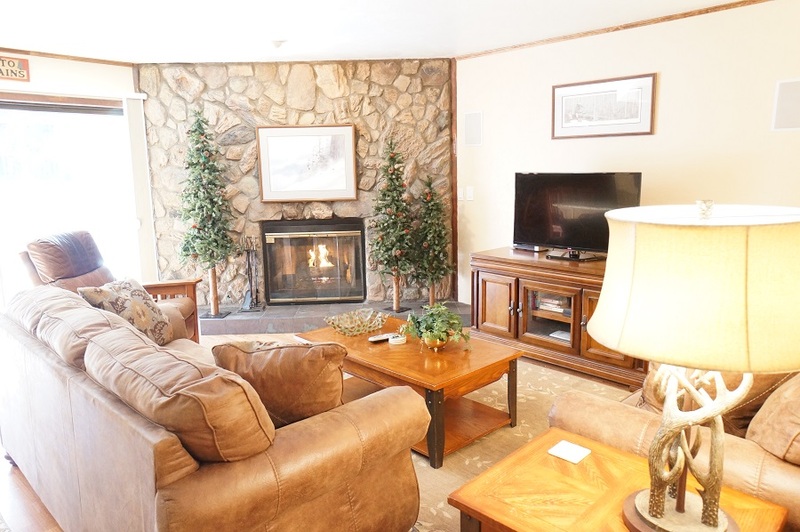 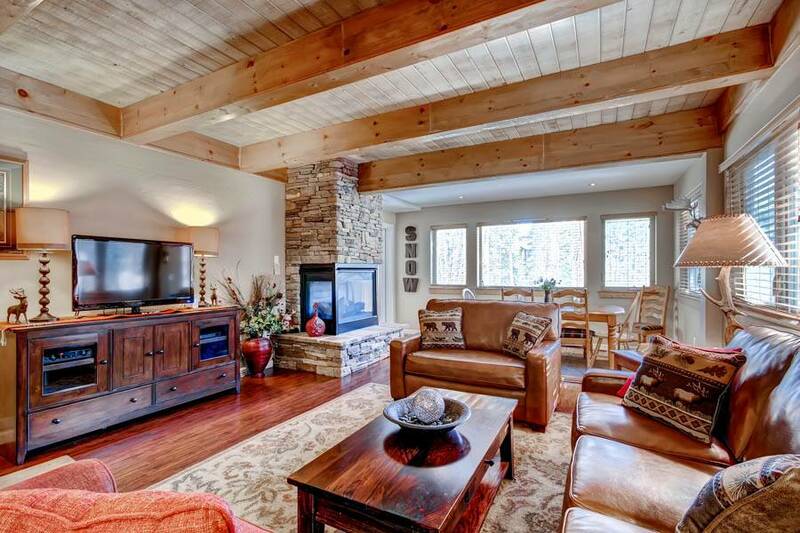 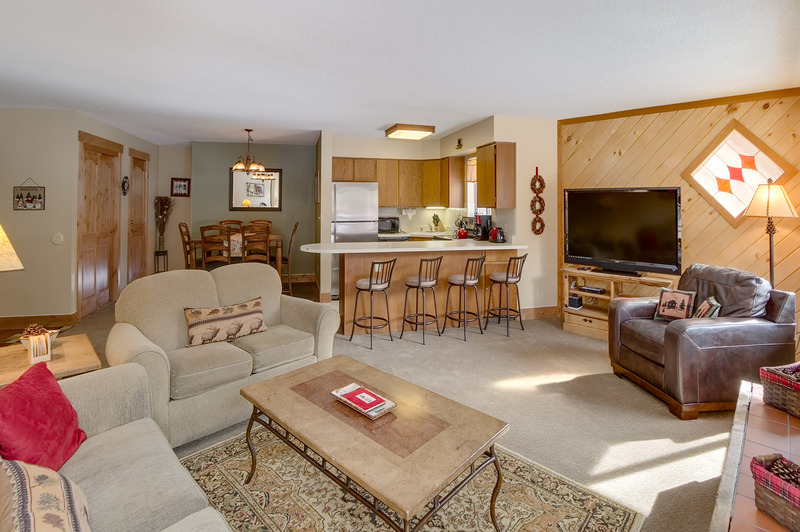 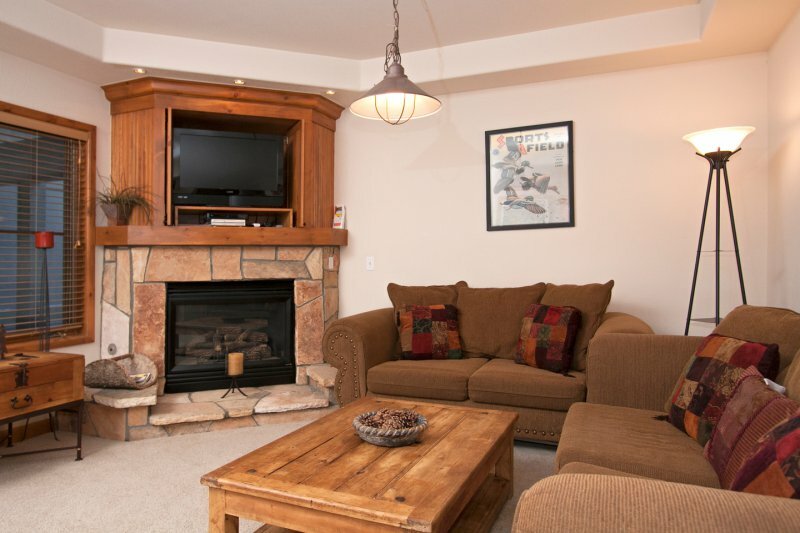 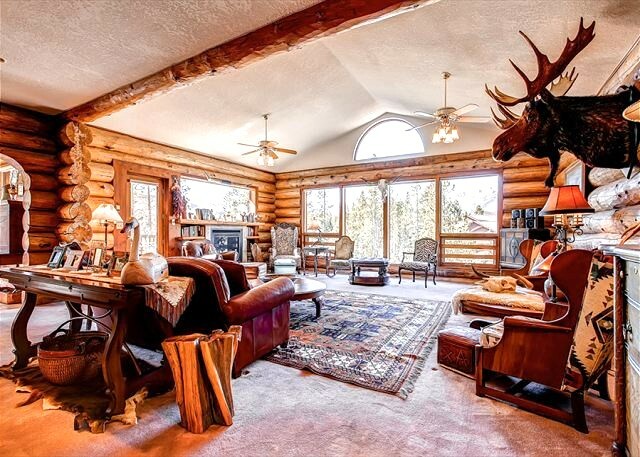 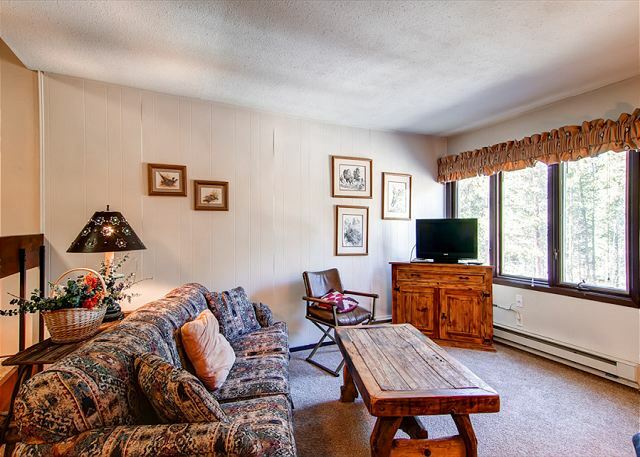 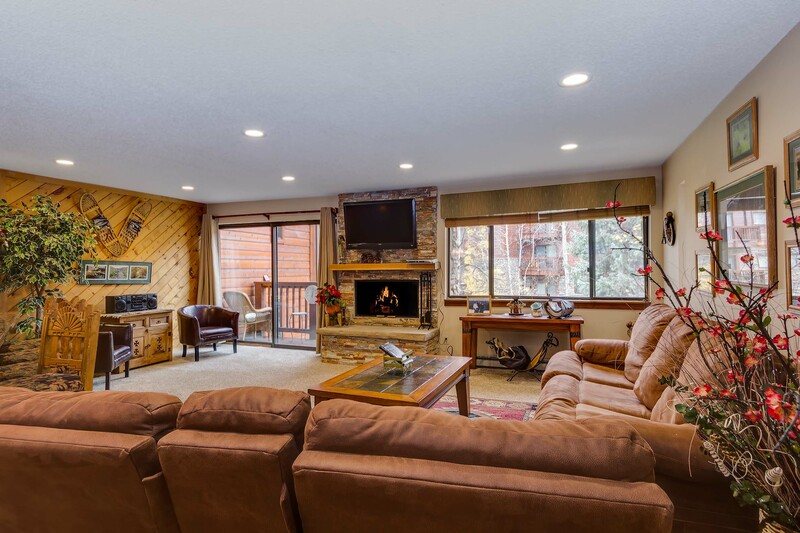 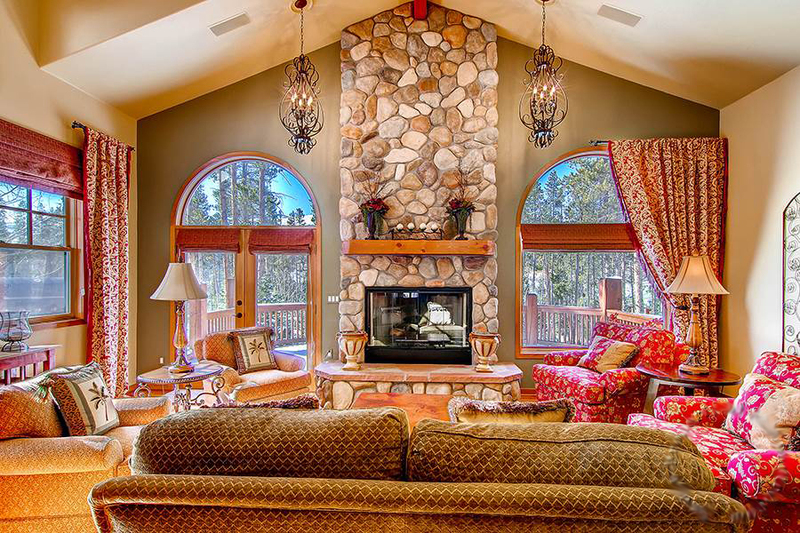 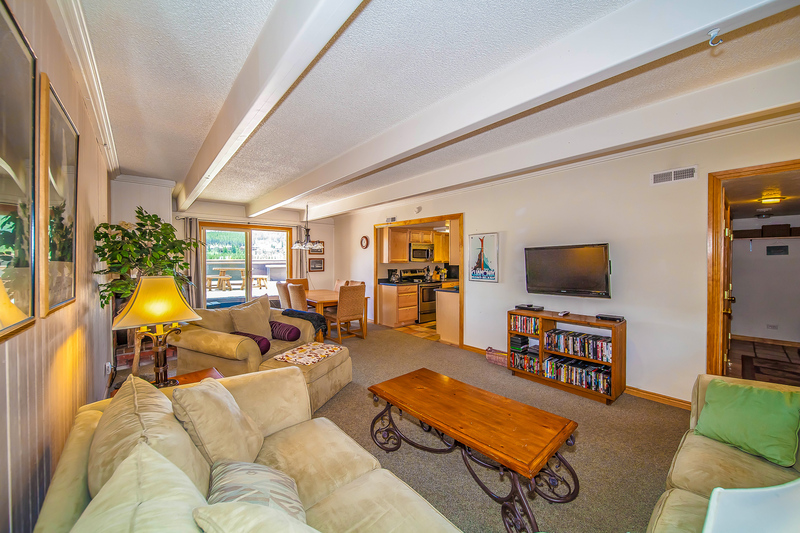 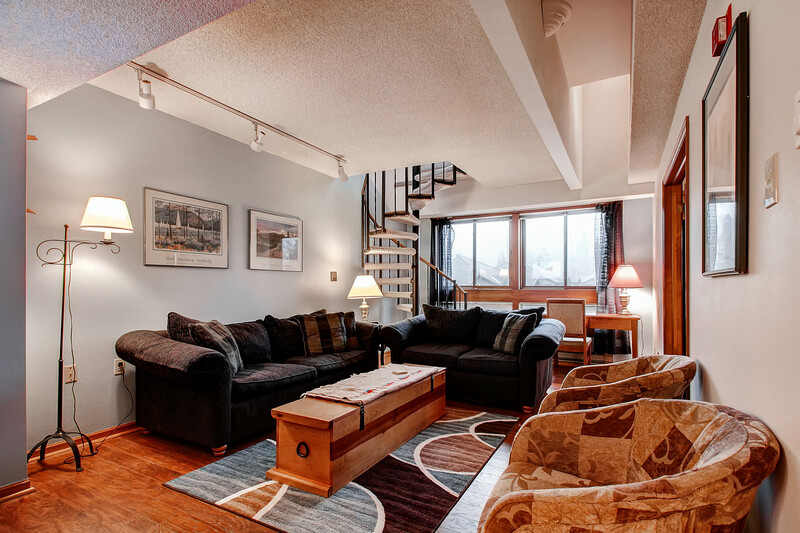 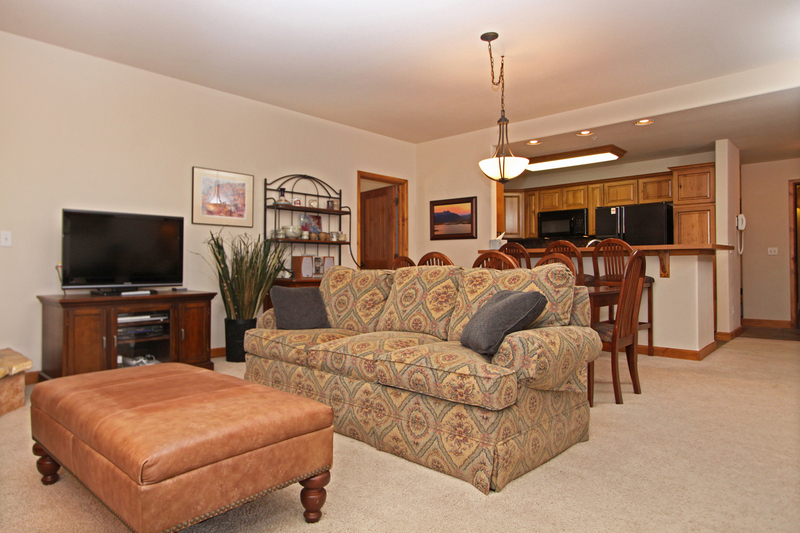 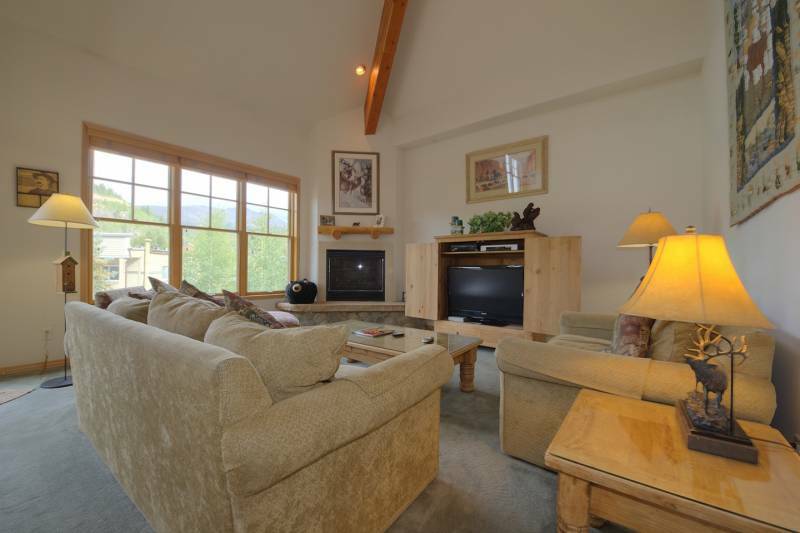 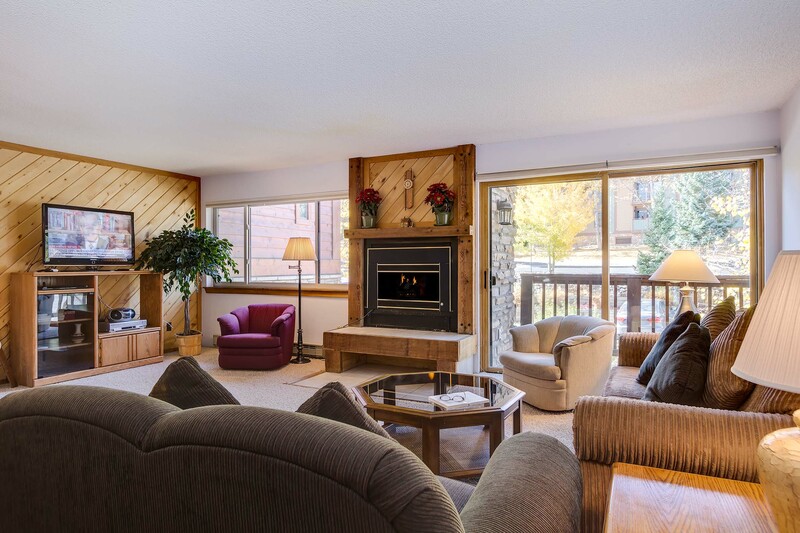 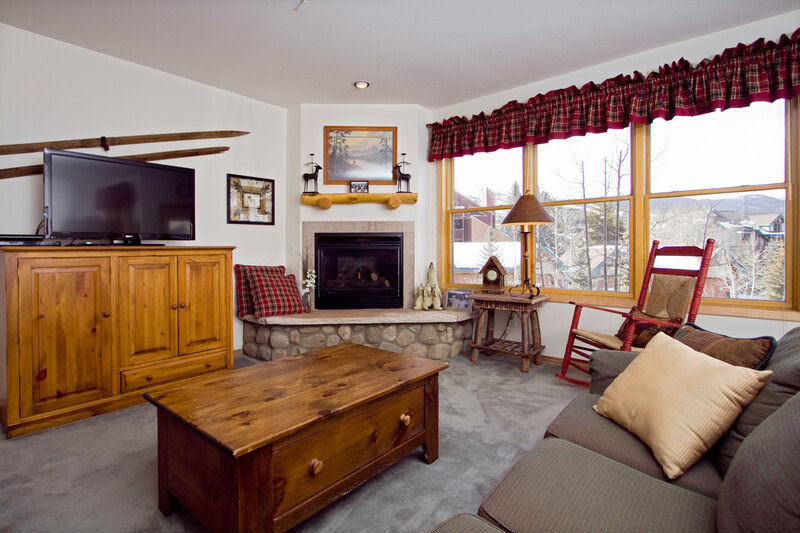 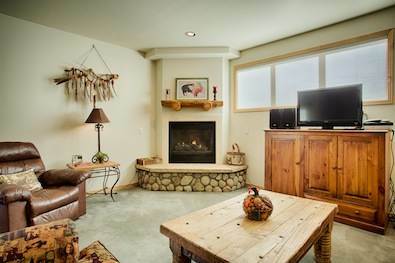 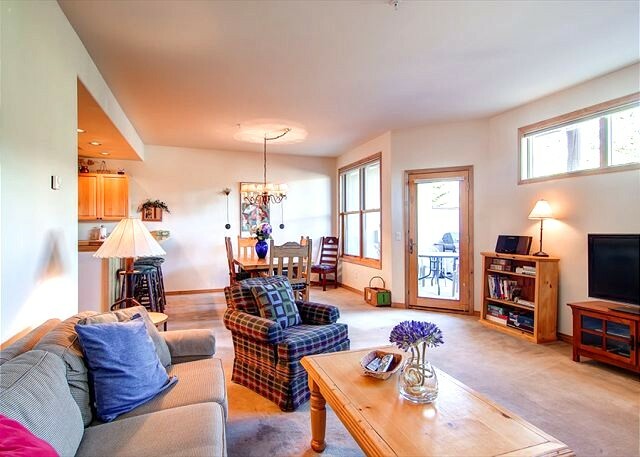 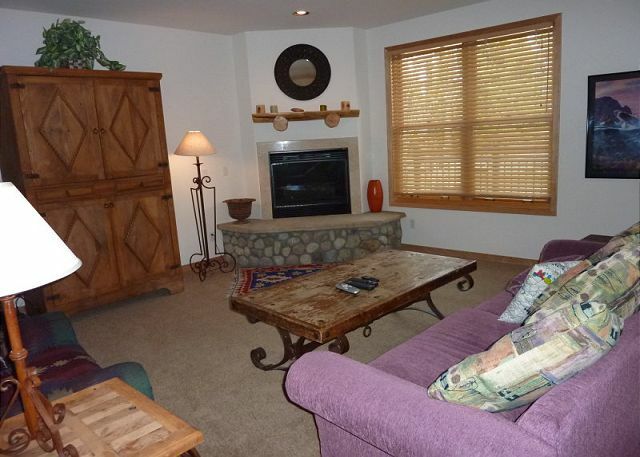 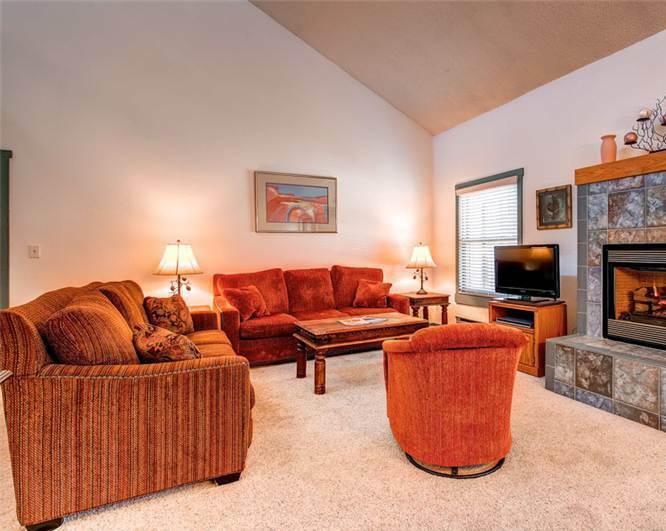 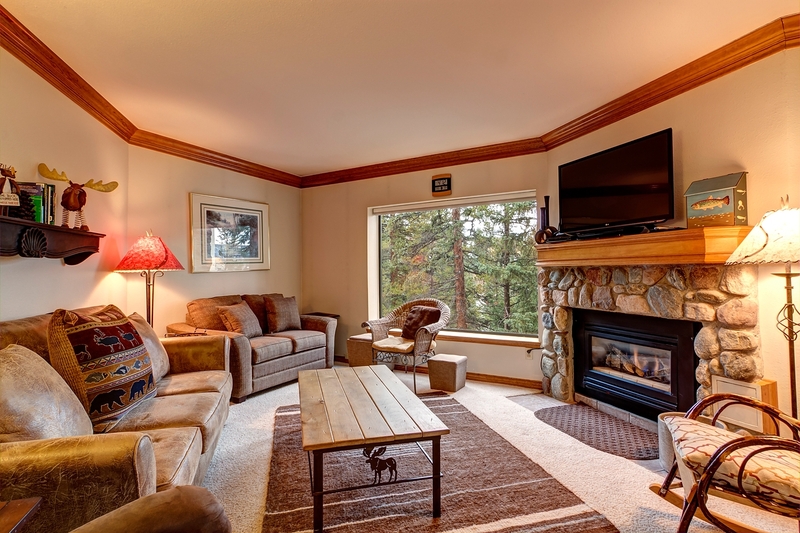 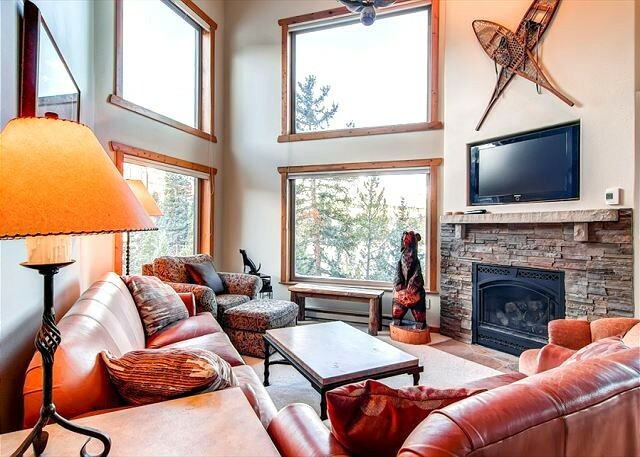 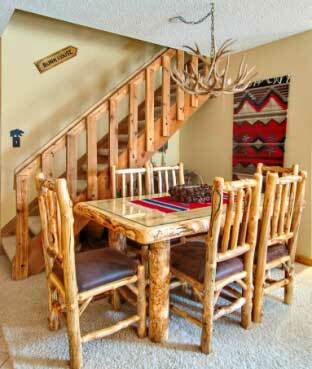 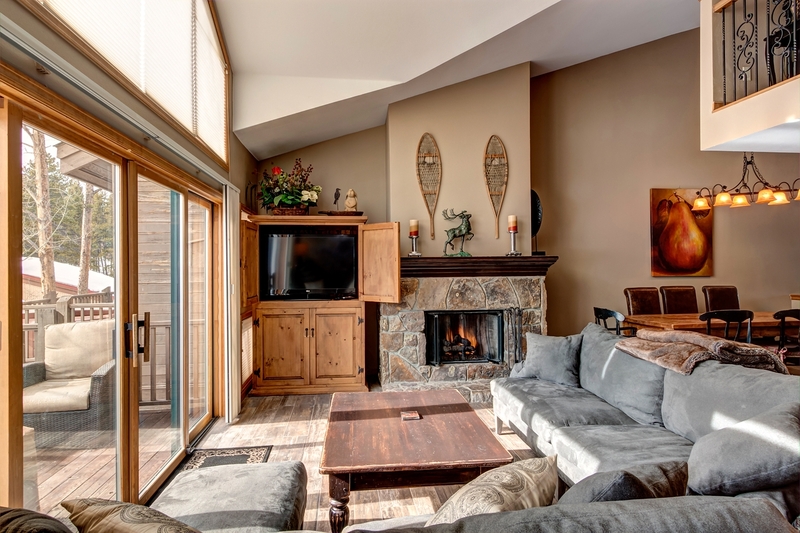 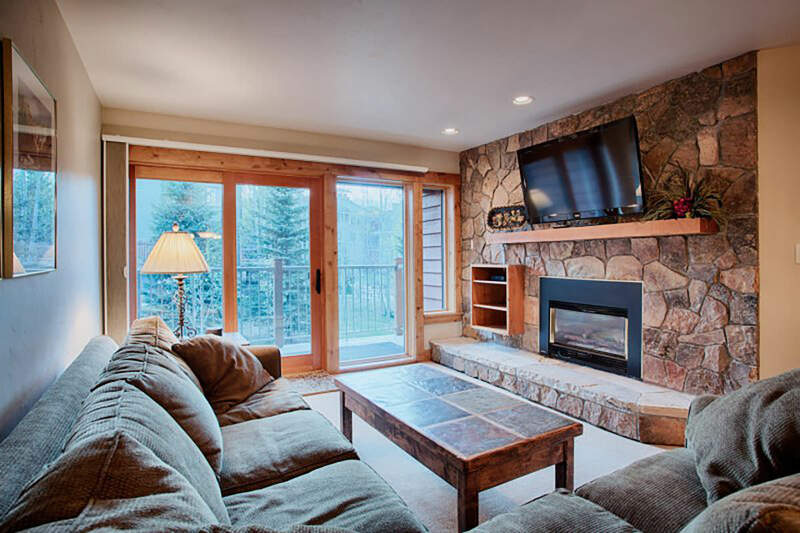 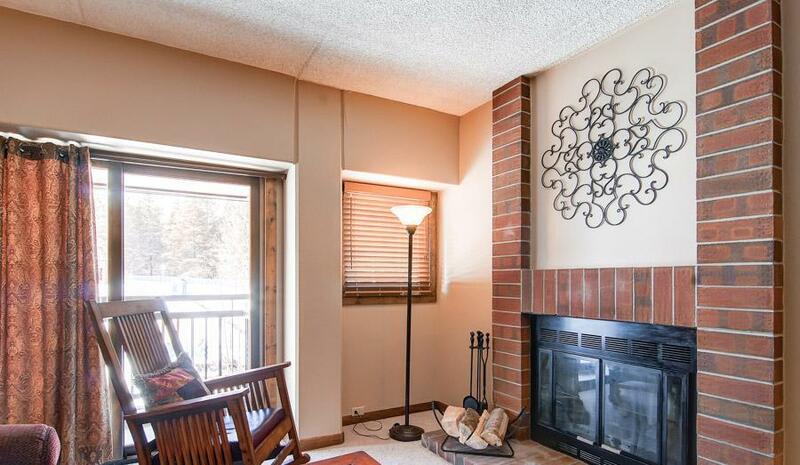 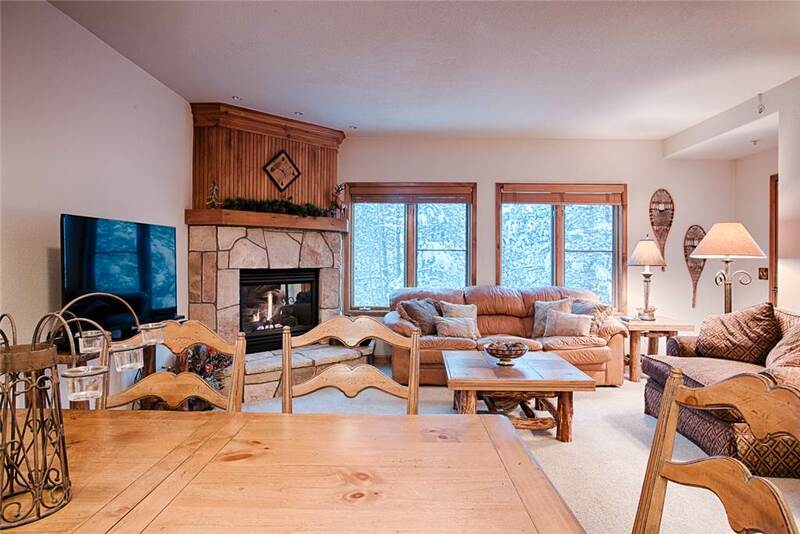 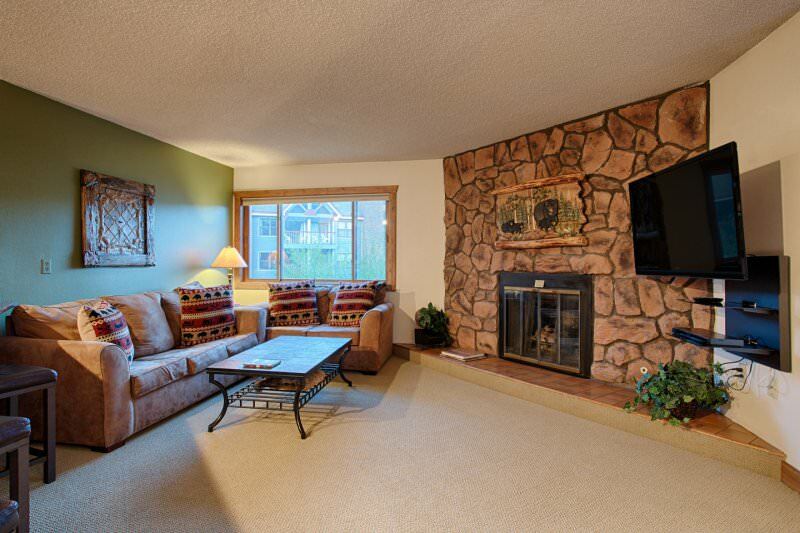 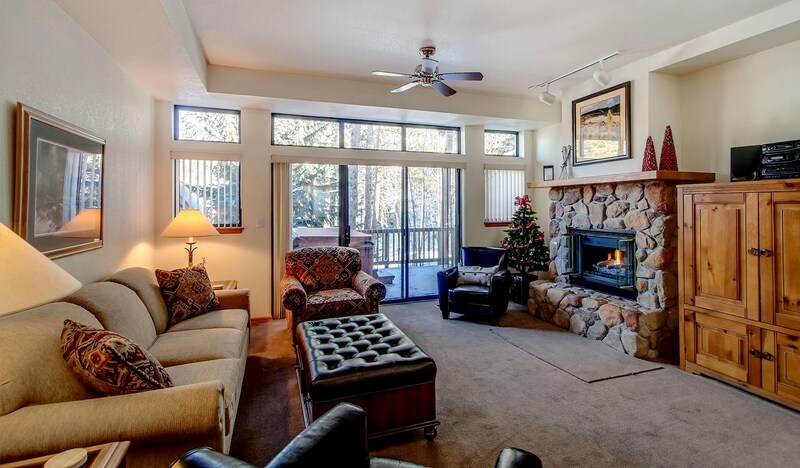 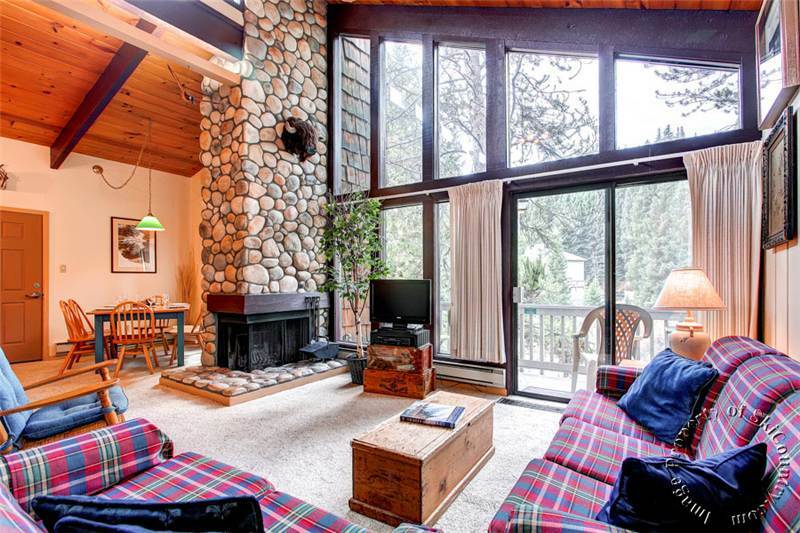 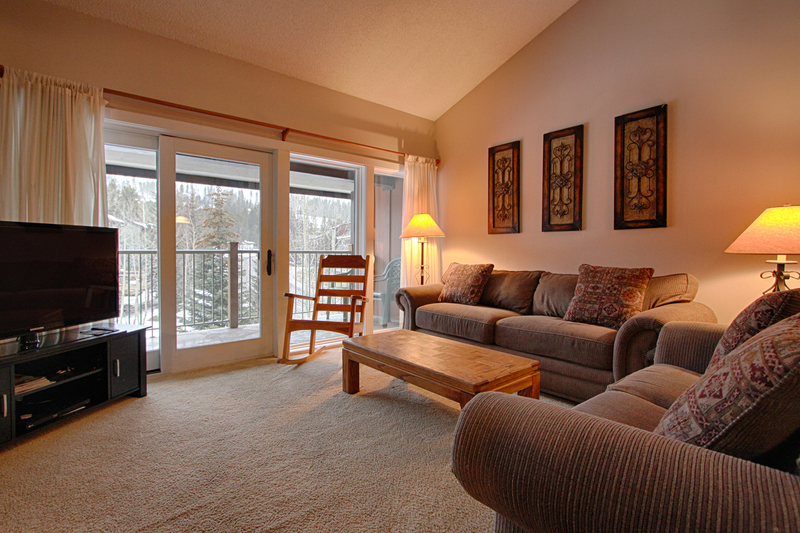 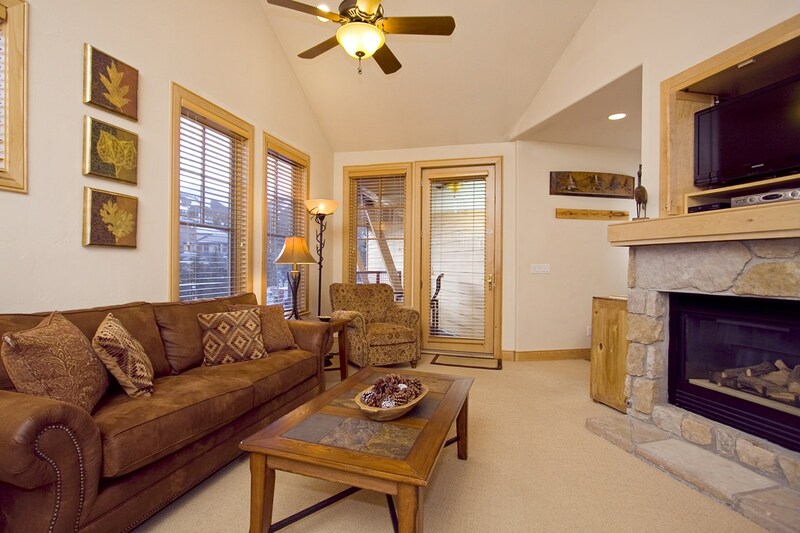 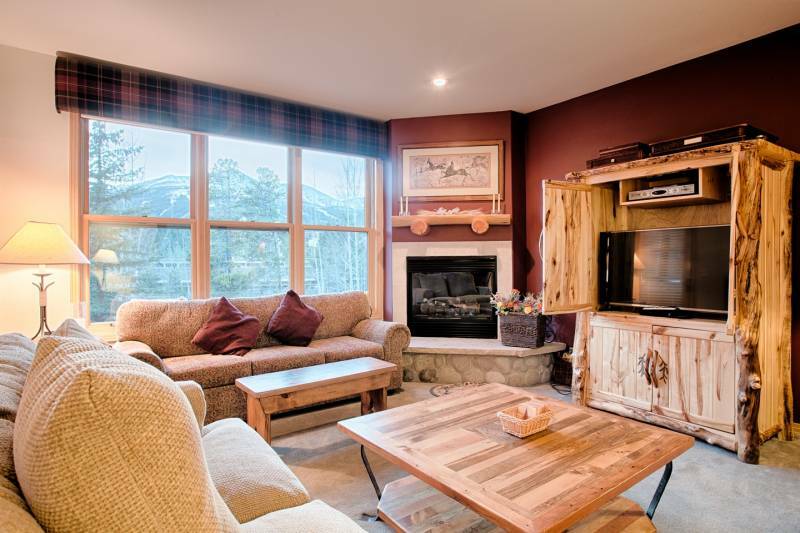 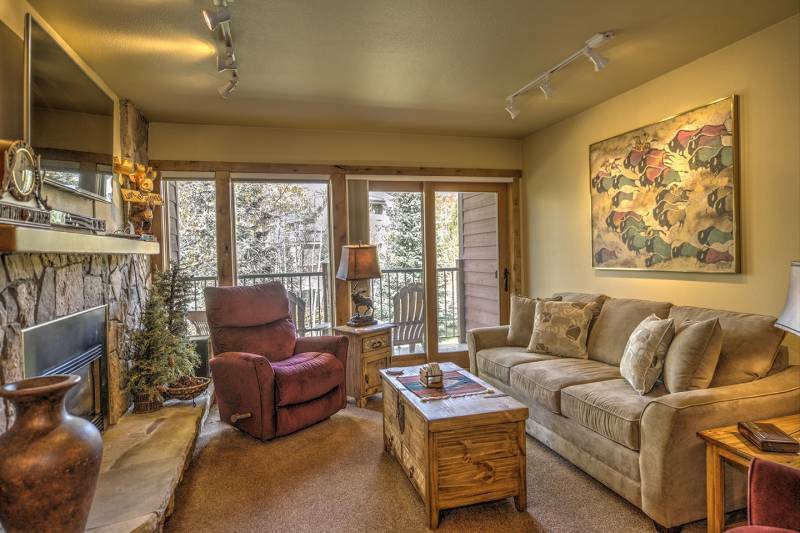 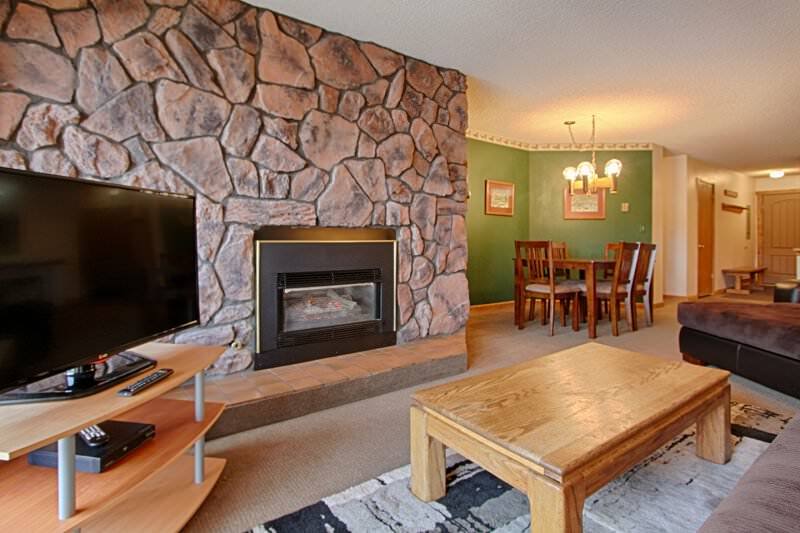 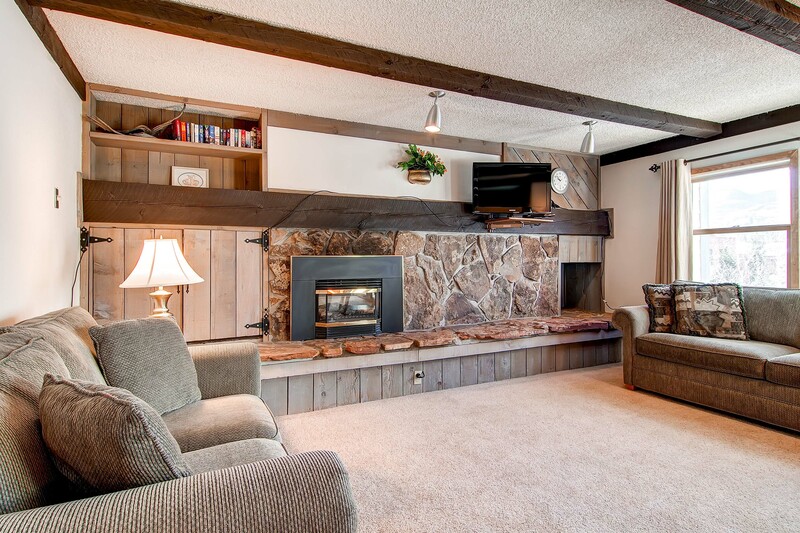 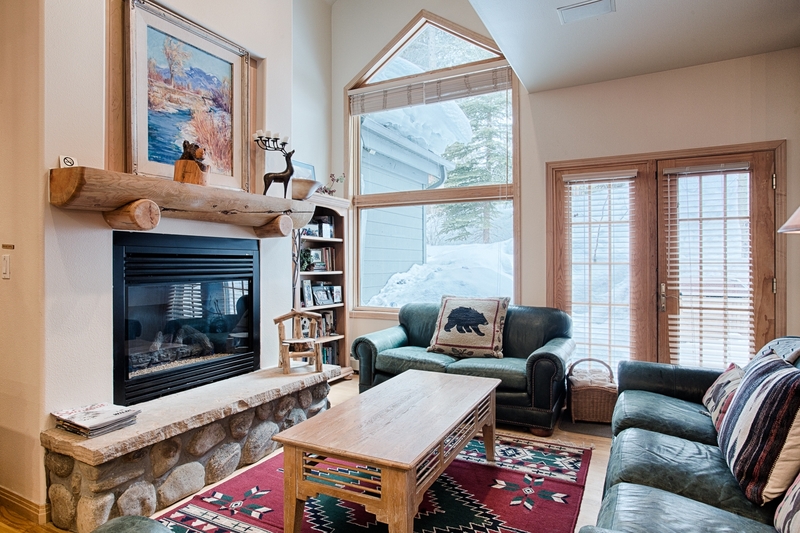 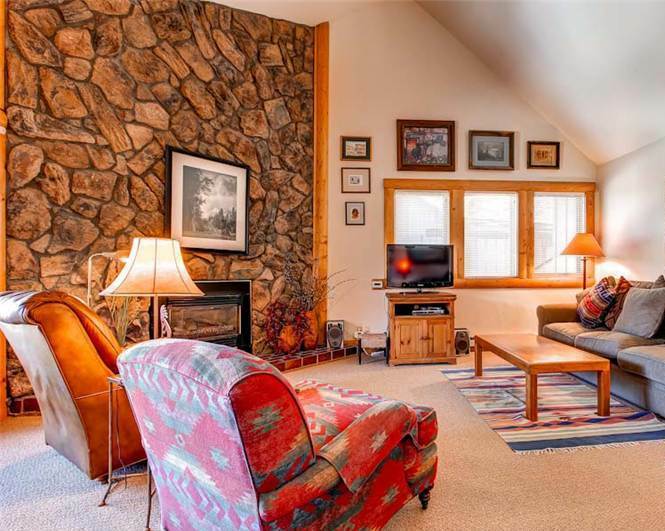 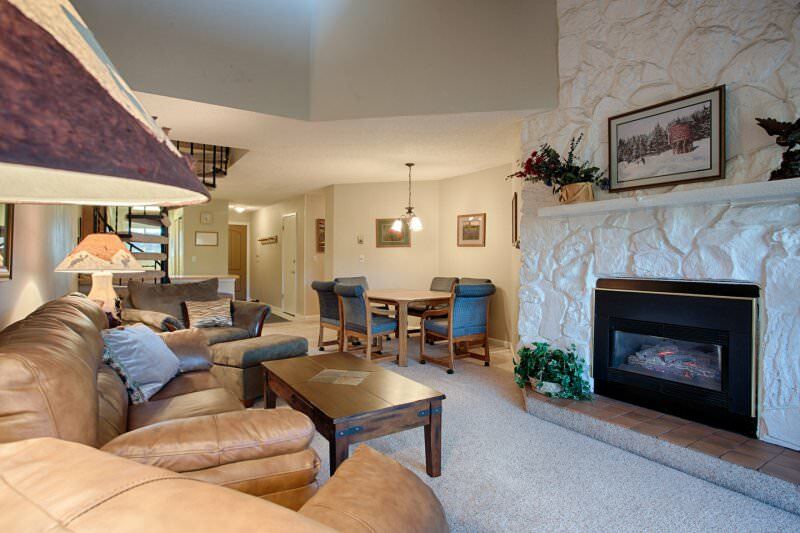 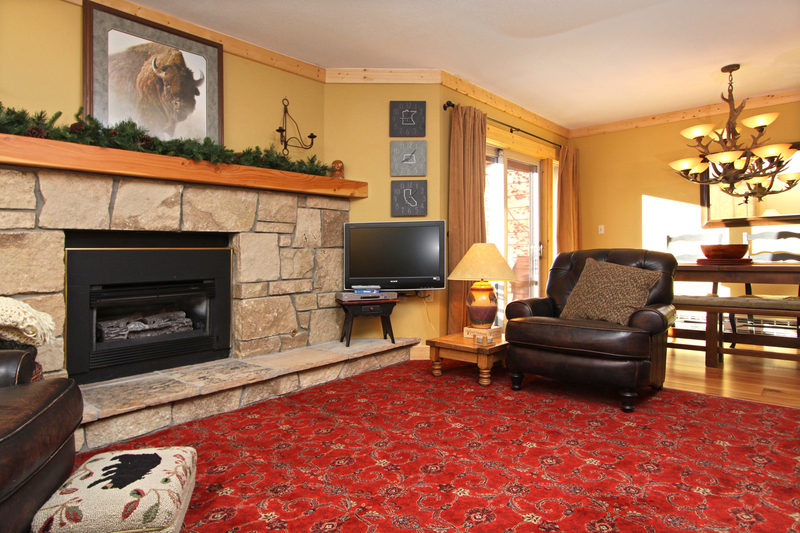 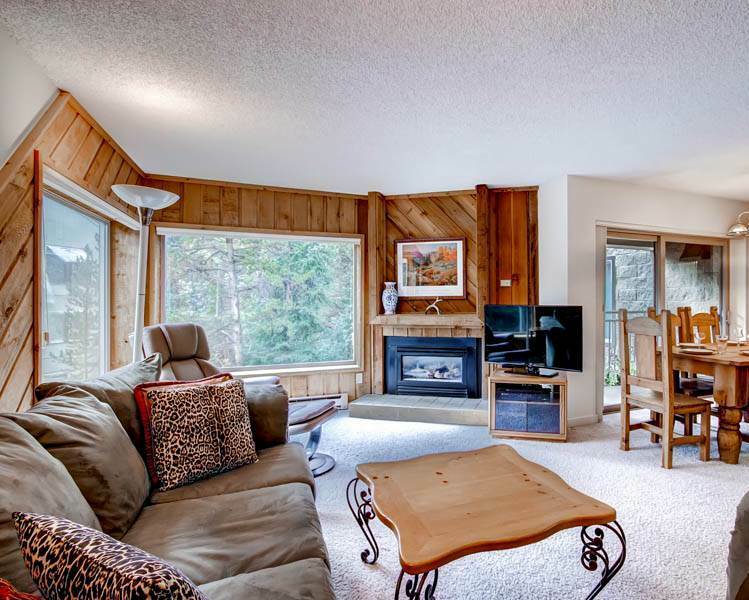 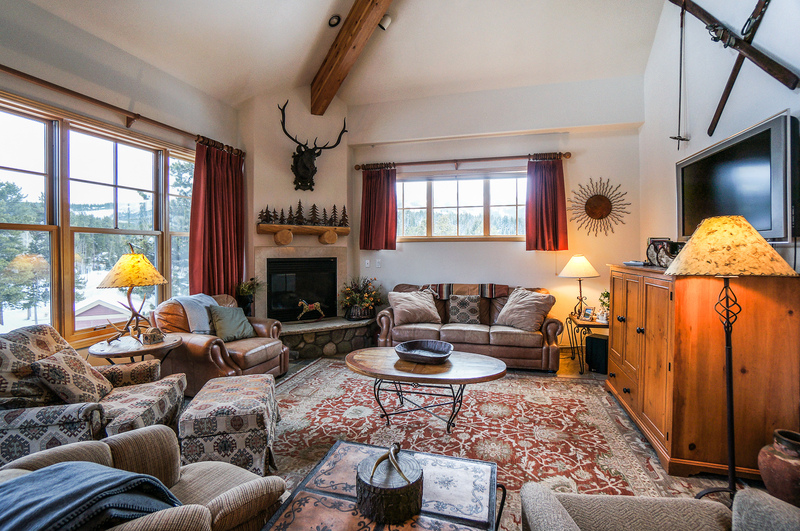 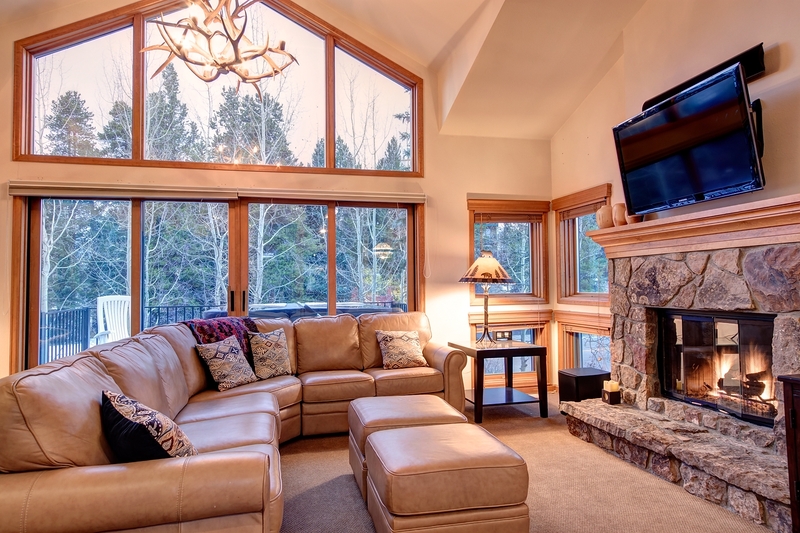 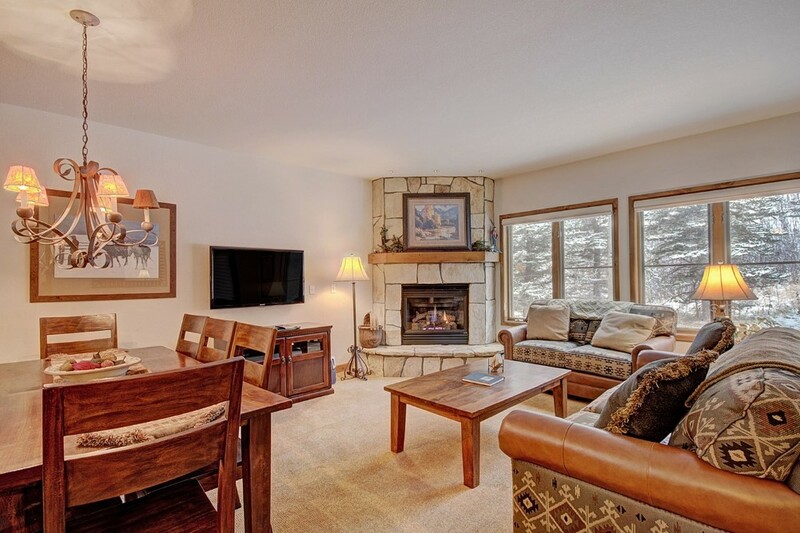 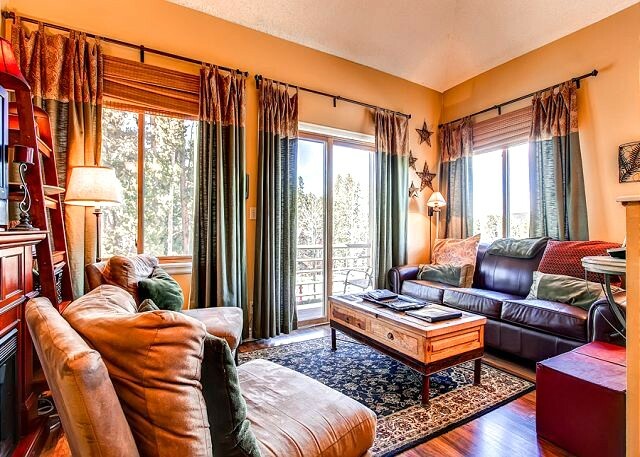 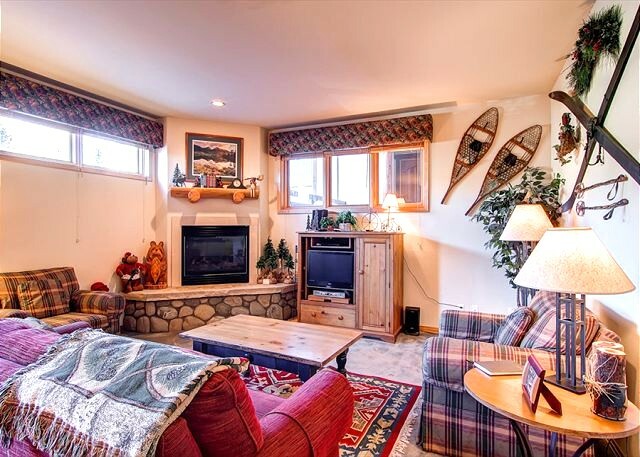 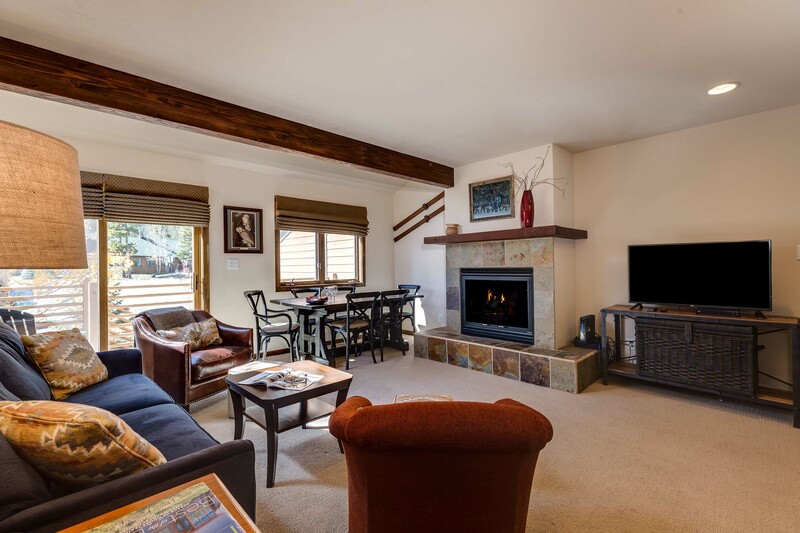 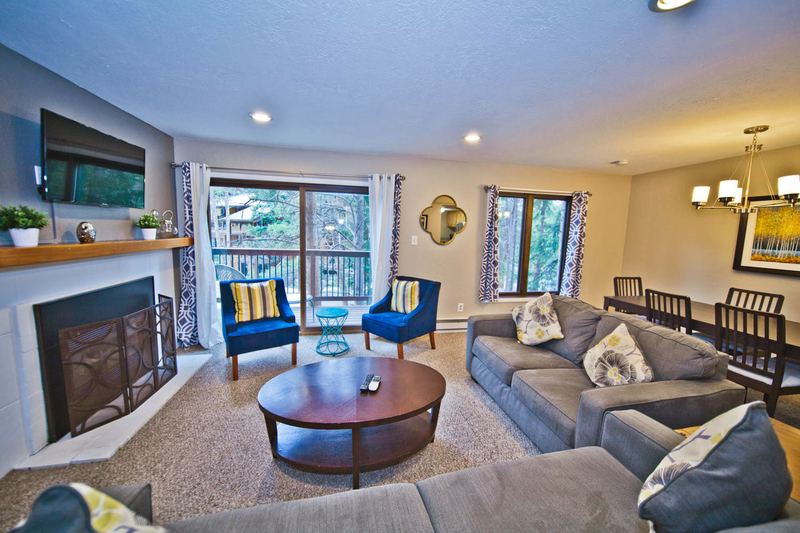 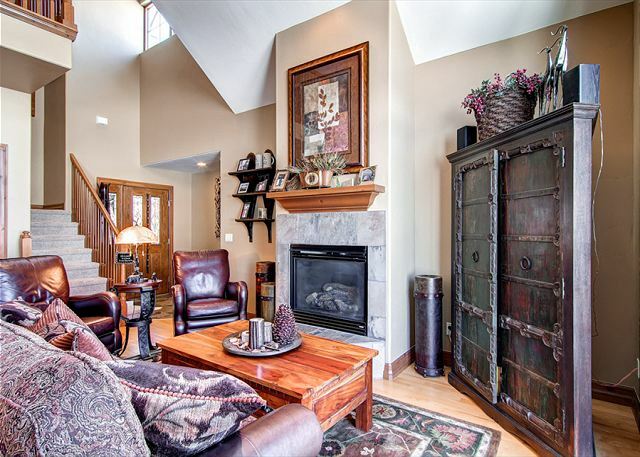 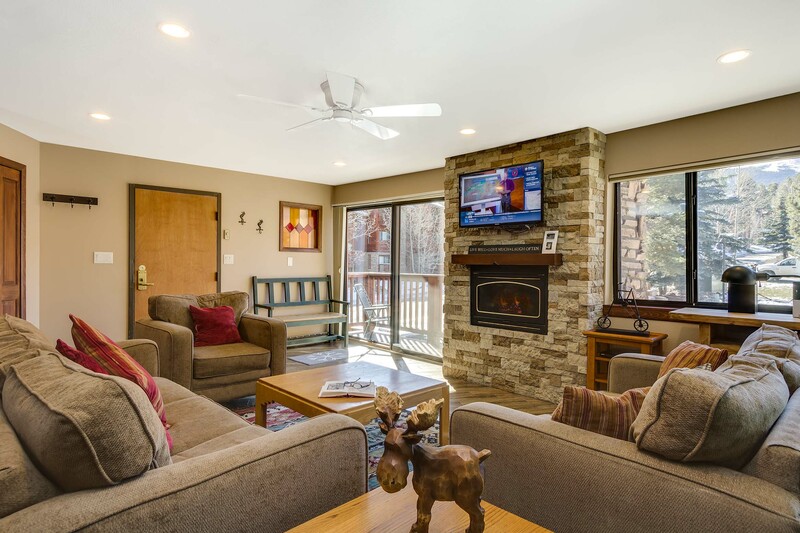 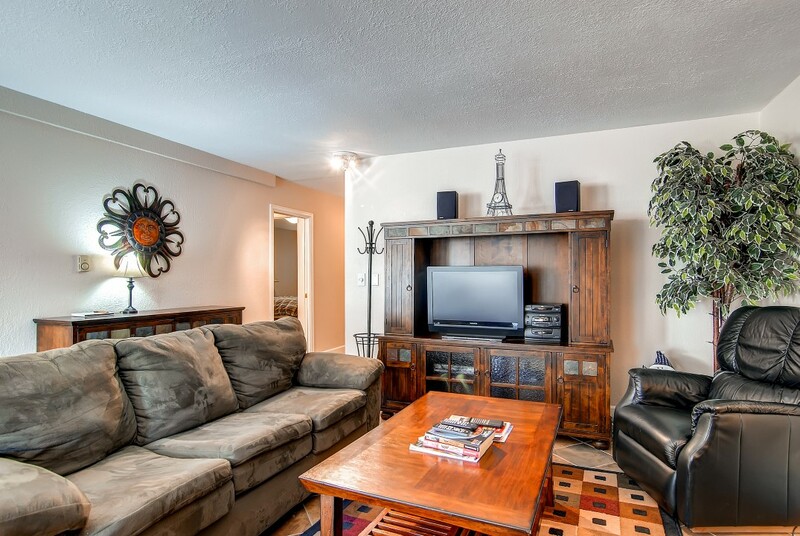 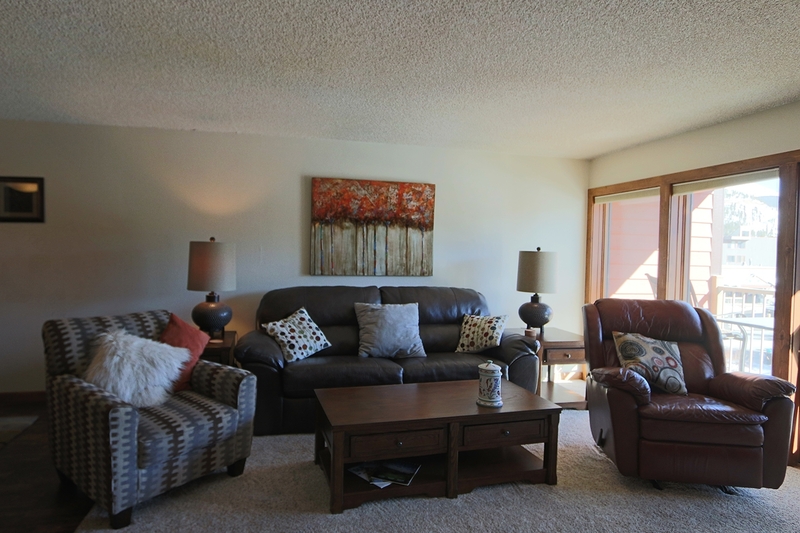 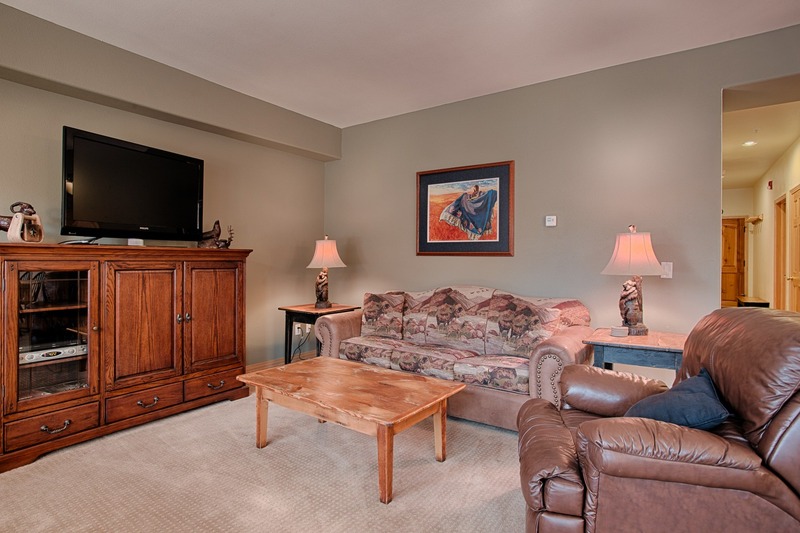 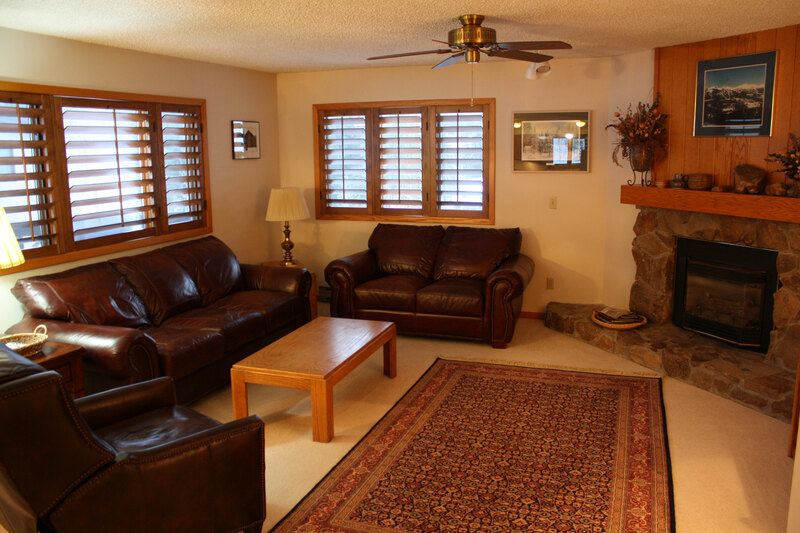 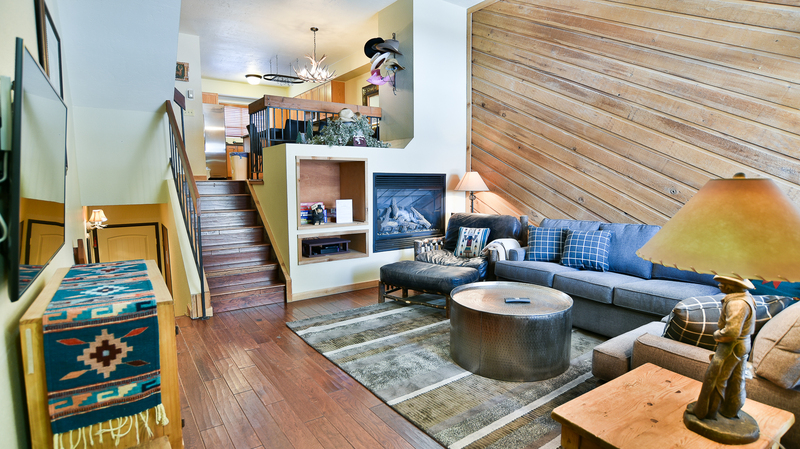 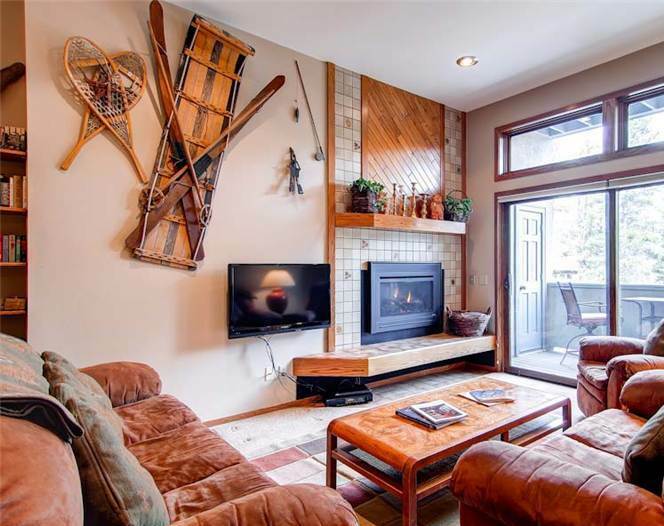 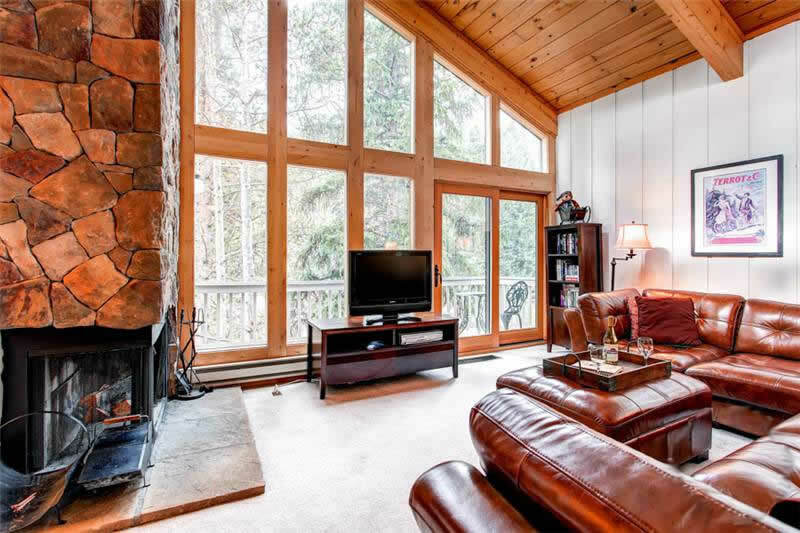 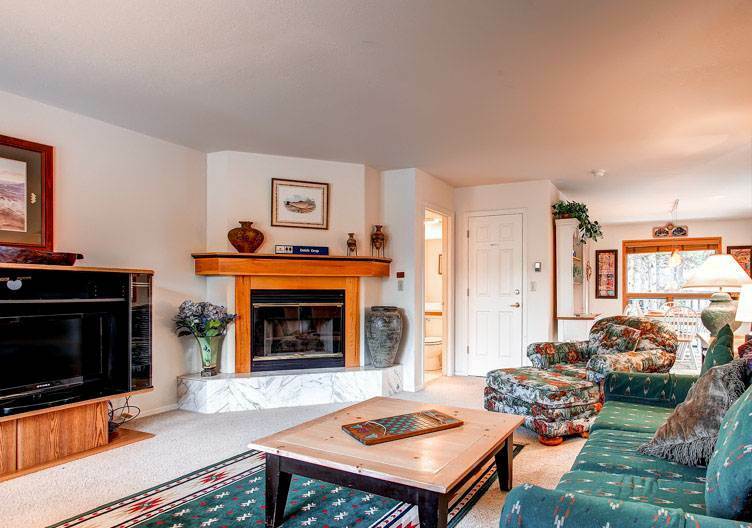 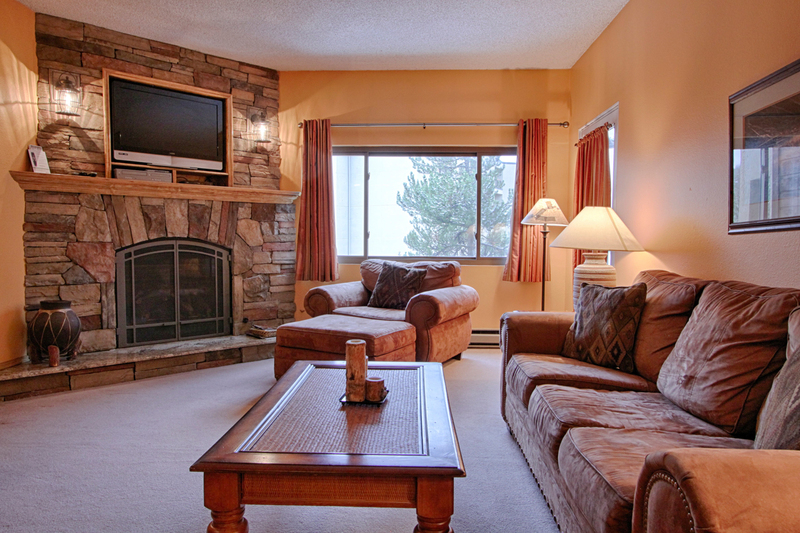 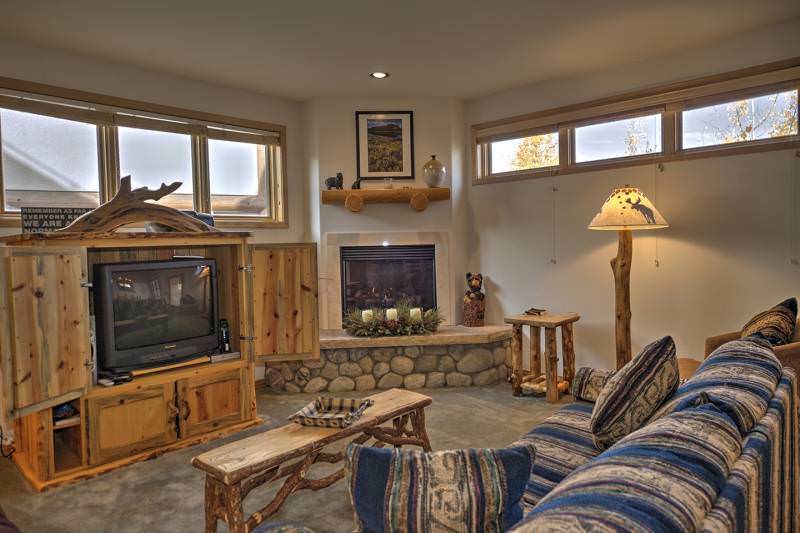 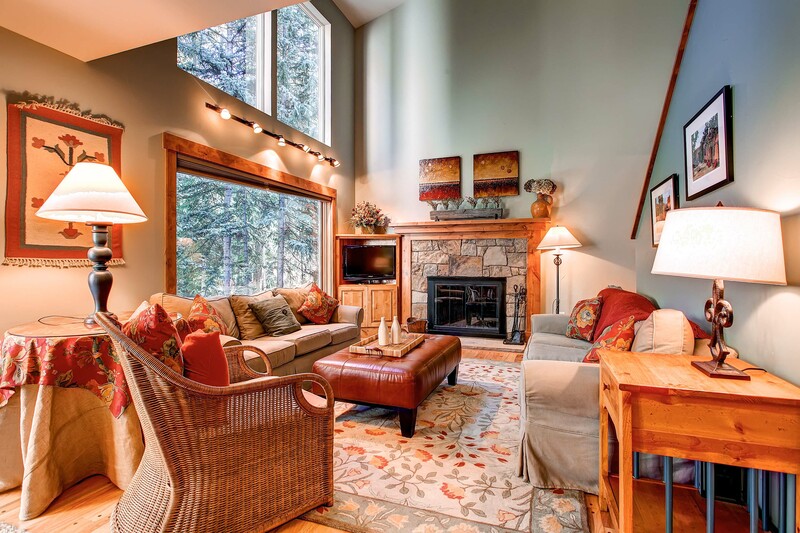 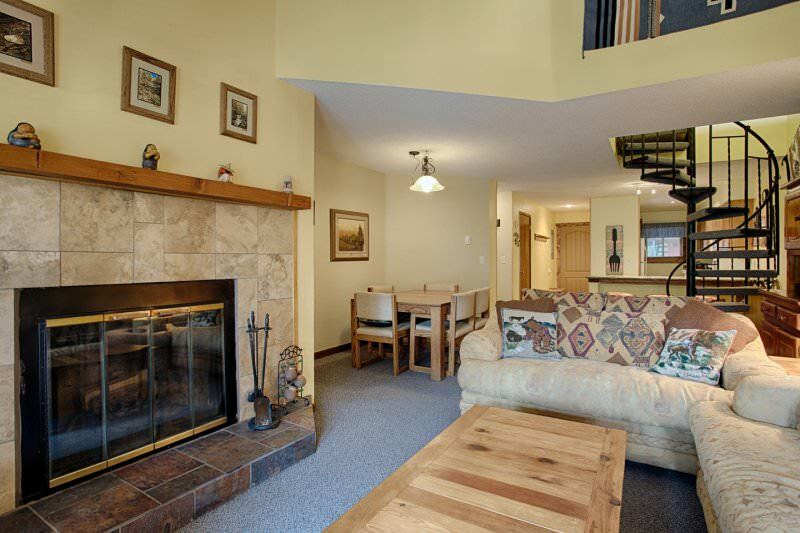 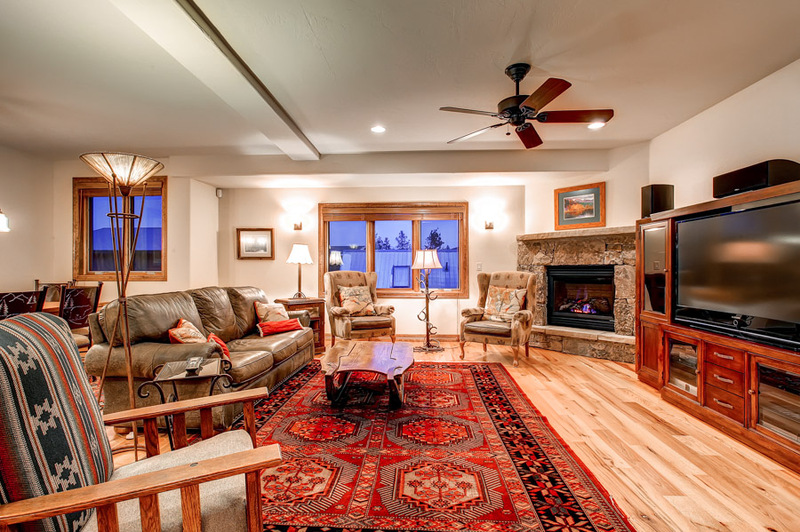 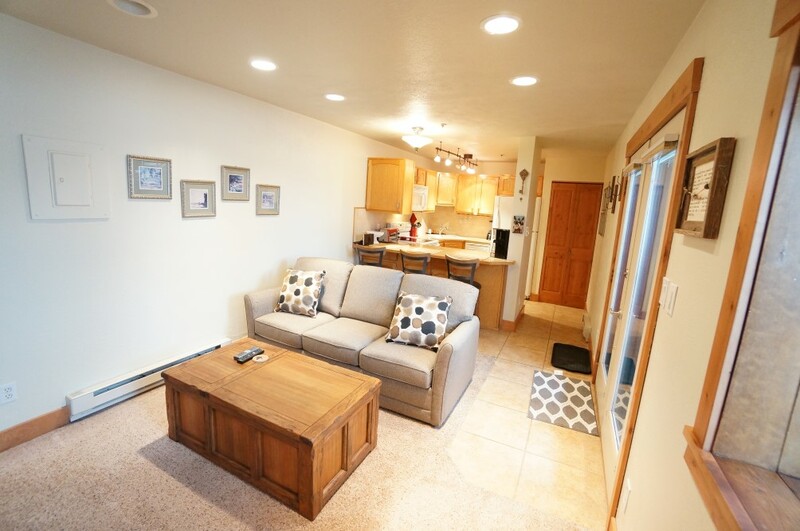 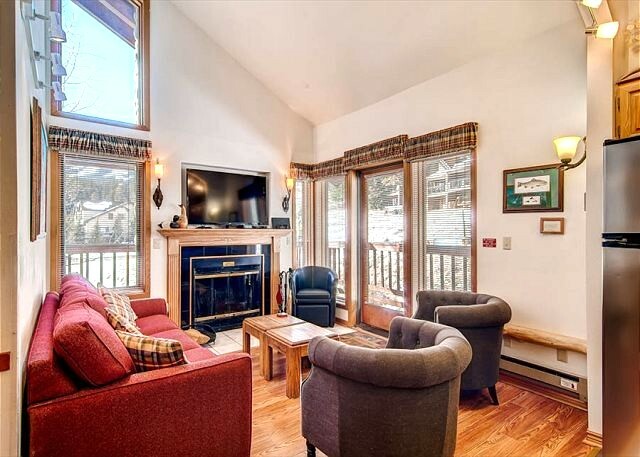 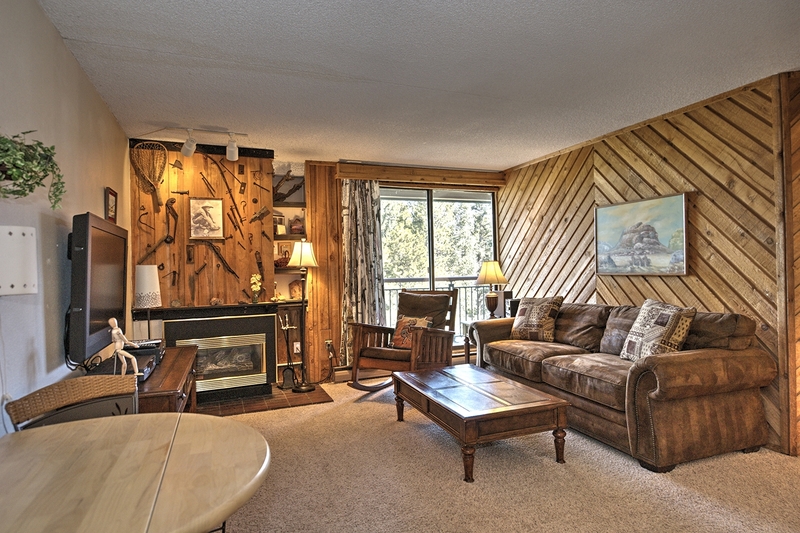 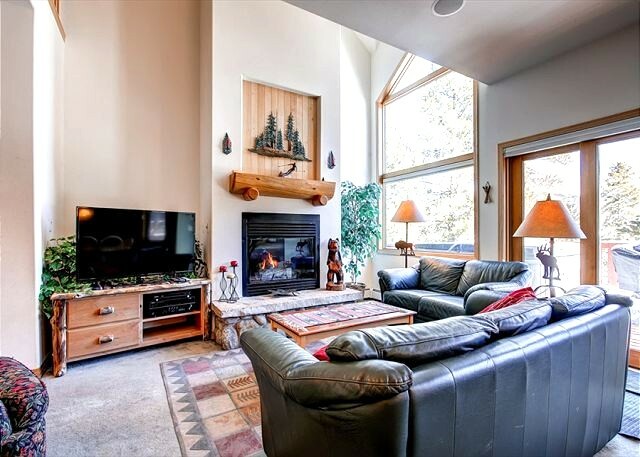 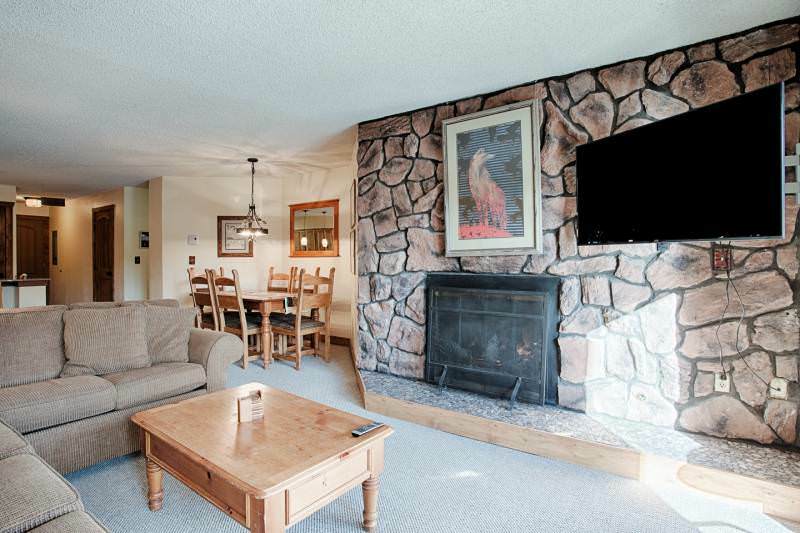 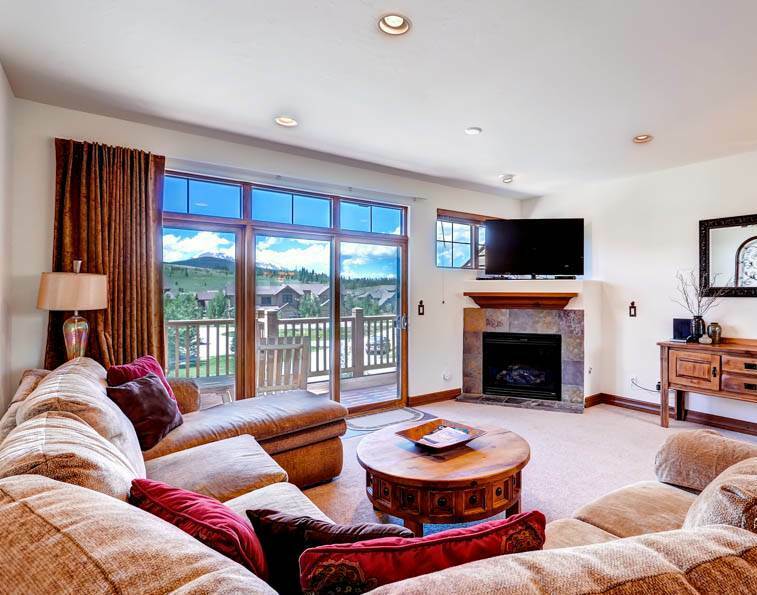 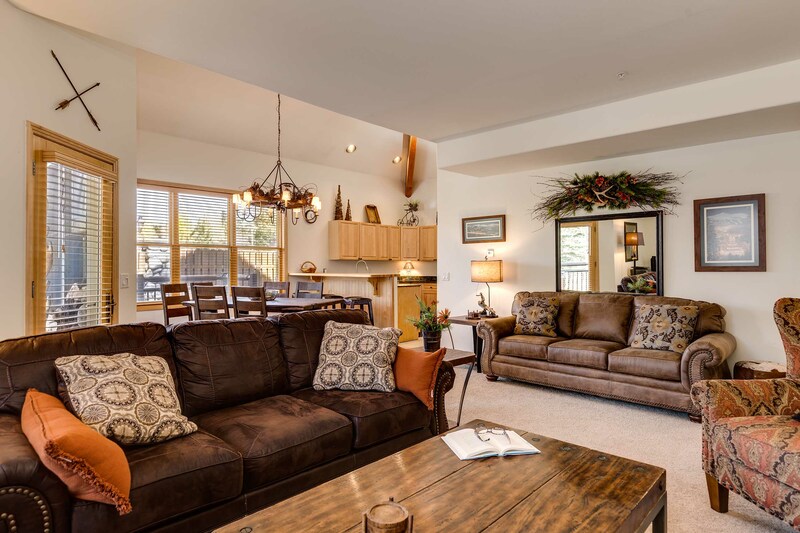 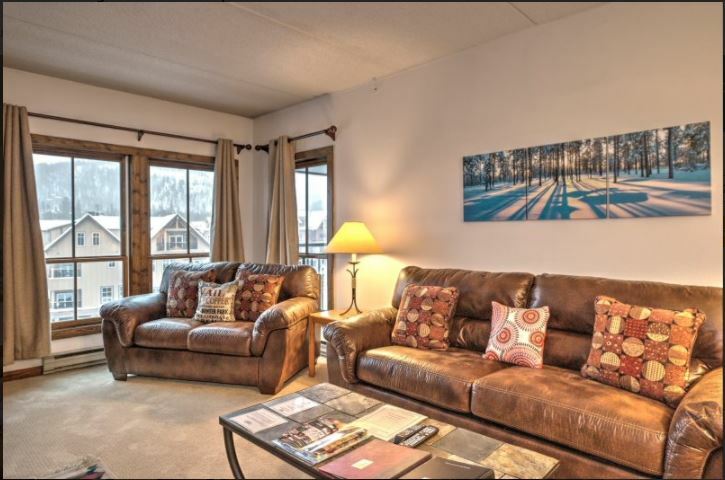 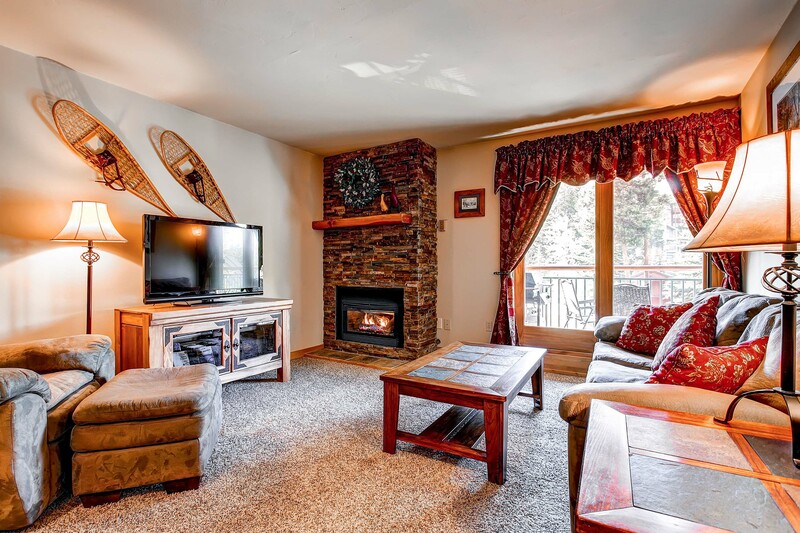 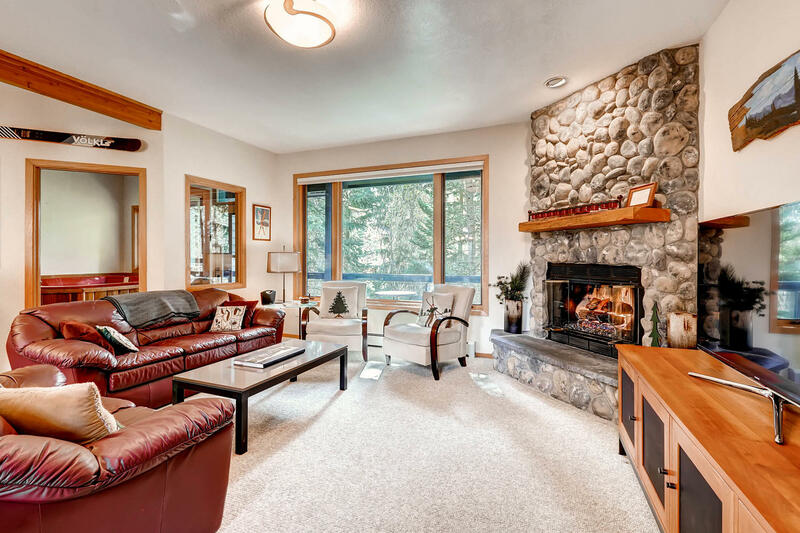 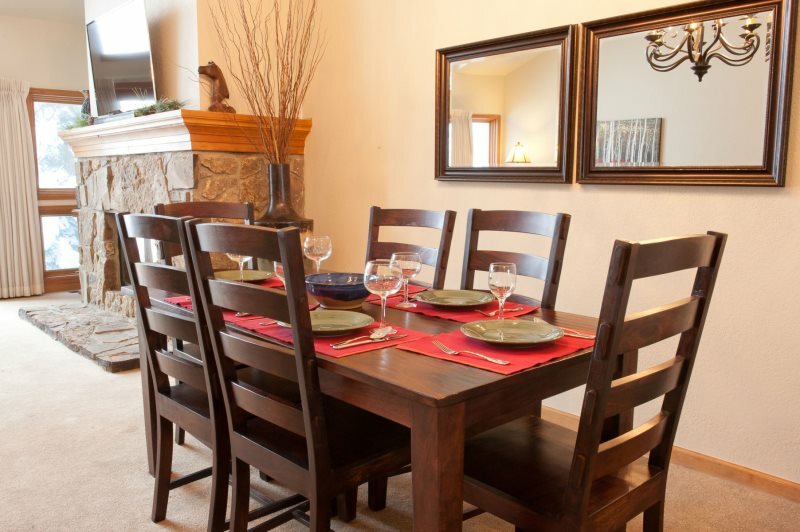 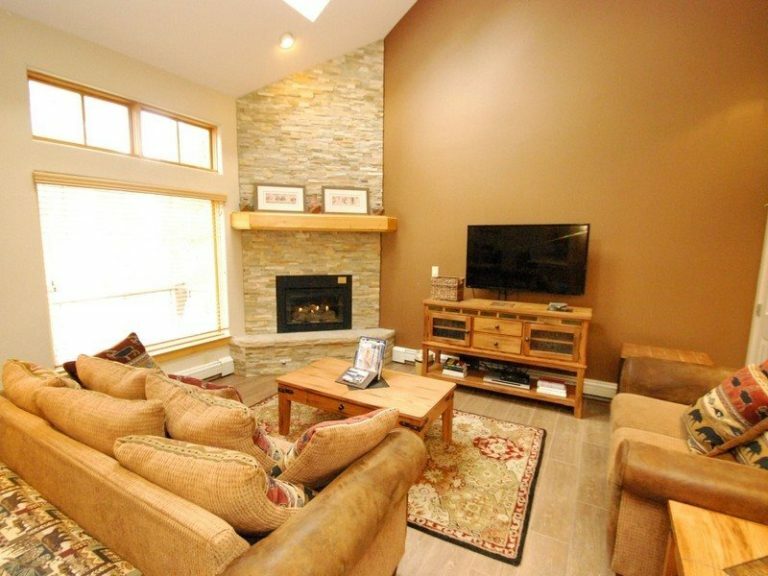 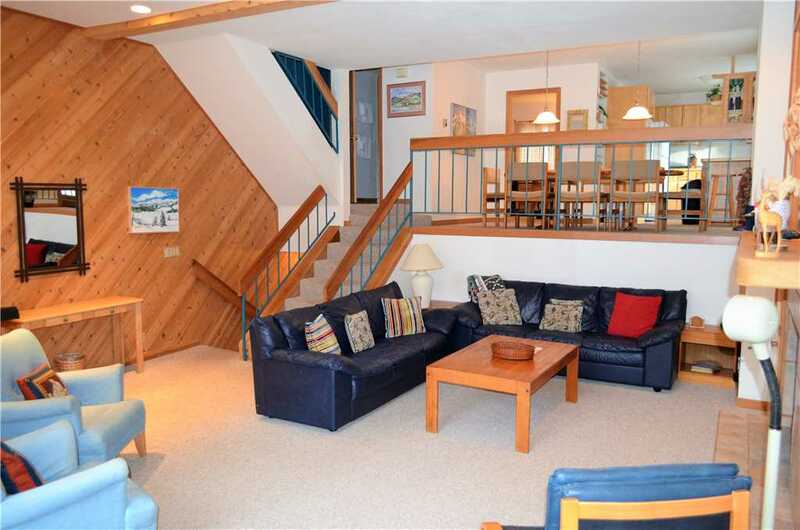 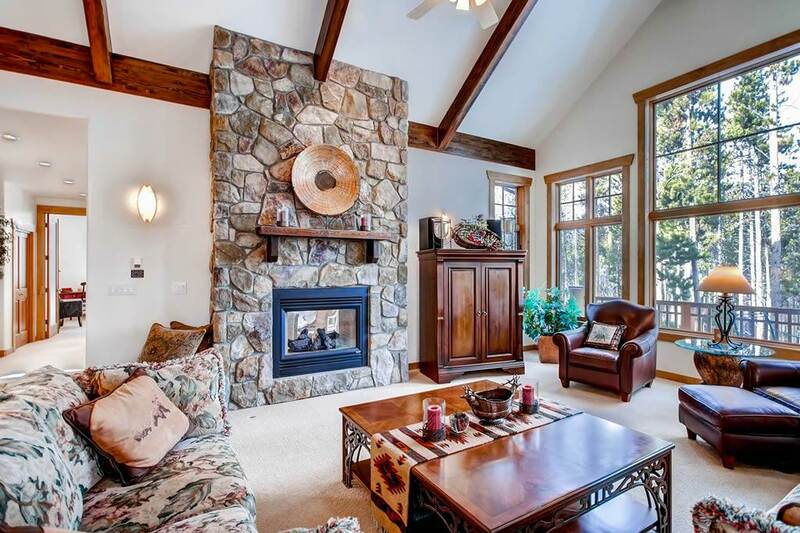 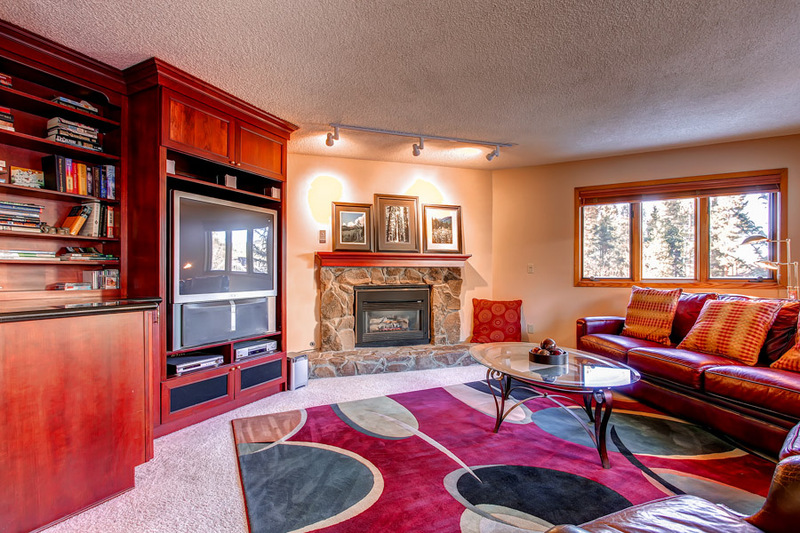 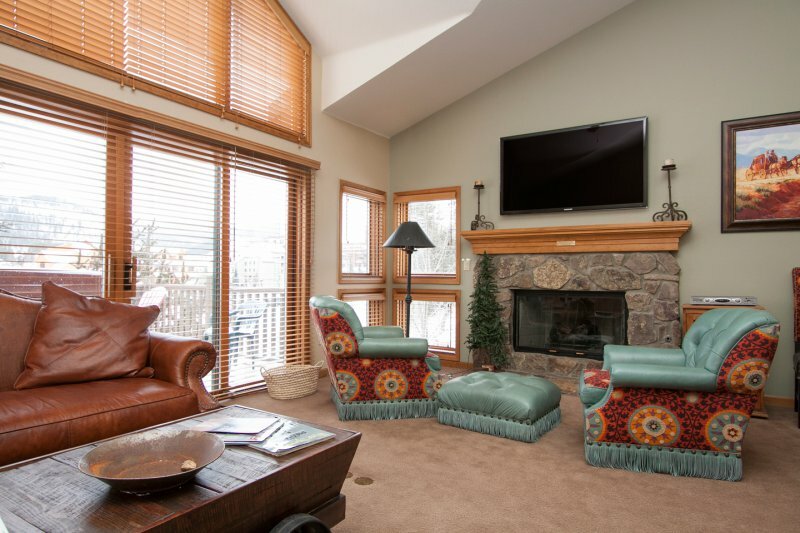 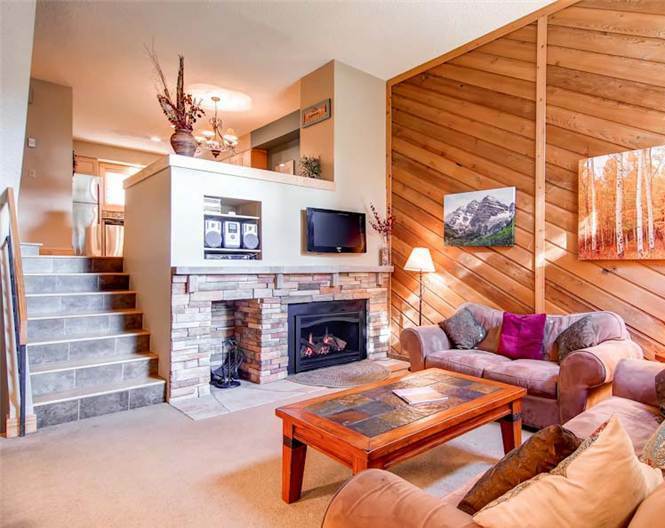 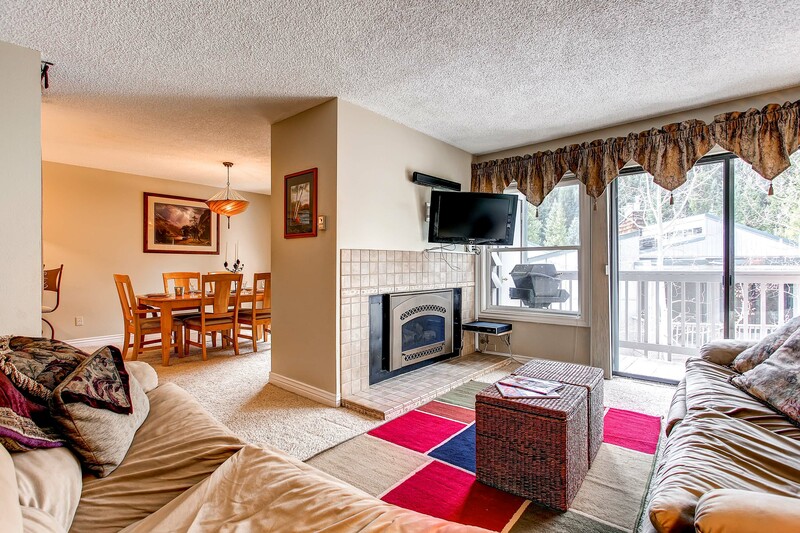 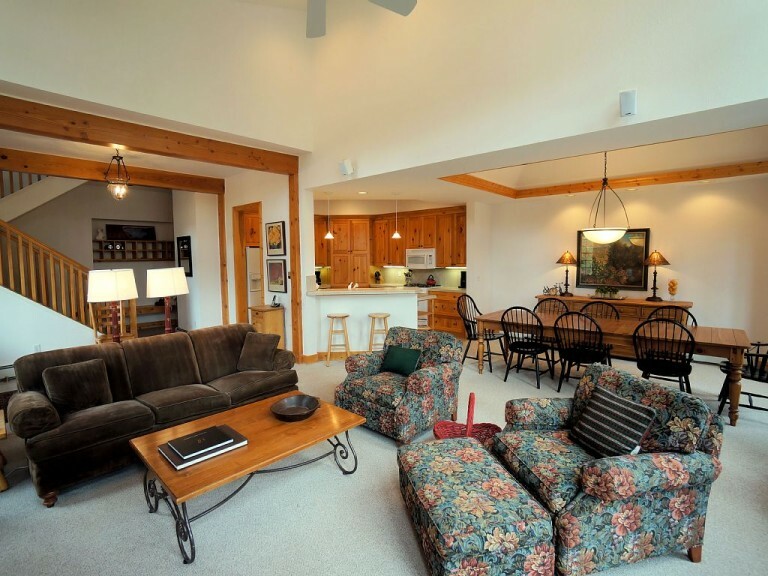 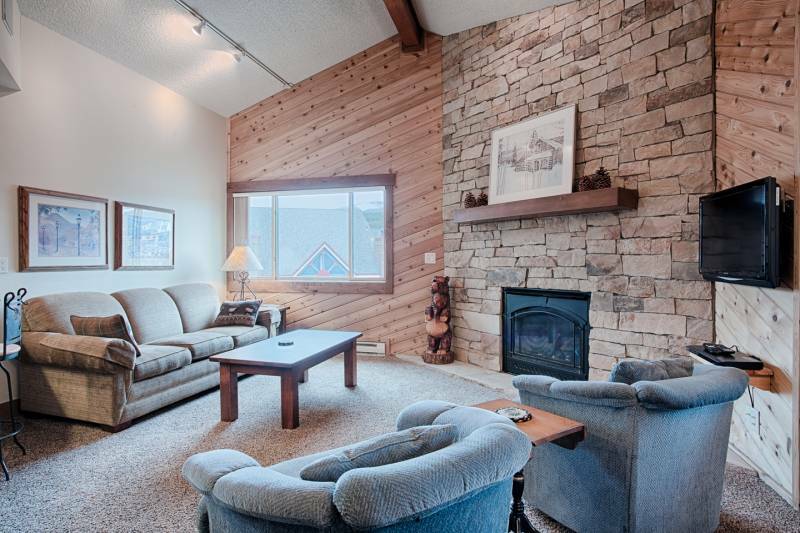 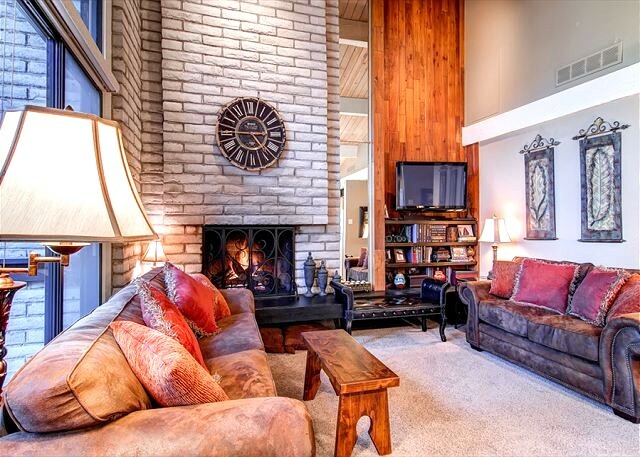 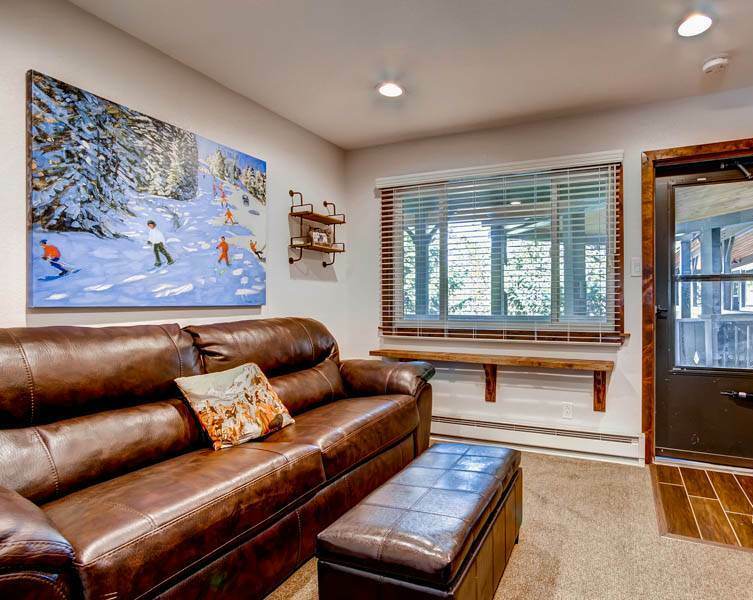 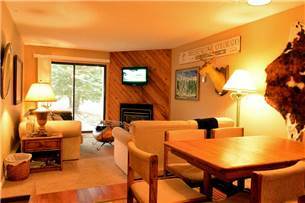 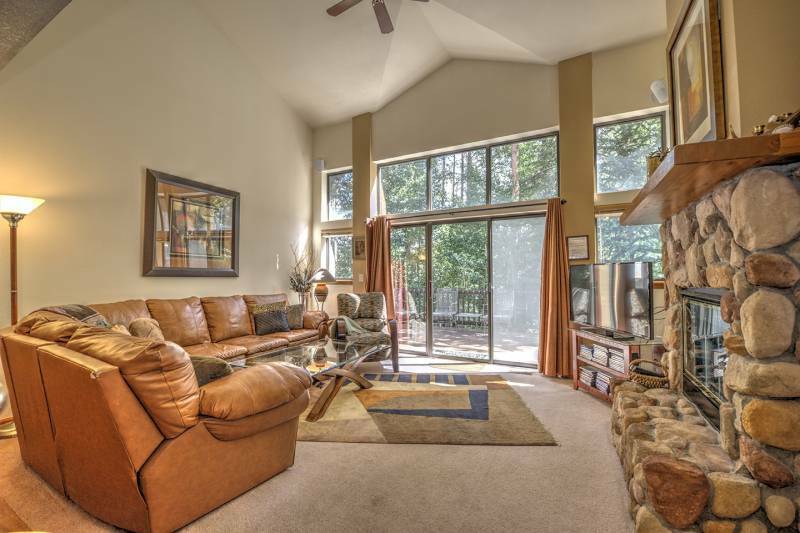 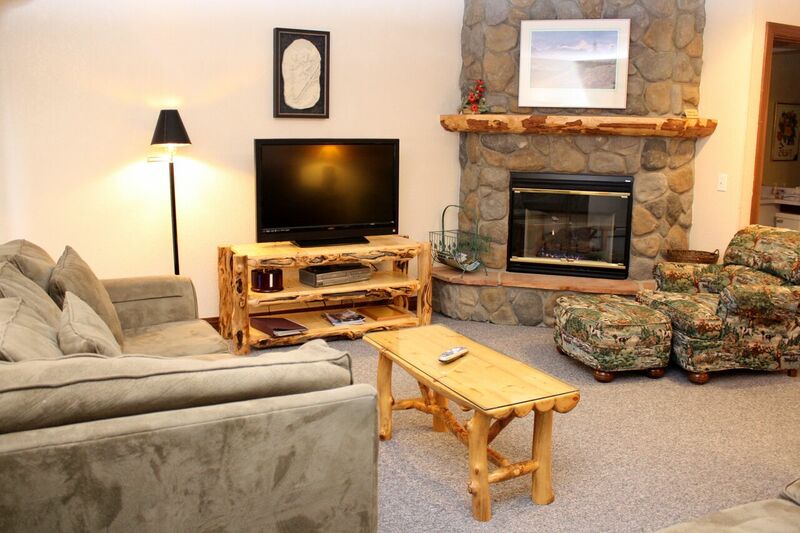 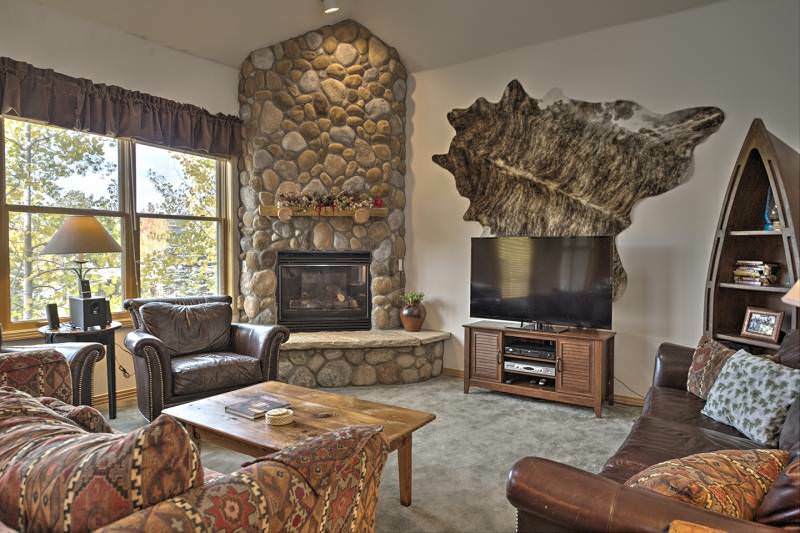 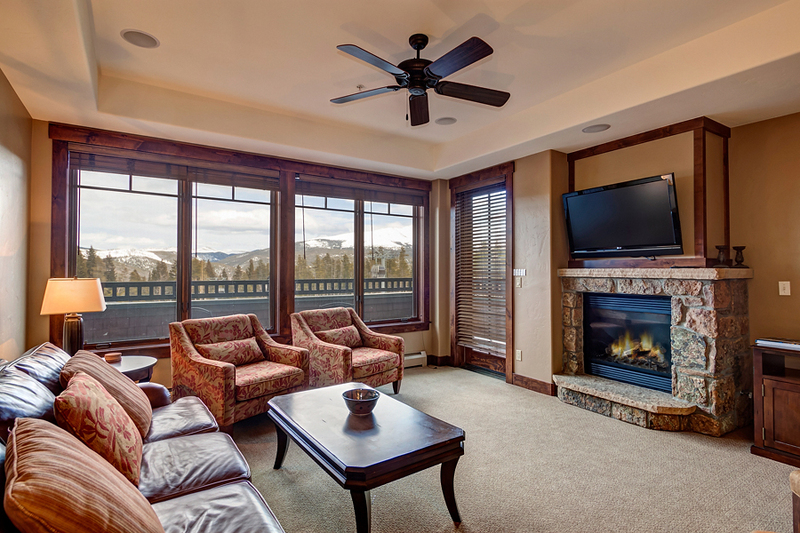 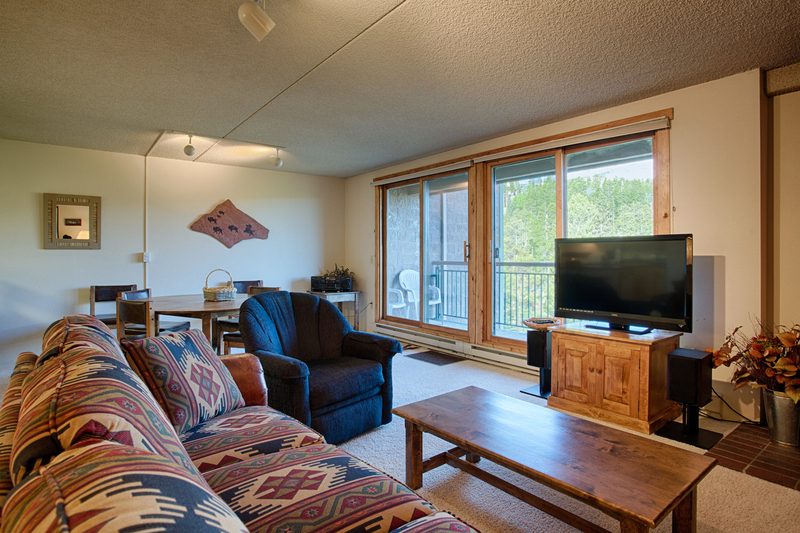 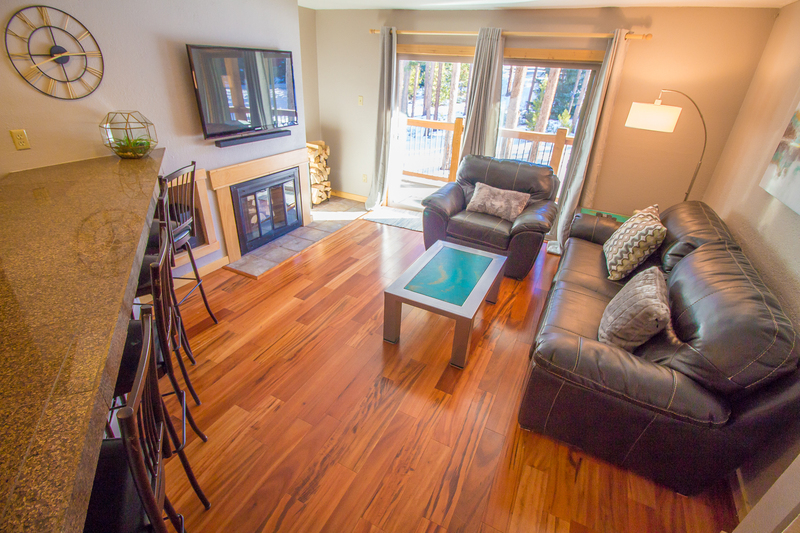 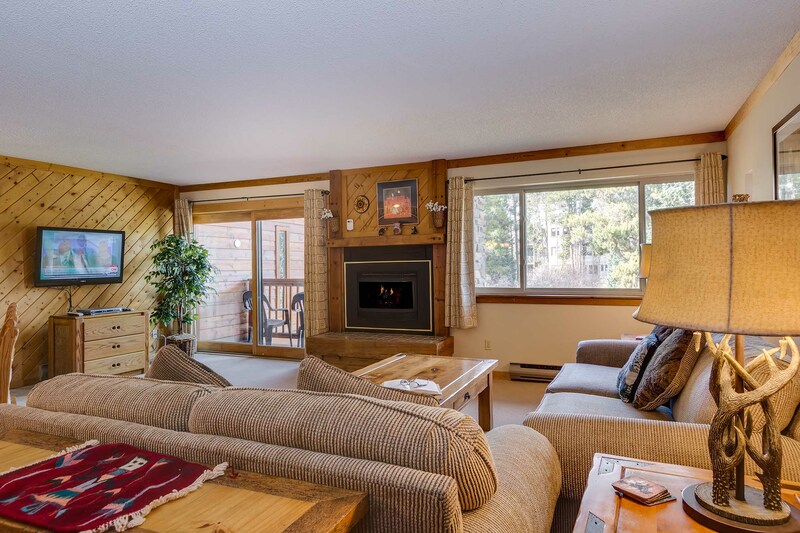 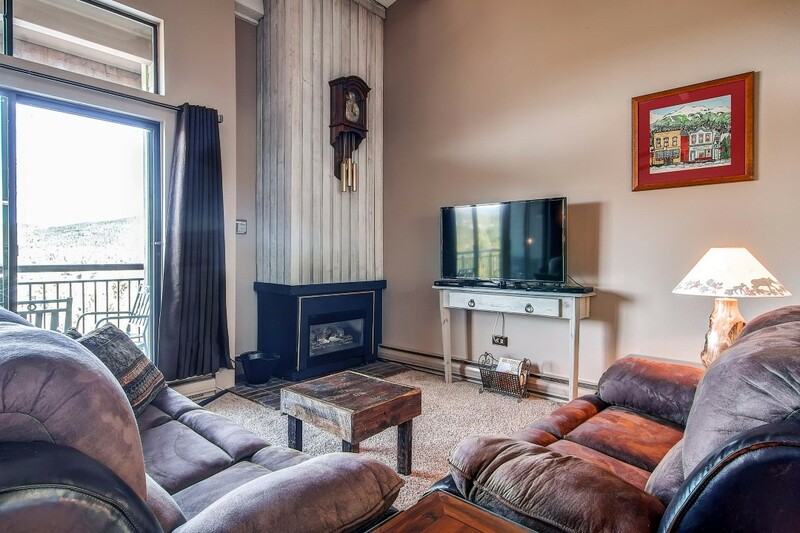 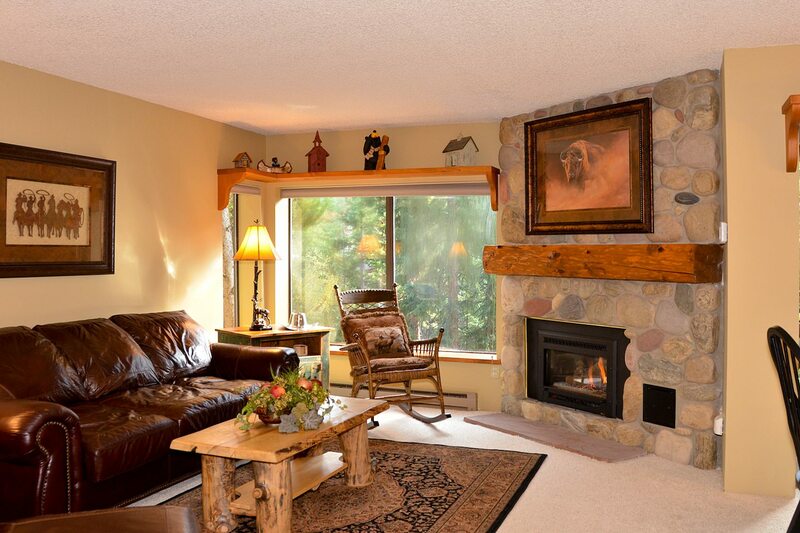 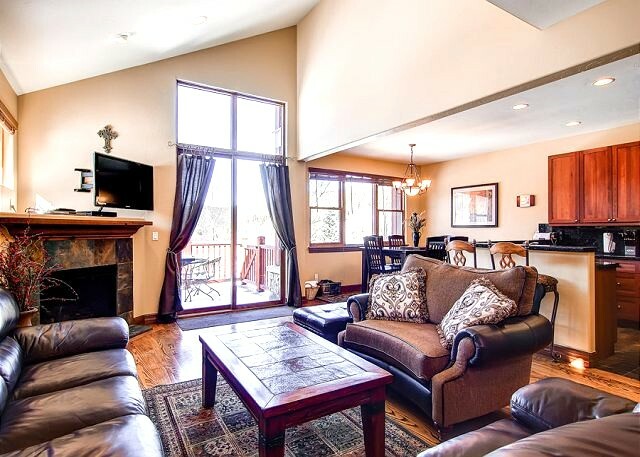 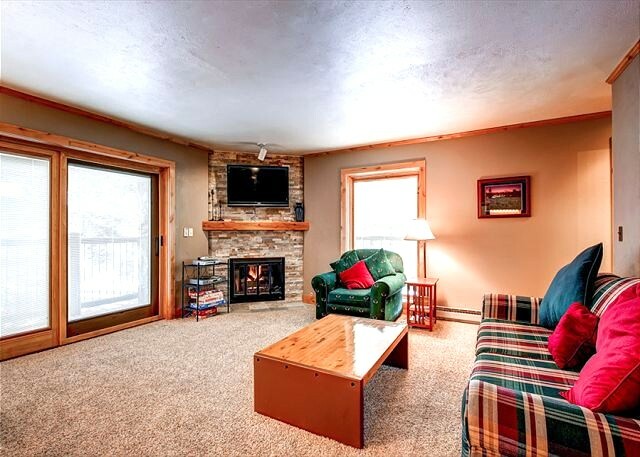 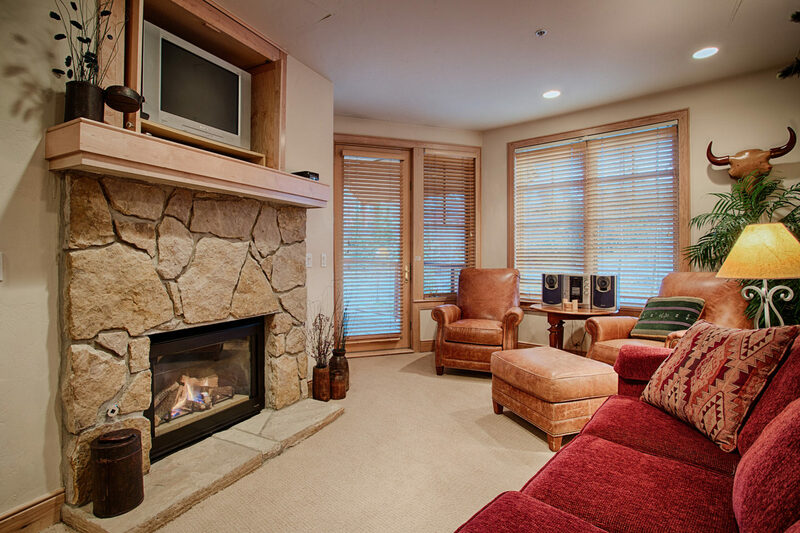 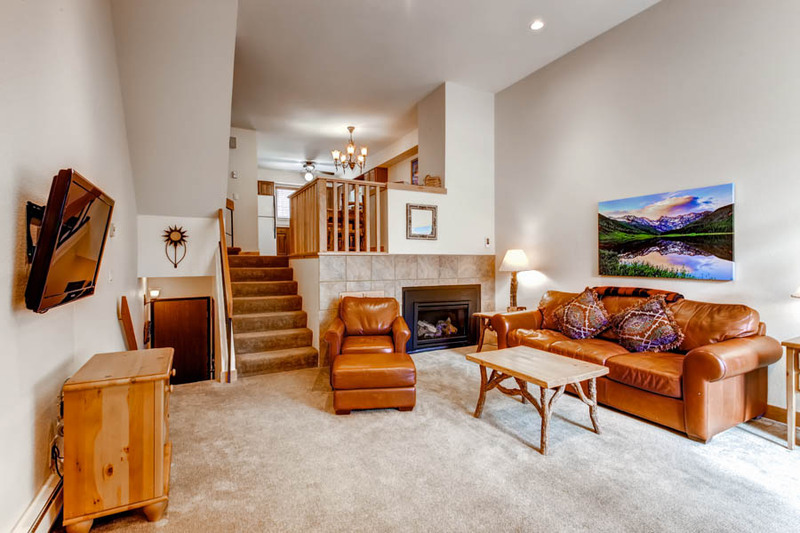 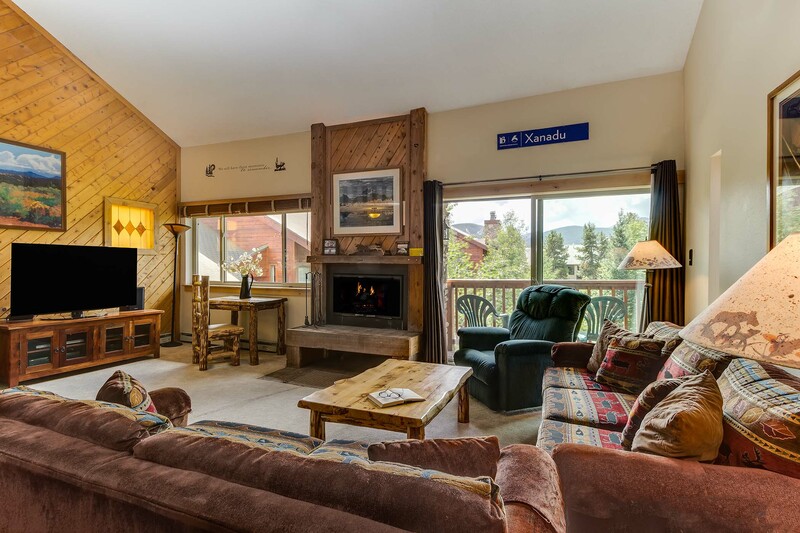 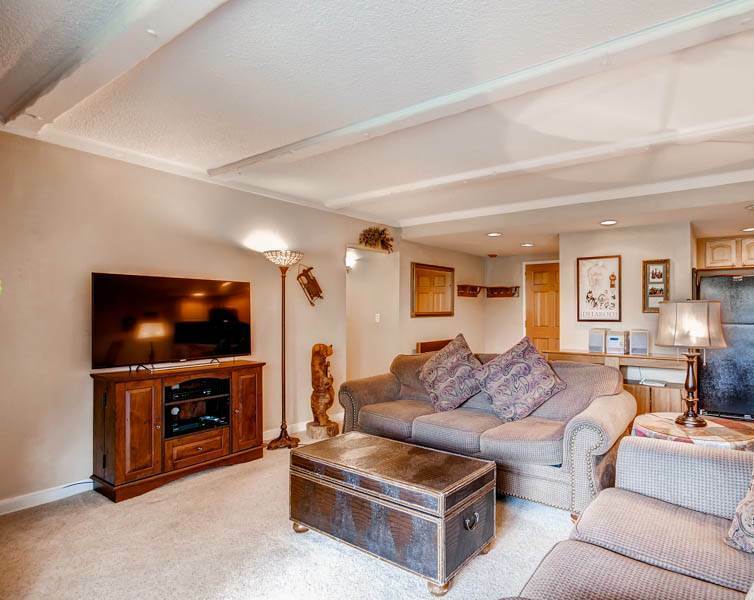 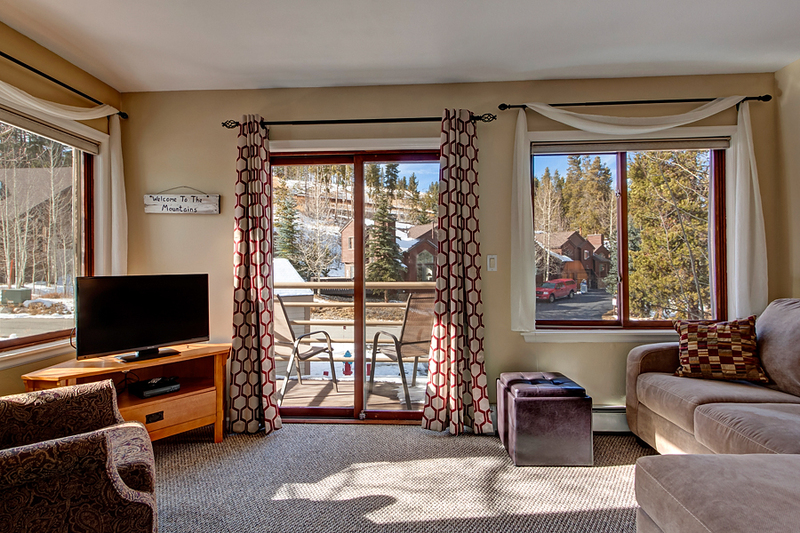 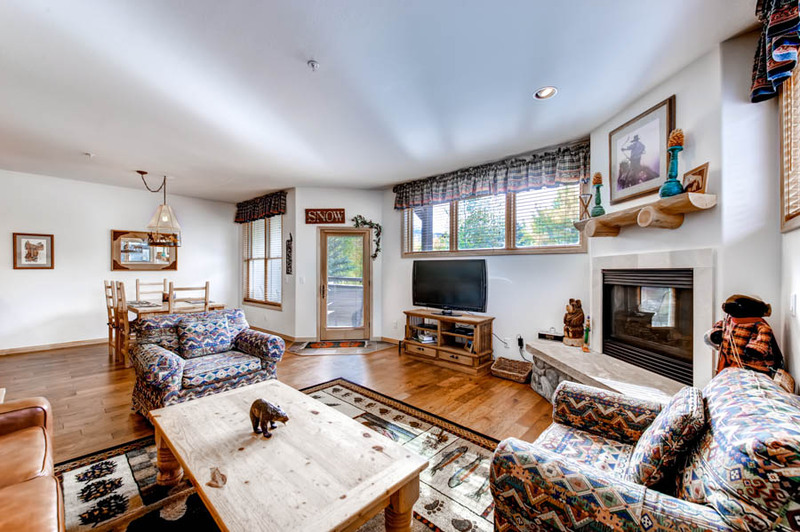 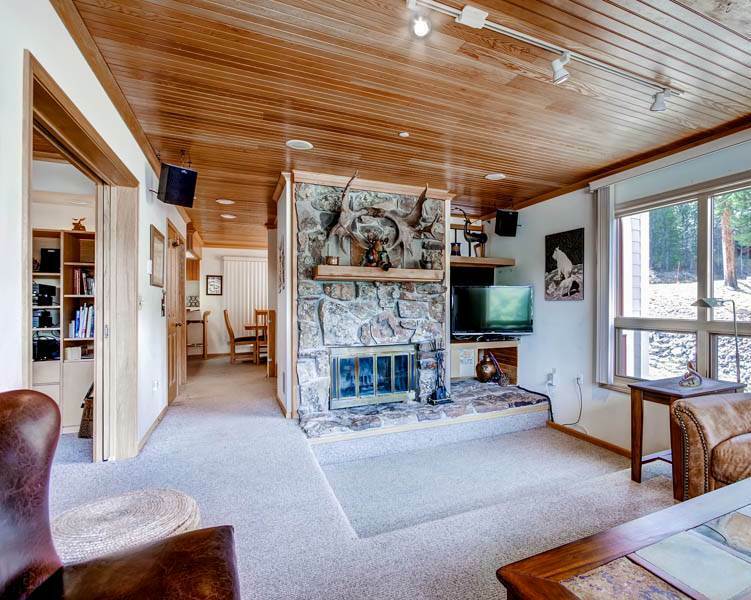 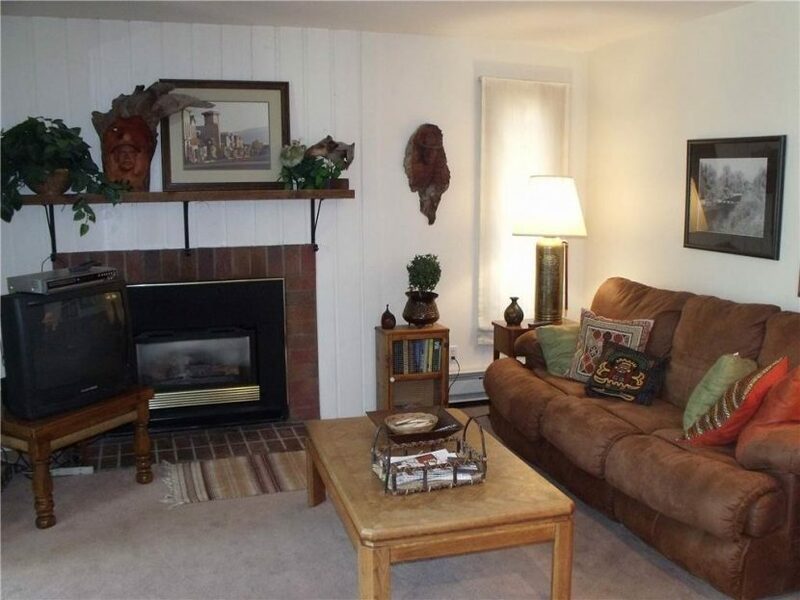 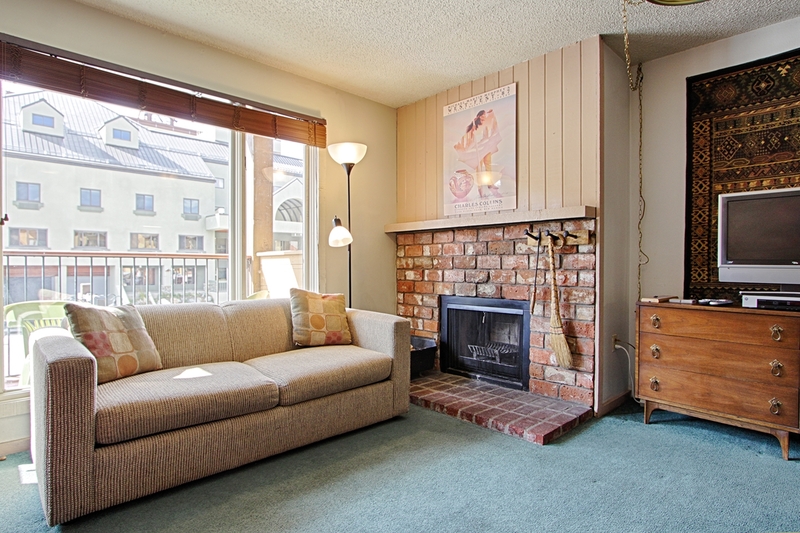 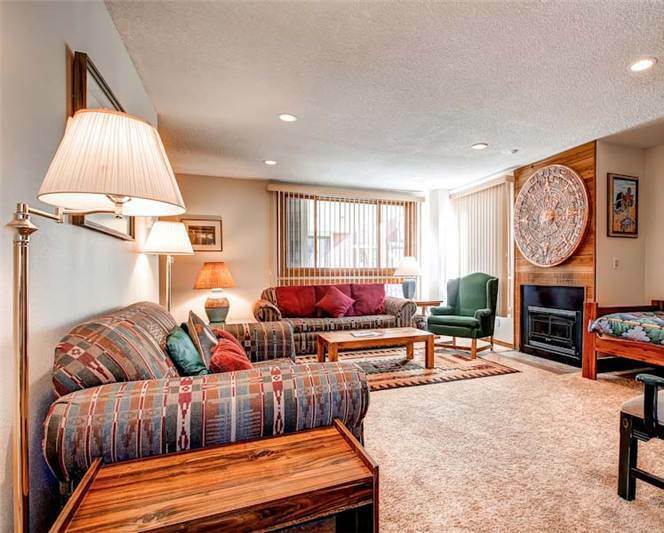 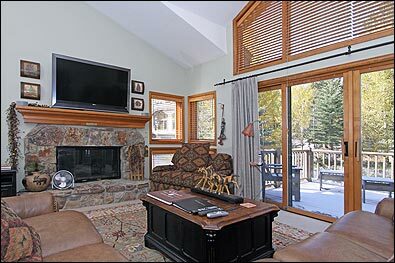 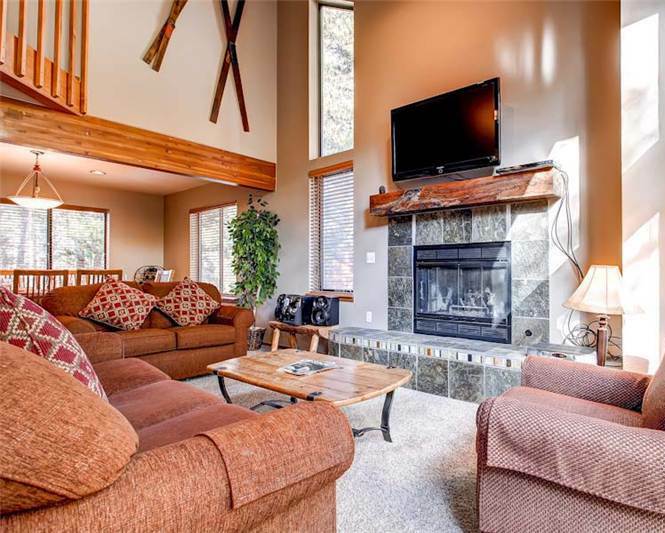 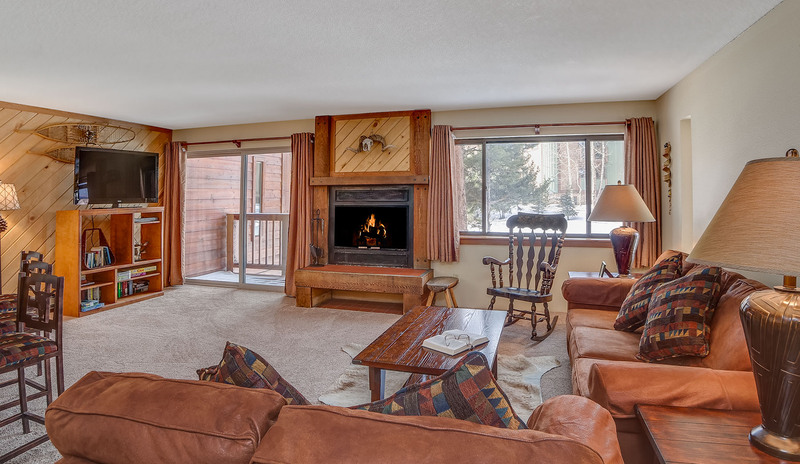 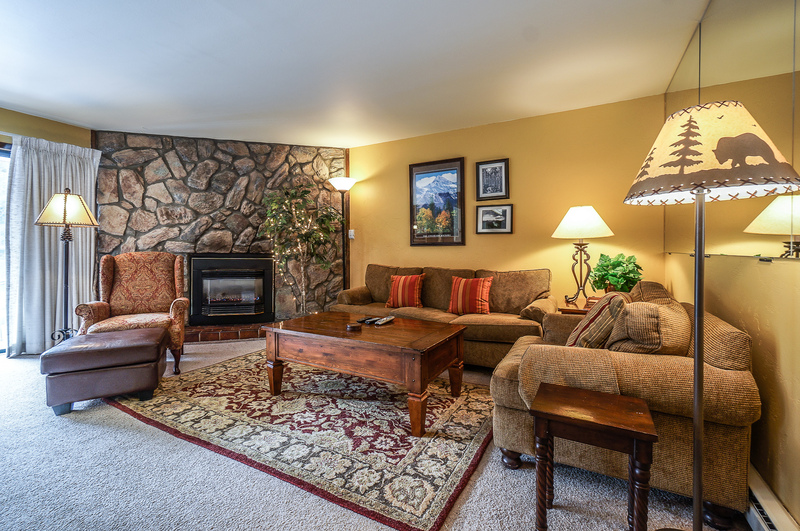 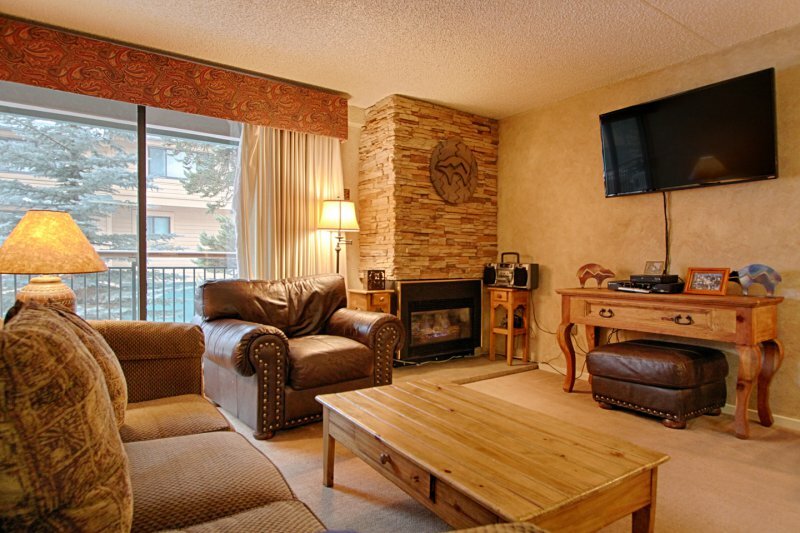 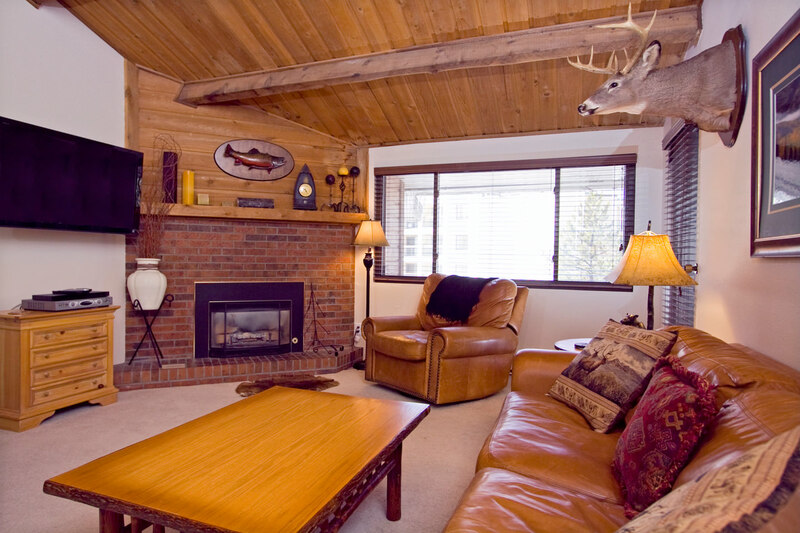 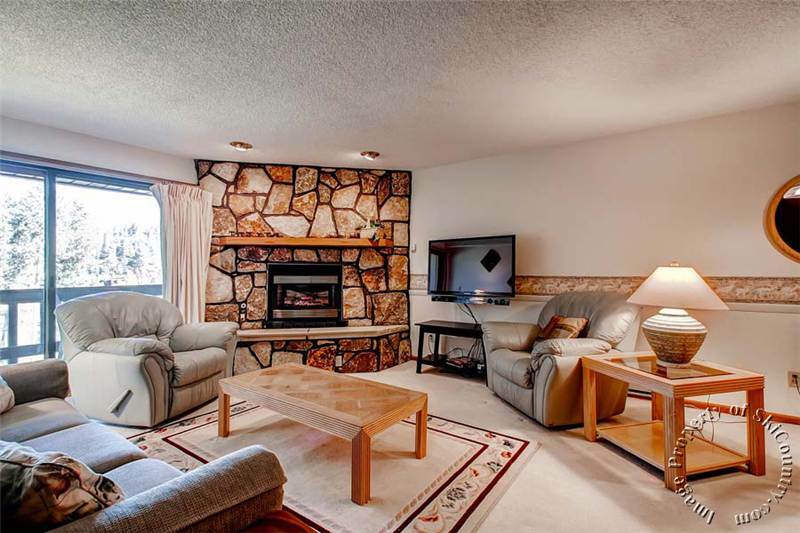 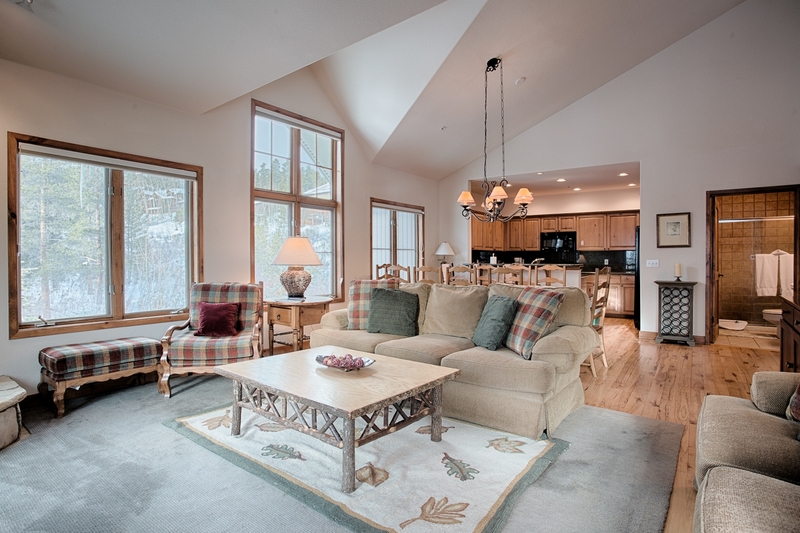 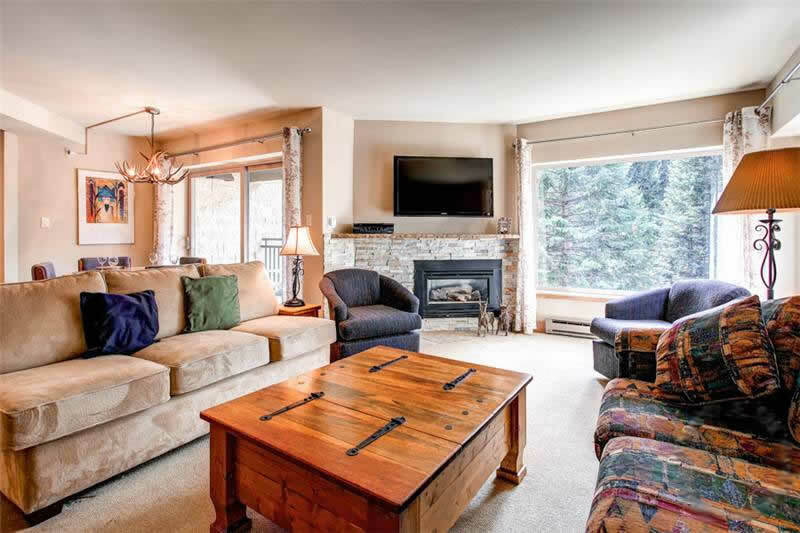 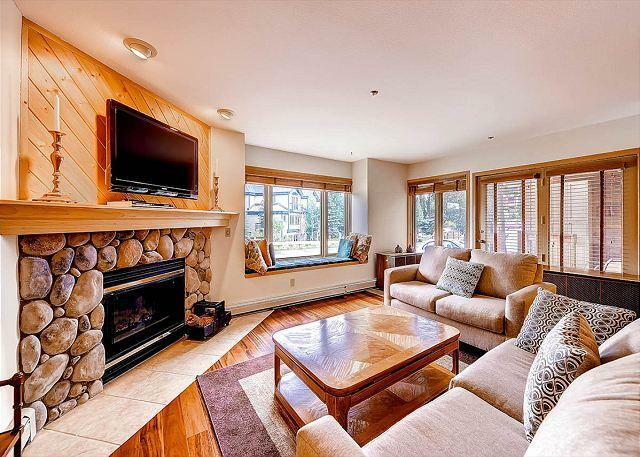 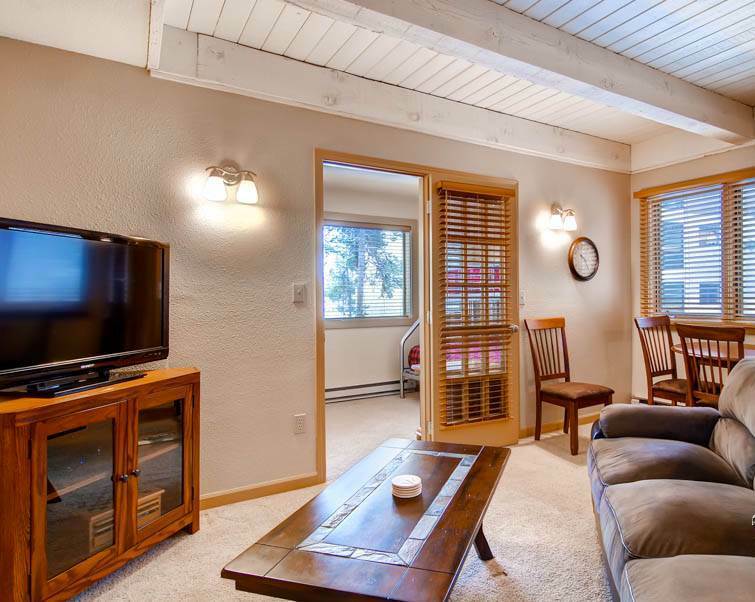 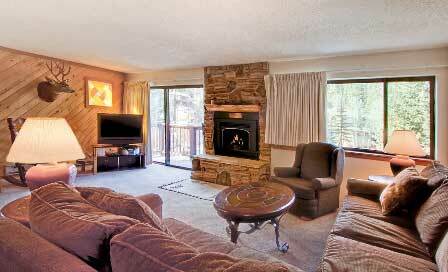 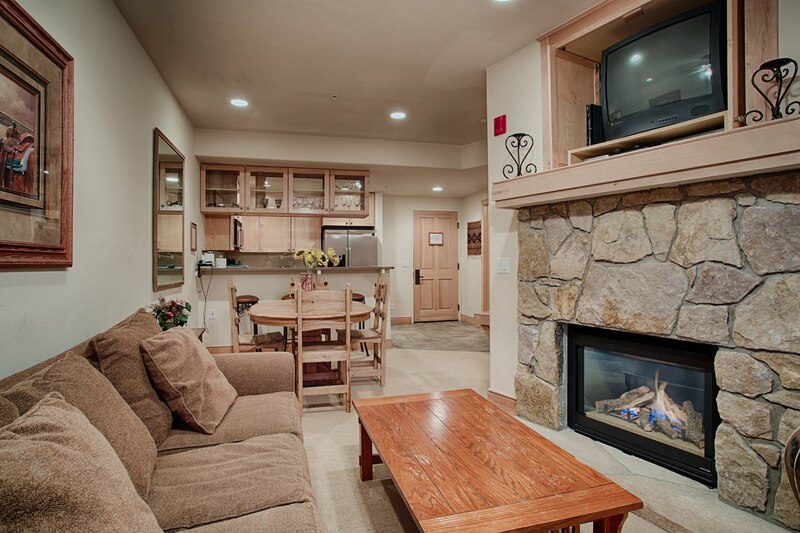 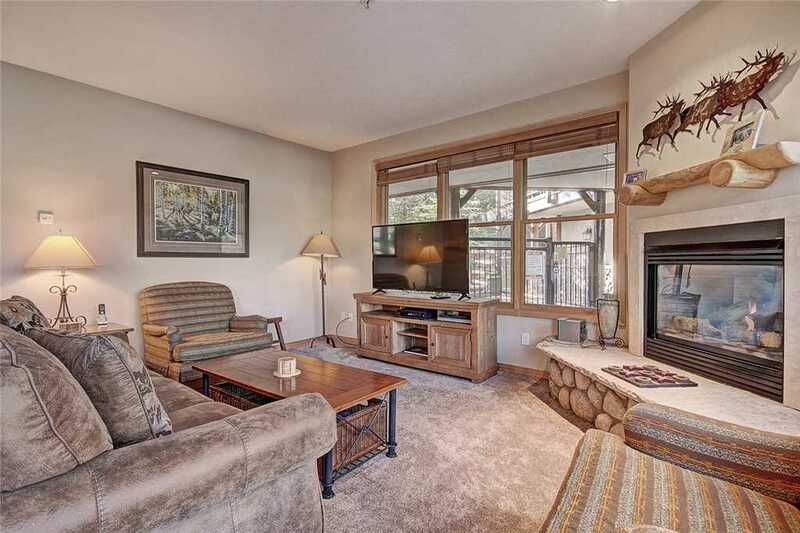 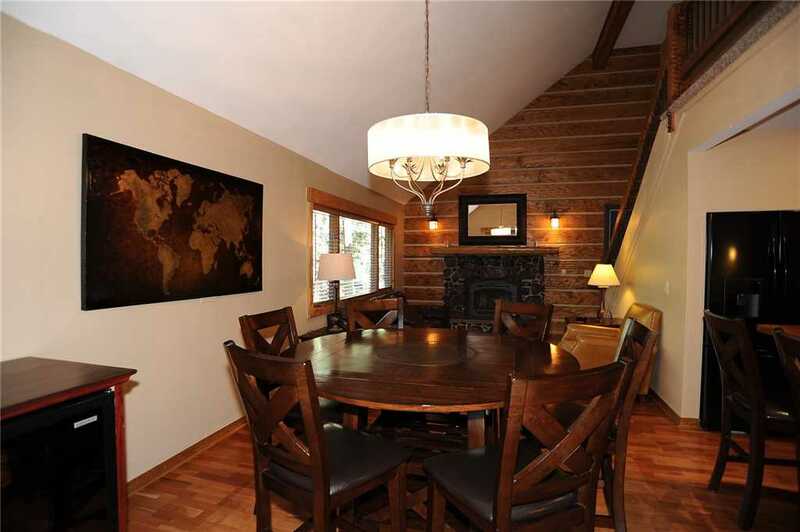 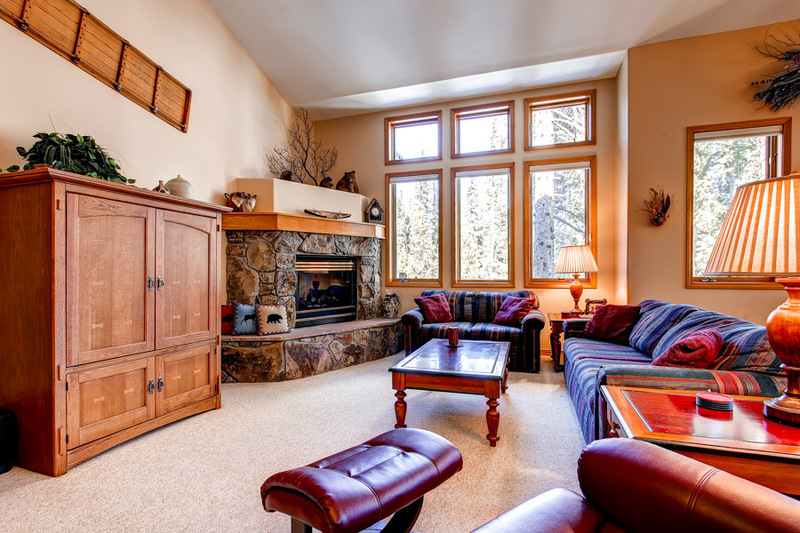 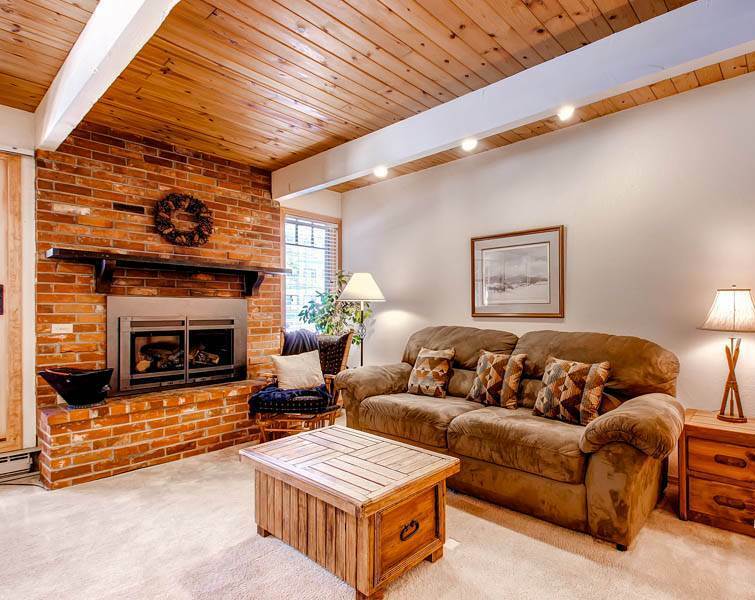 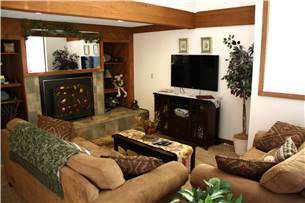 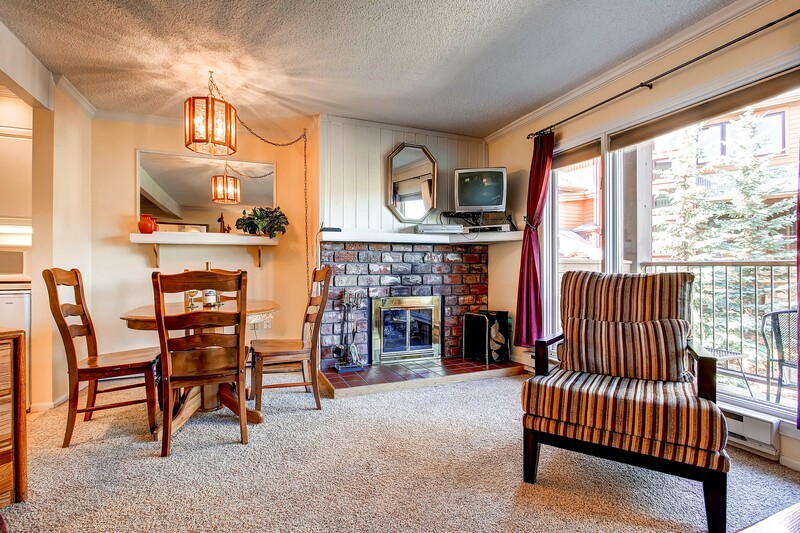 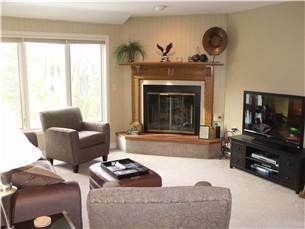 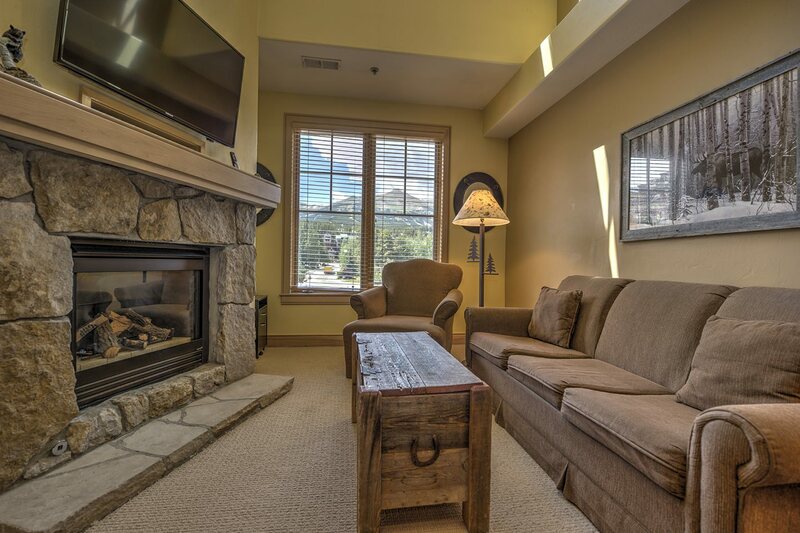 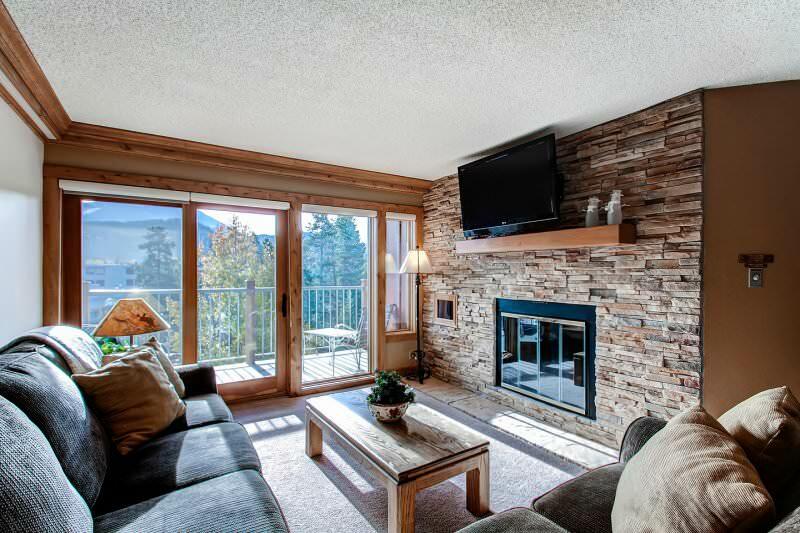 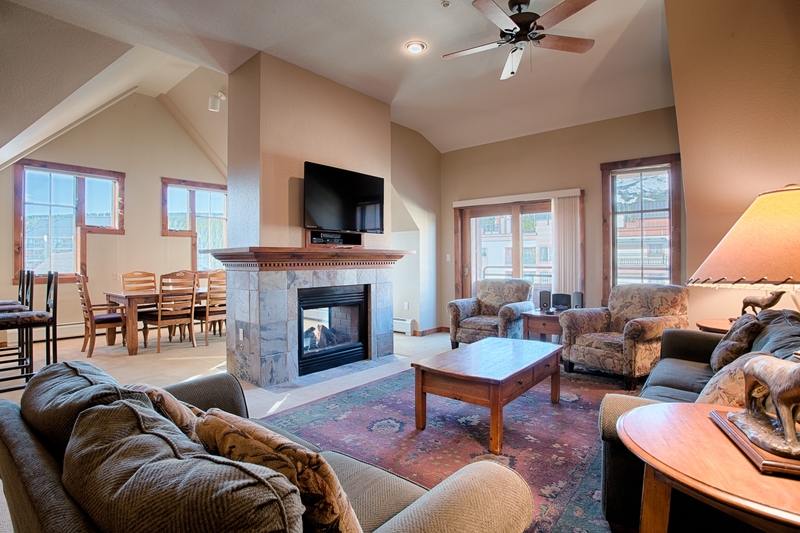 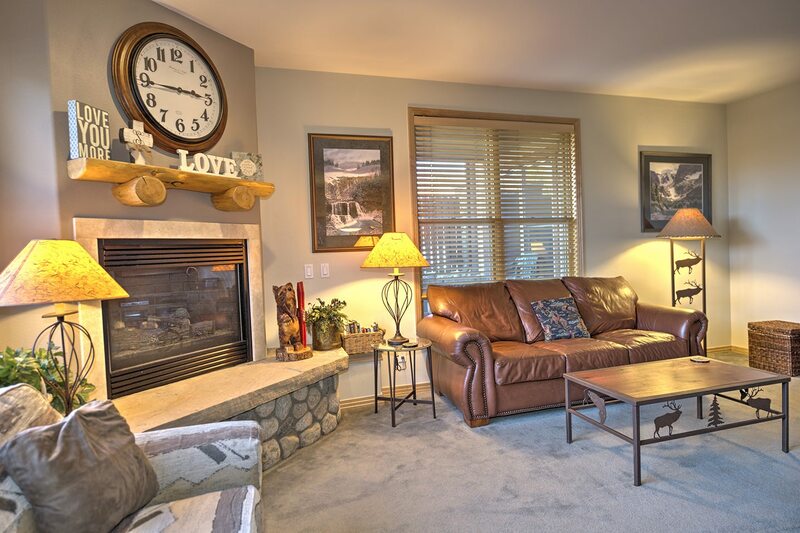 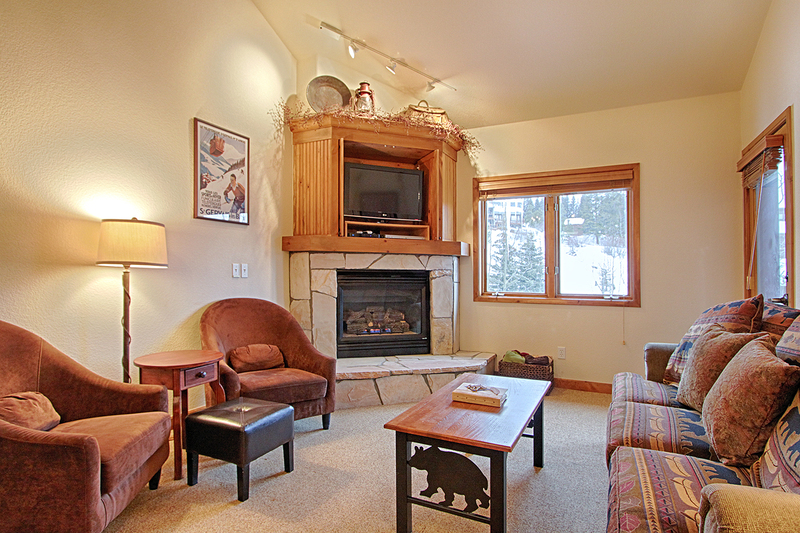 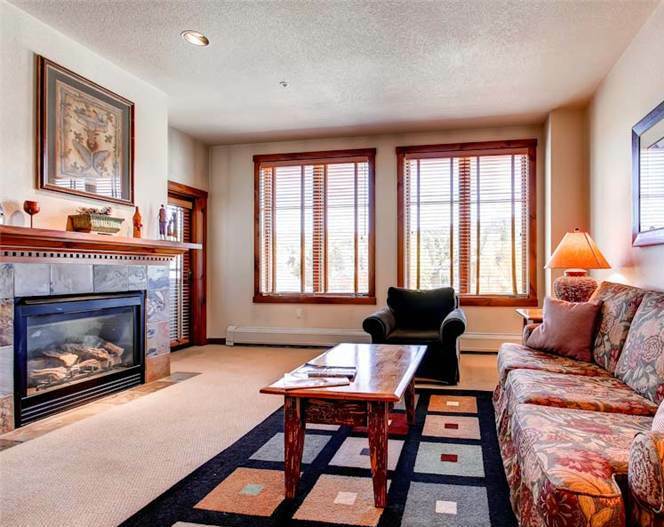 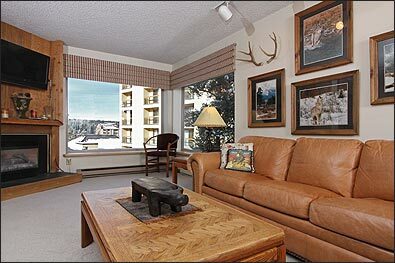 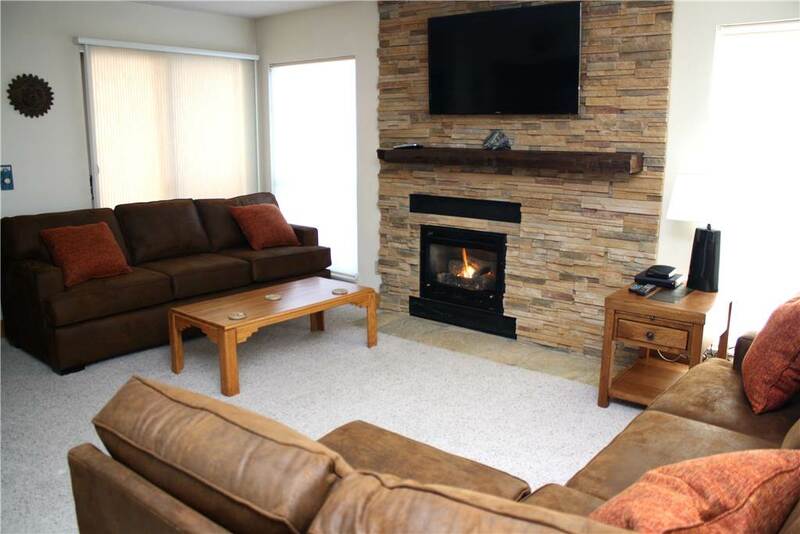 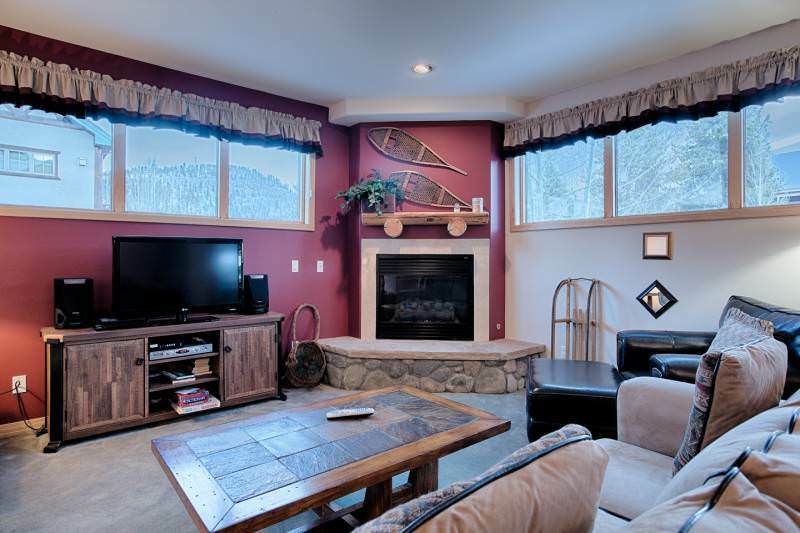 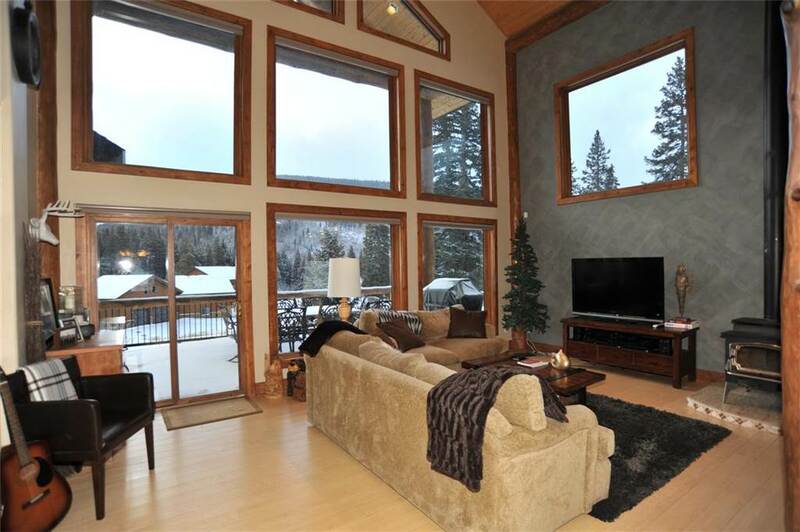 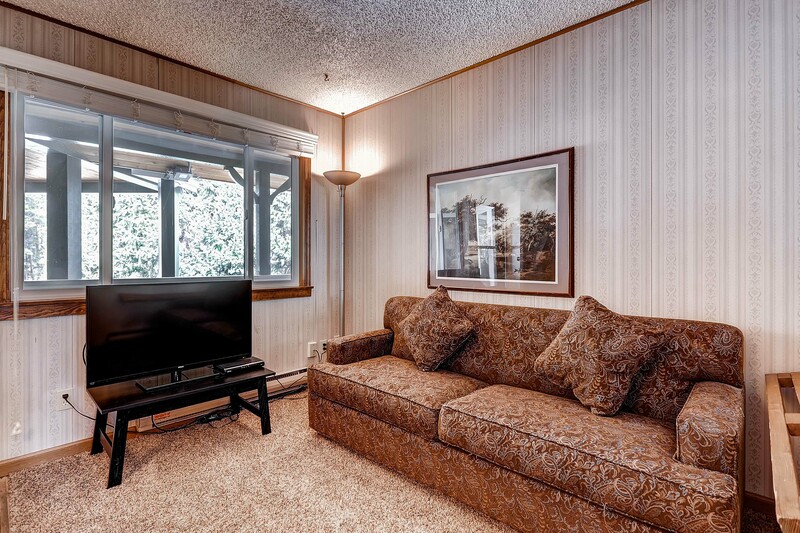 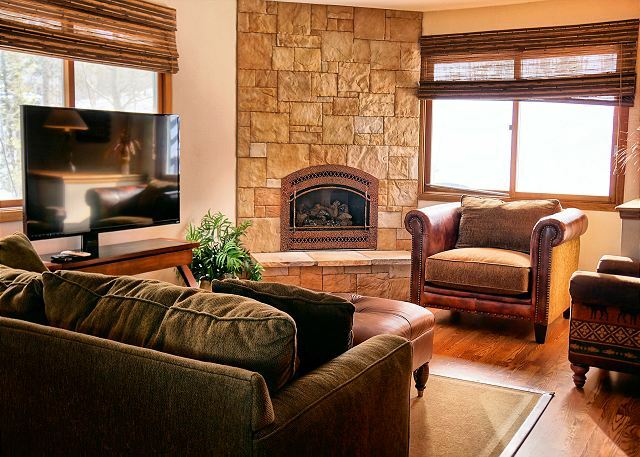 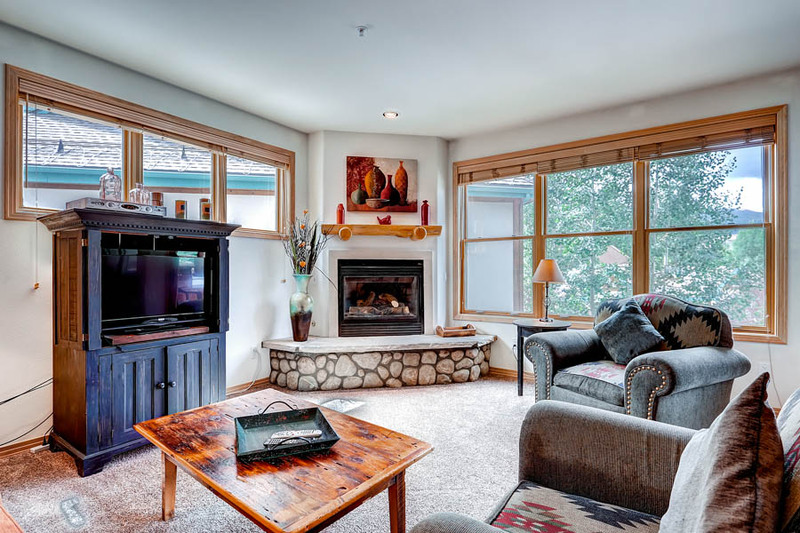 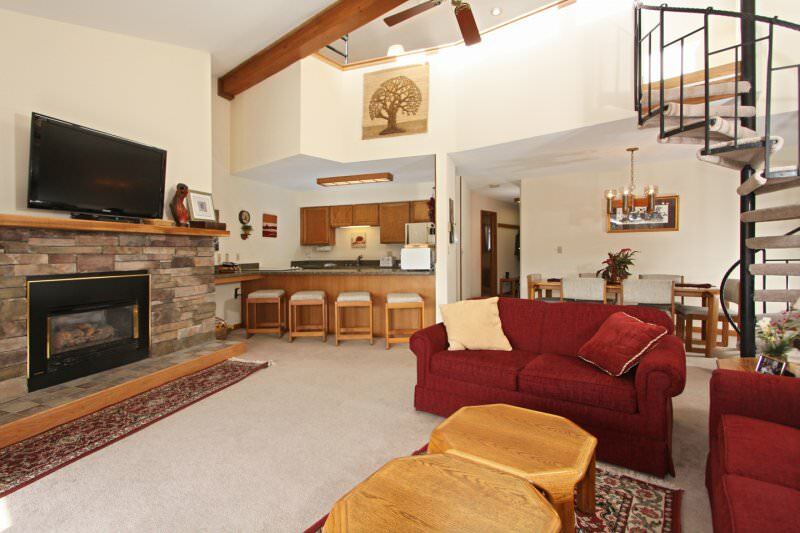 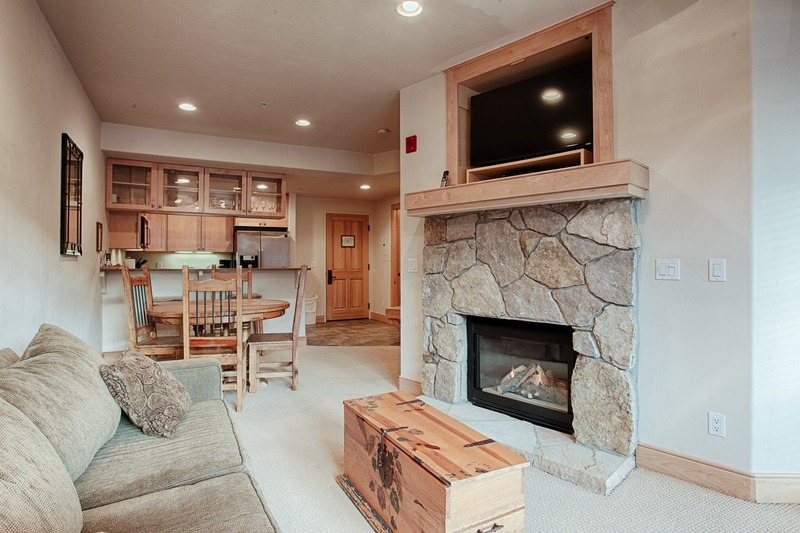 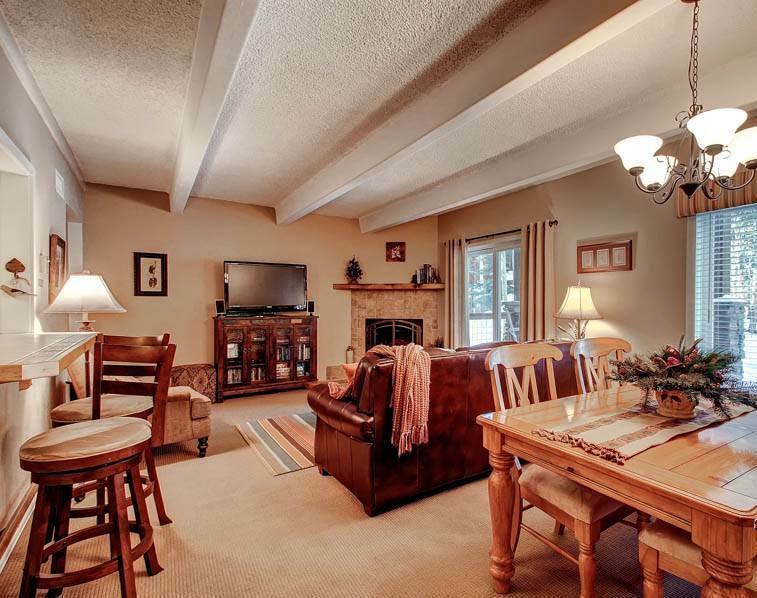 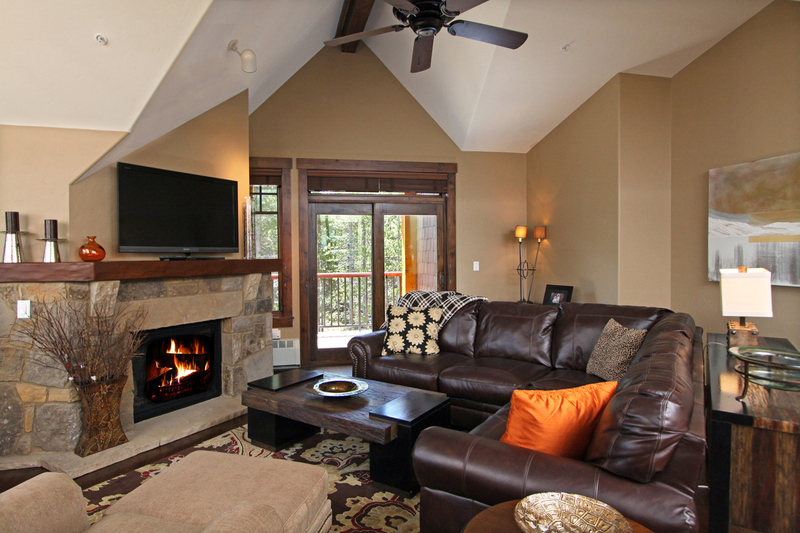 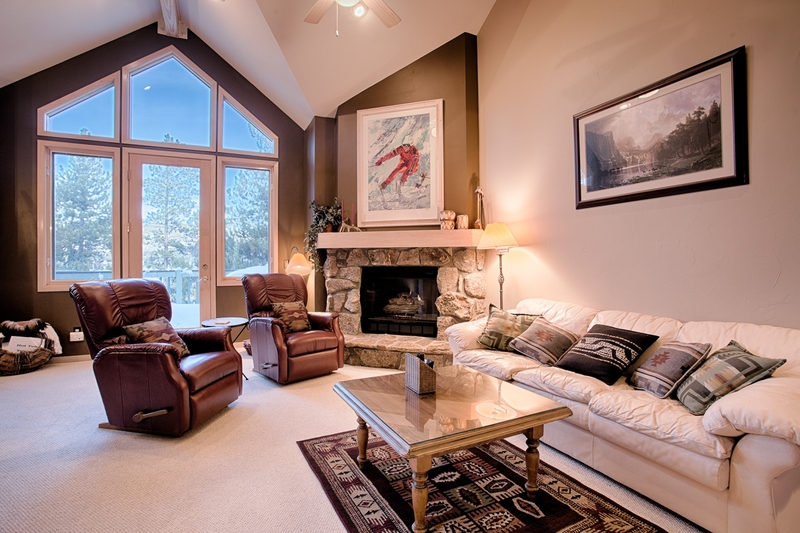 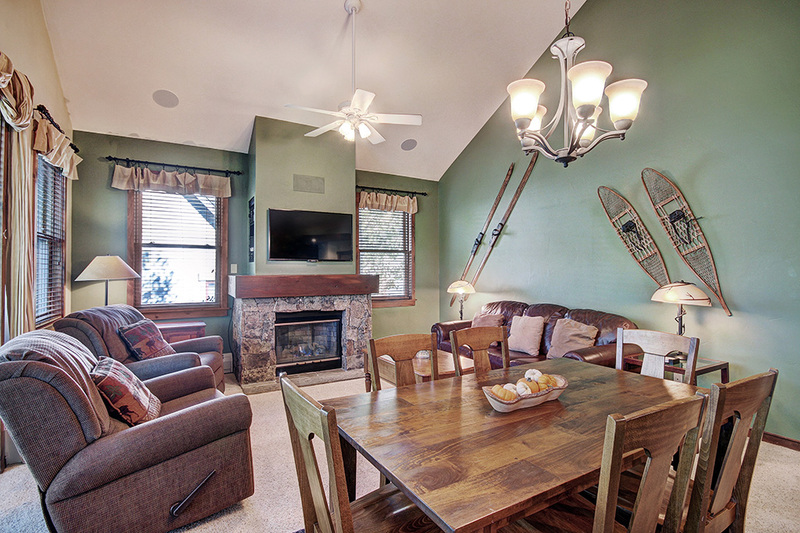 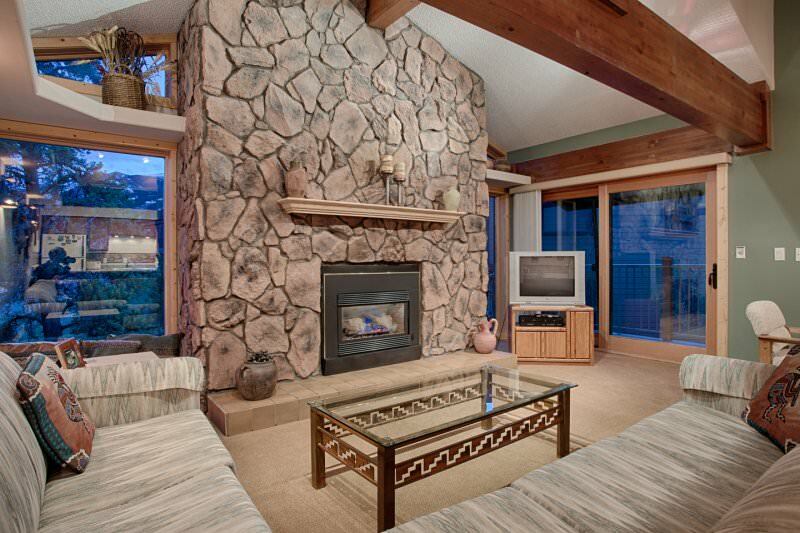 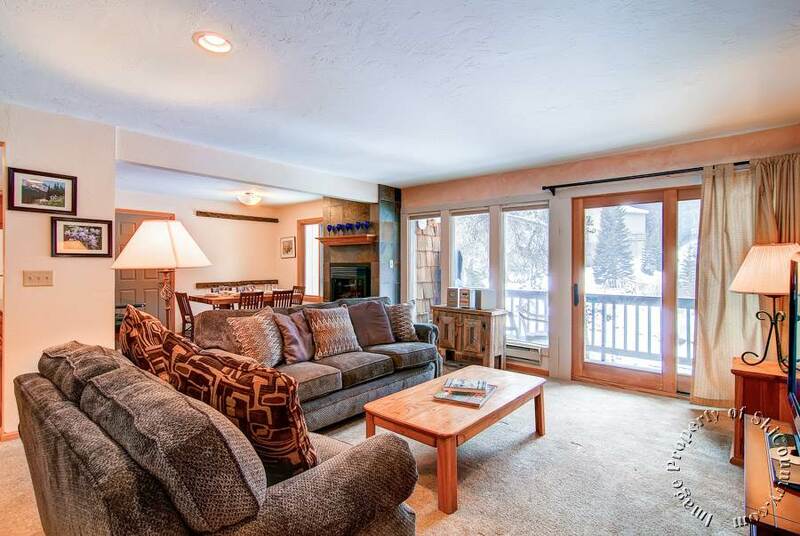 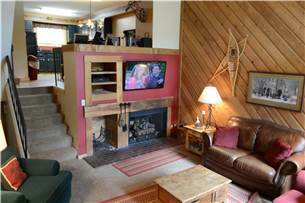 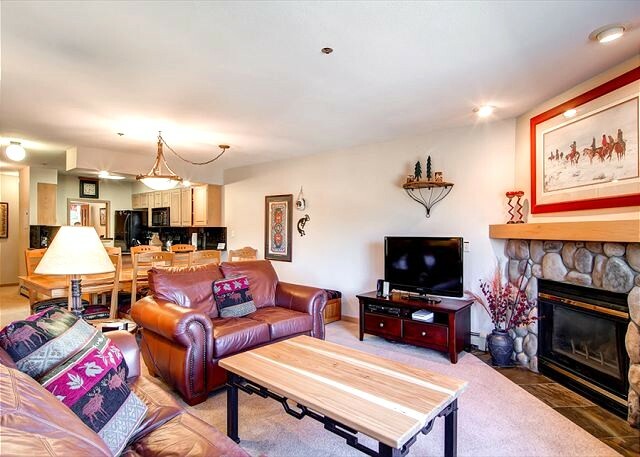 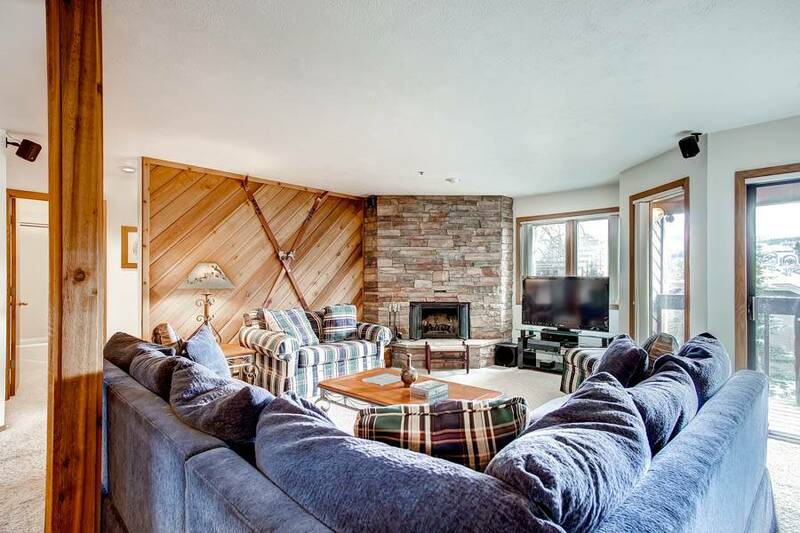 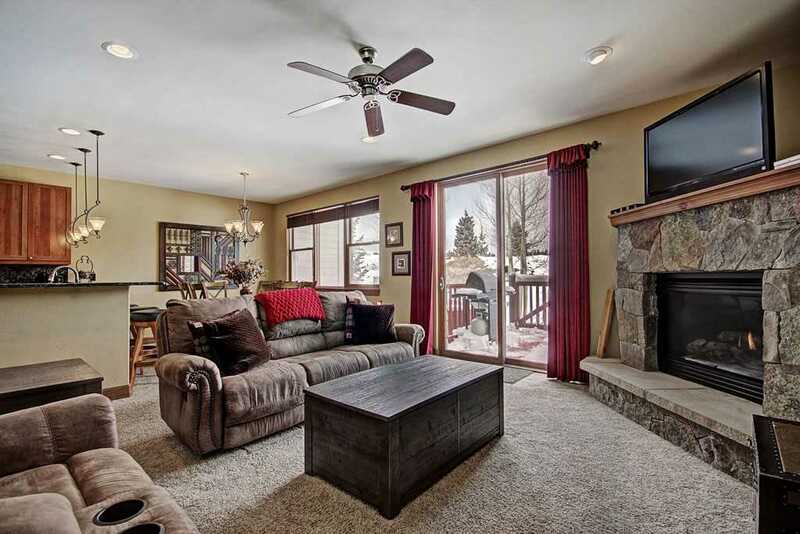 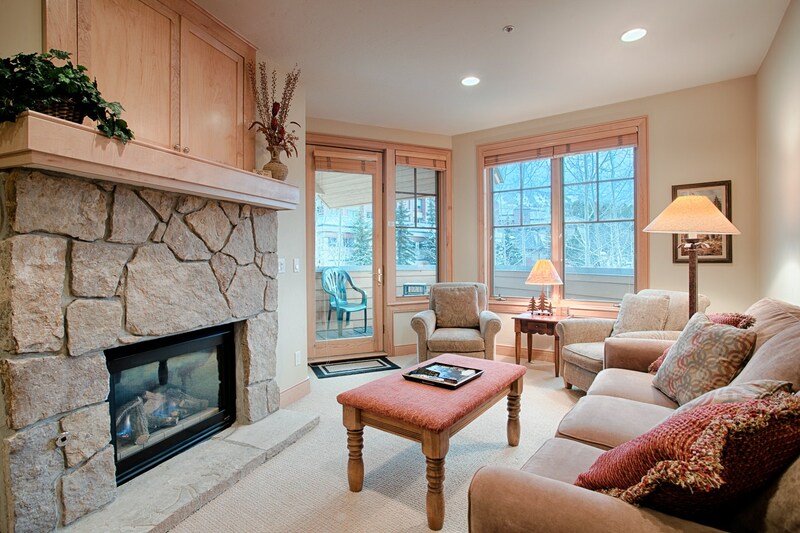 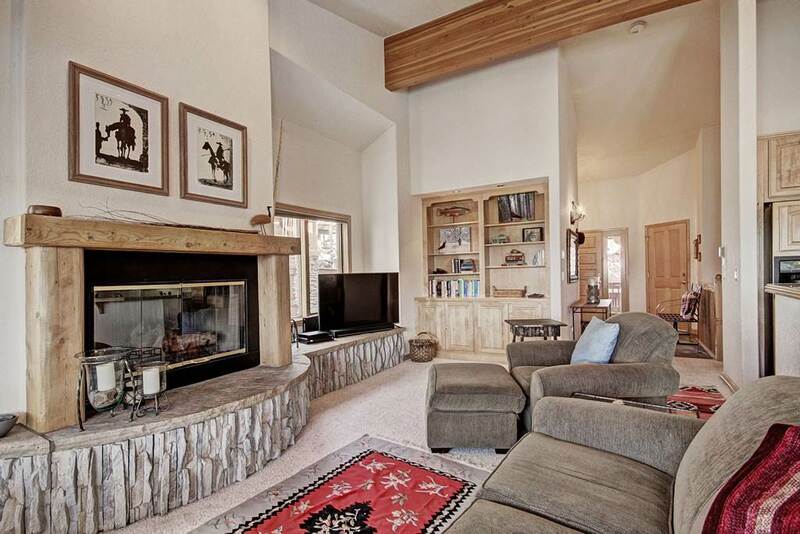 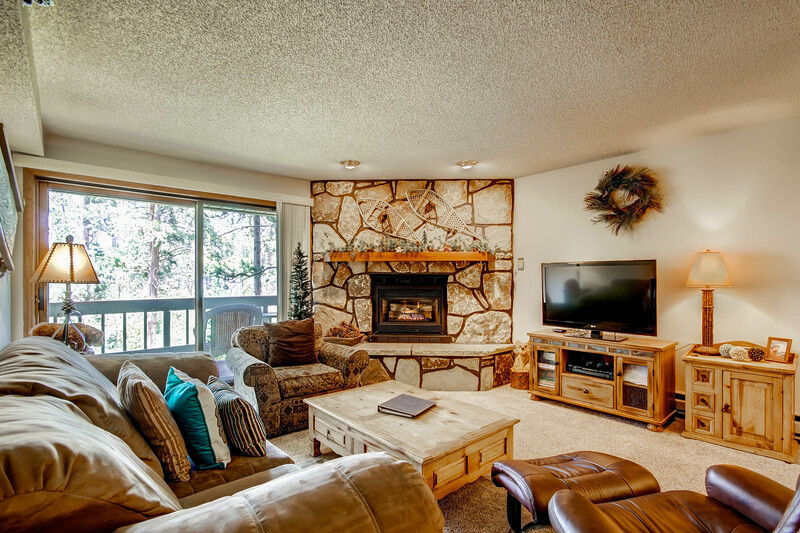 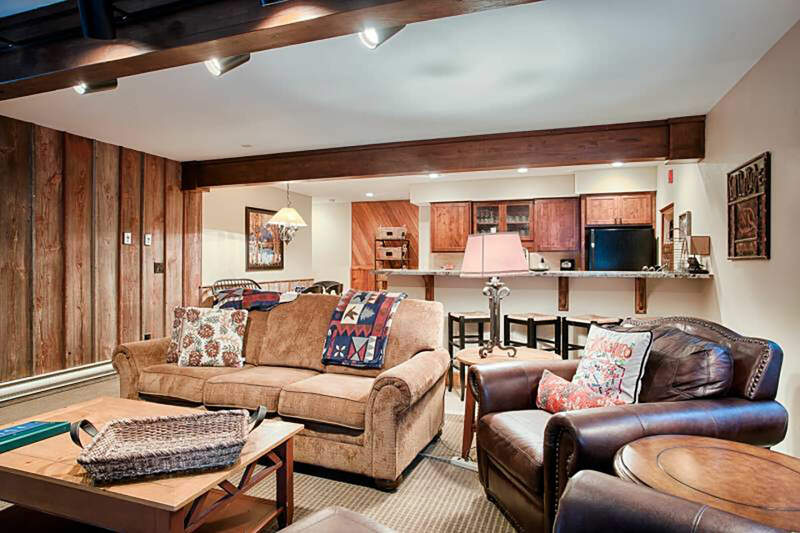 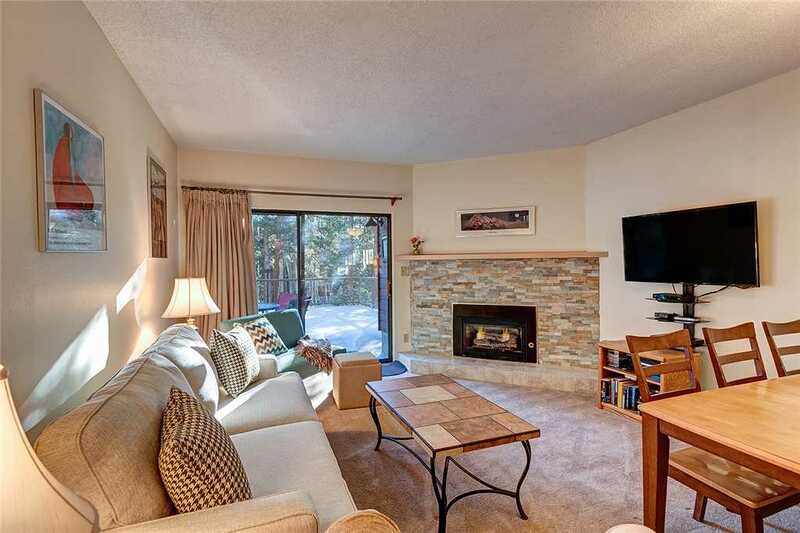 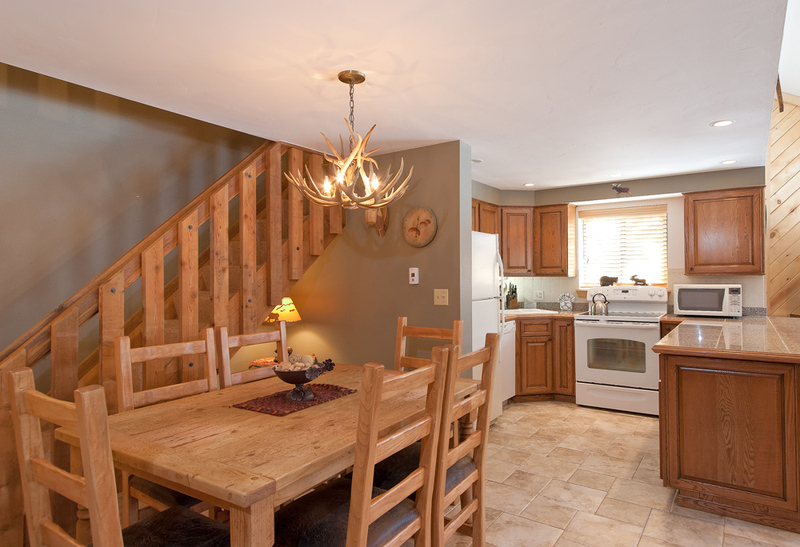 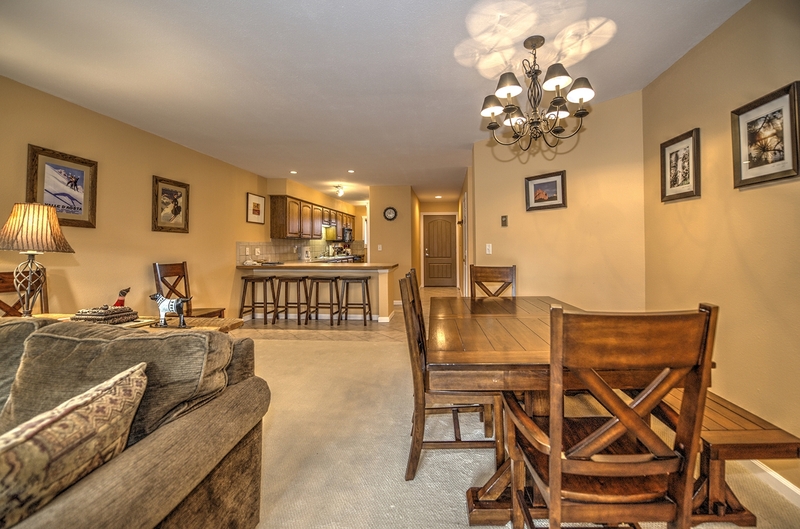 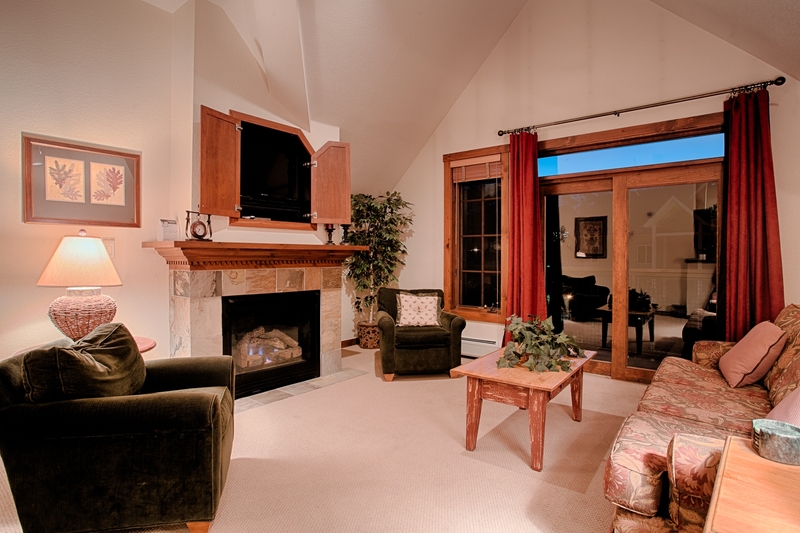 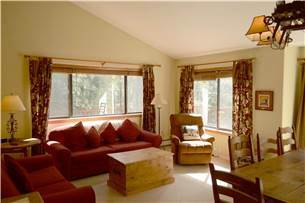 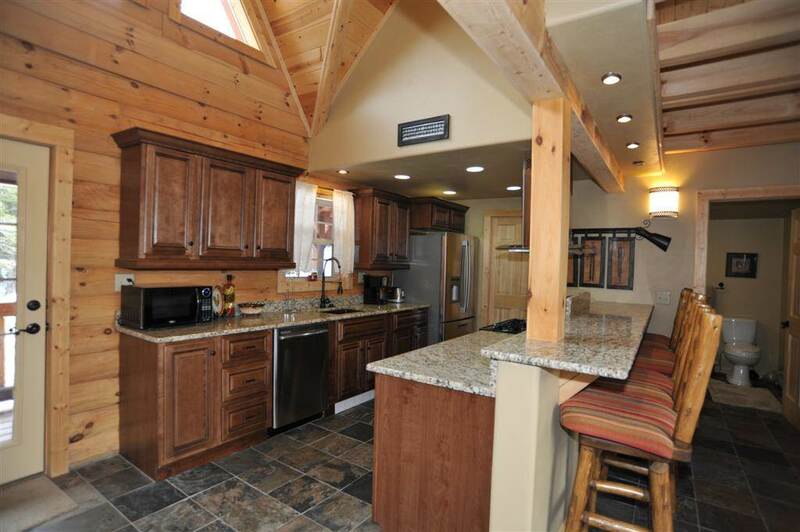 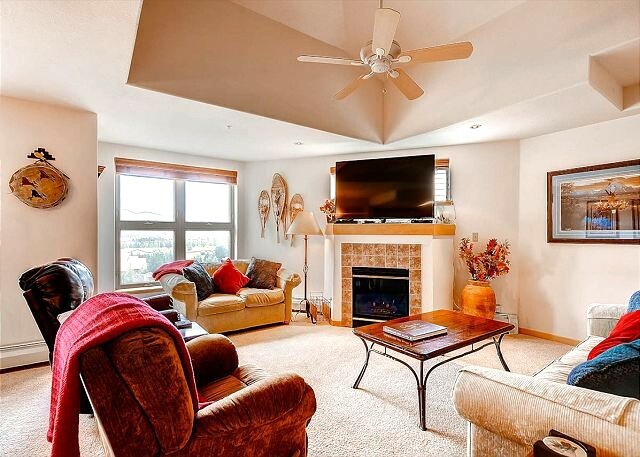 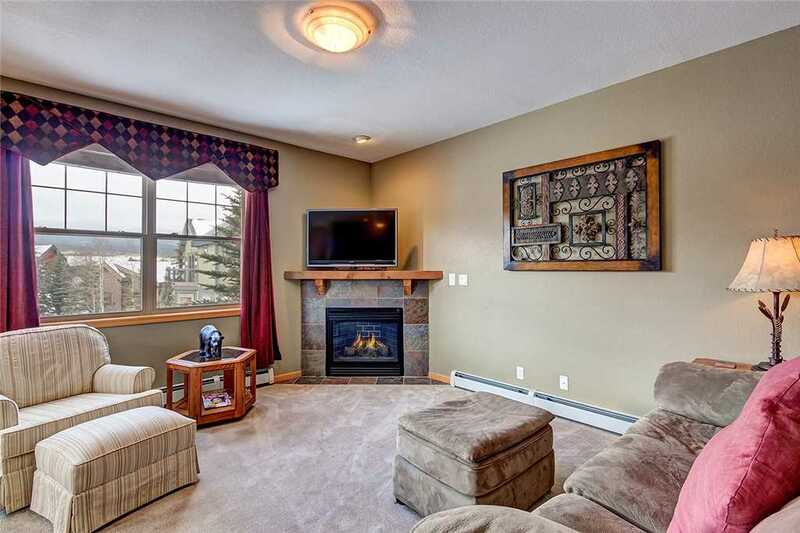 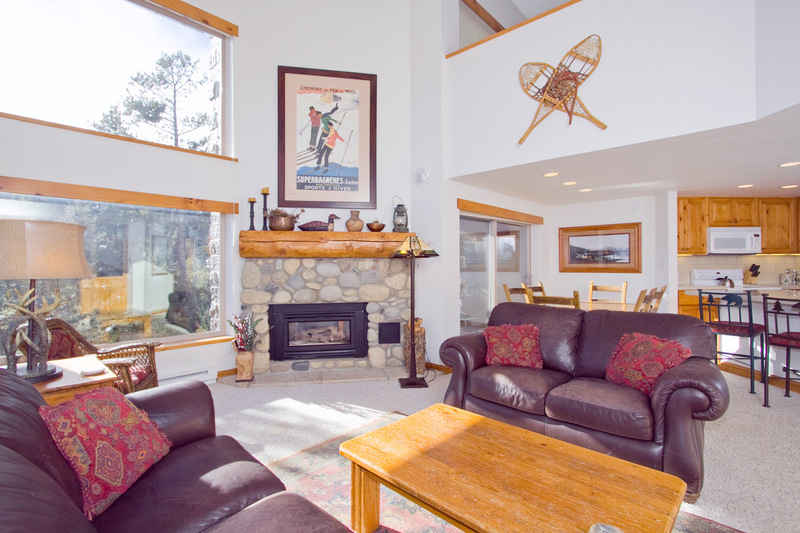 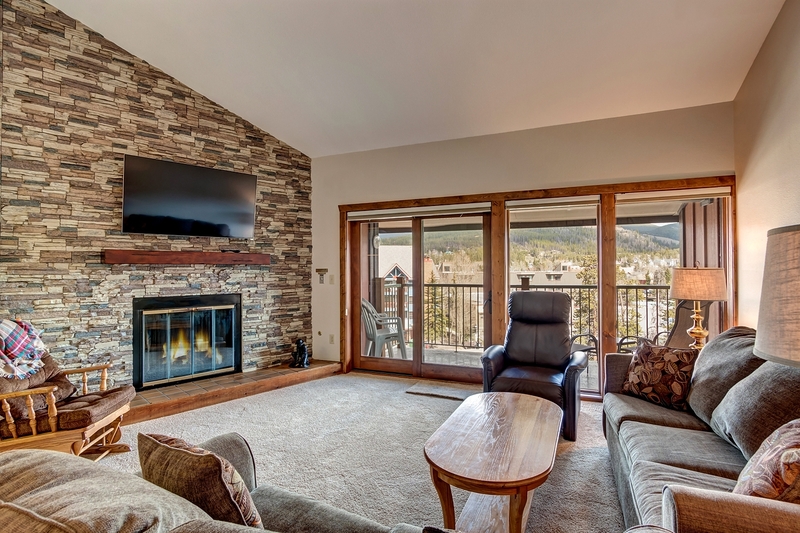 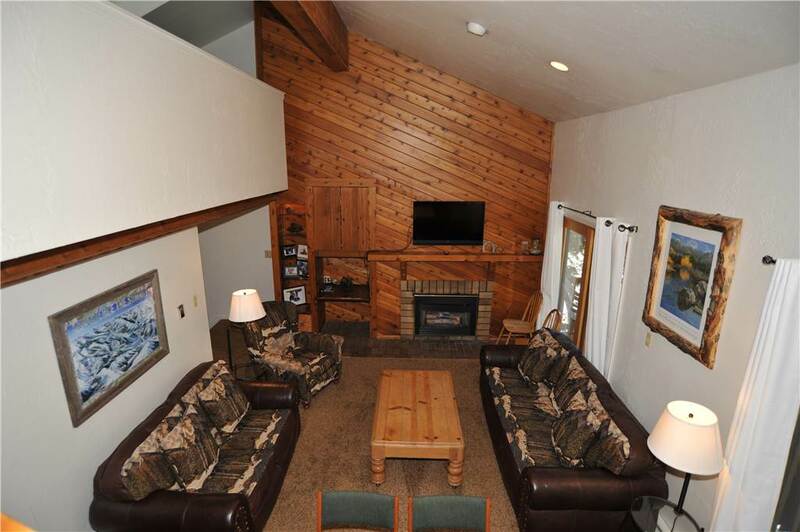 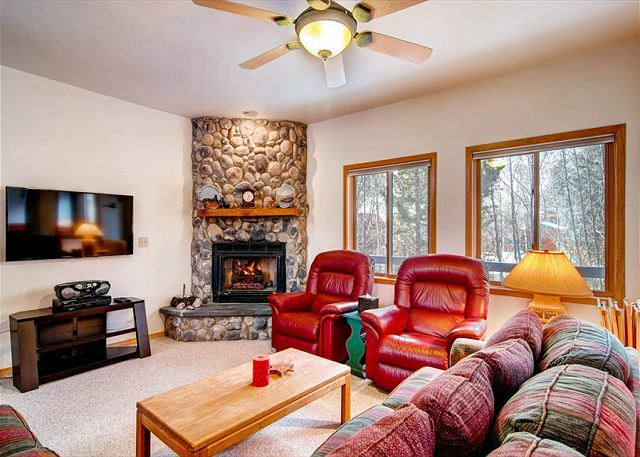 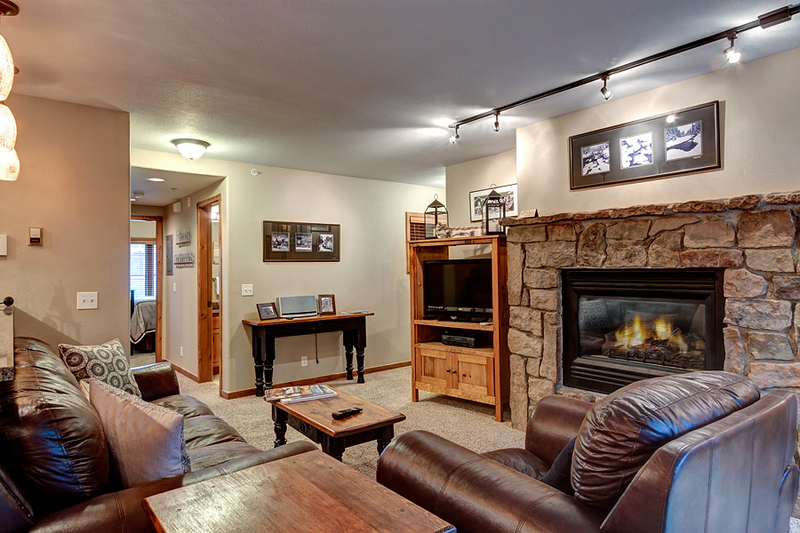 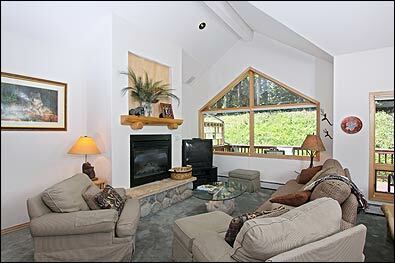 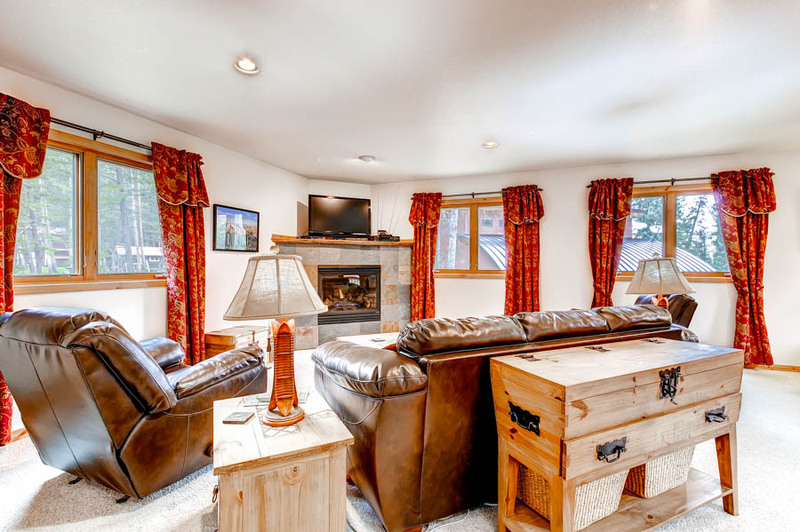 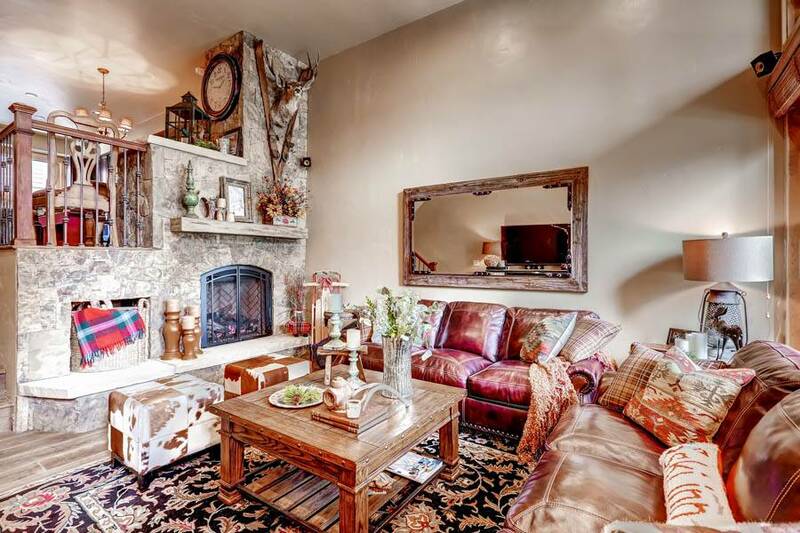 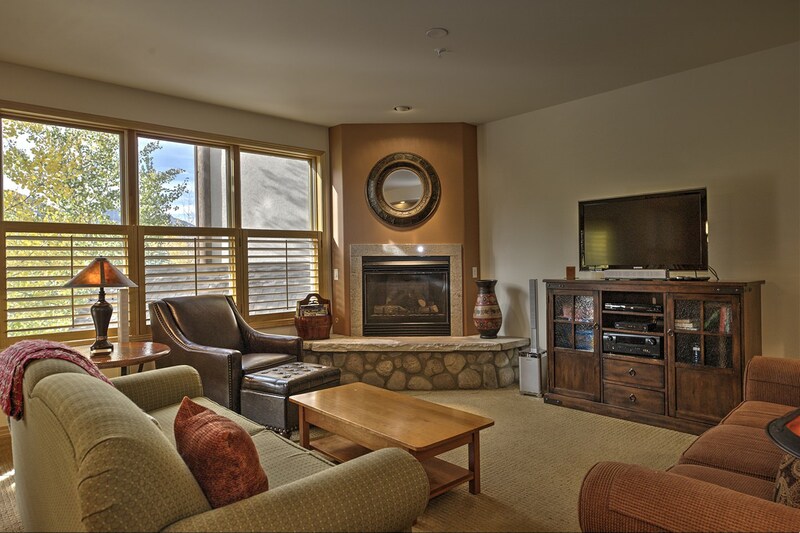 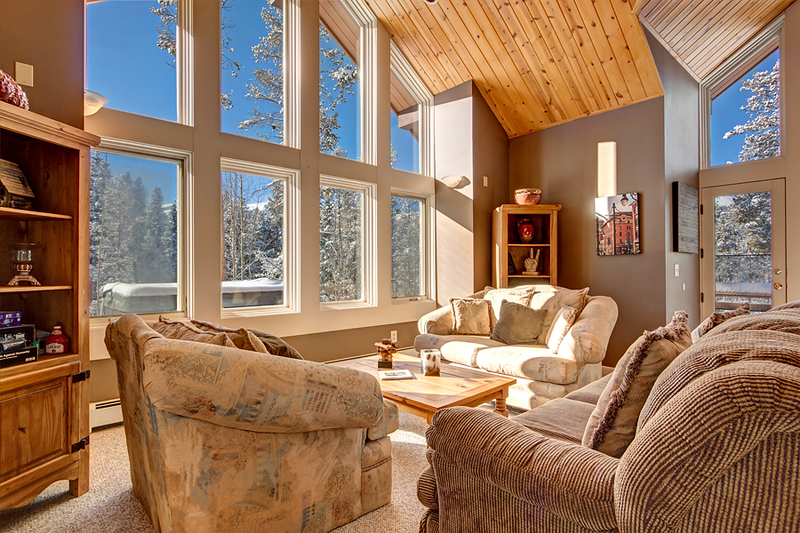 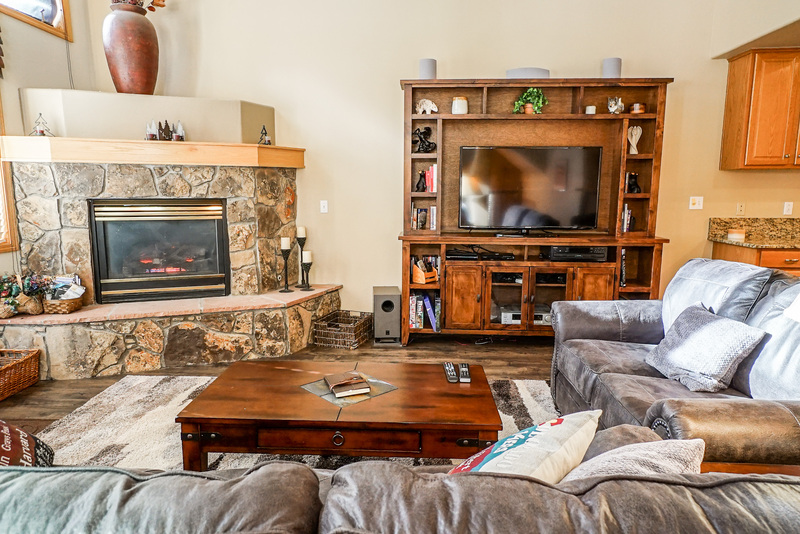 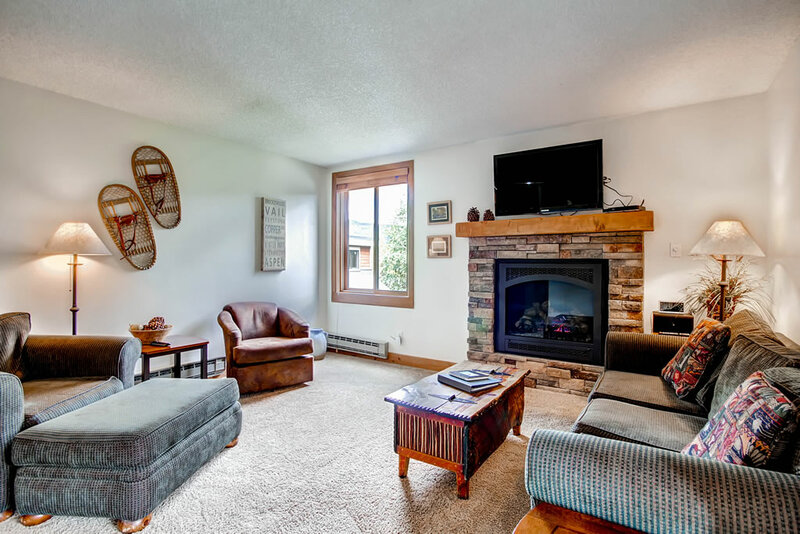 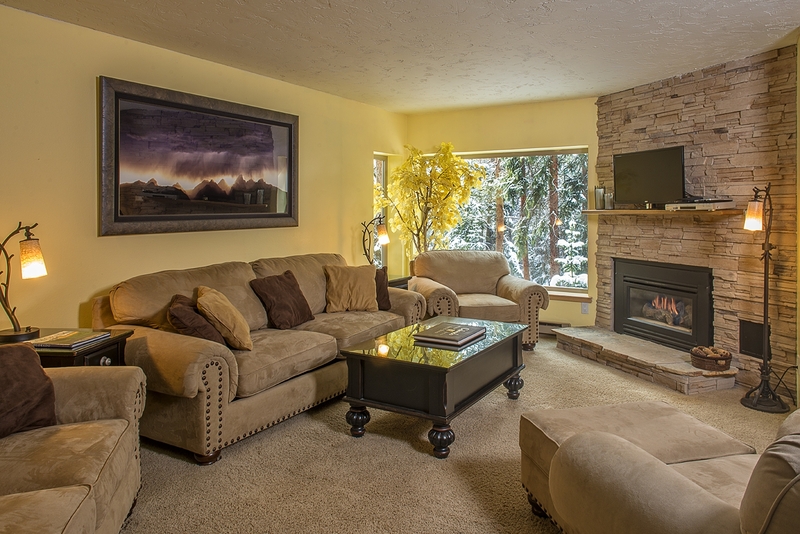 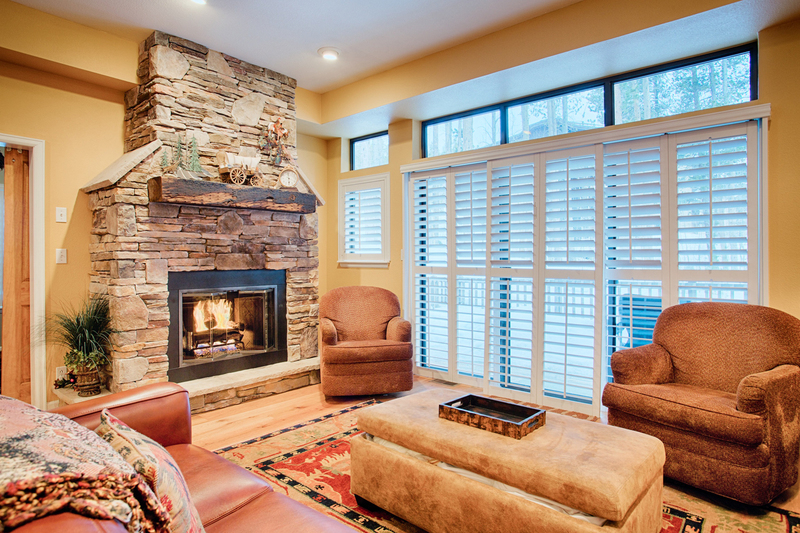 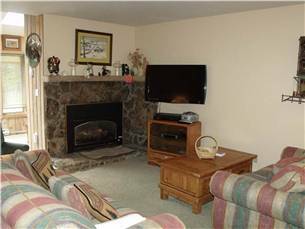 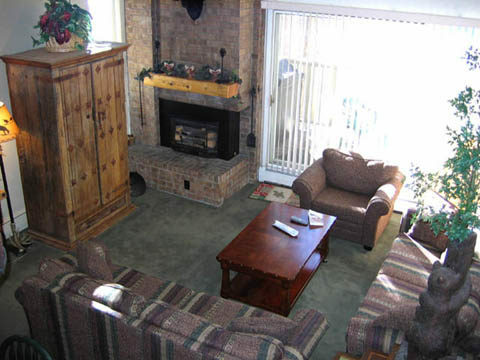 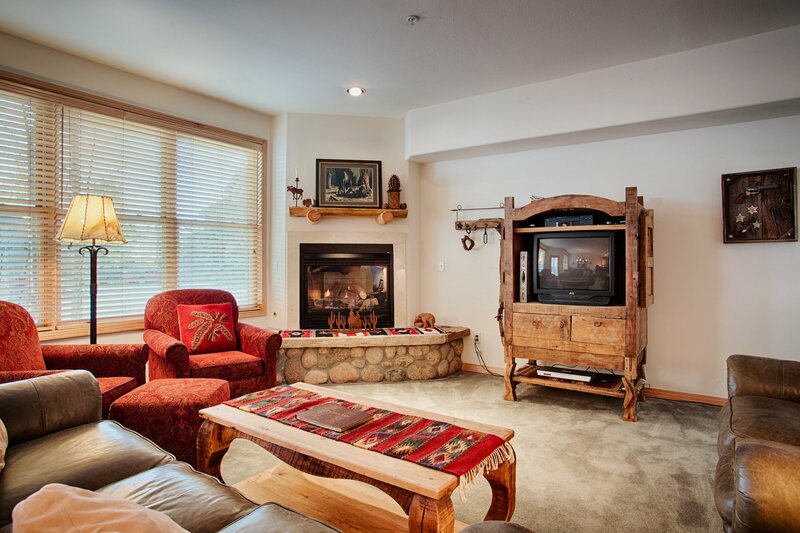 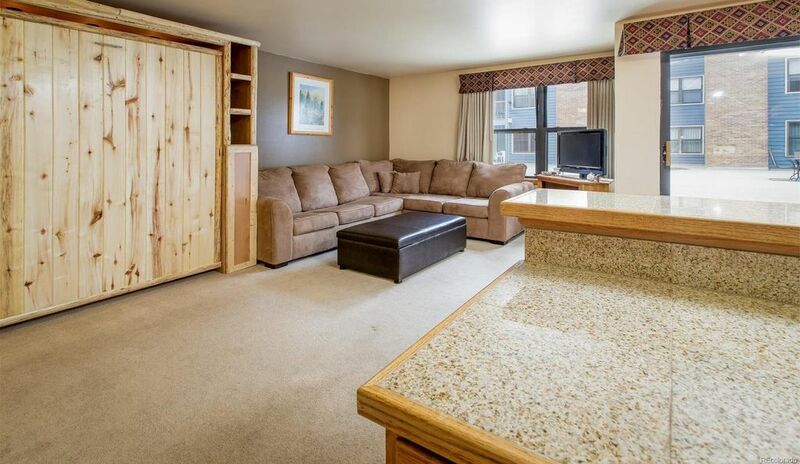 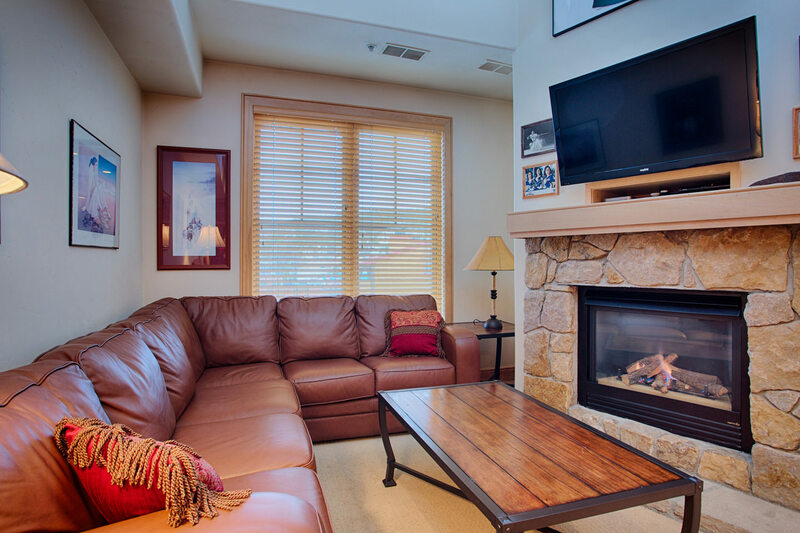 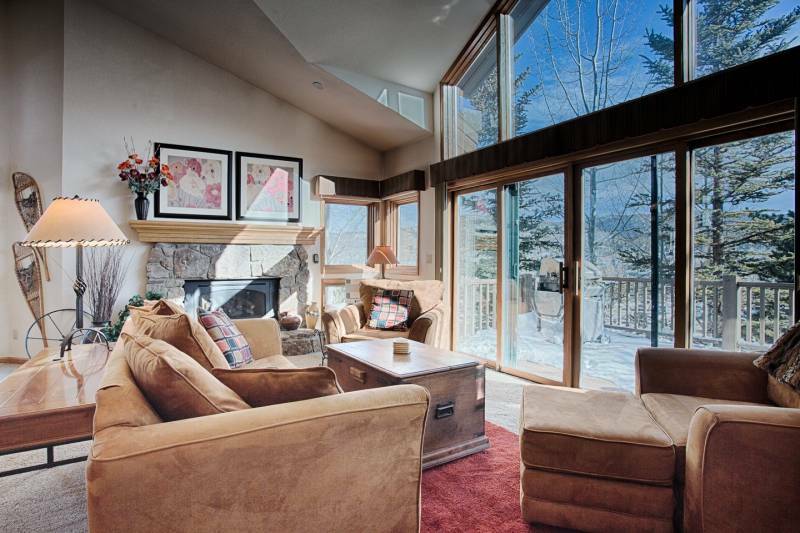 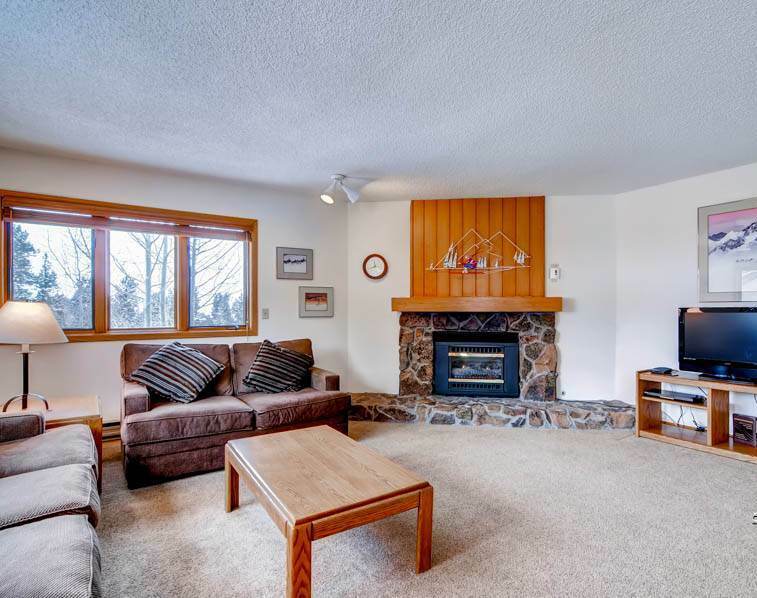 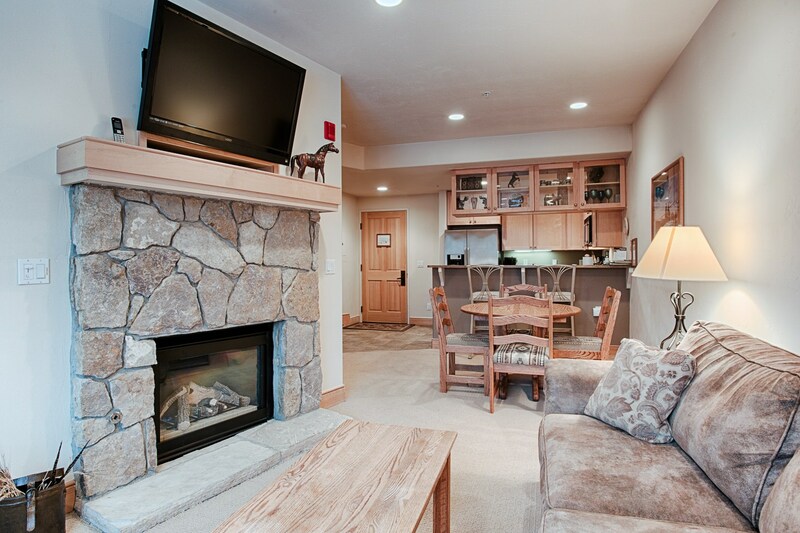 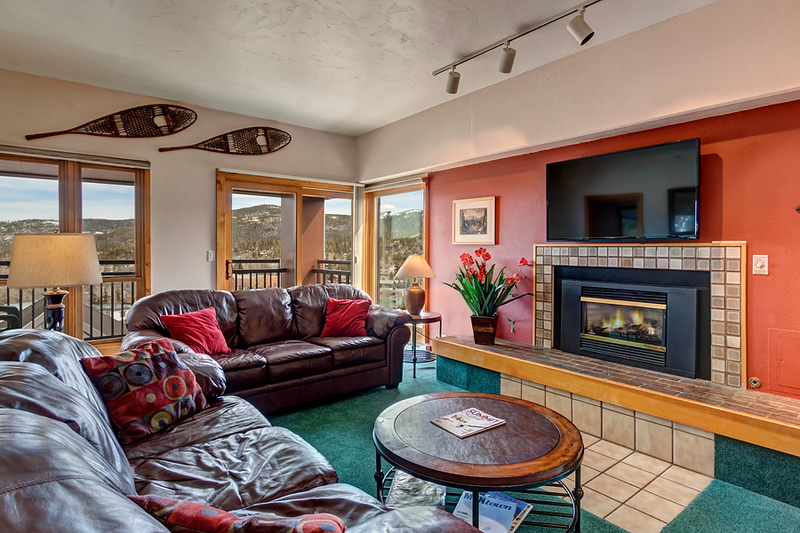 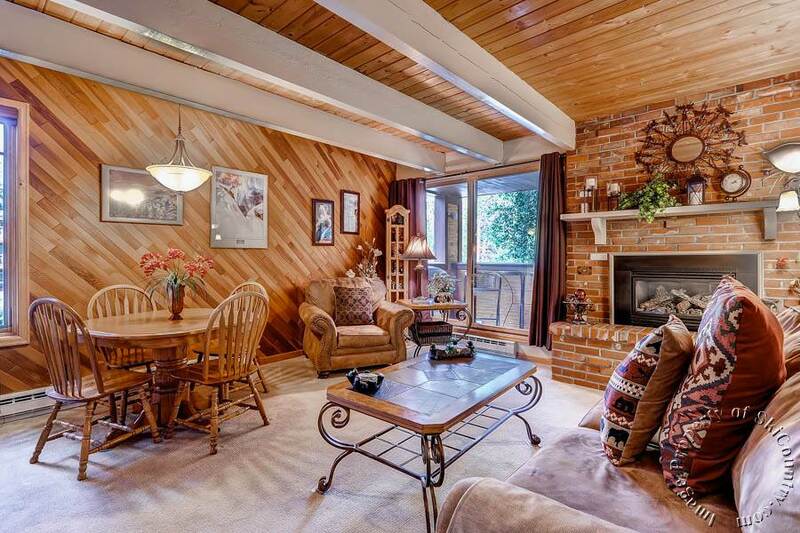 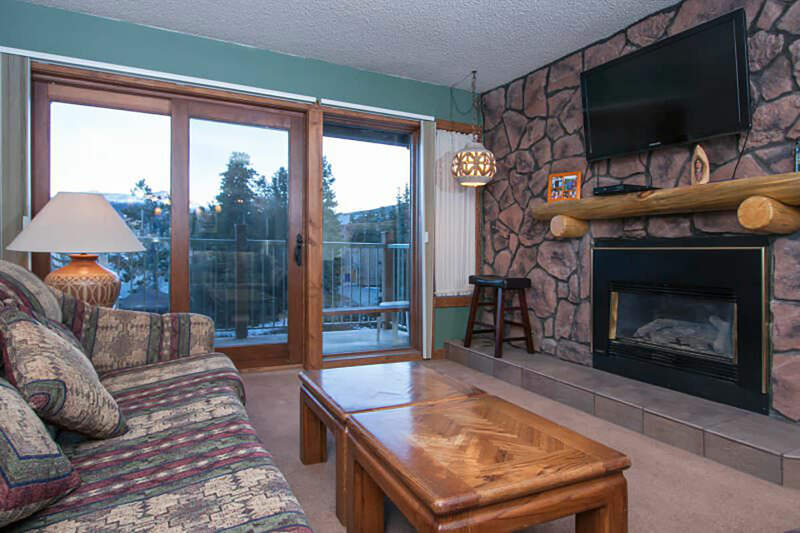 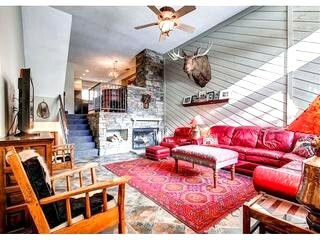 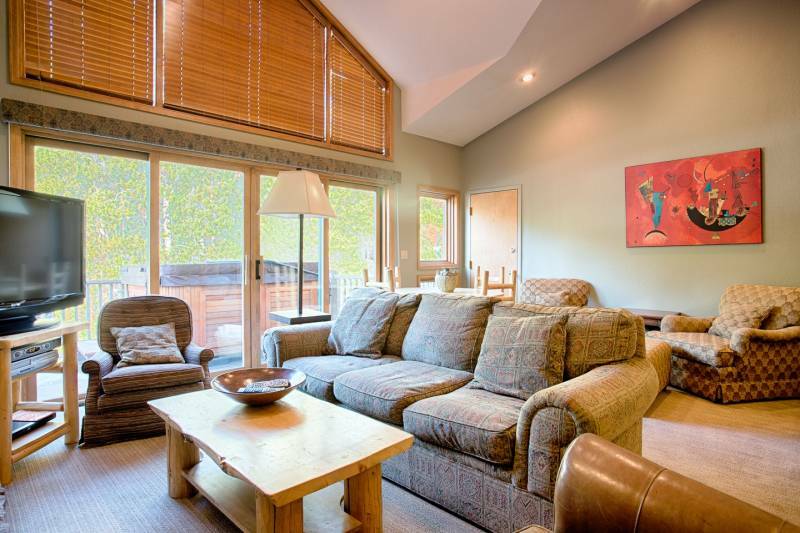 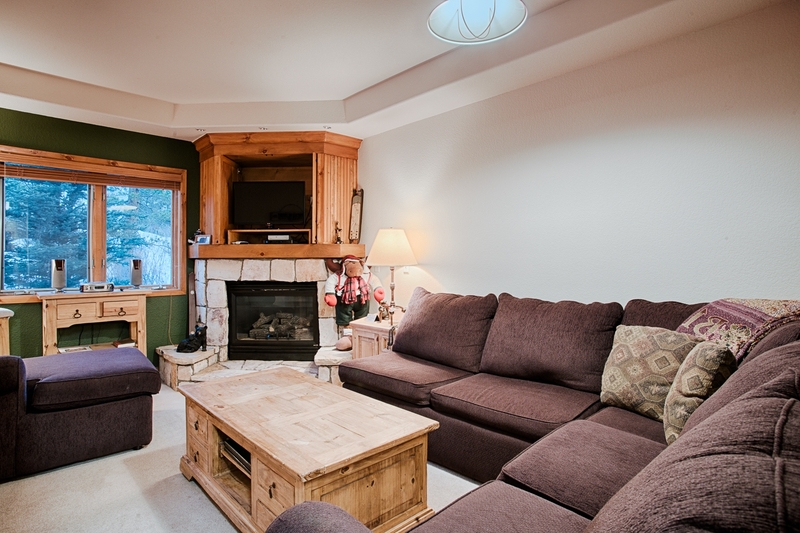 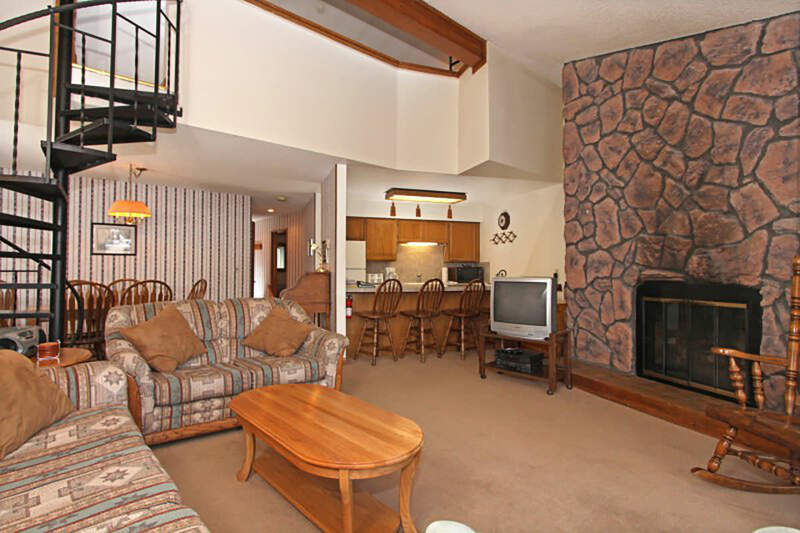 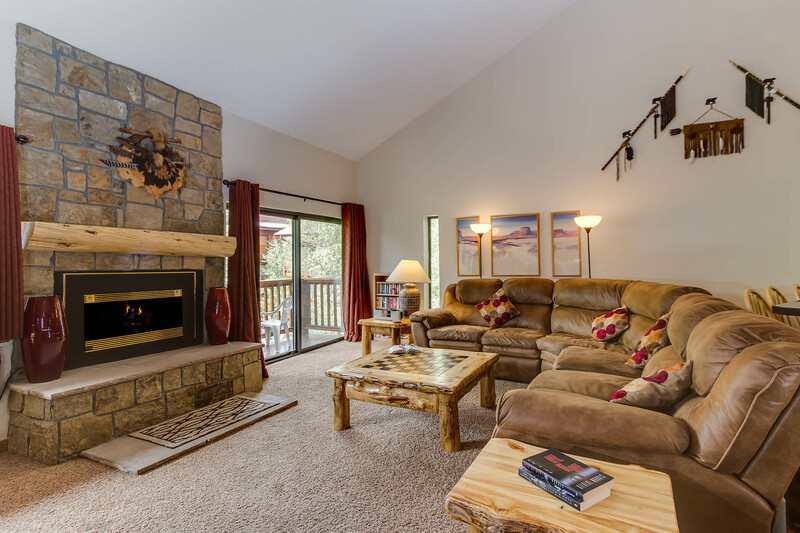 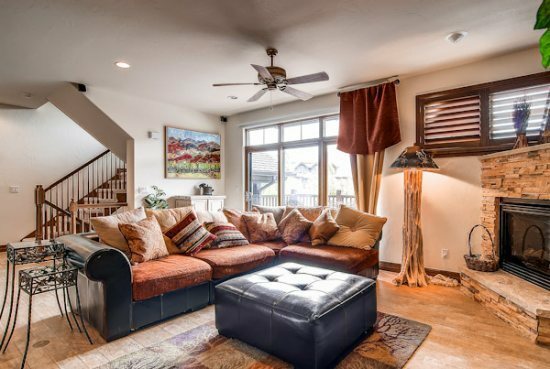 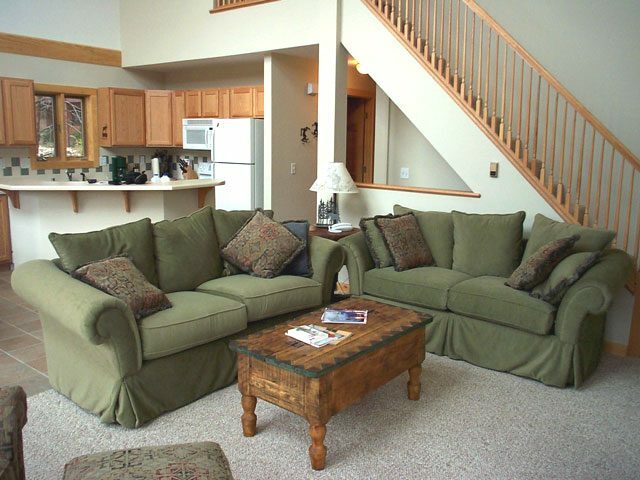 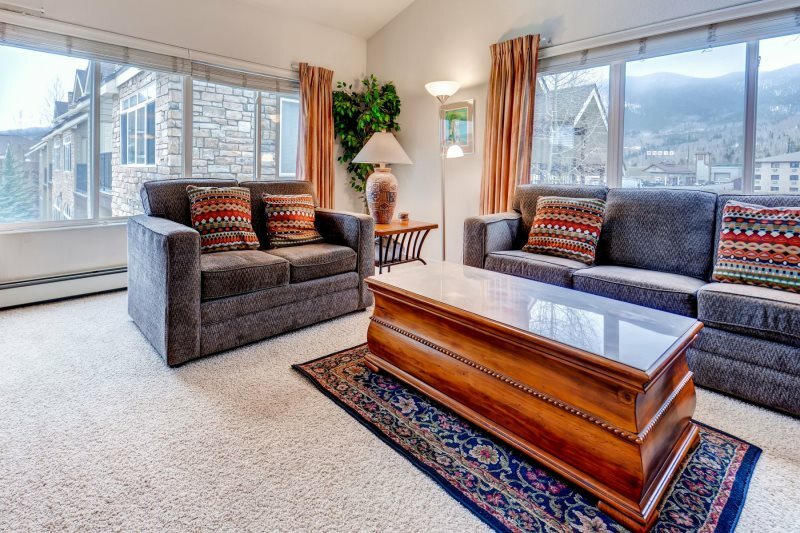 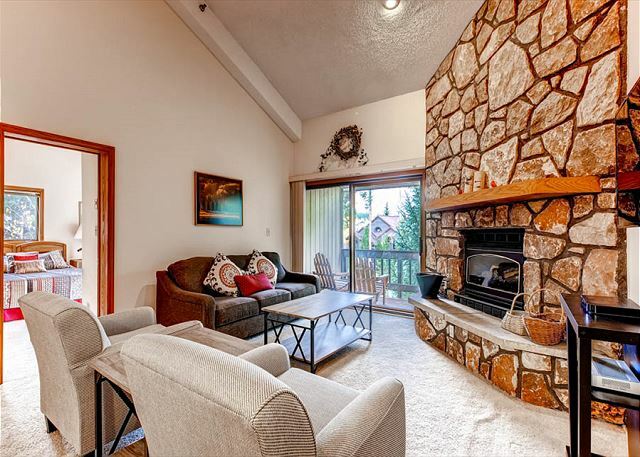 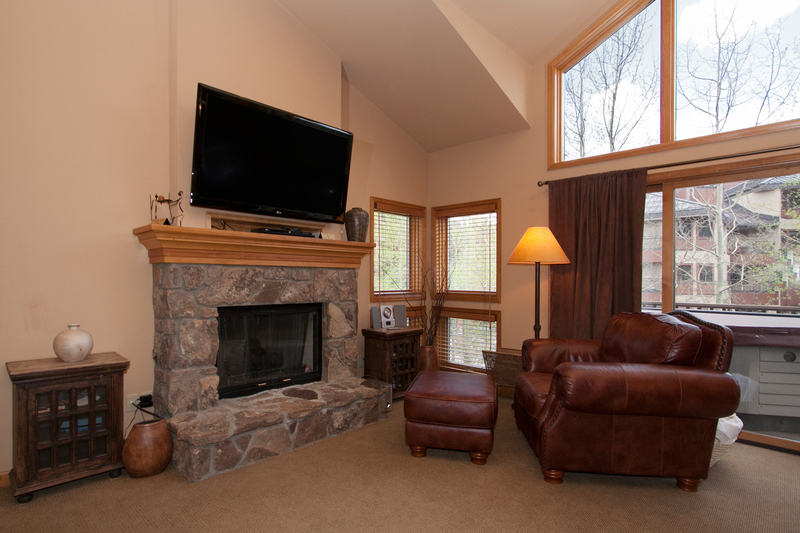 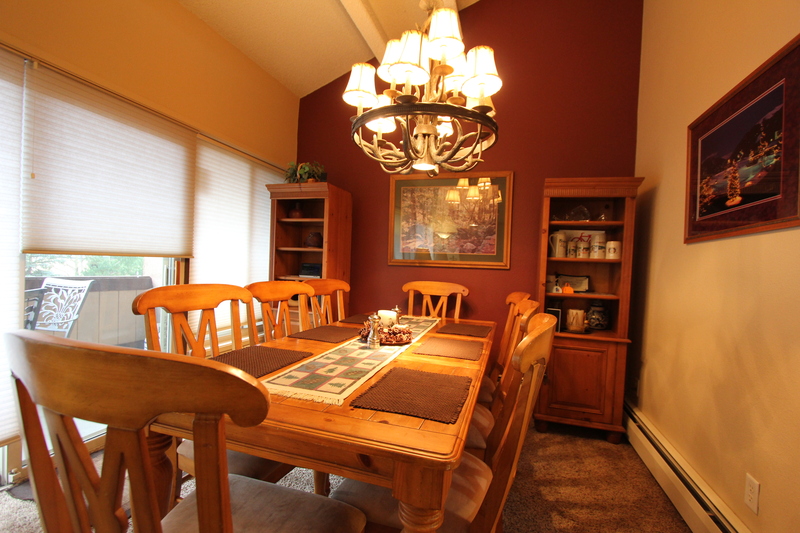 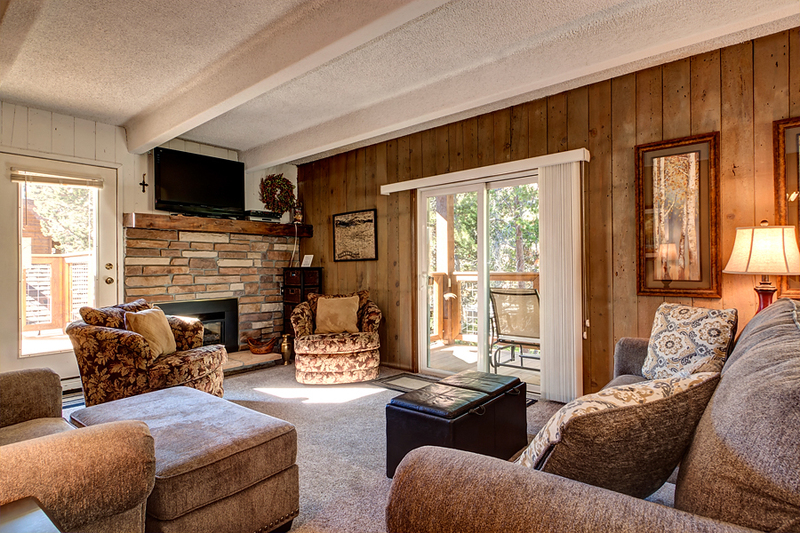 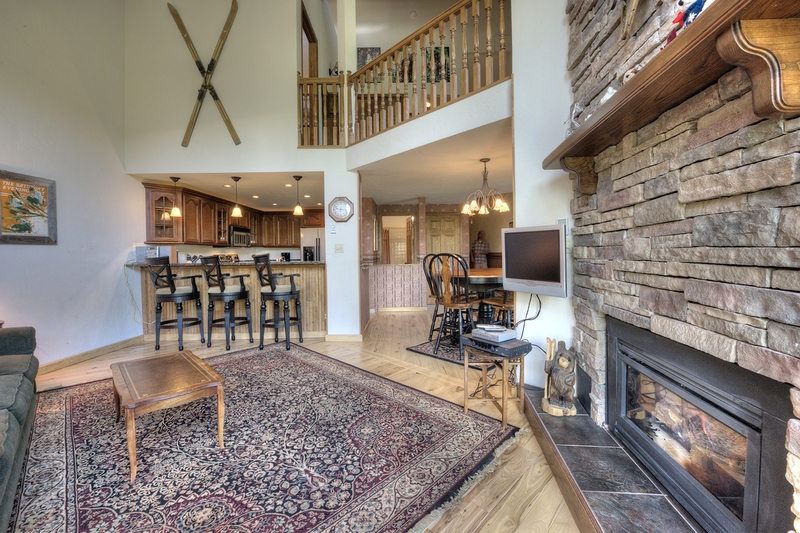 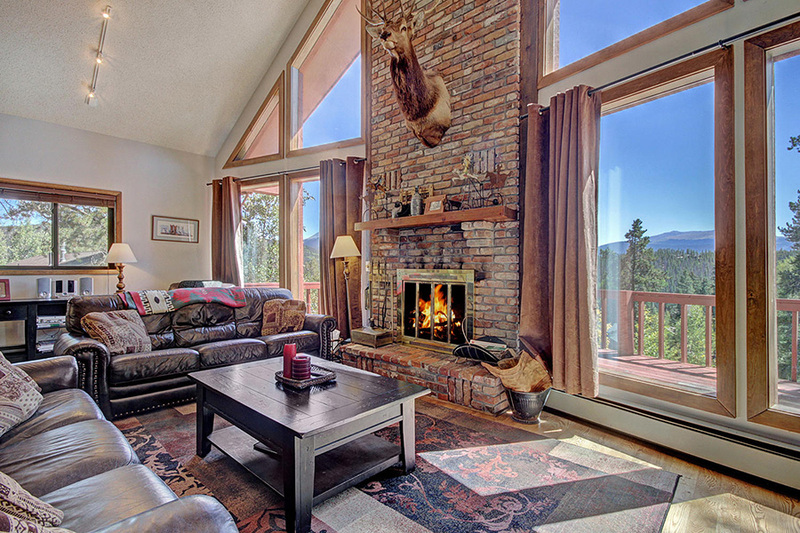 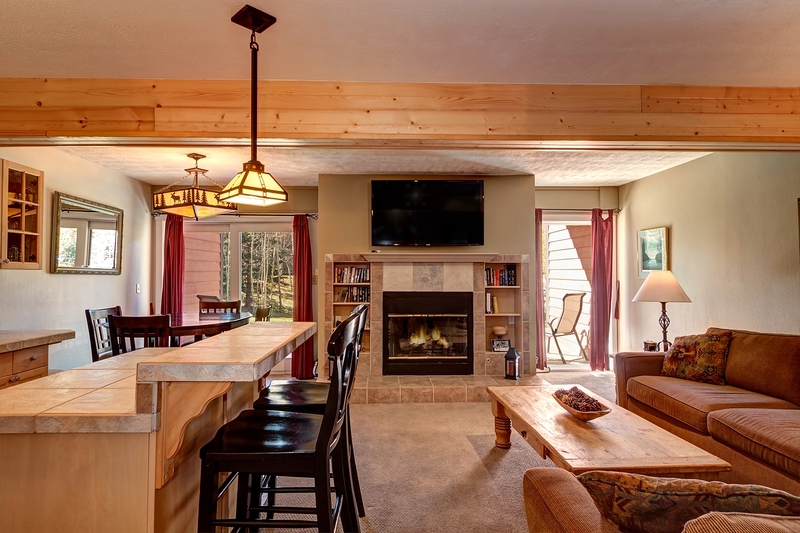 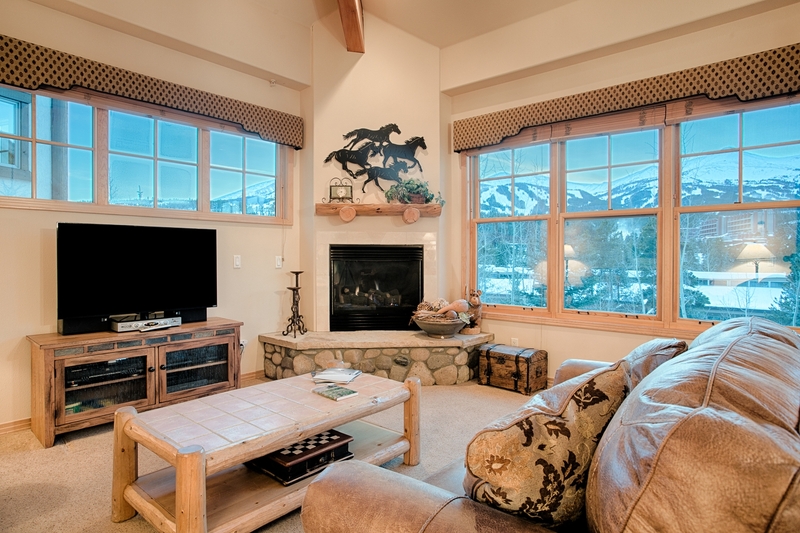 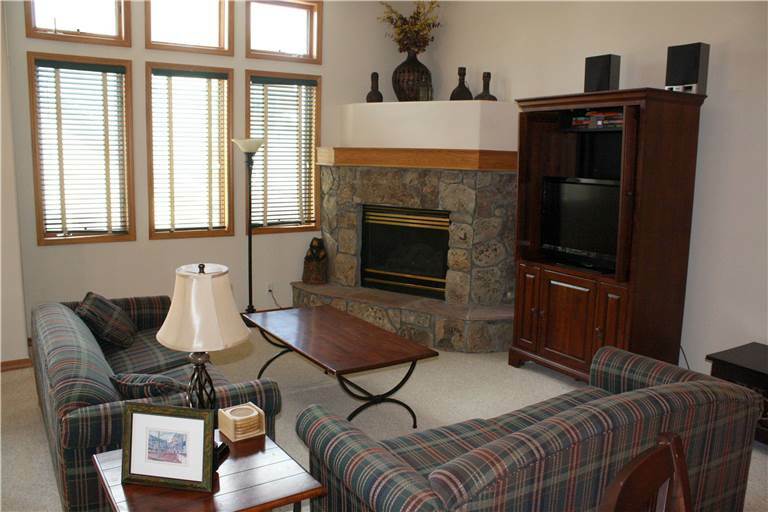 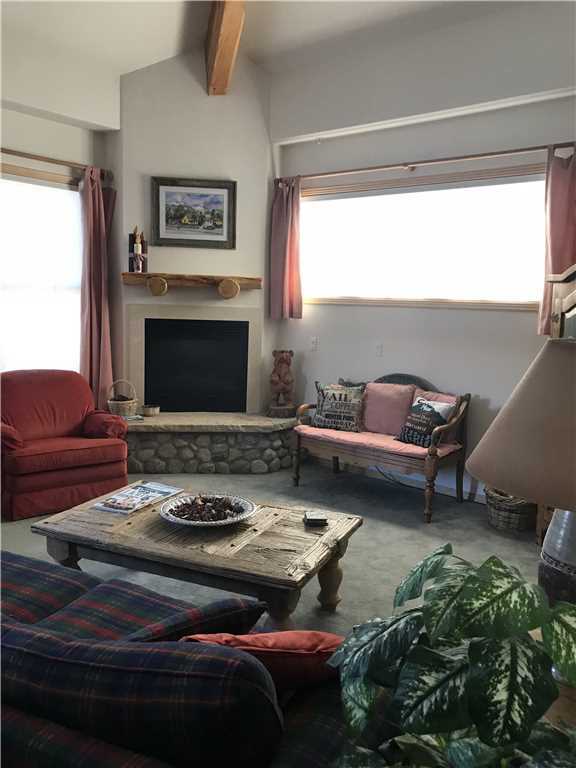 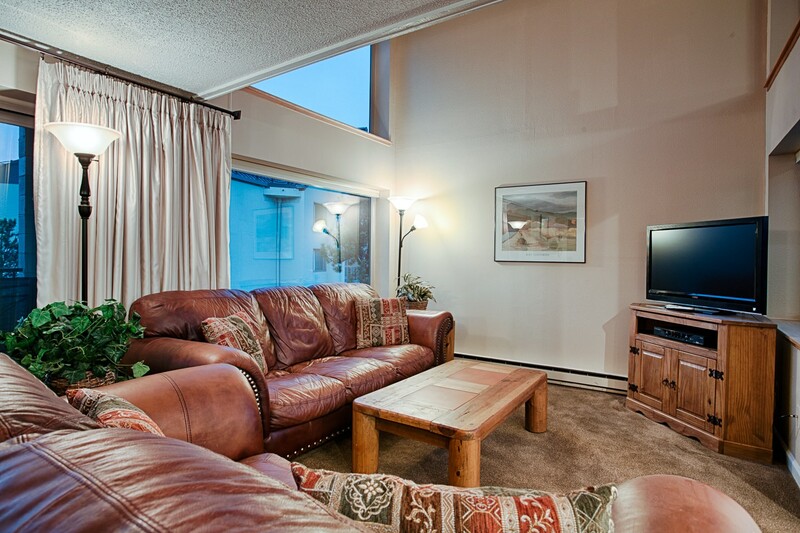 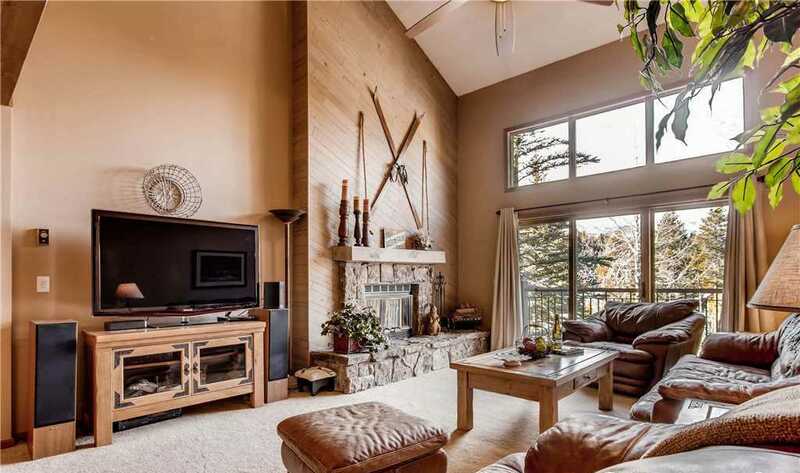 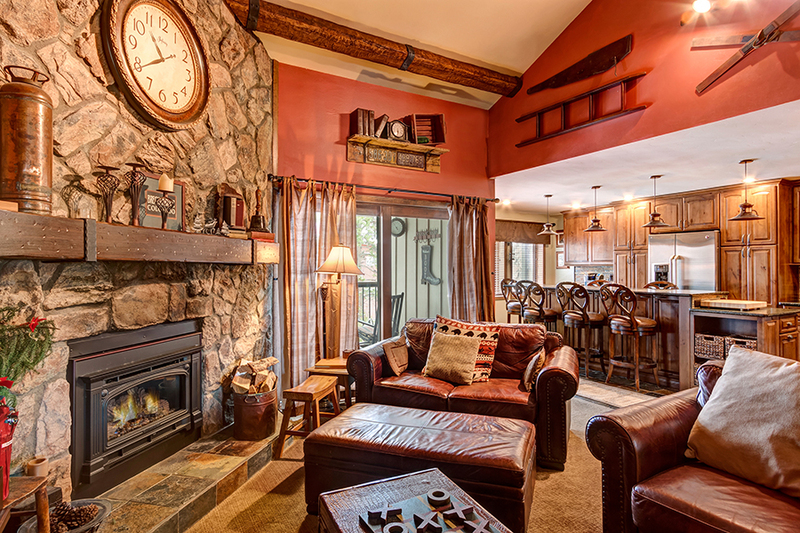 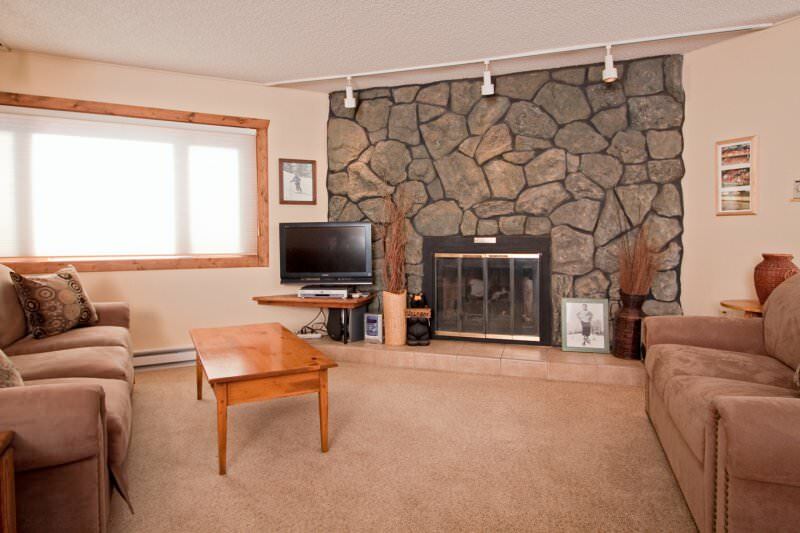 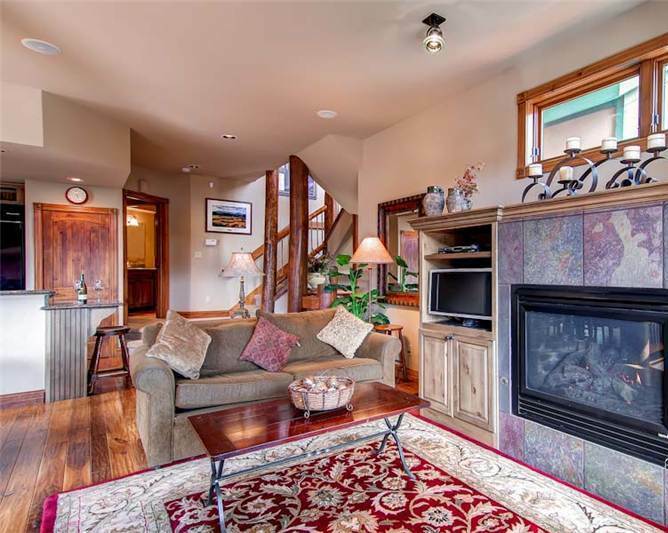 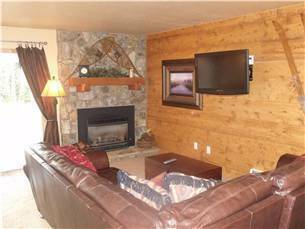 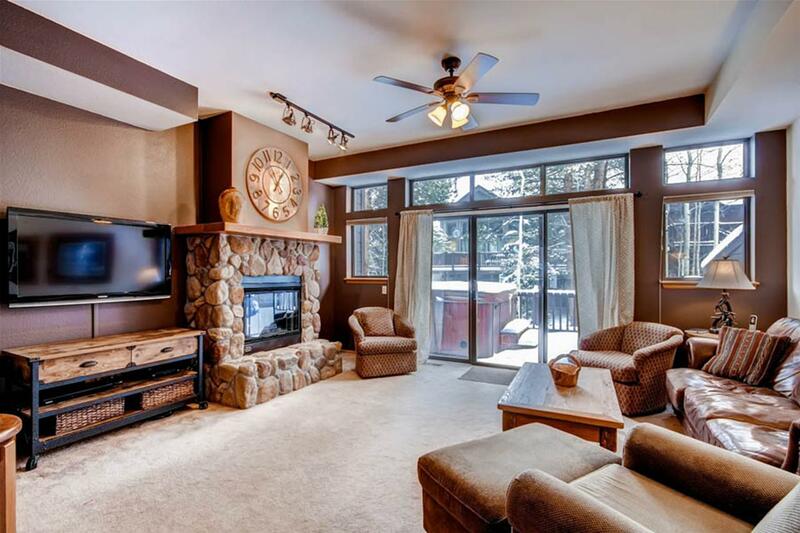 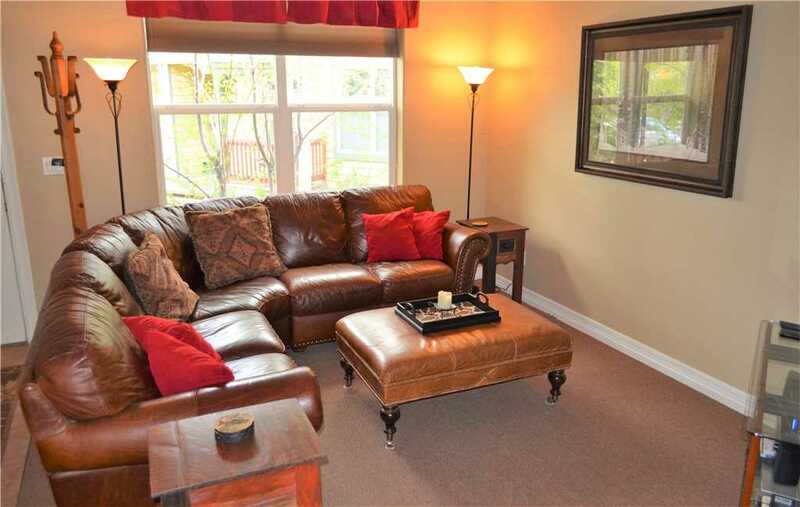 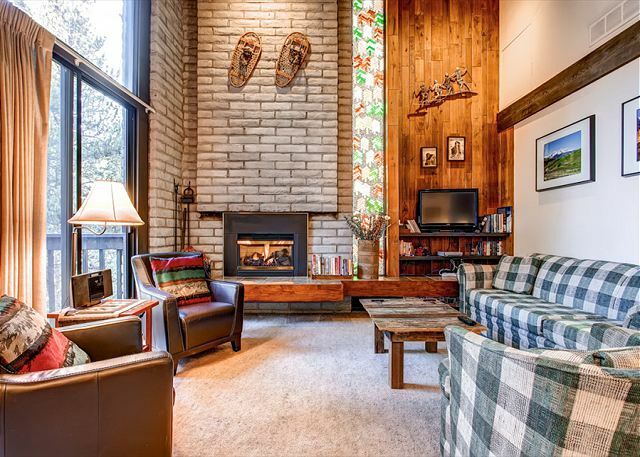 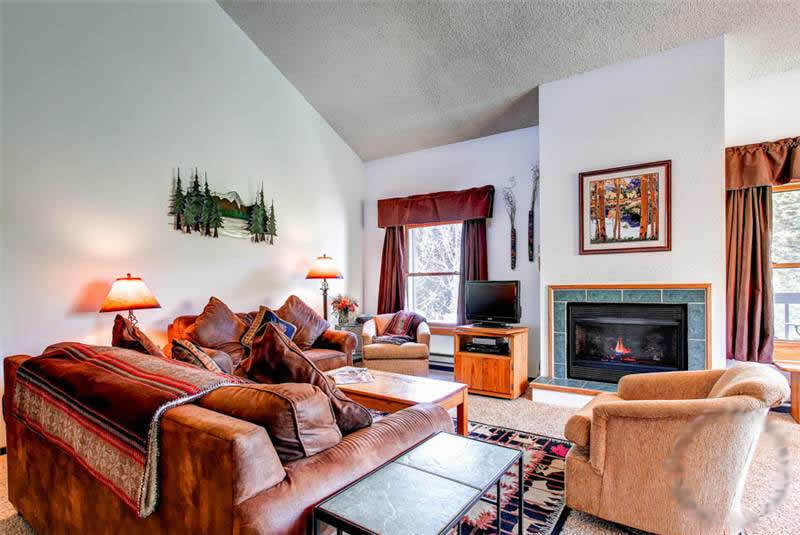 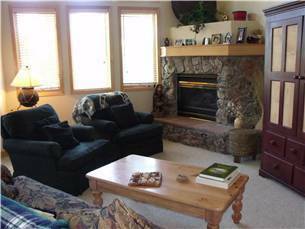 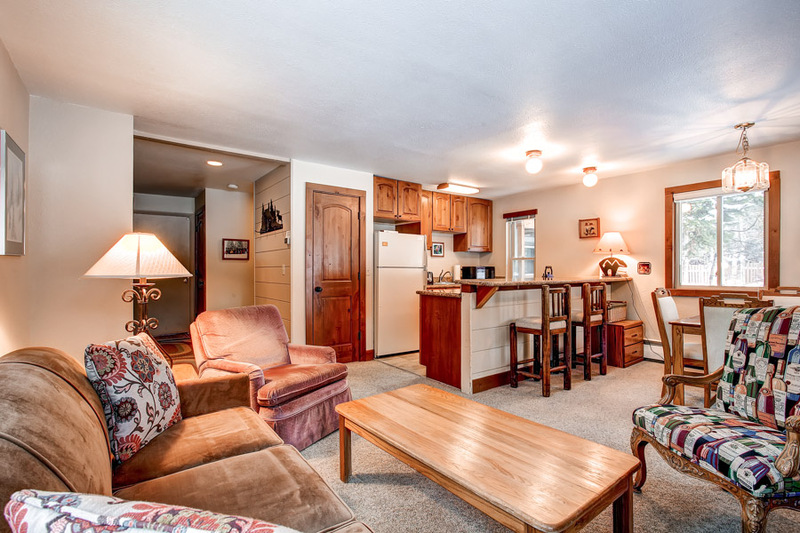 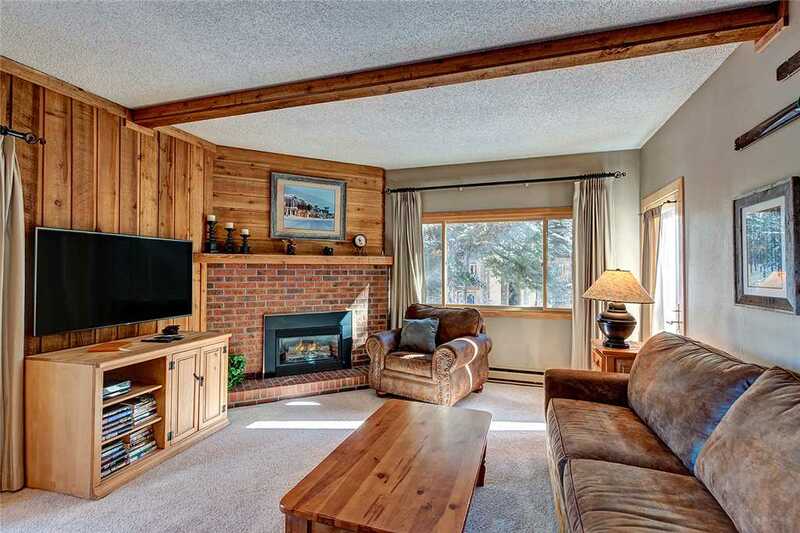 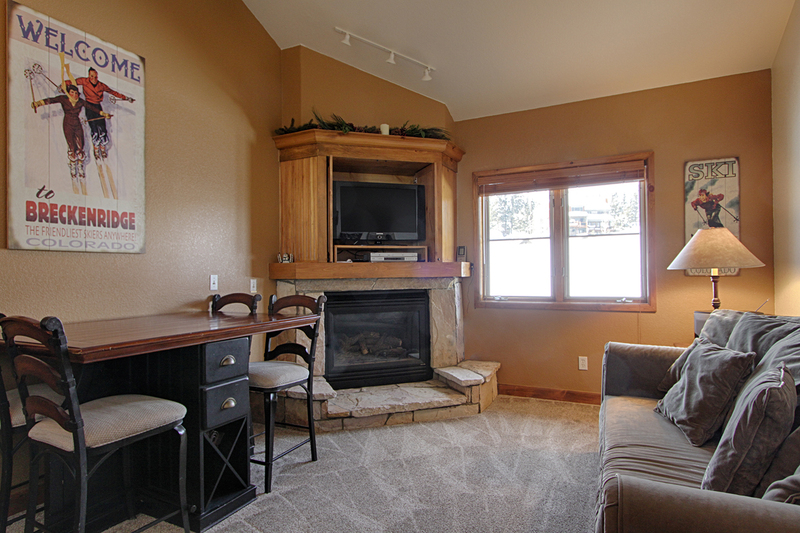 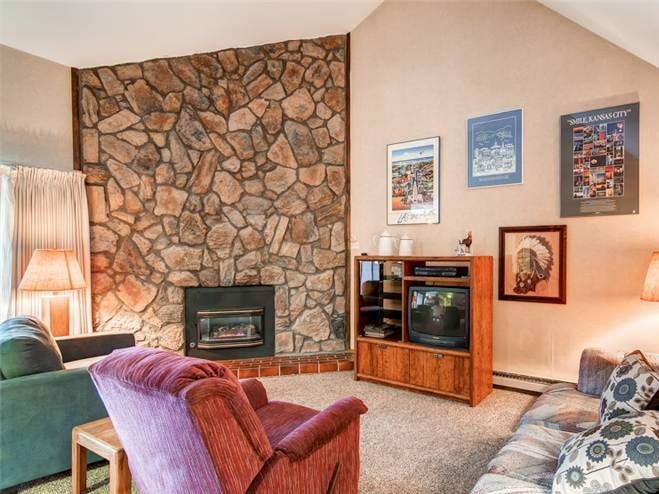 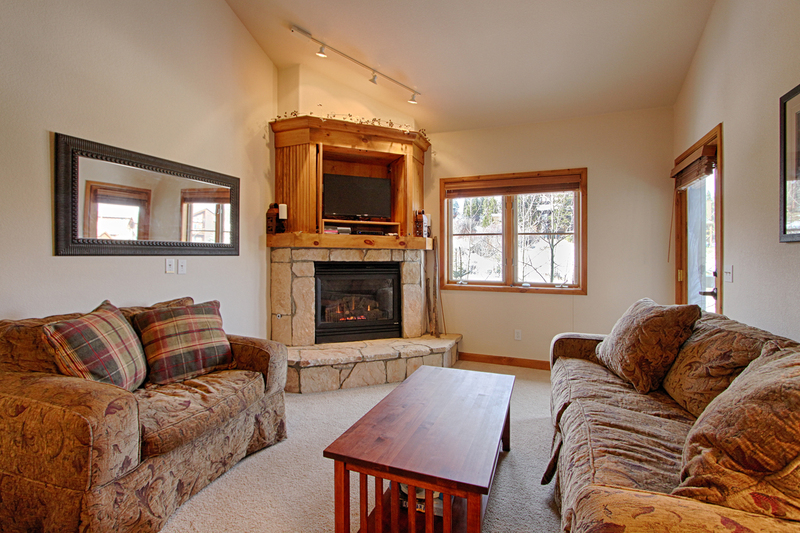 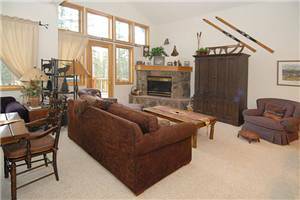 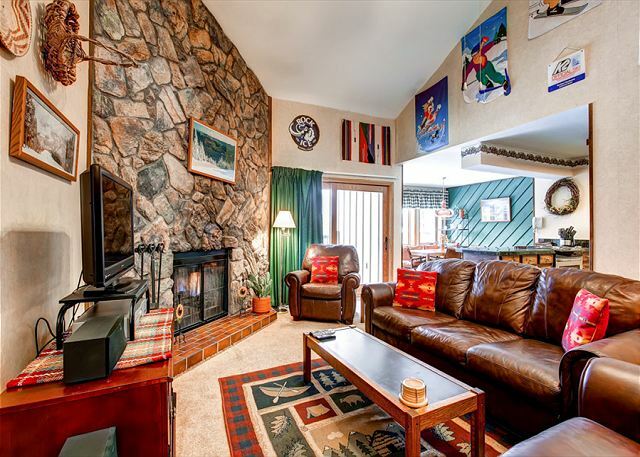 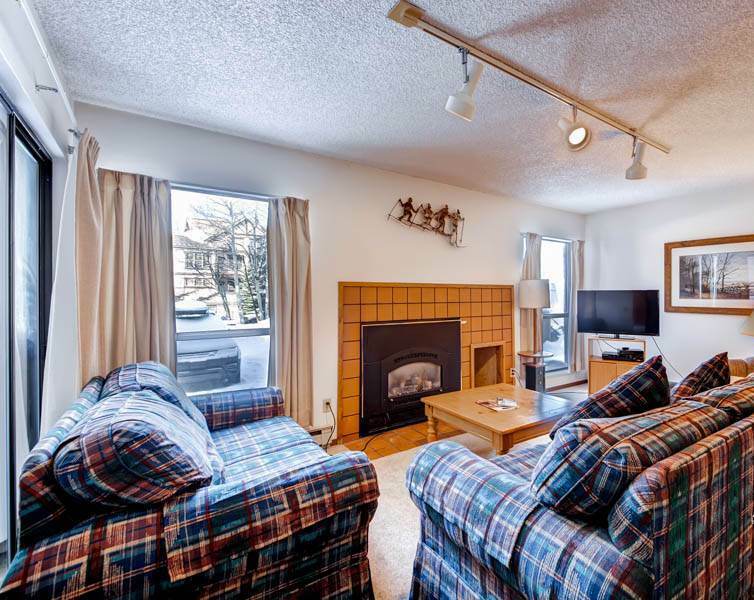 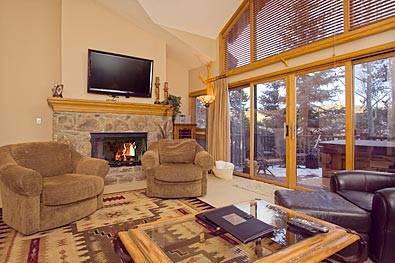 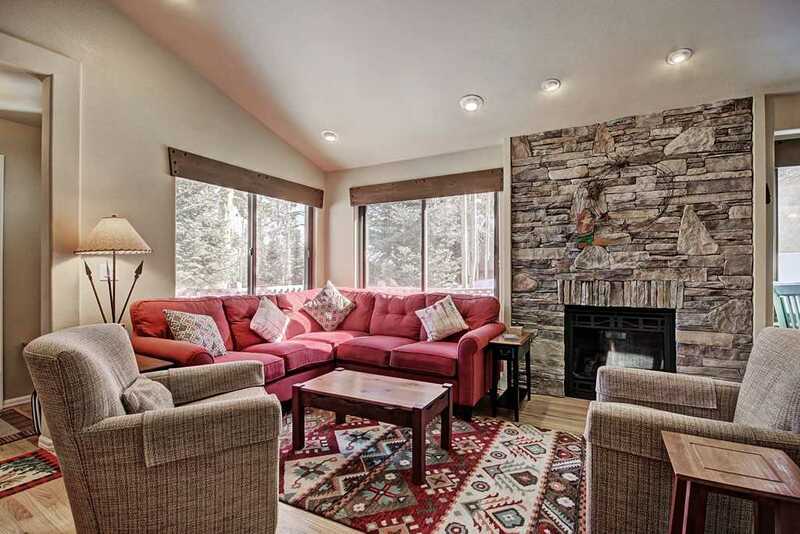 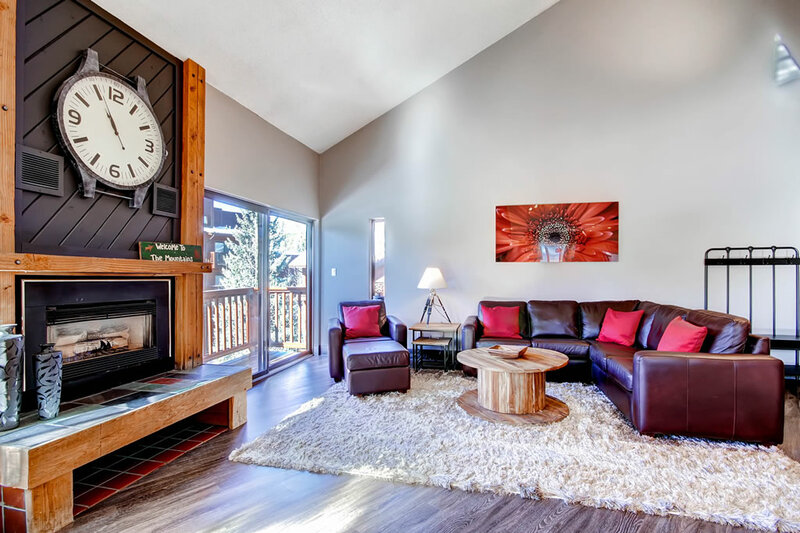 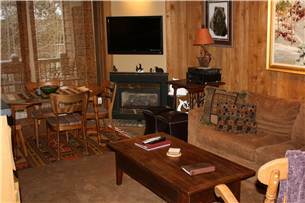 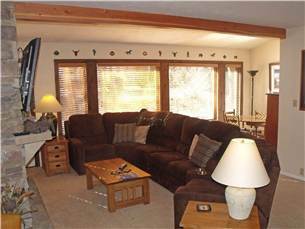 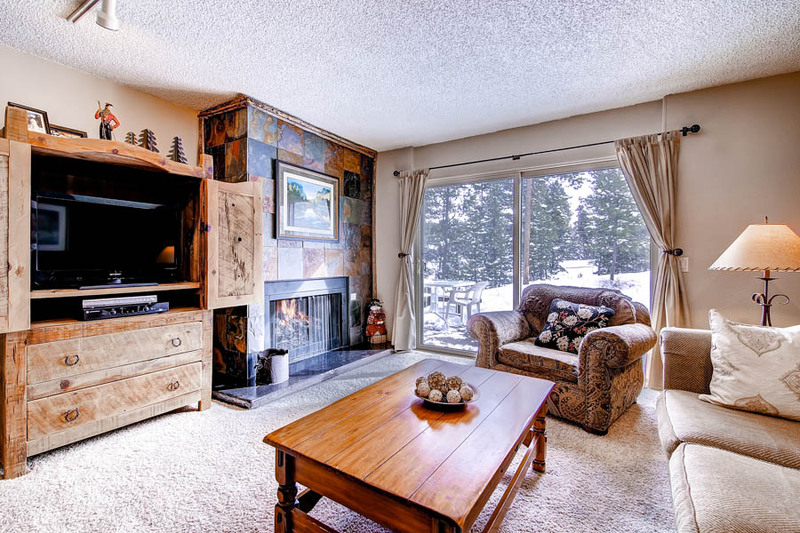 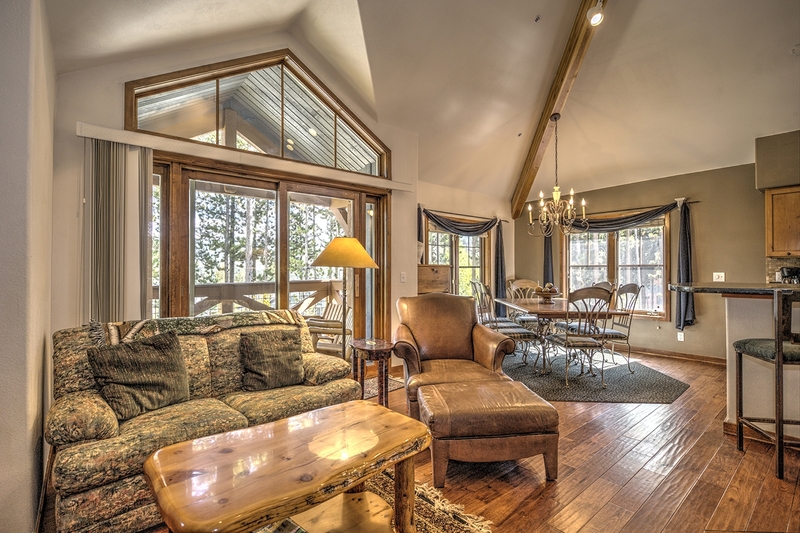 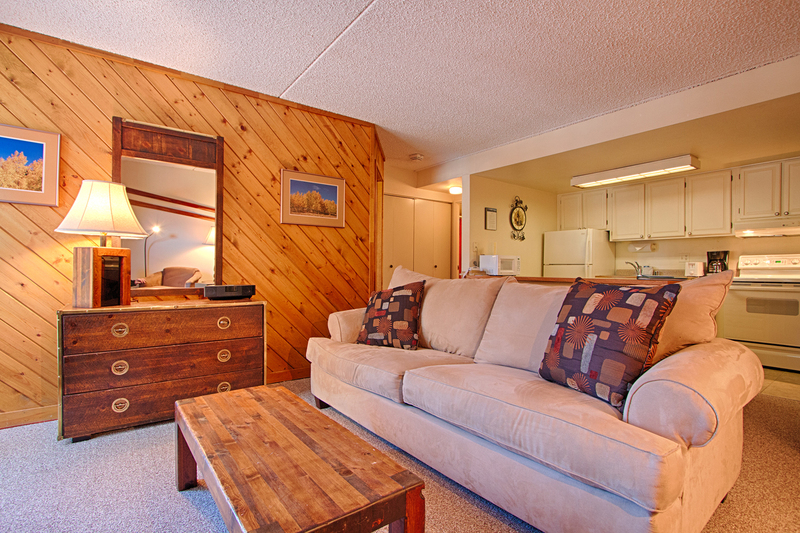 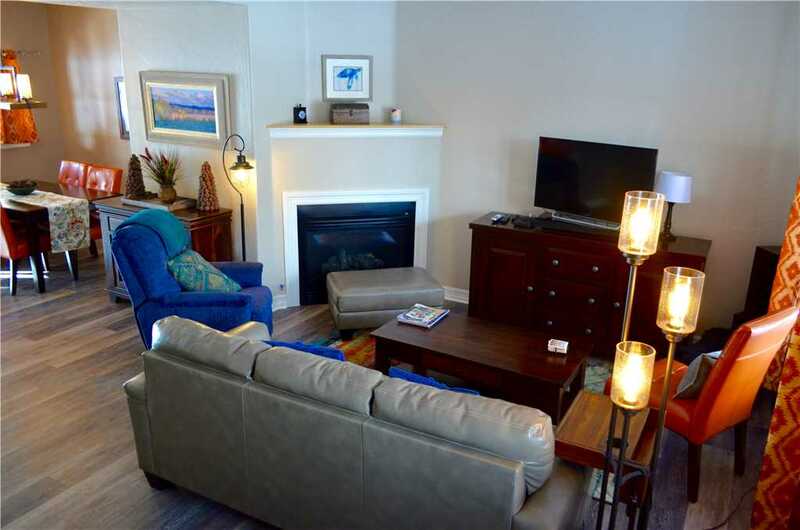 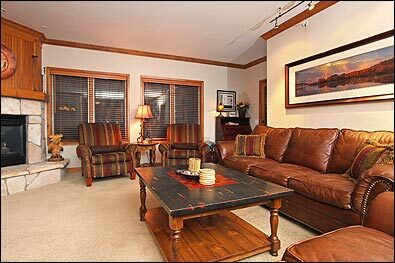 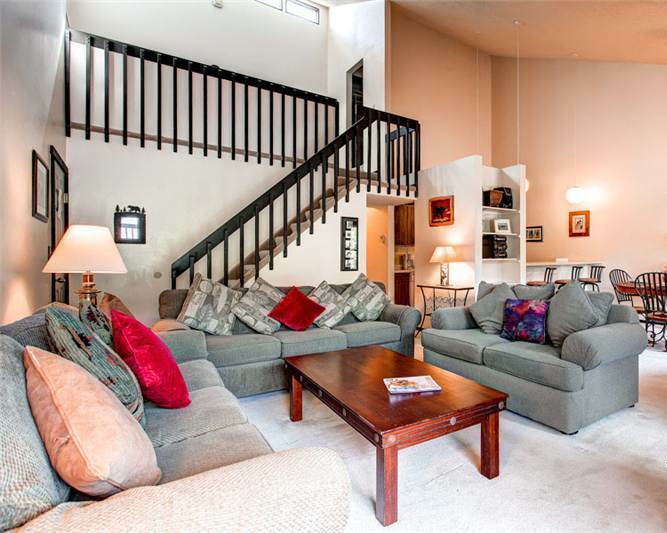 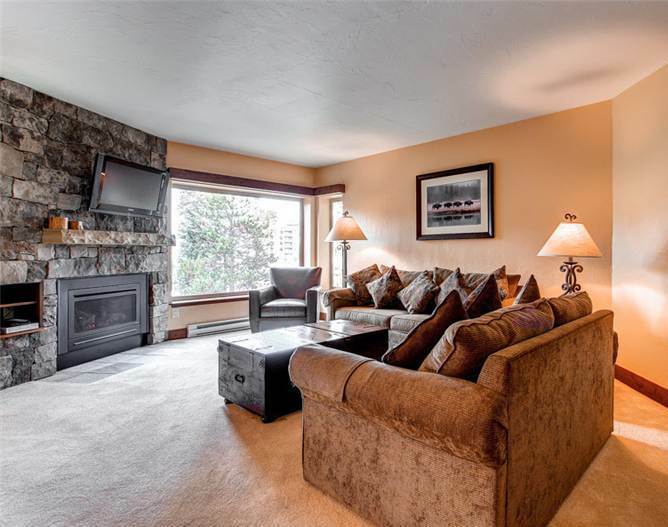 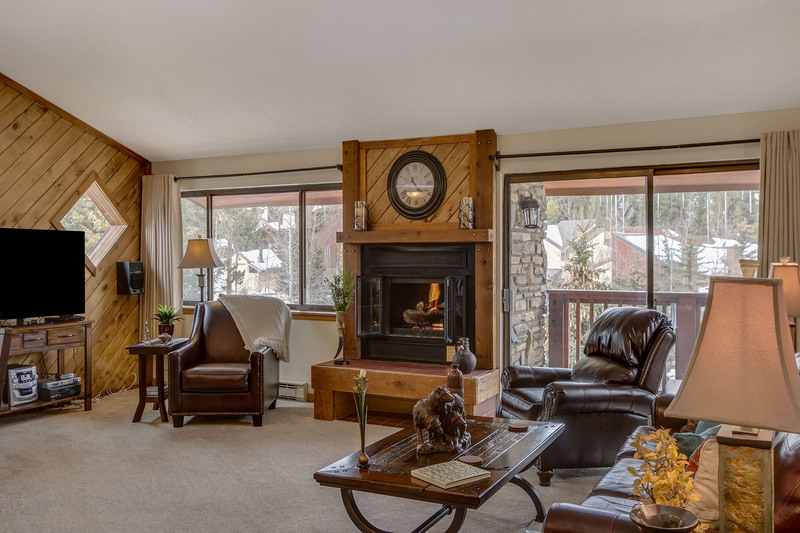 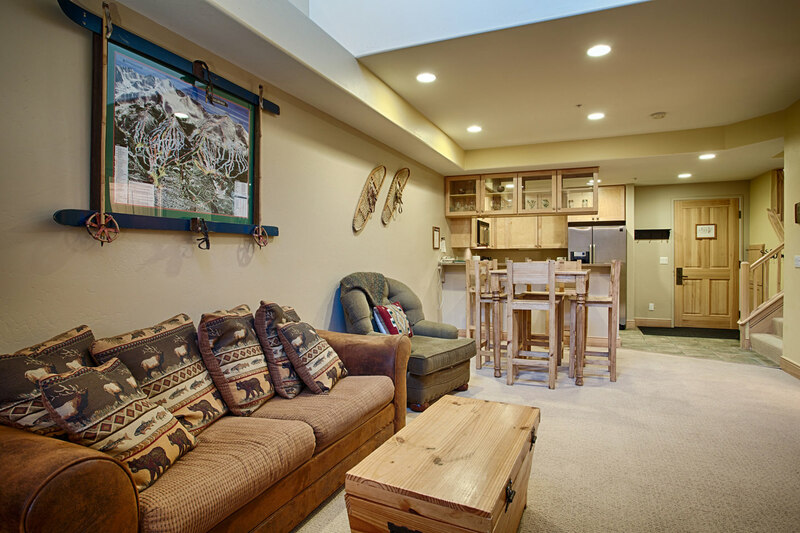 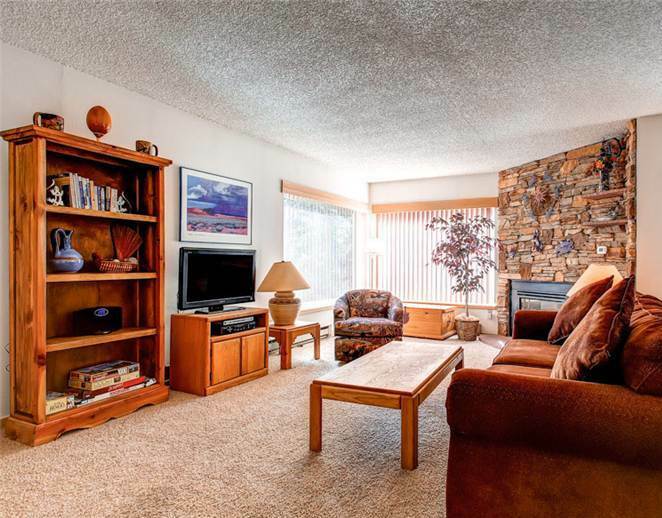 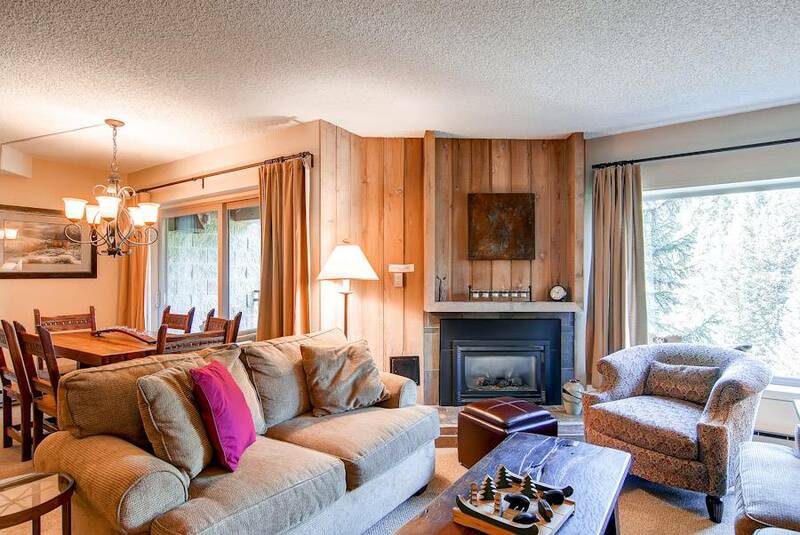 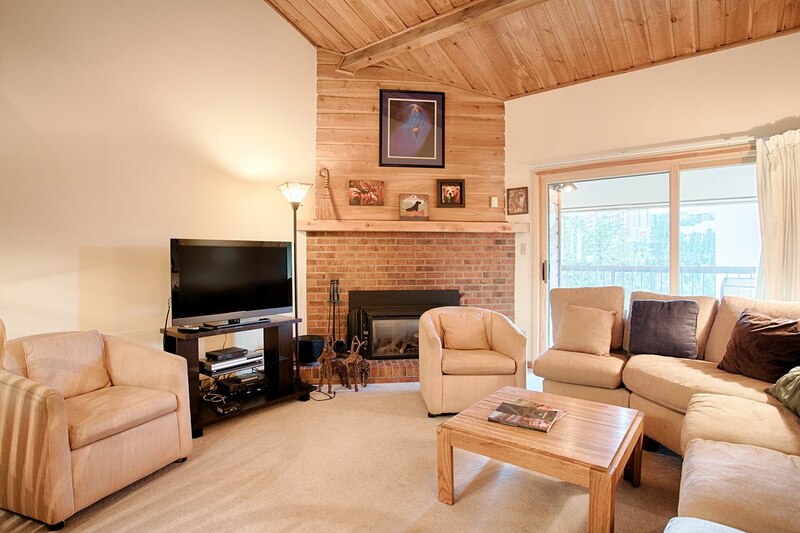 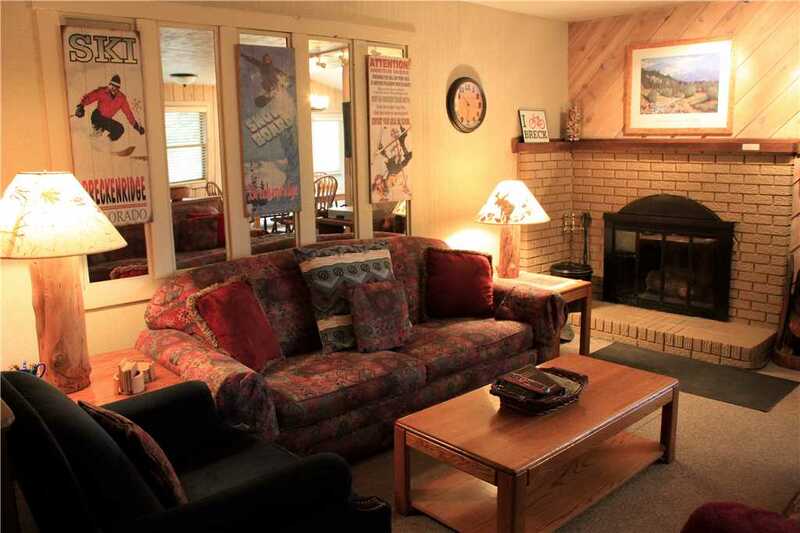 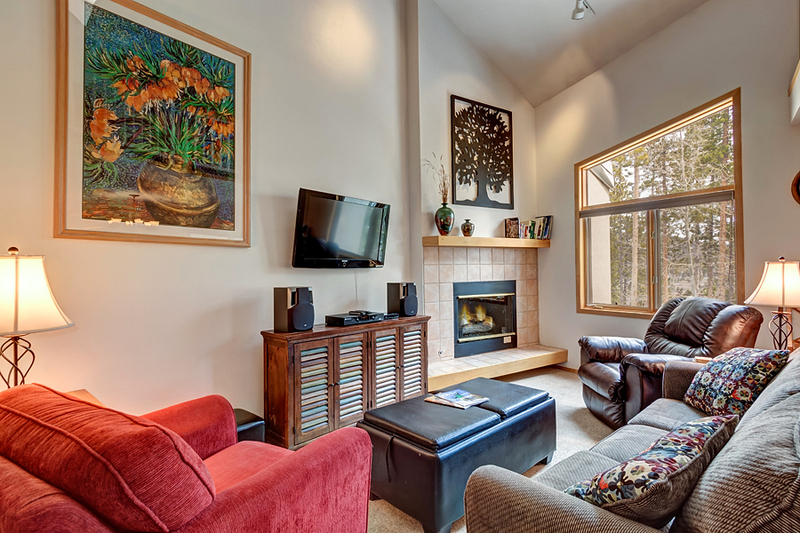 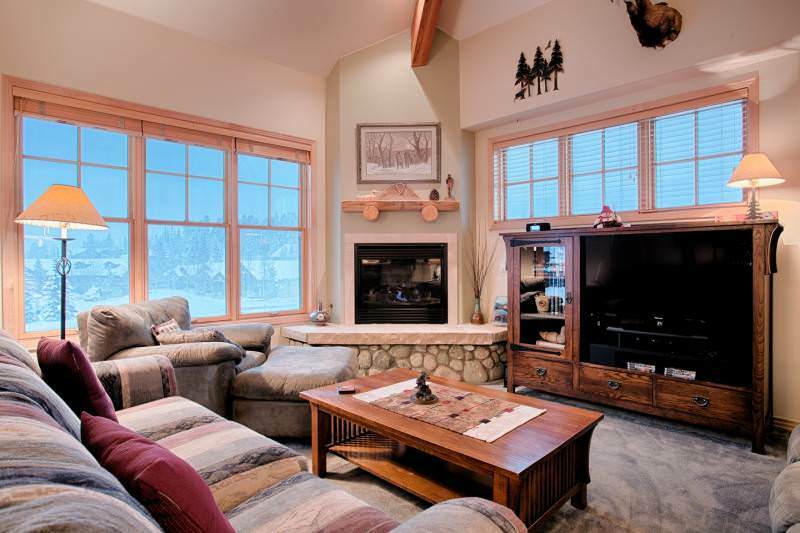 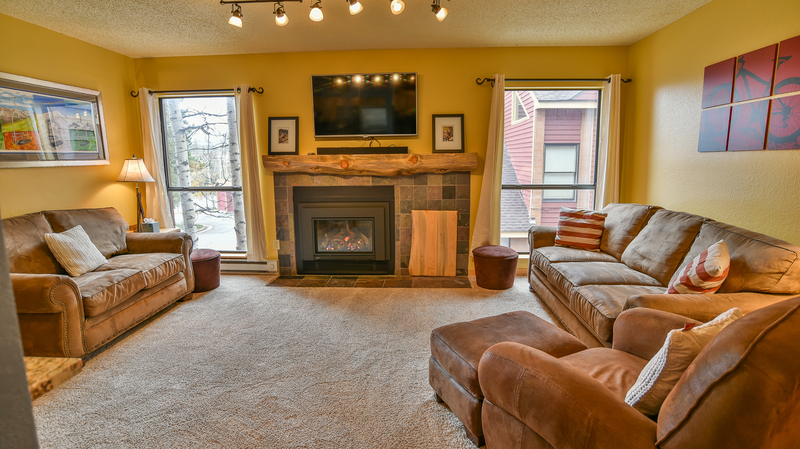 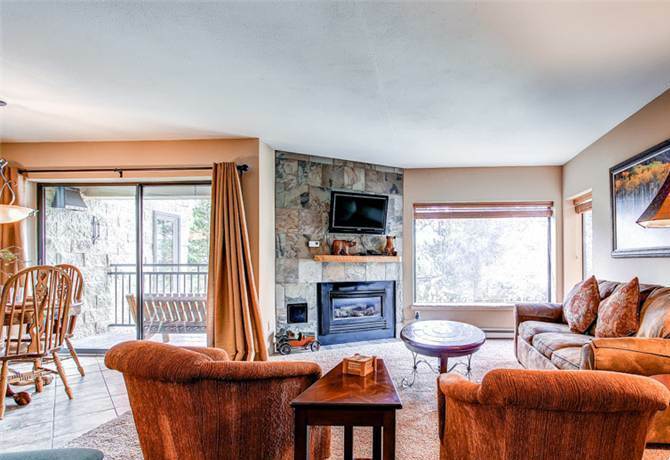 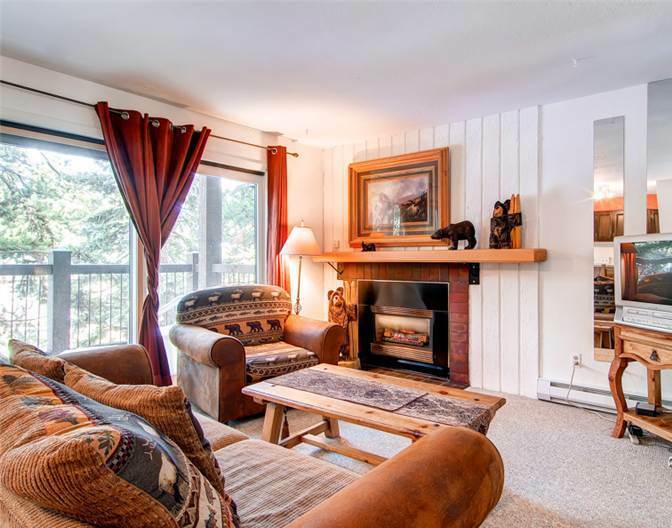 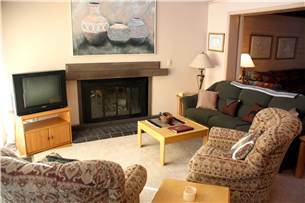 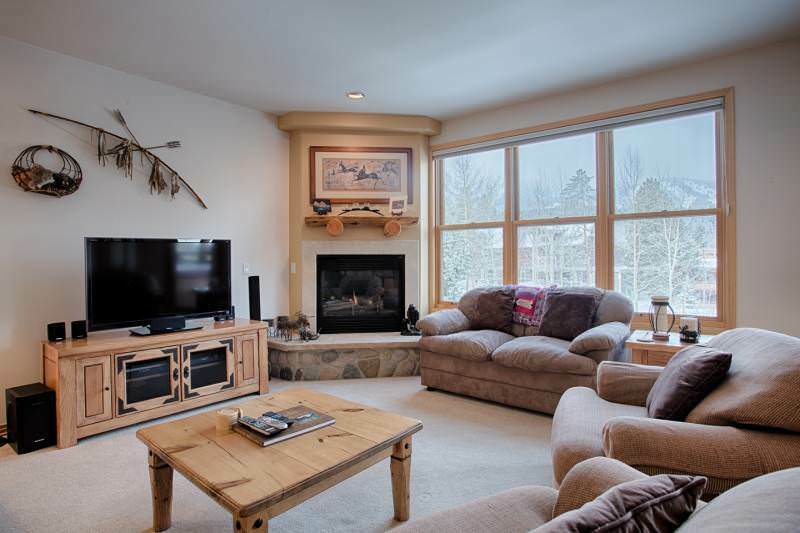 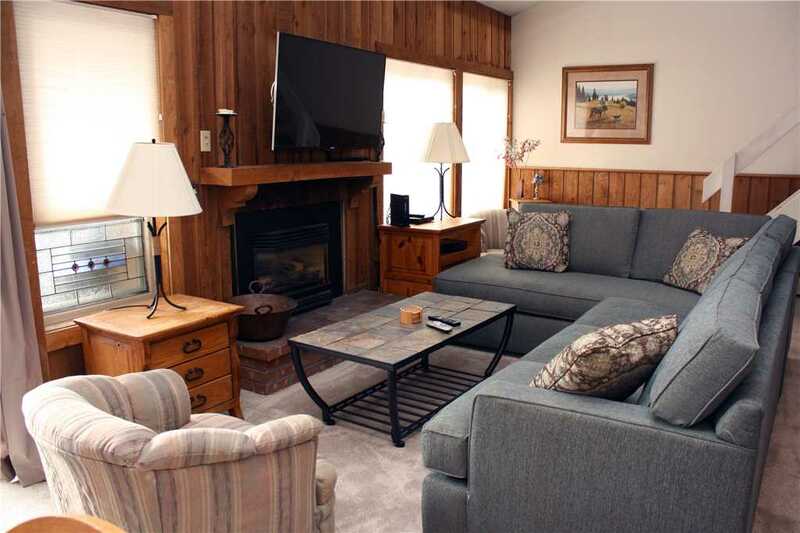 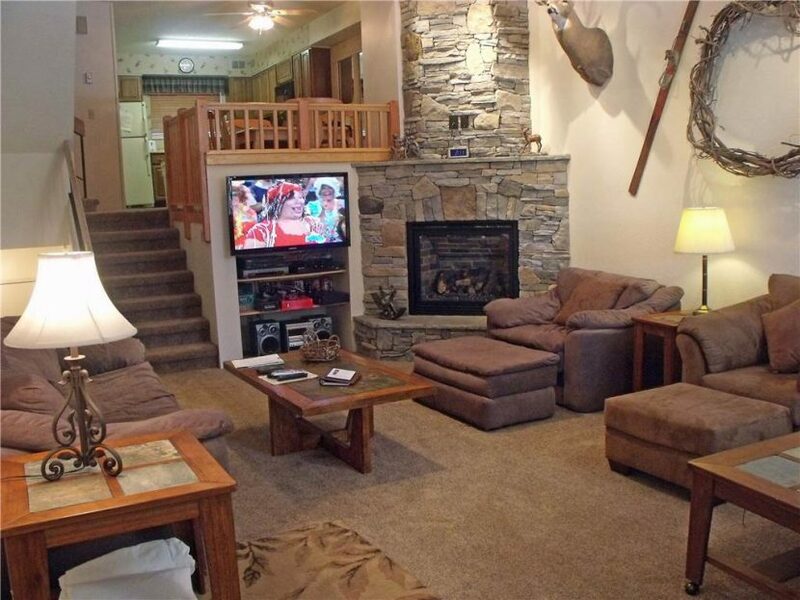 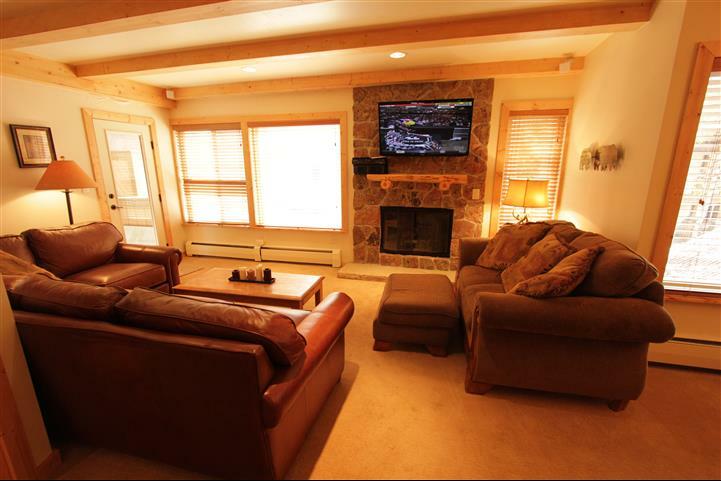 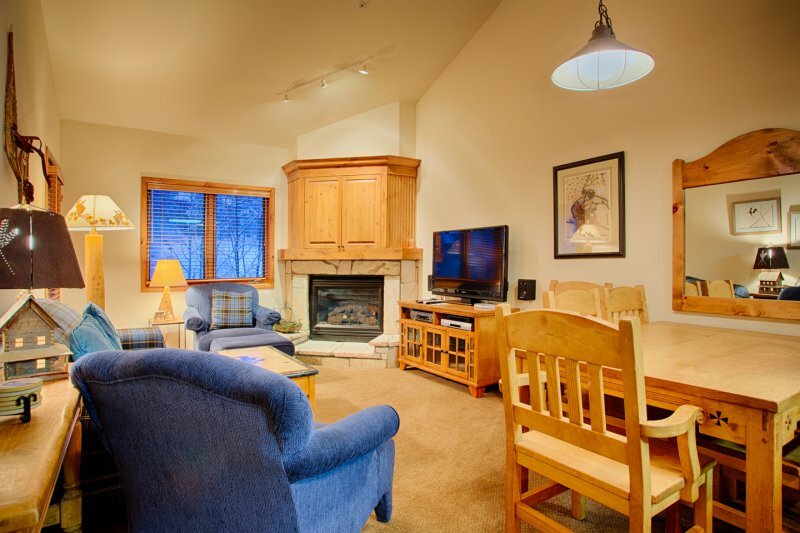 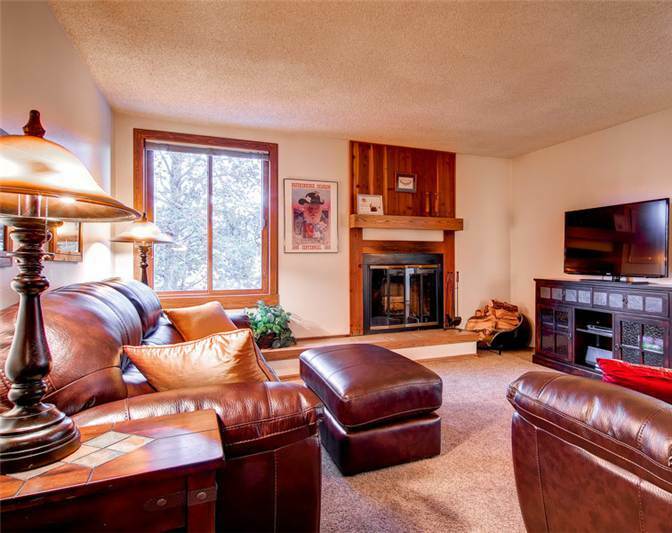 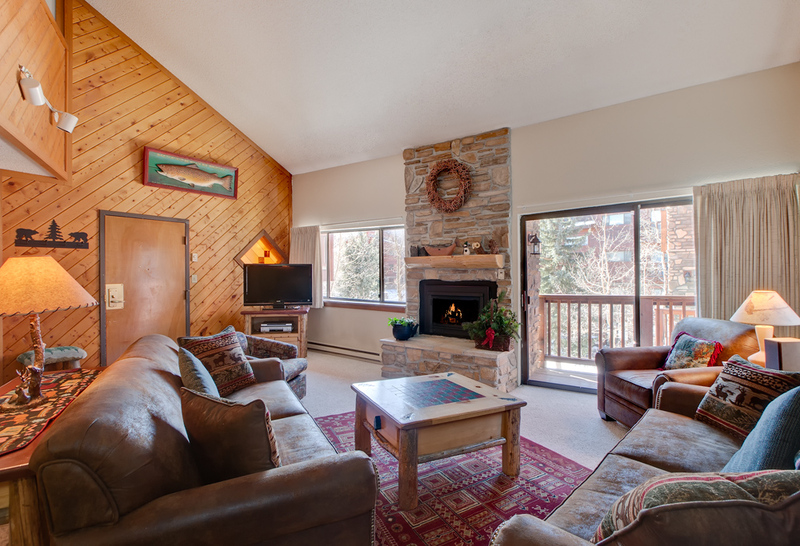 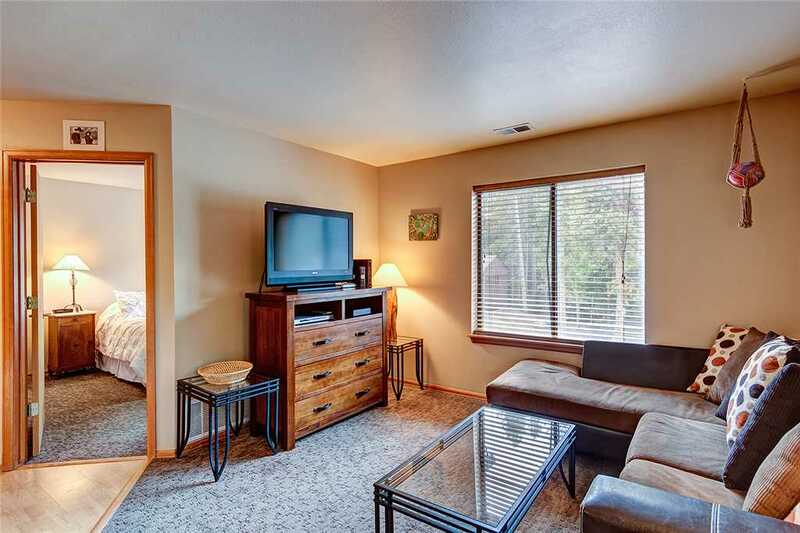 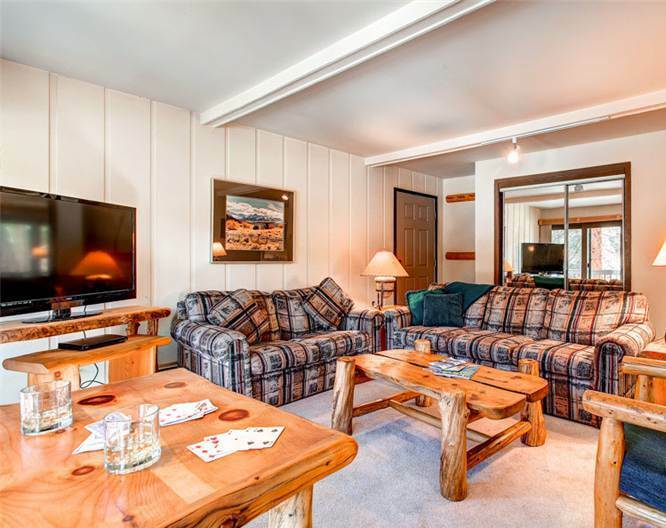 The cozy living area is the perfect spot for après ski to kick back and relax with friends and a glass of wine. 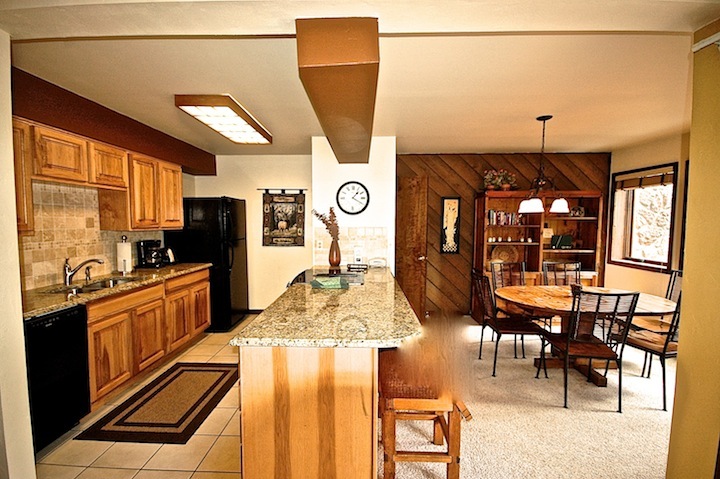 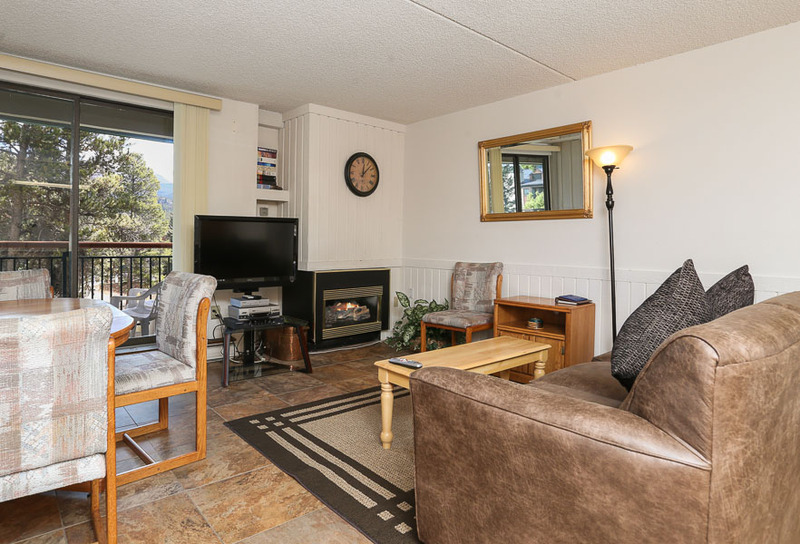 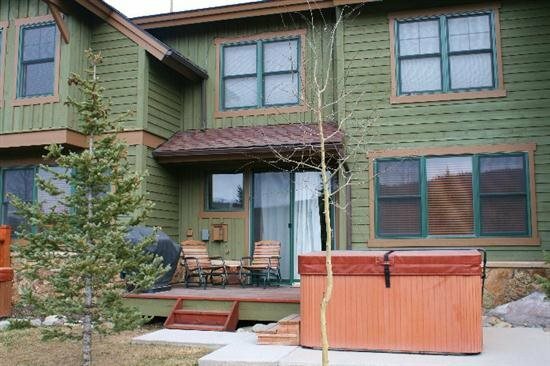 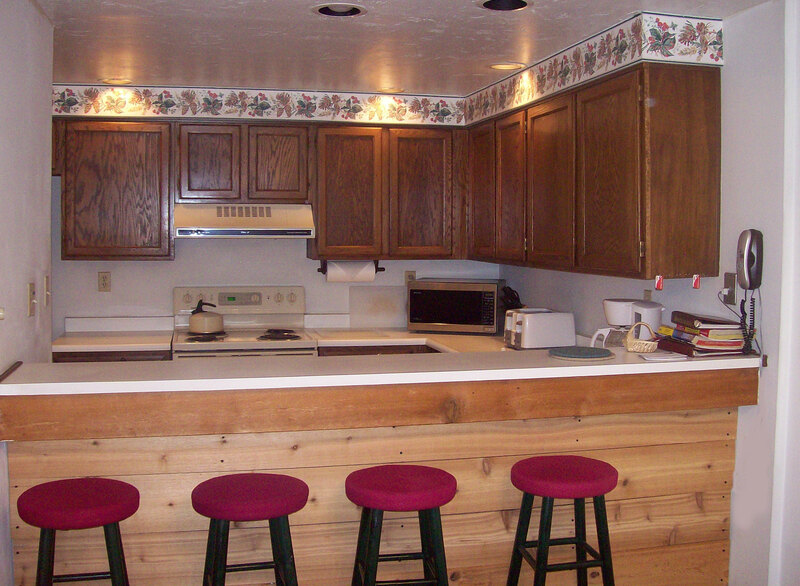 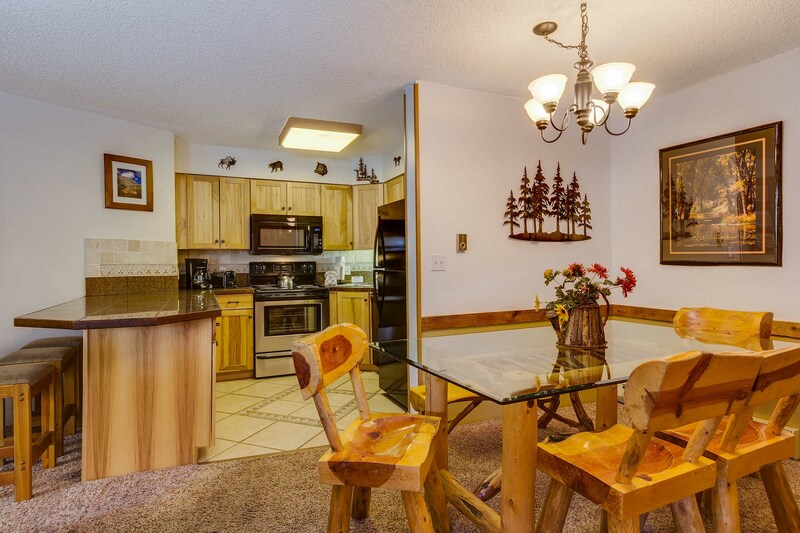 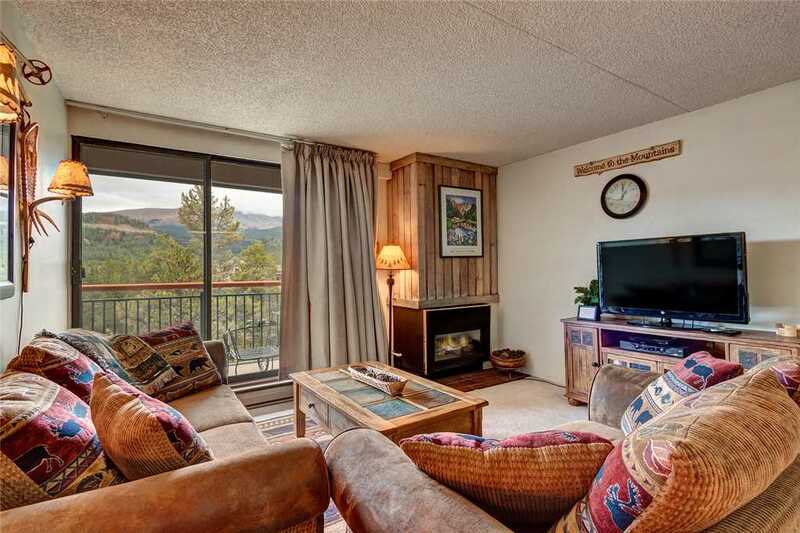 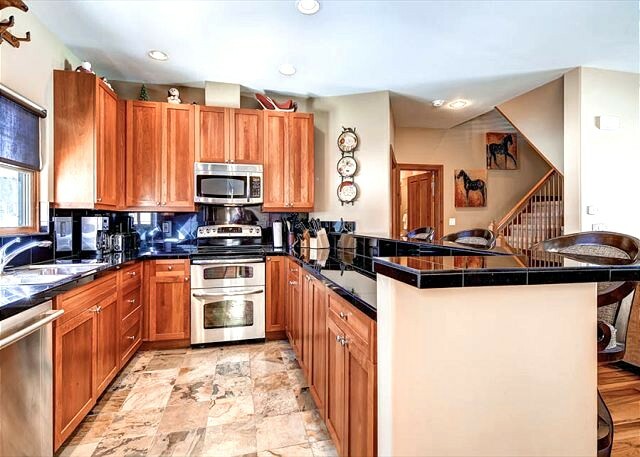 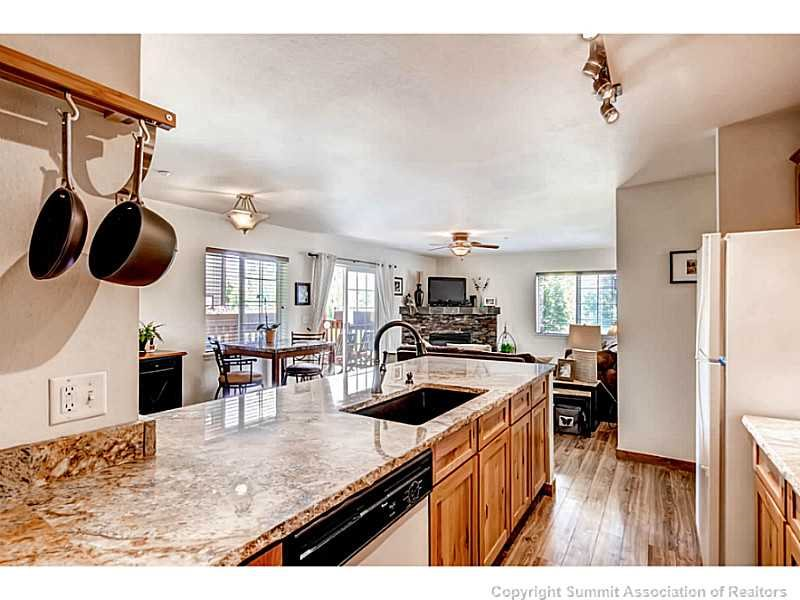 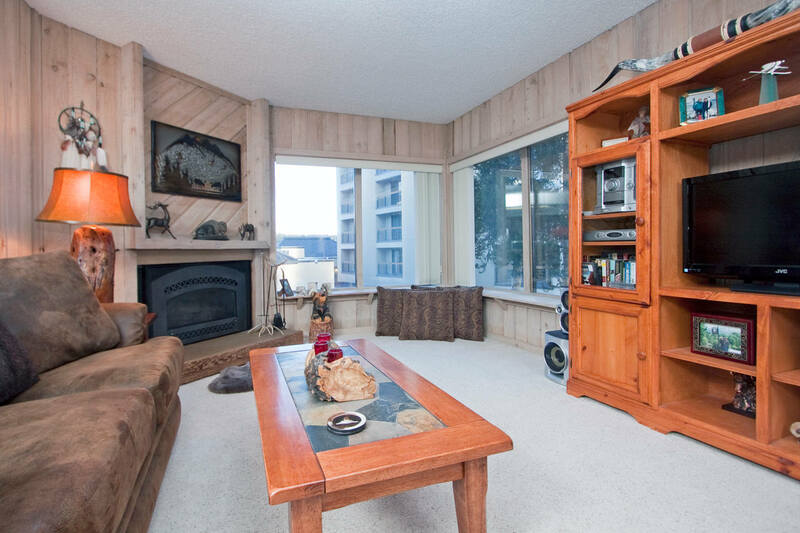 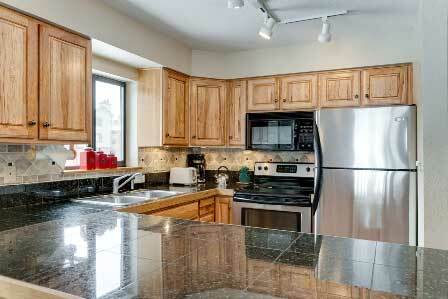 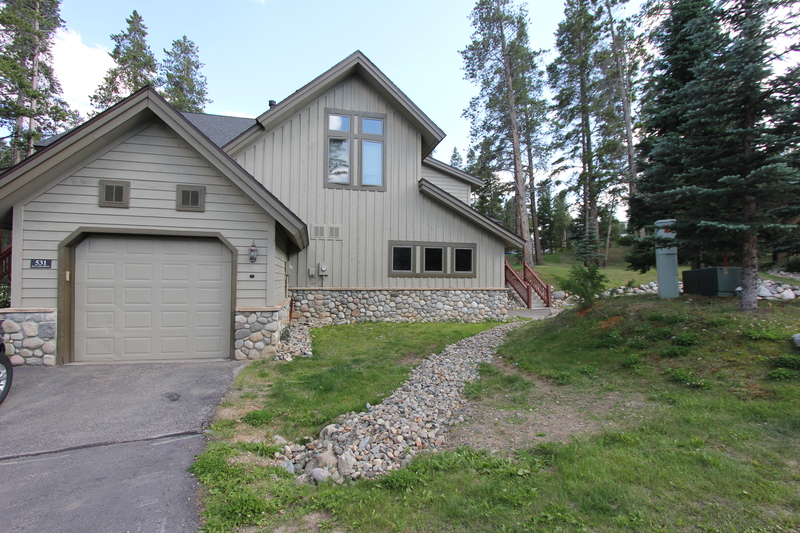 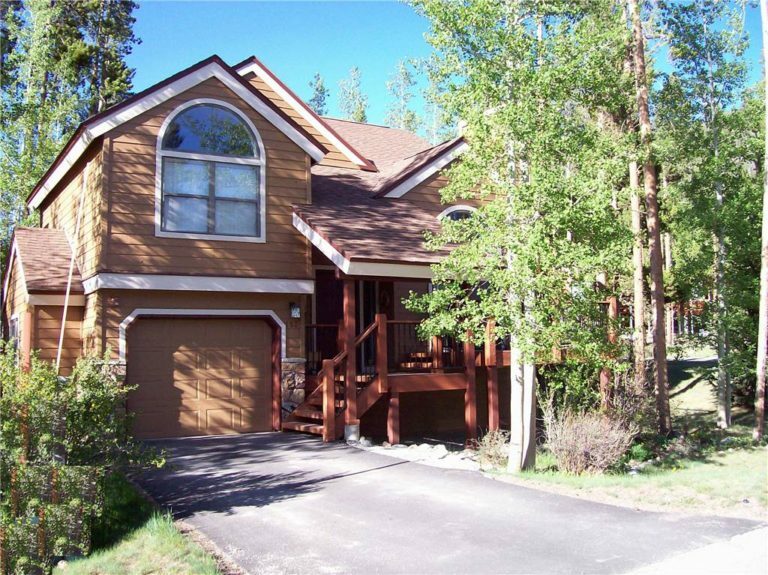 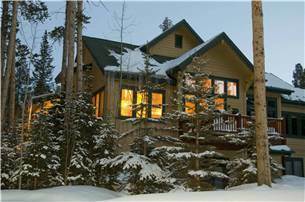 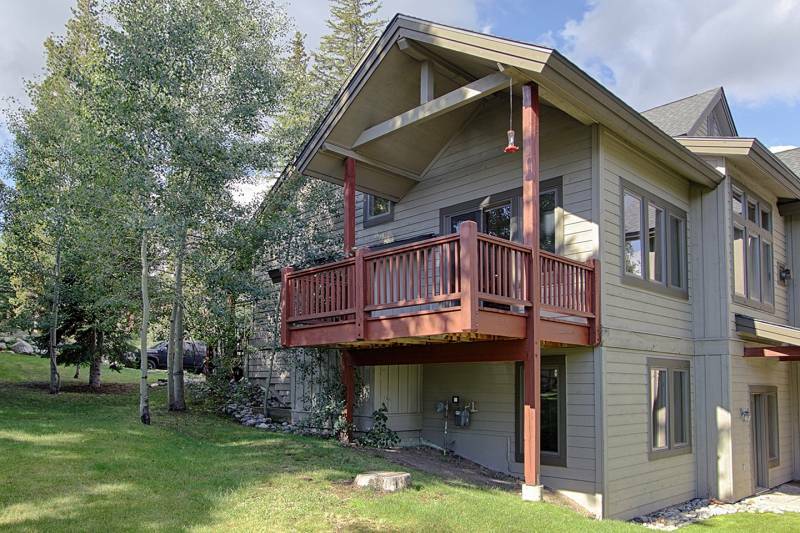 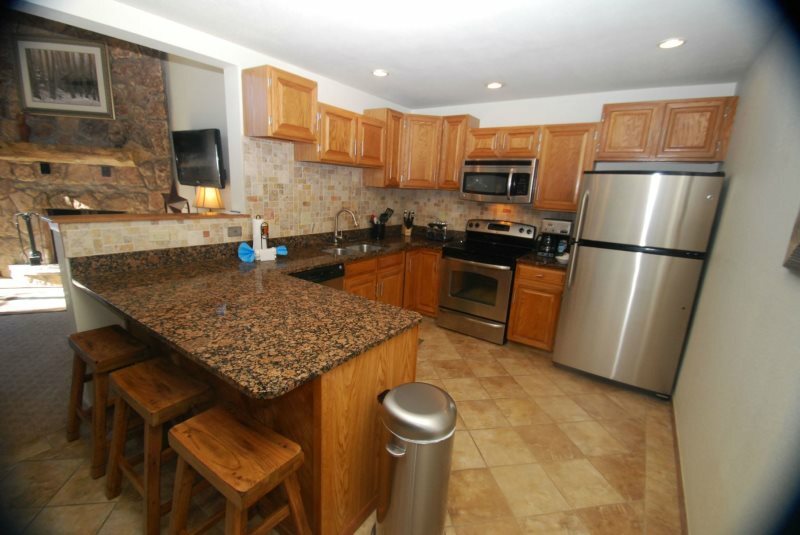 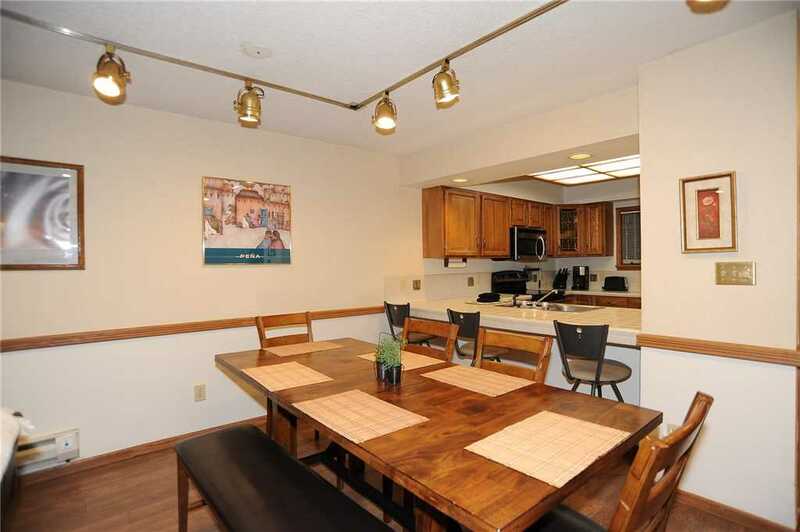 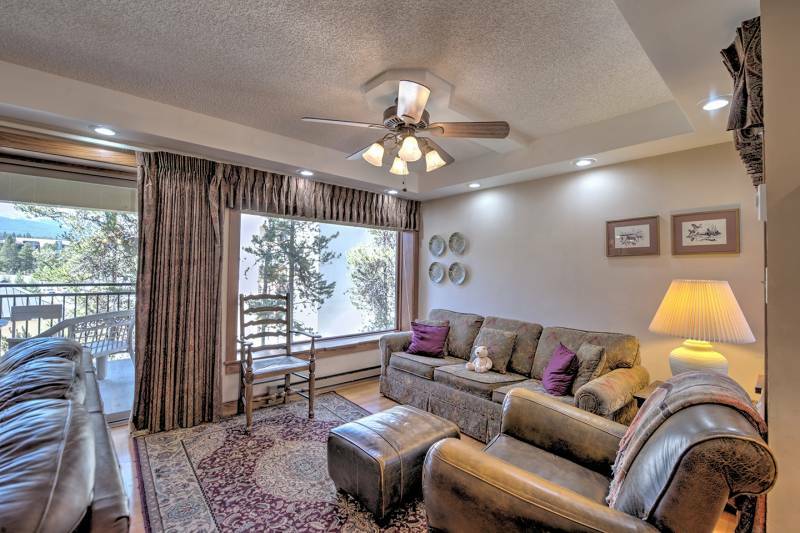 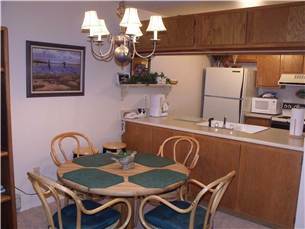 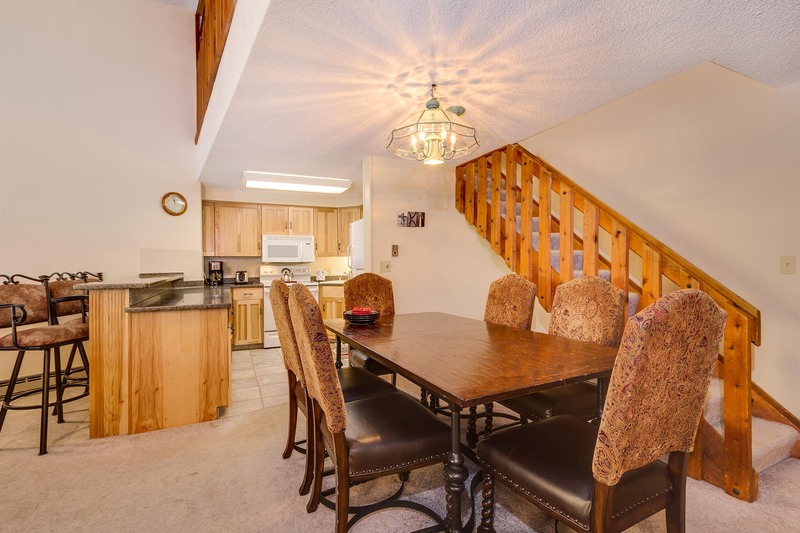 Your dog will love the fenced in backyard while you will love the views of Peak 8. 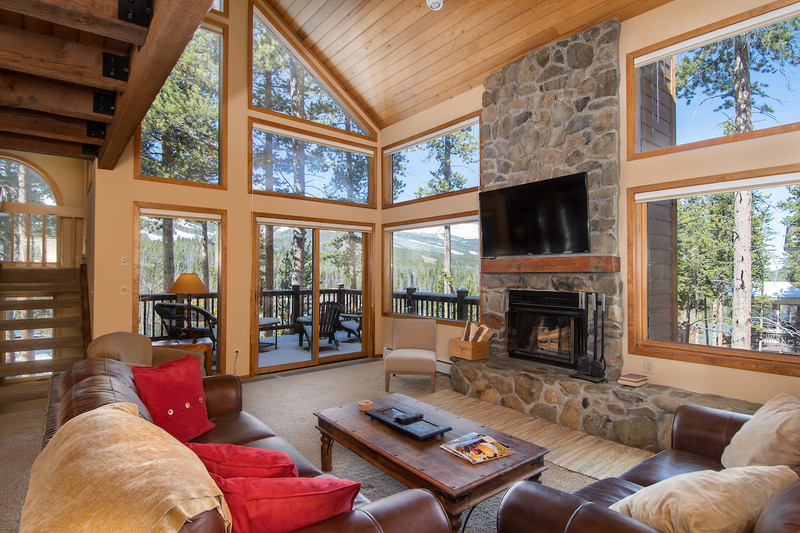 During the summer, head outside to cook up dinner on the gas grill or relax on a patio chair with your feet up to soak it all in.